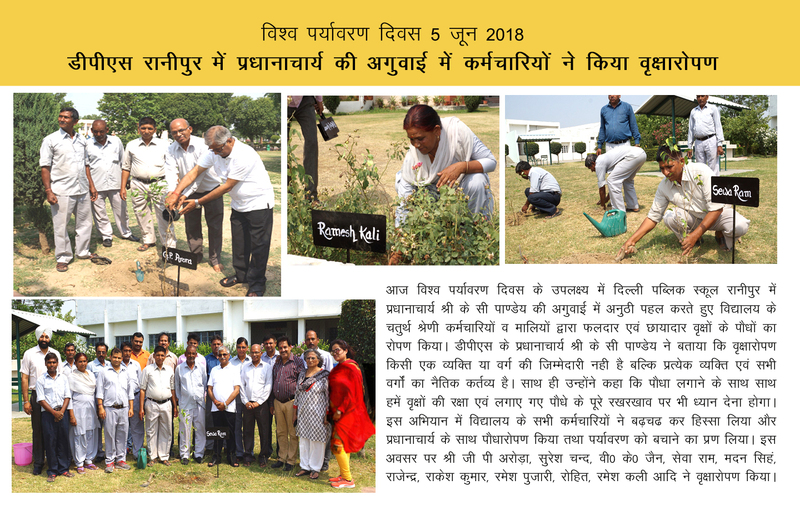 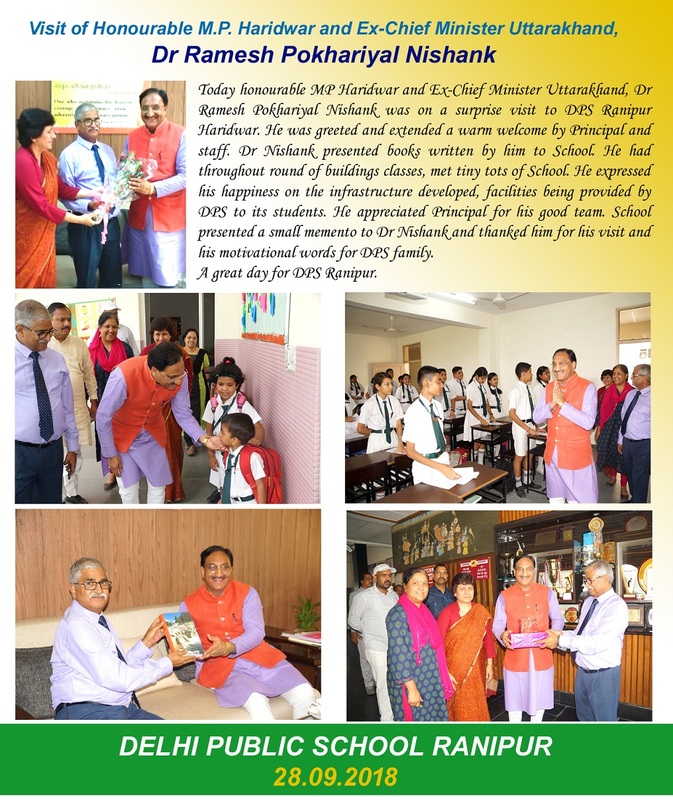 Visit of Honourable MP Haridwar and Ex-Chief Minister Uttarakhand, Dr Ramesh Pokhariyal Nishank ji..
Visit of Mr. Manish Kumar Singh, City Magistrate Haridwar. 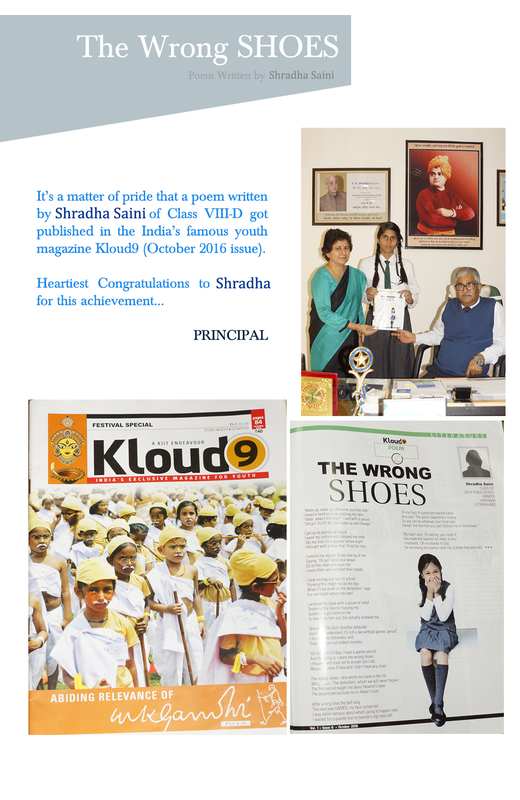 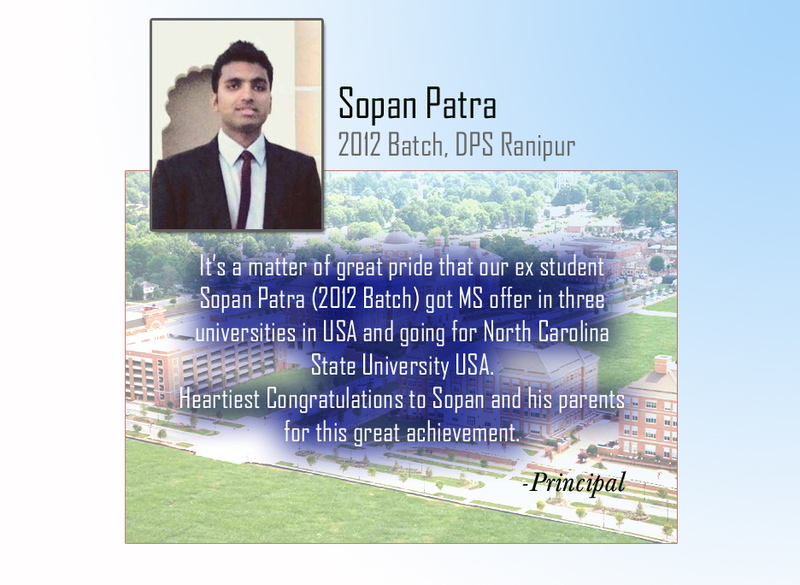 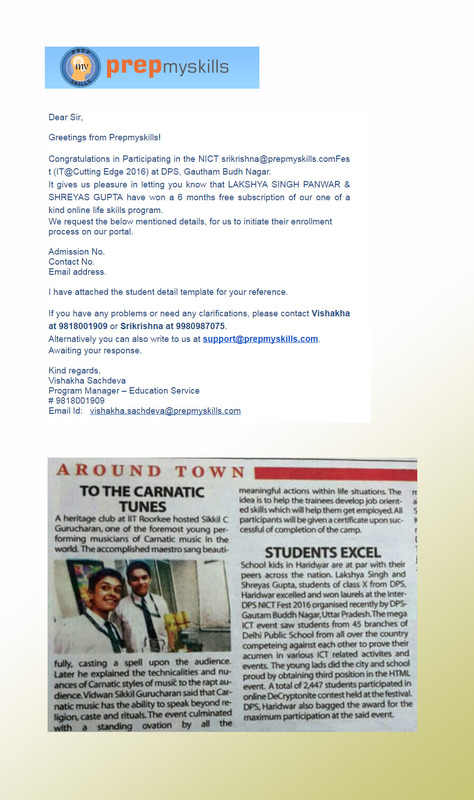 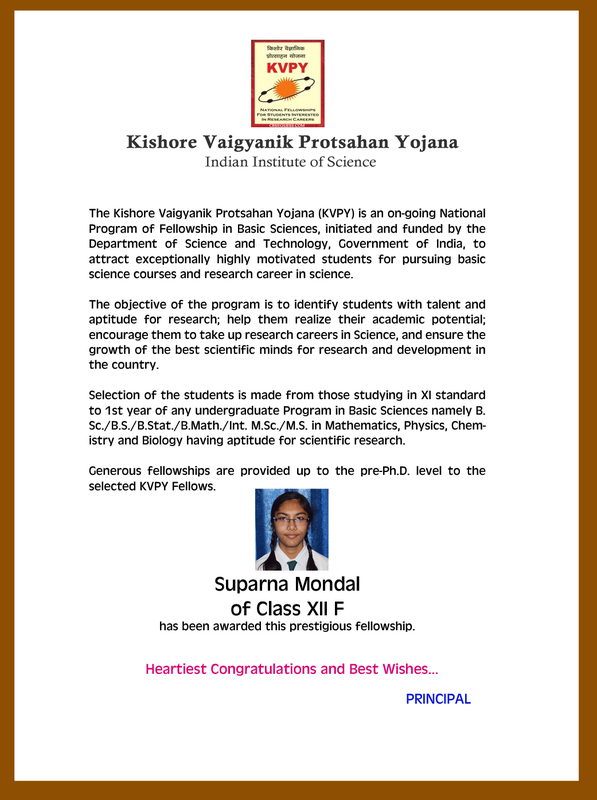 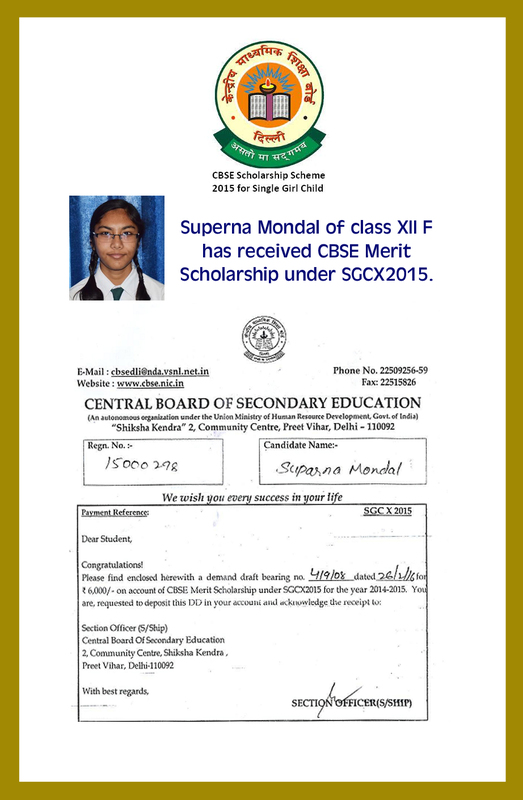 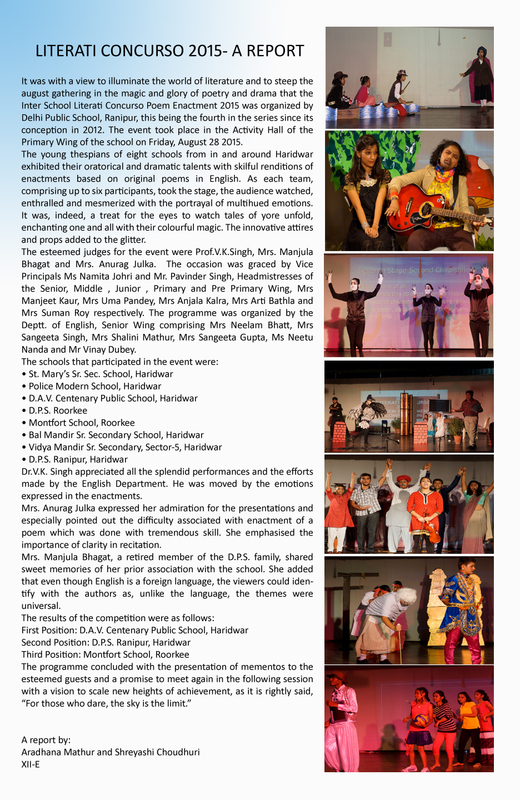 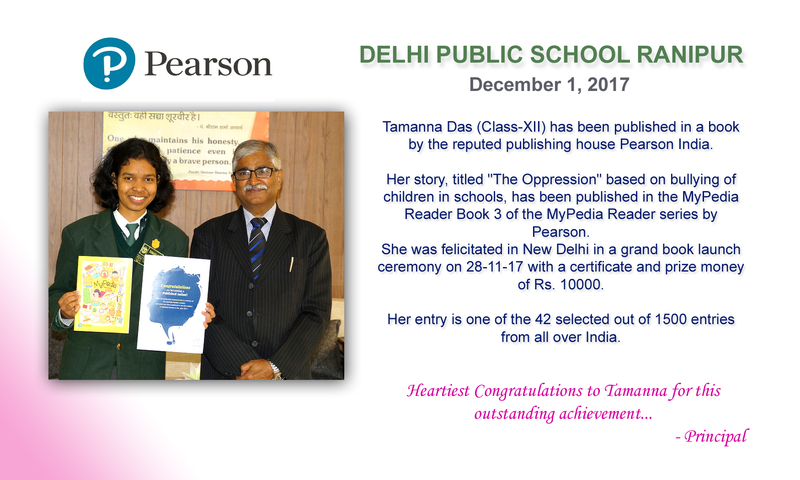 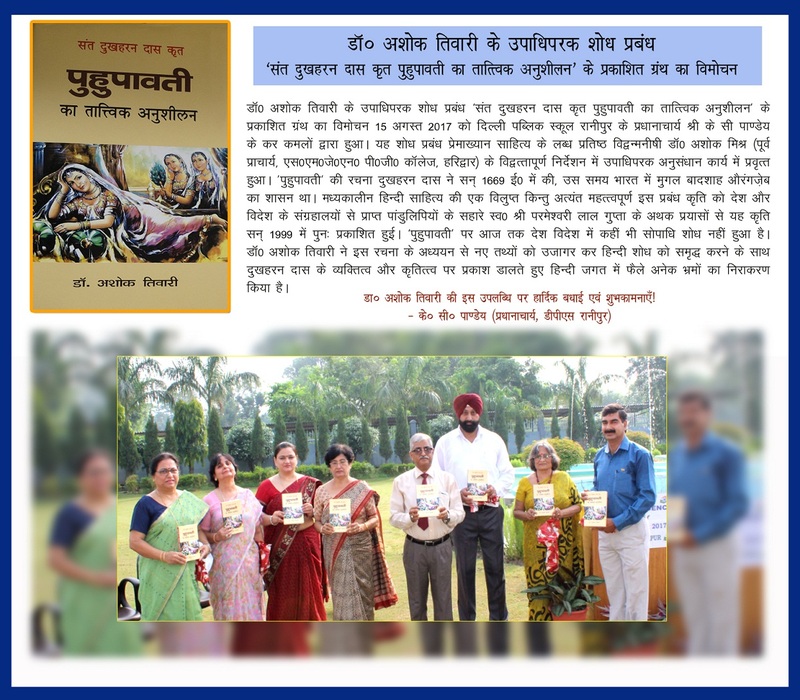 Tamanna Das (Class-XII) has been published in a book by the reputed publishing house Pearson India. 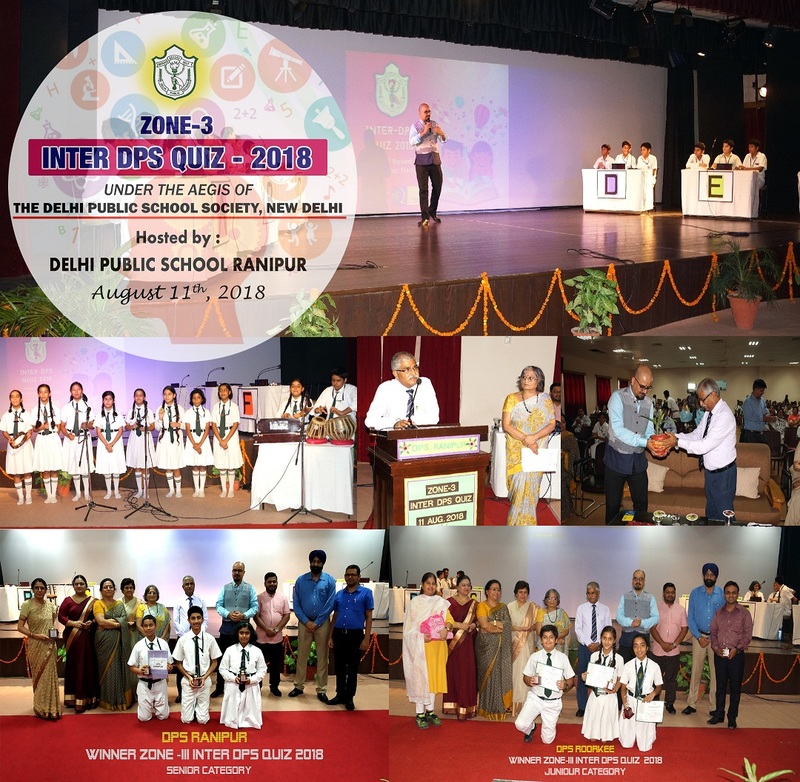 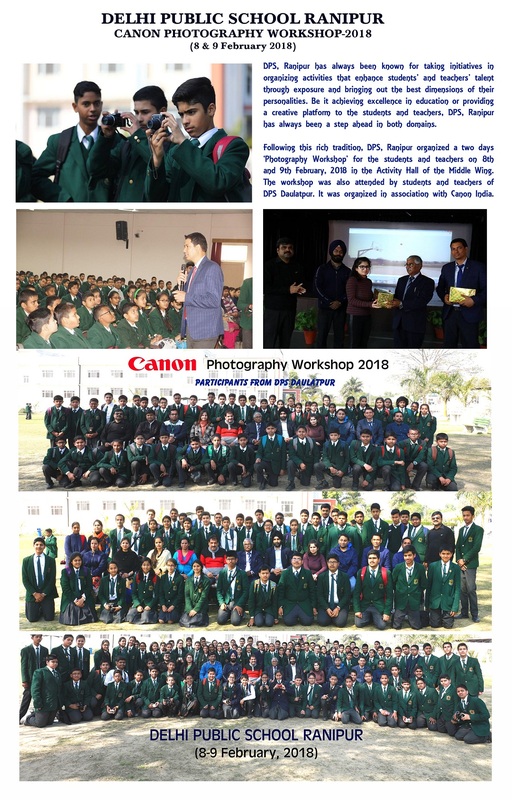 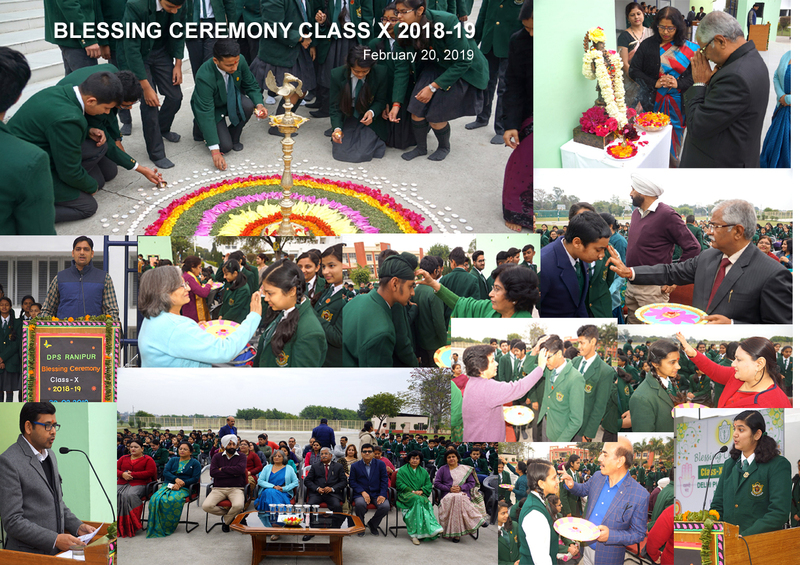 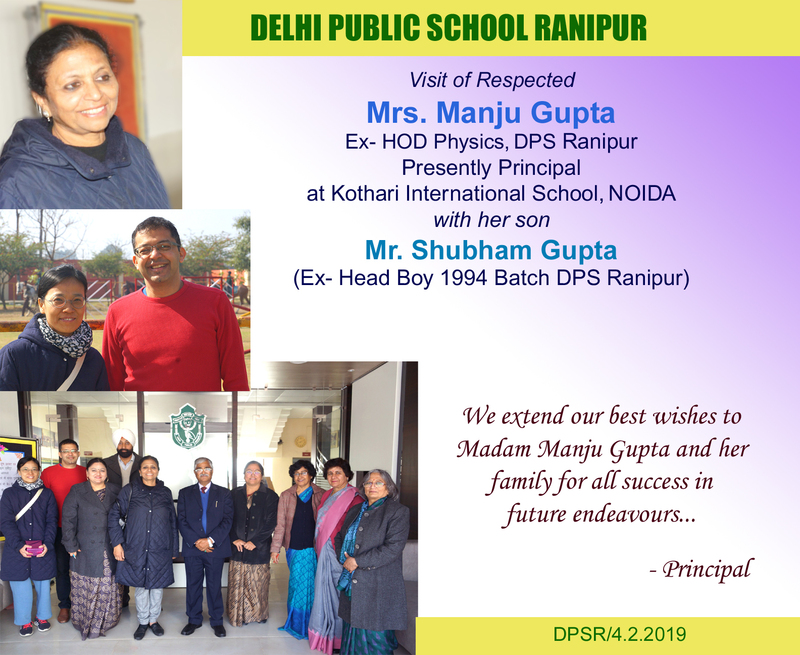 Closing ceremony of Football and final results..
Visit of Mr. Joydeep and Mrs. Anannya Ex-student DPS Ranipur) 1993/1997 batch. 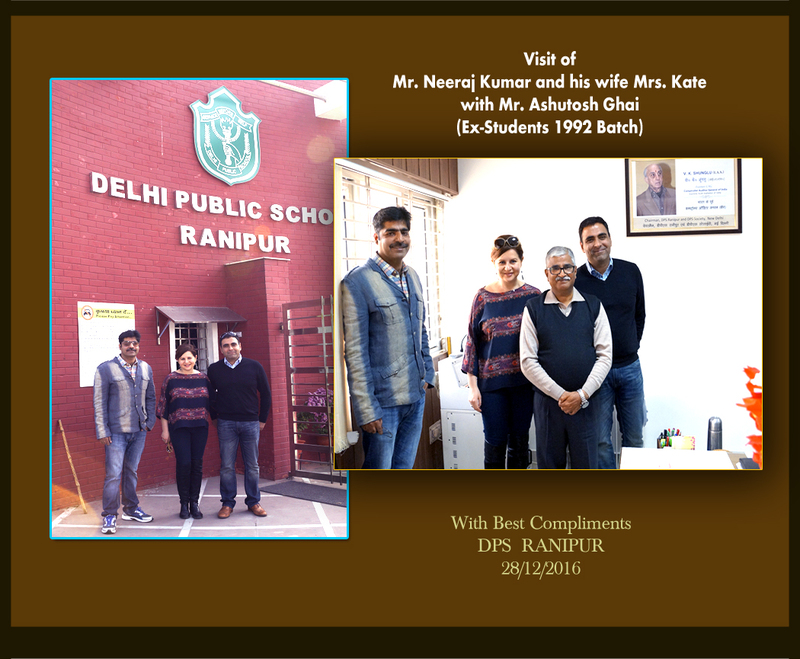 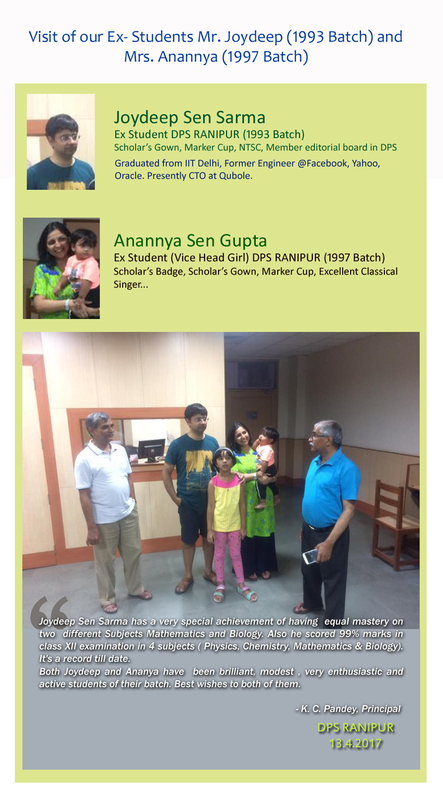 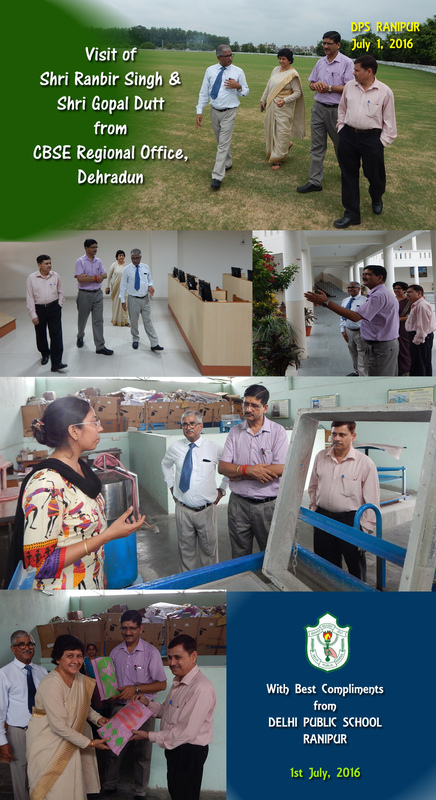 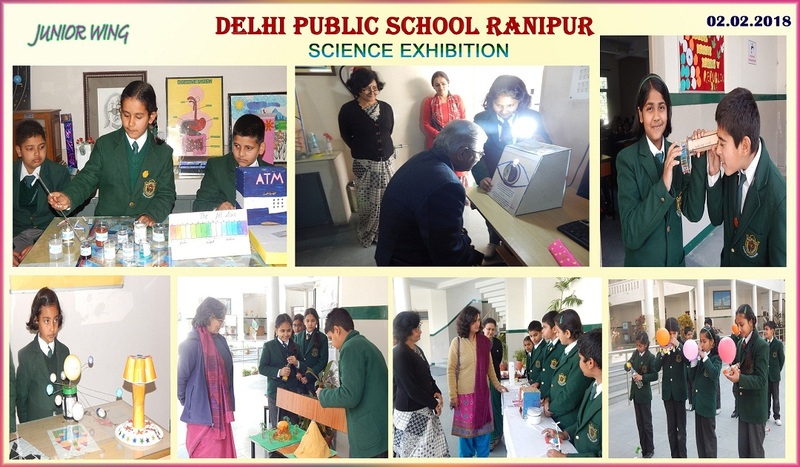 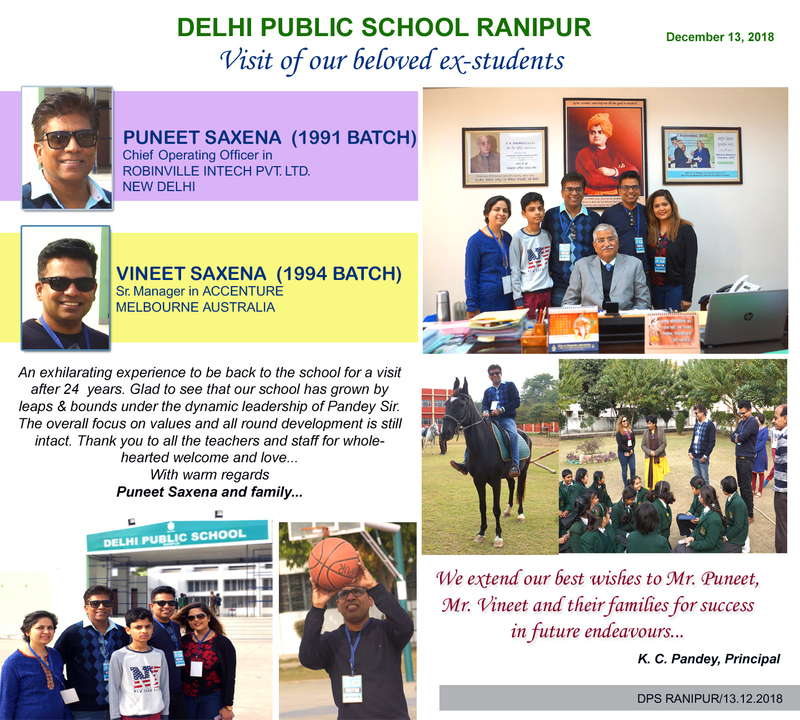 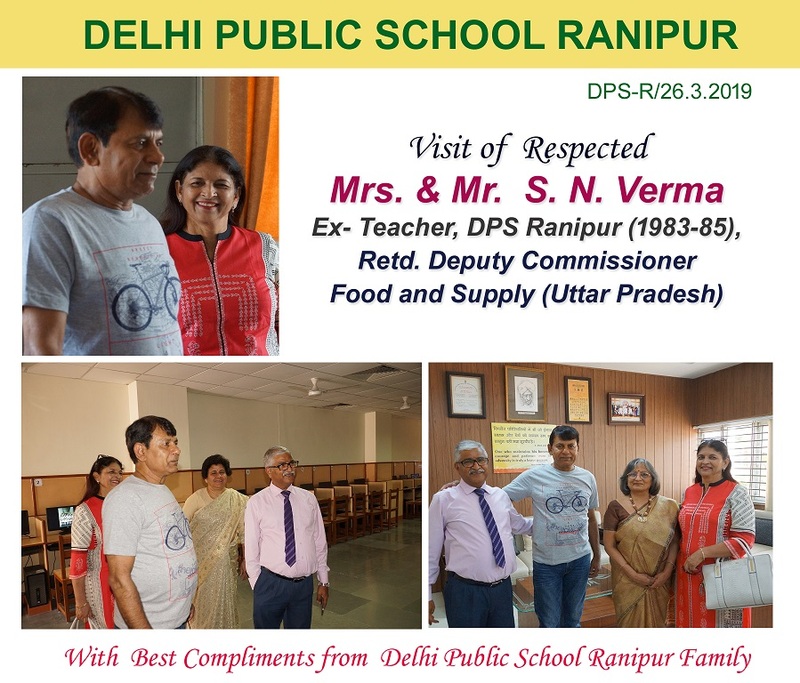 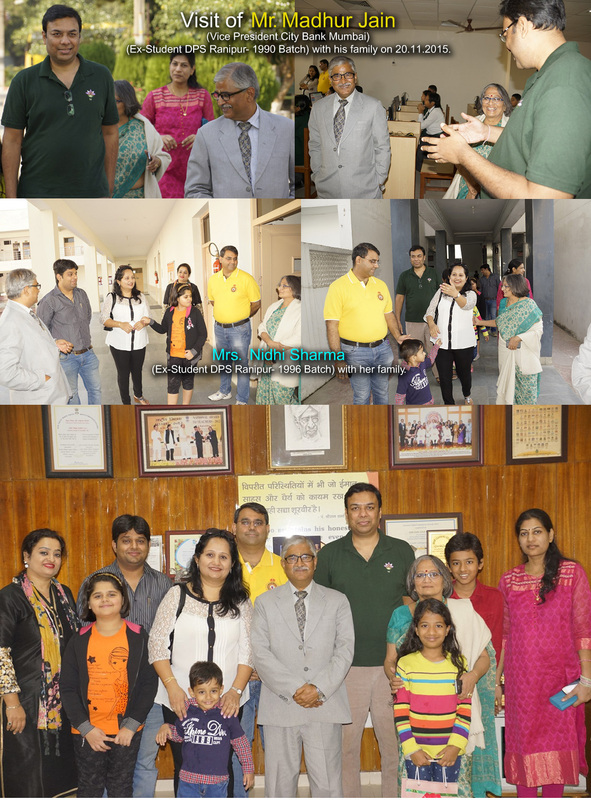 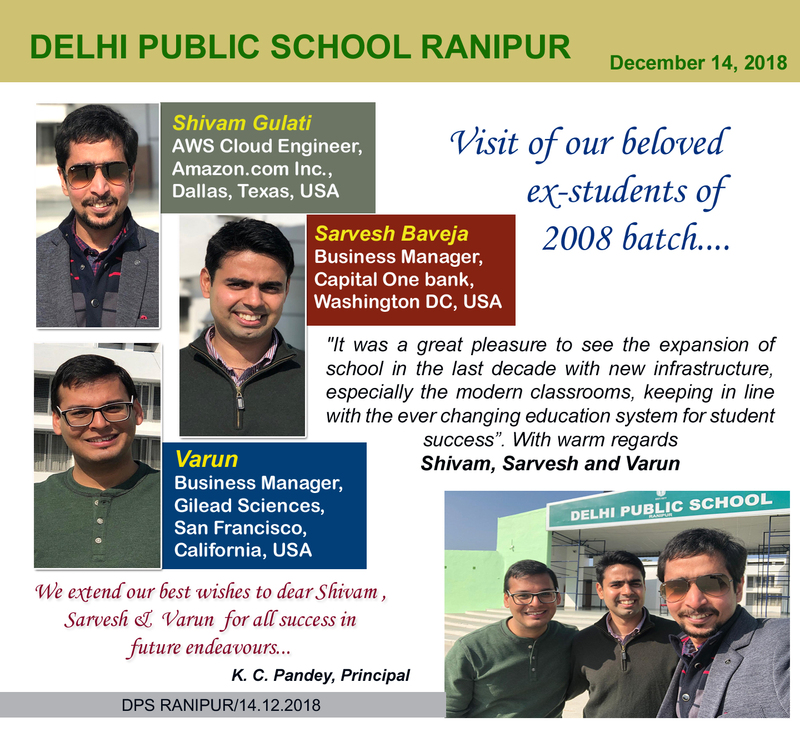 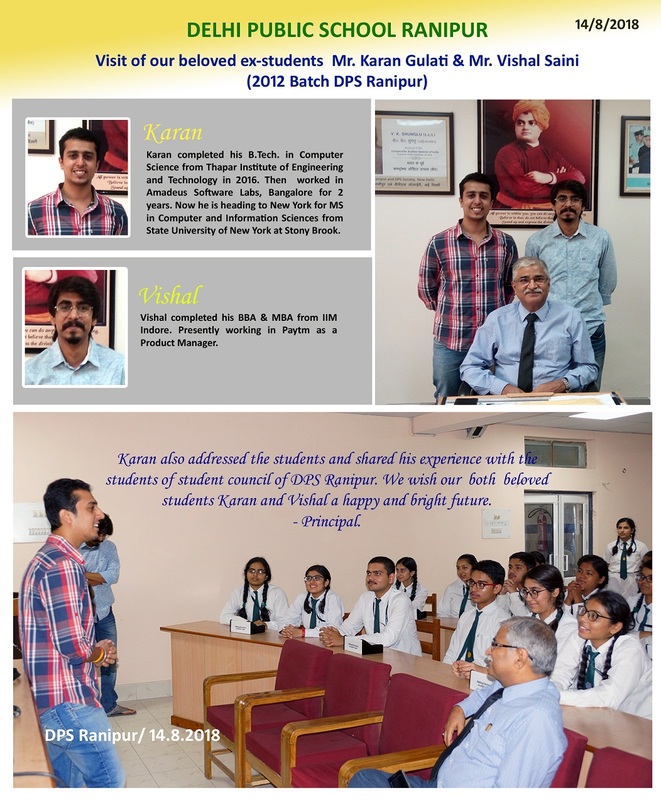 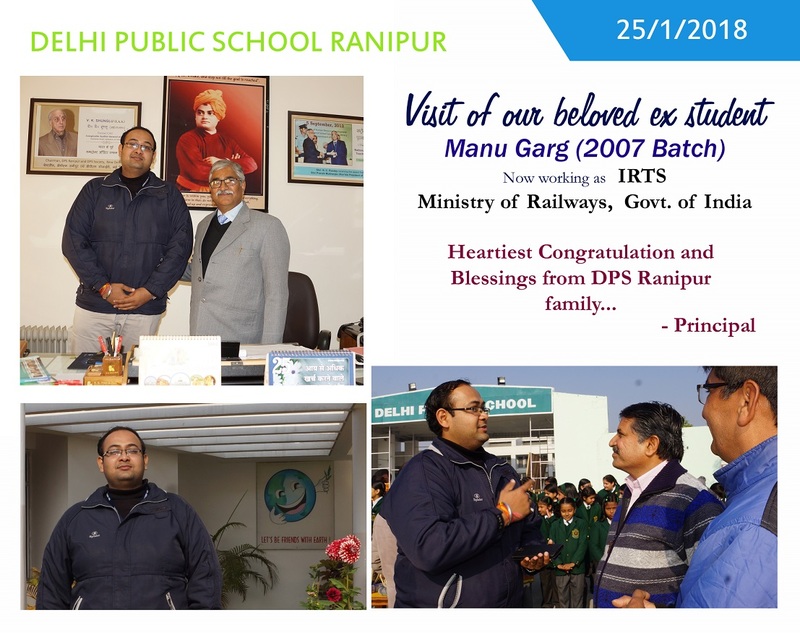 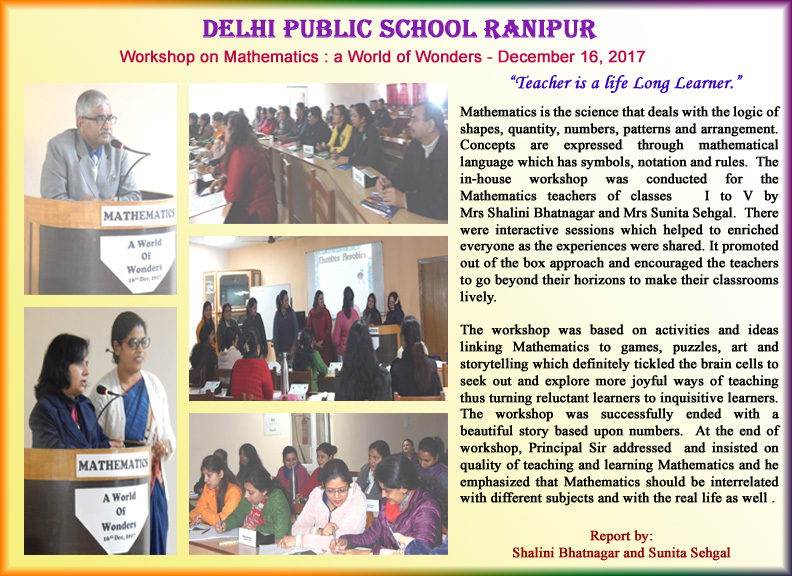 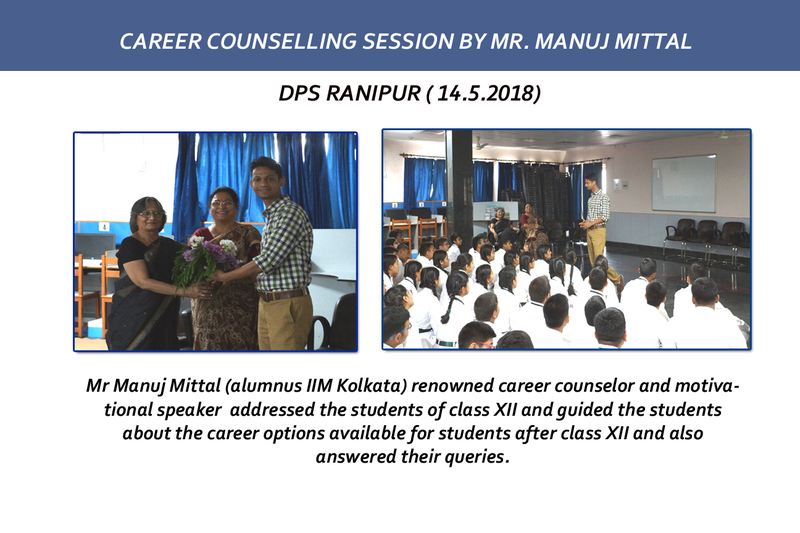 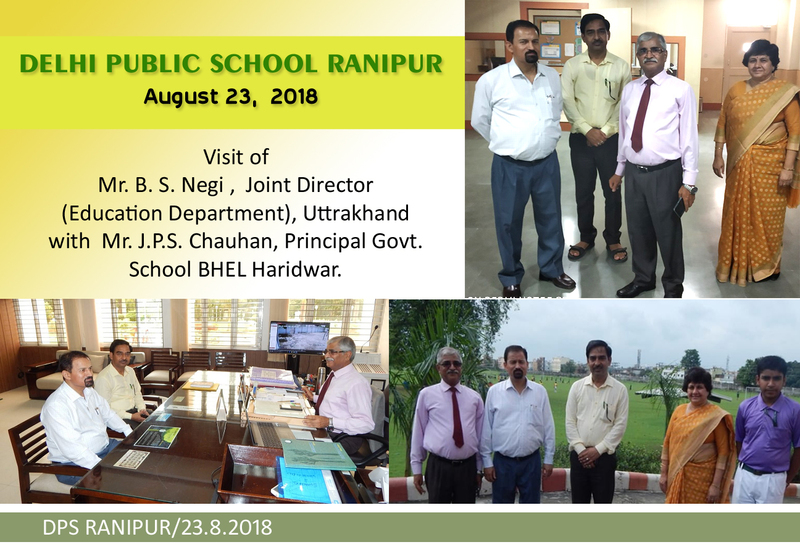 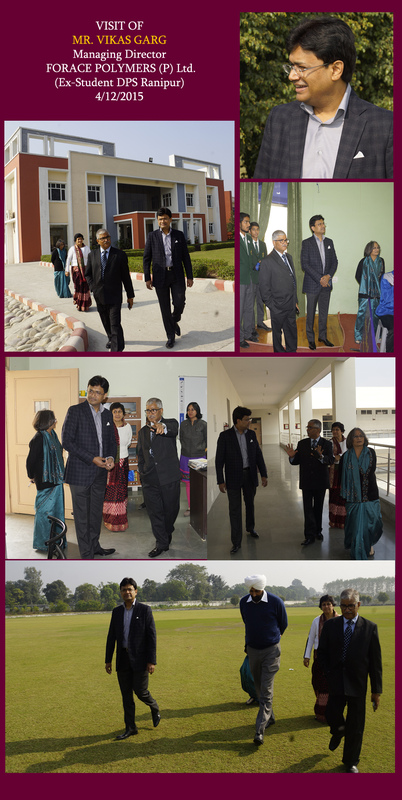 Visit of Mr. Prashant and Mrs. Radhika (Ex-student DPS Ranipur) 1992/1993 batch. 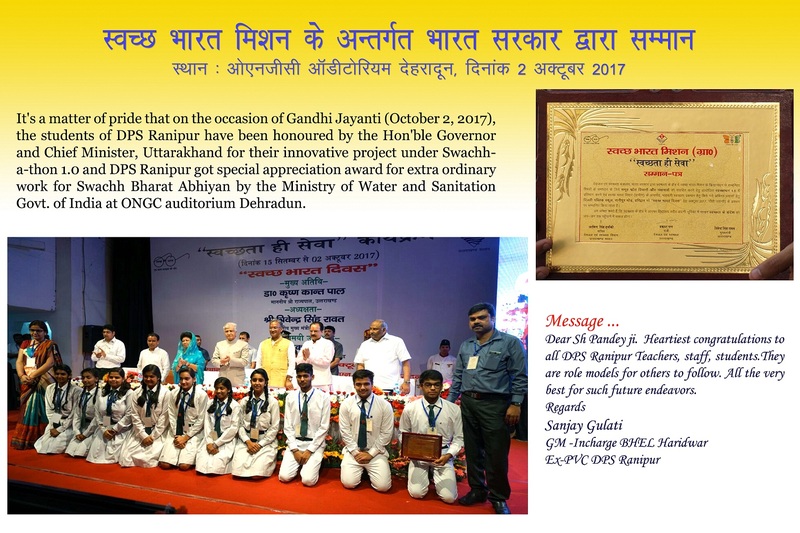 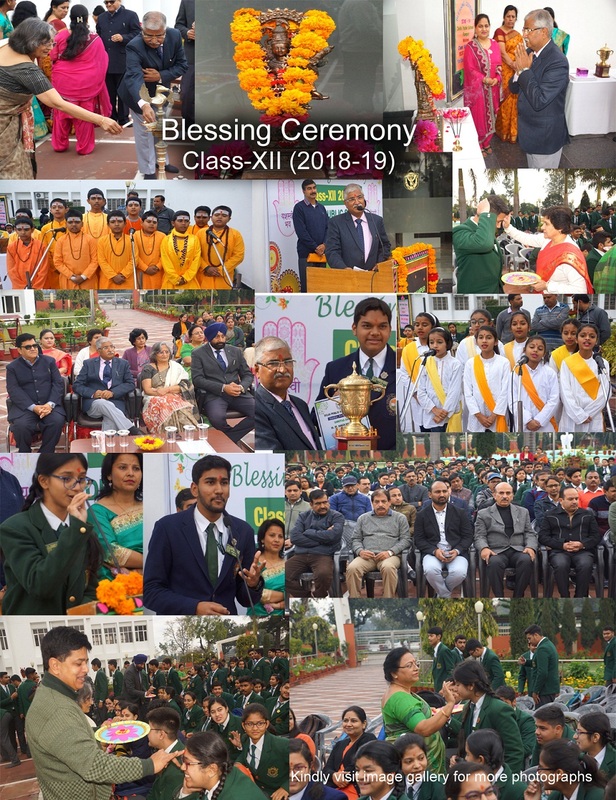 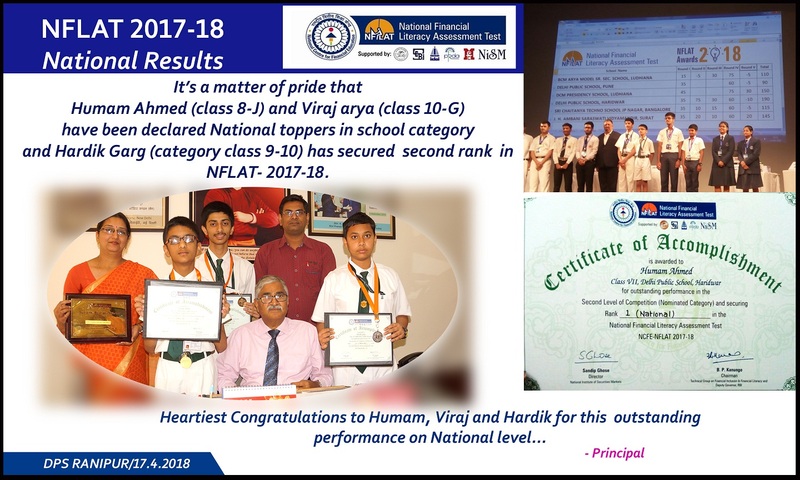 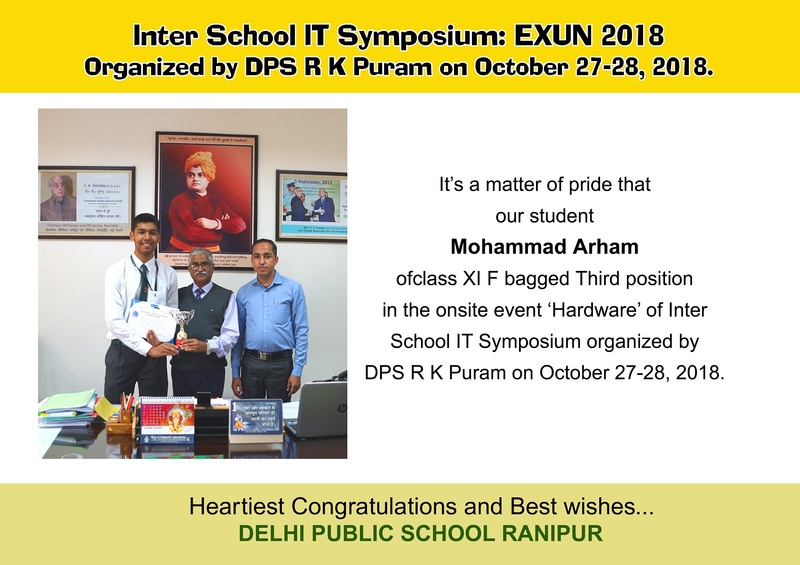 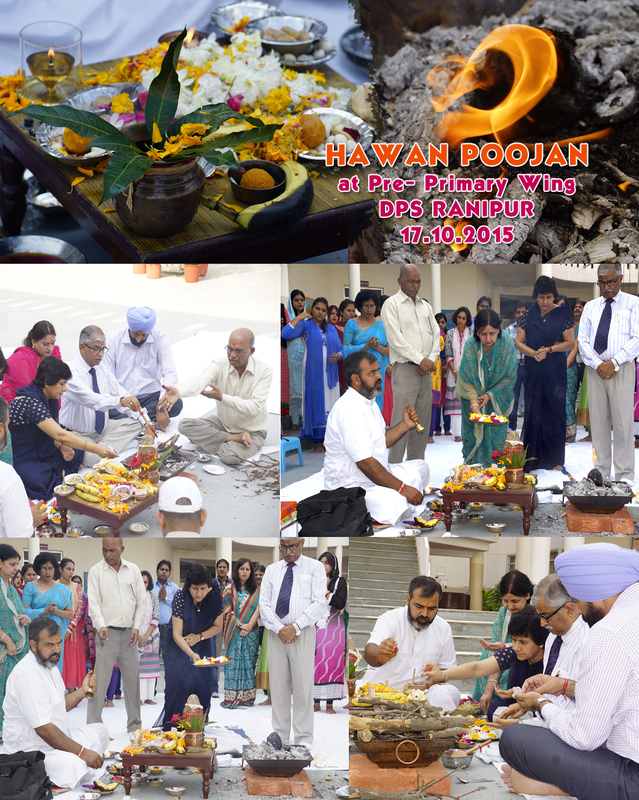 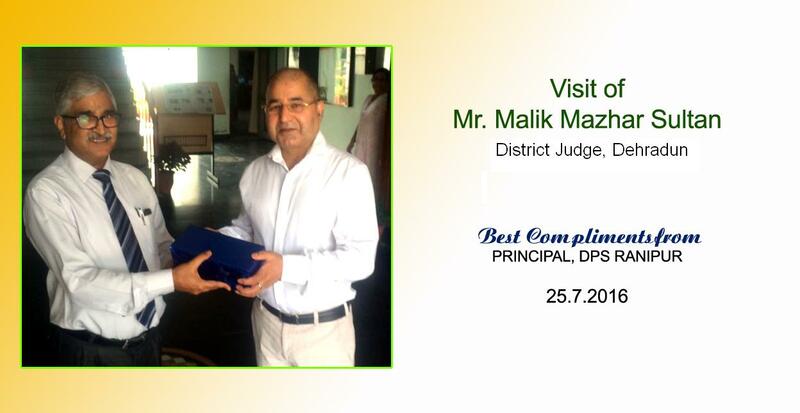 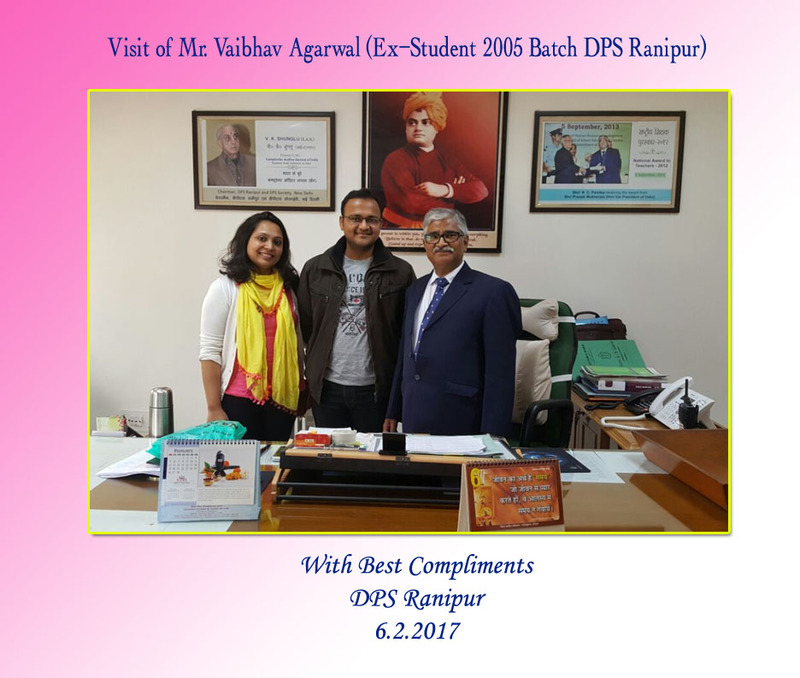 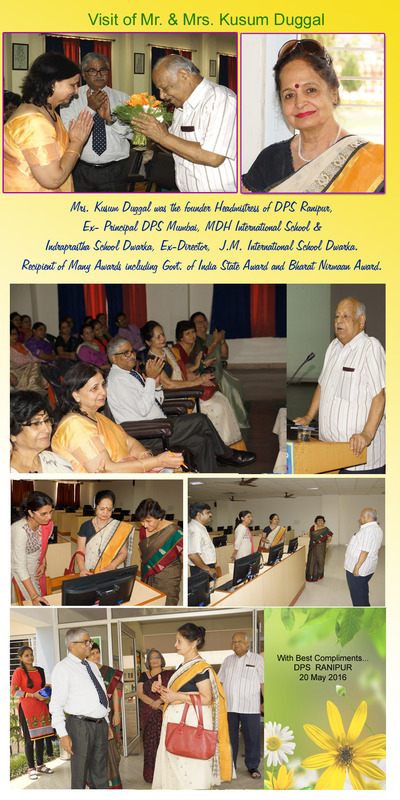 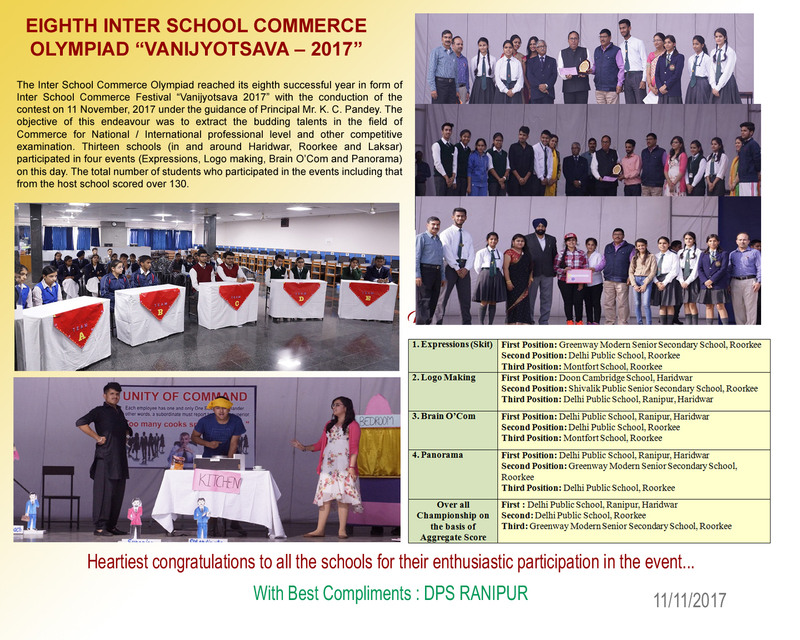 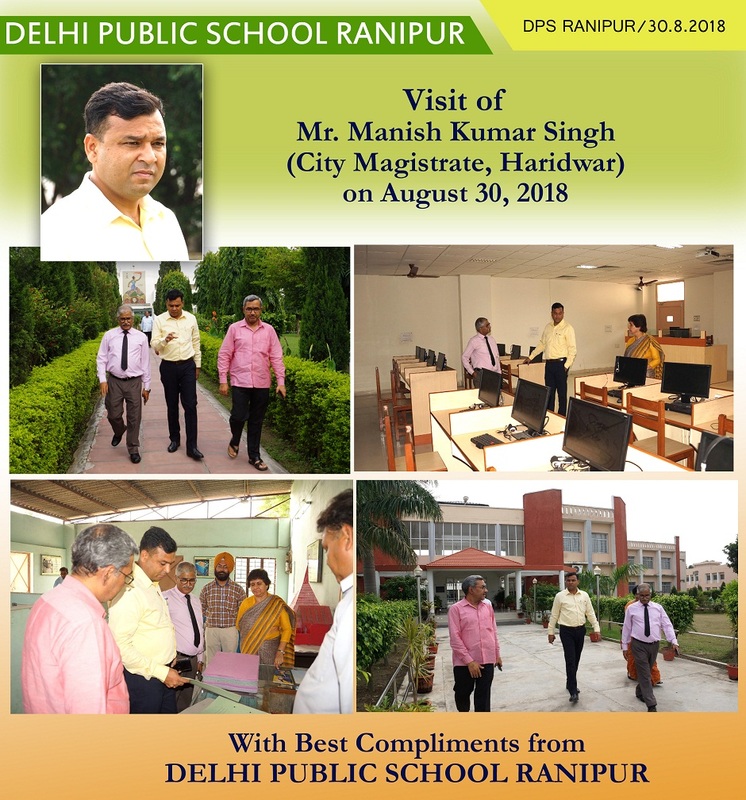 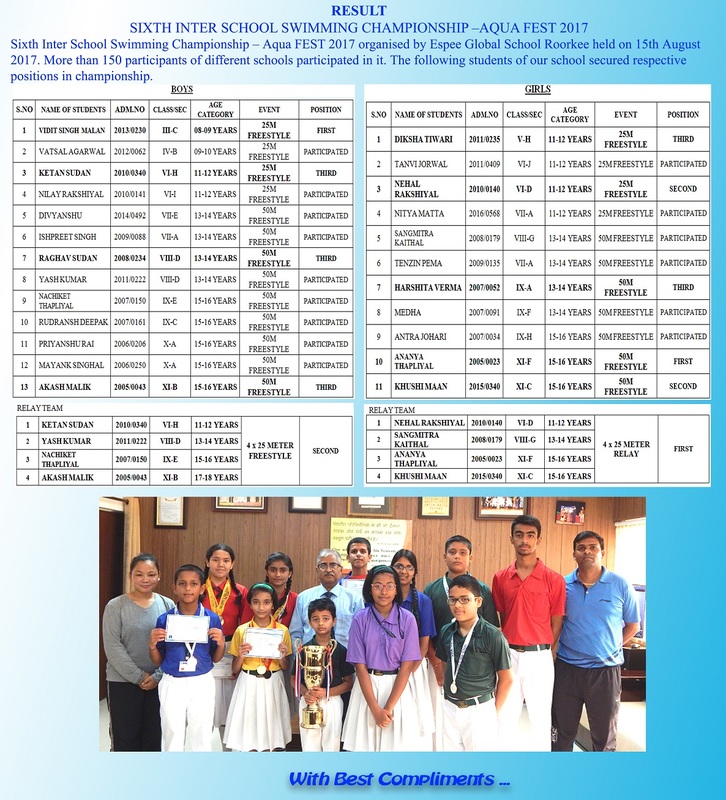 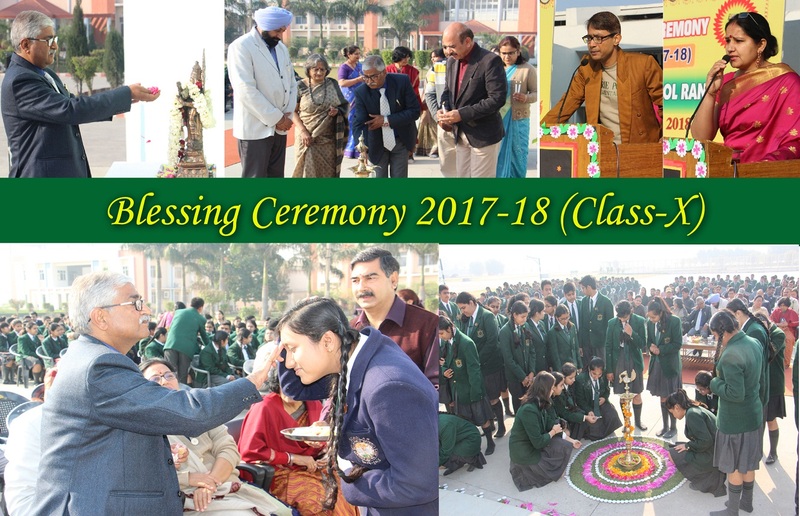 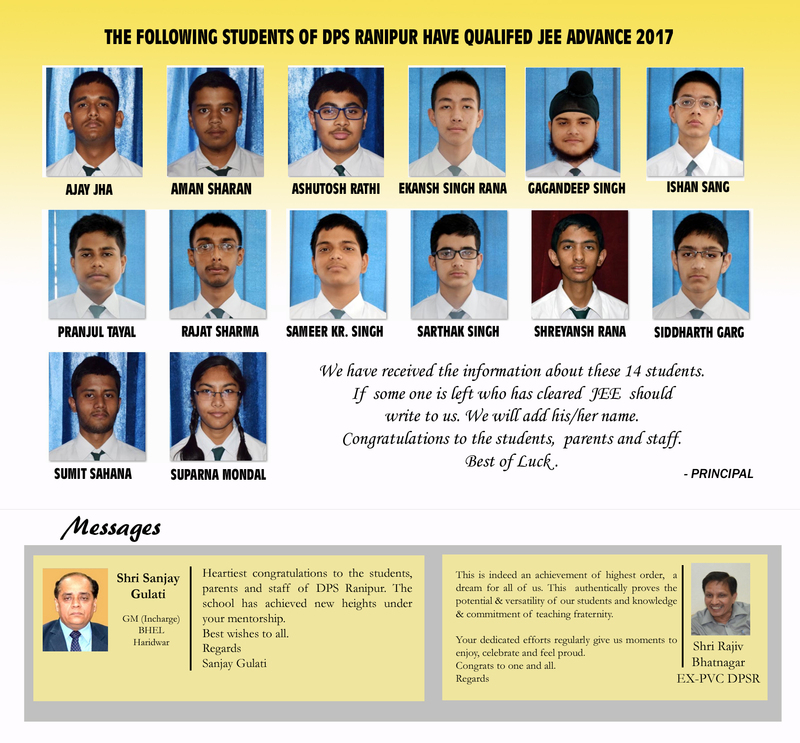 blessings of dignitaries for DHS -2017 achievement. 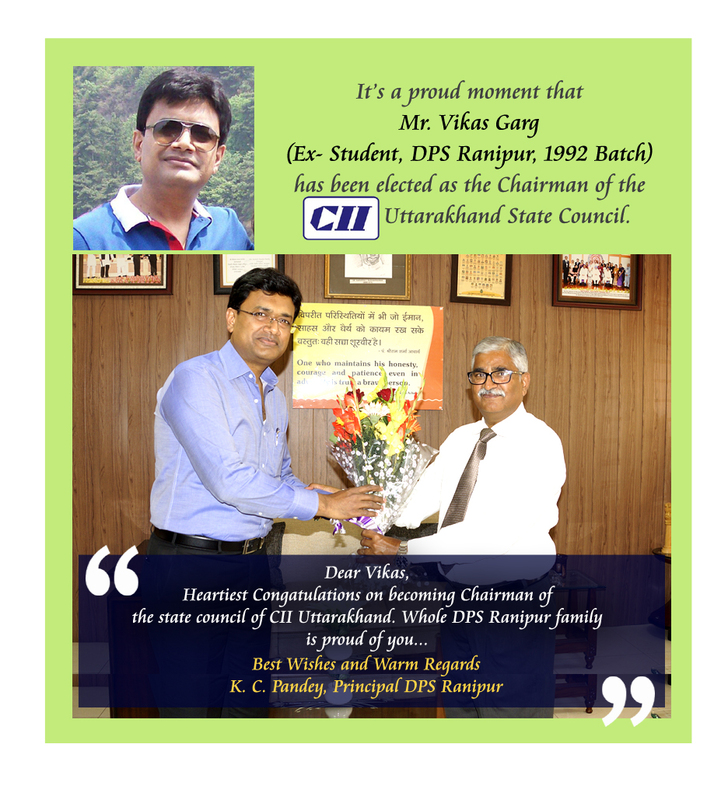 Mr. Vikas Garg (Ex Student DPS Ranipur 1992 batch) become Chairman of CII - Uttarakhand State Council. 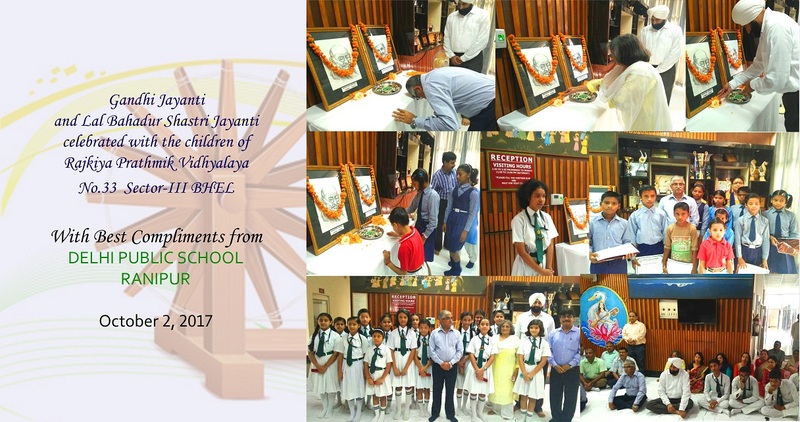 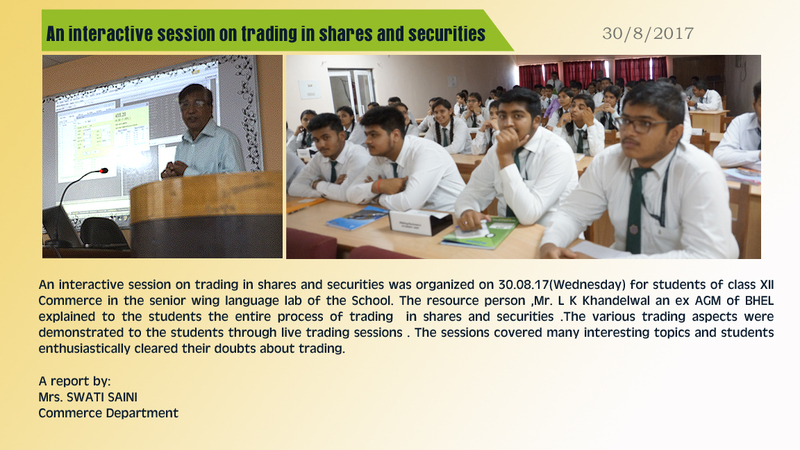 Felicitation of Principal Sir on the occasion of 155th Malviye Jayanti..
An interactive session on trading in shares and securities..
No Fire Cooking Activity in Middle Wing.. 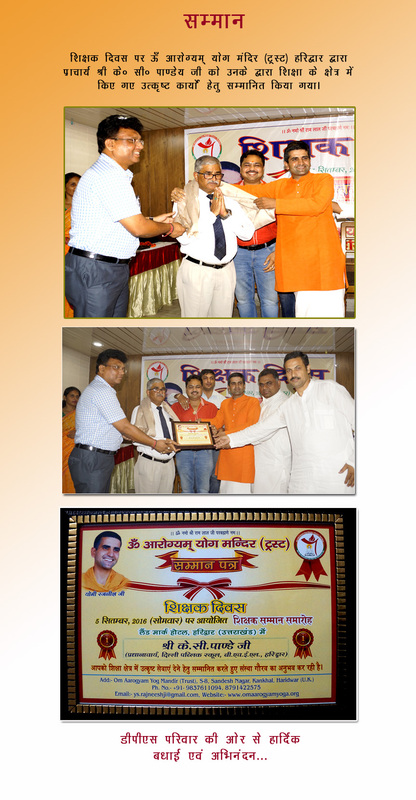 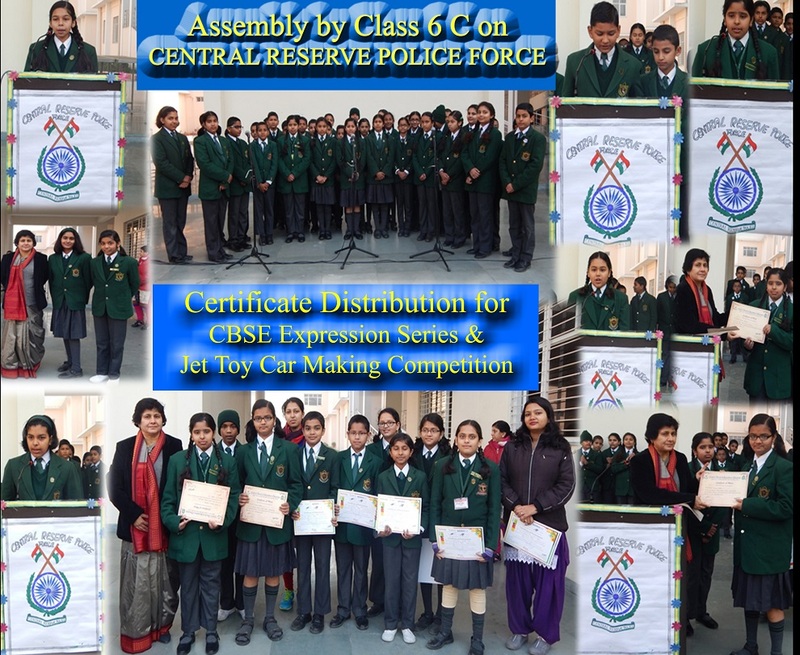 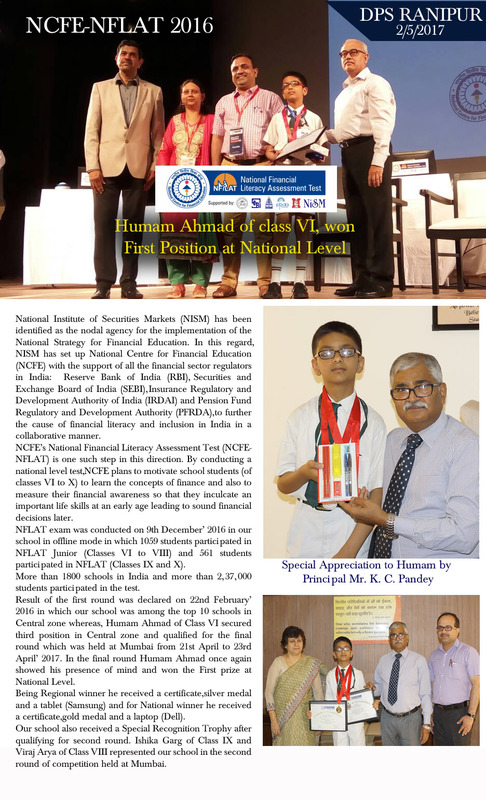 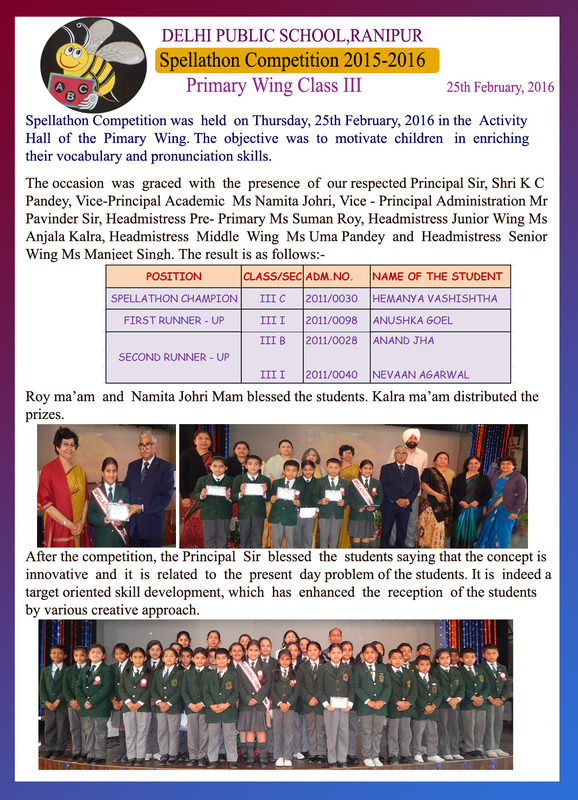 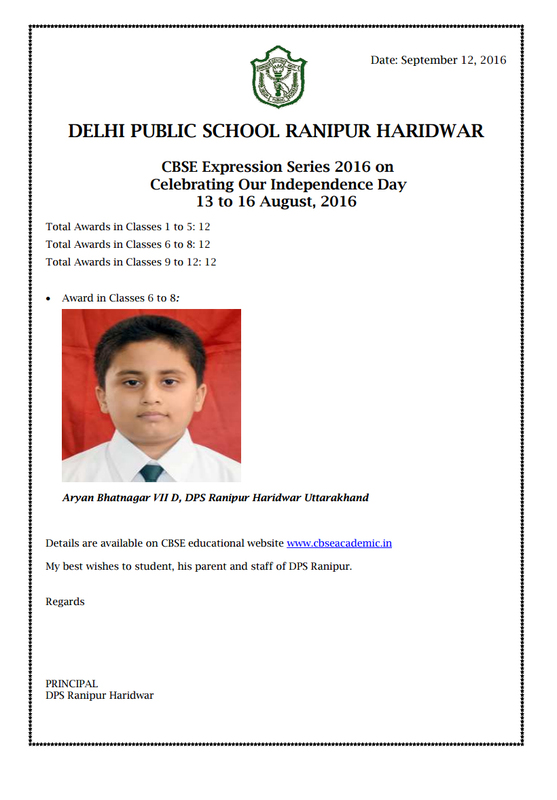 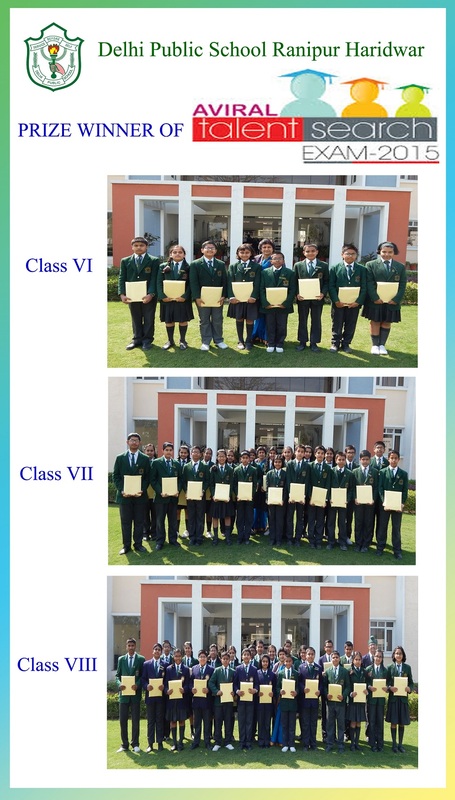 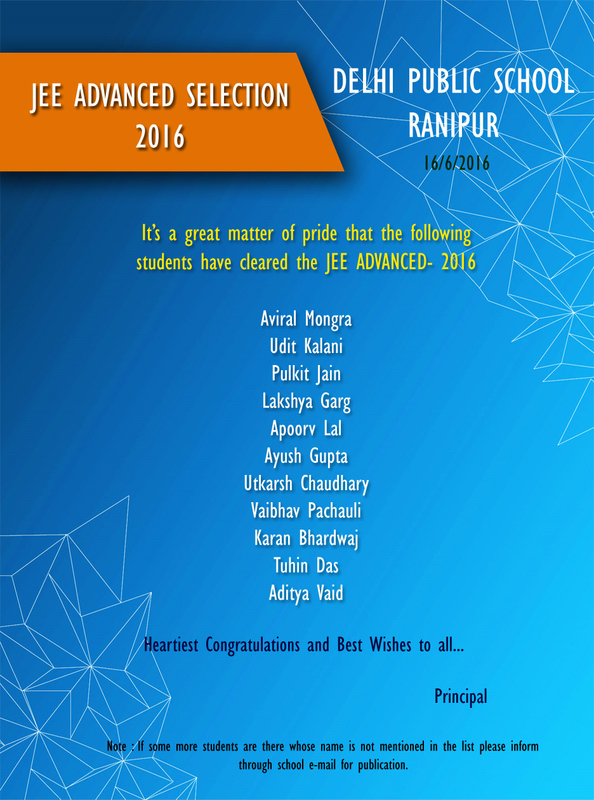 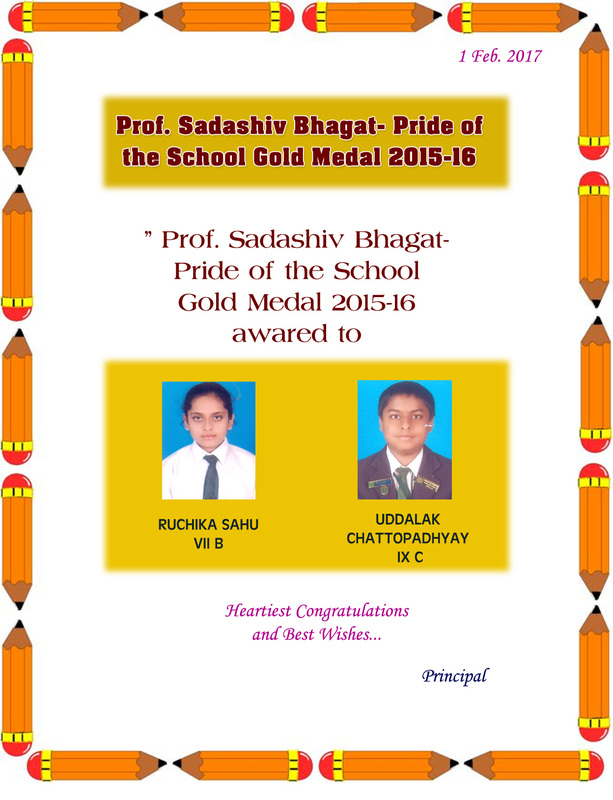 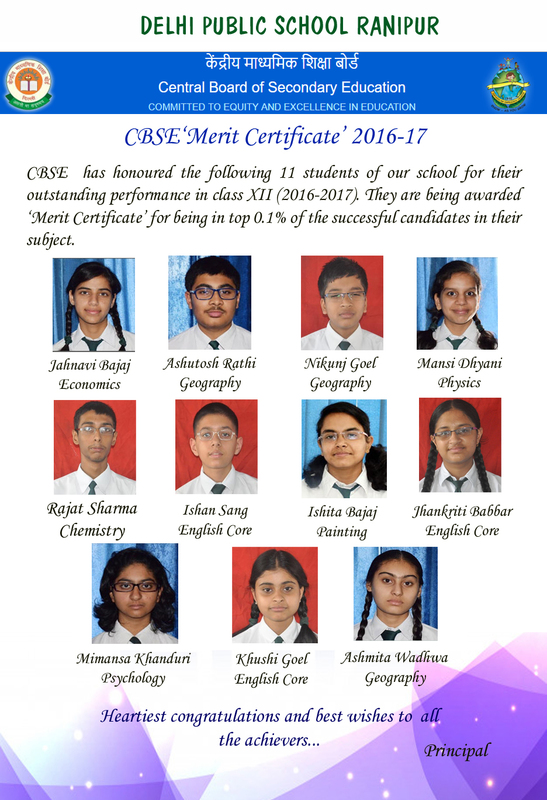 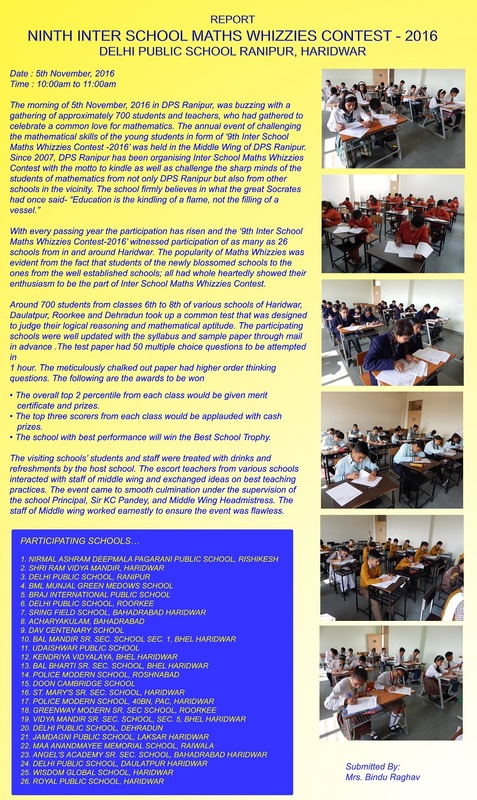 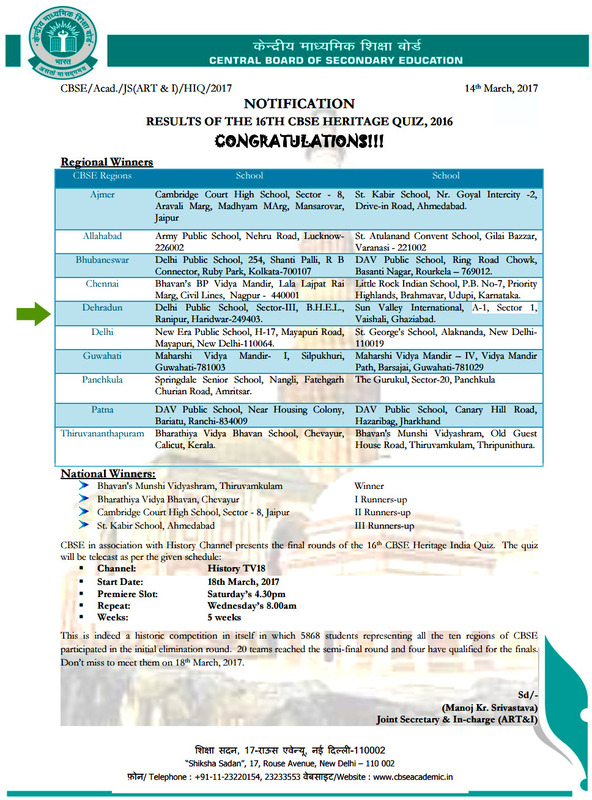 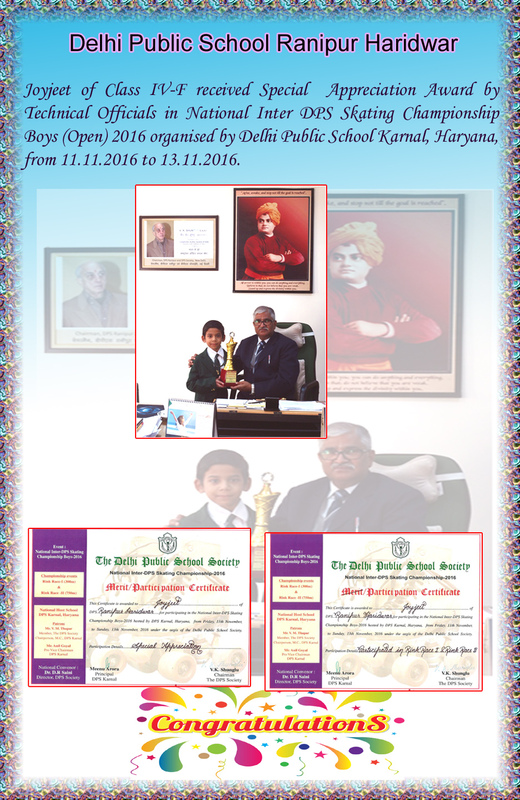 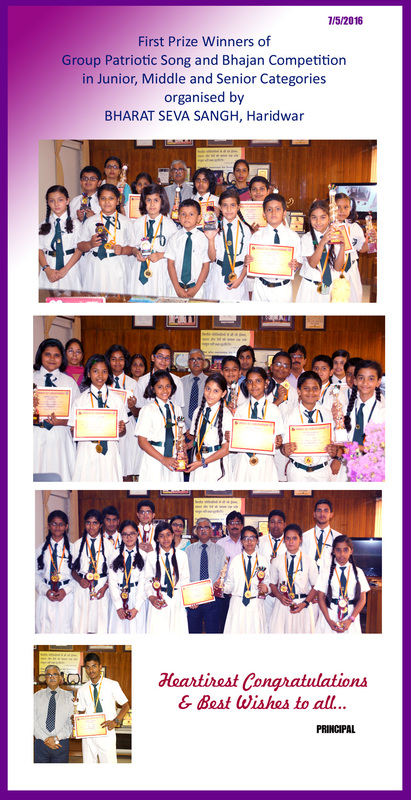 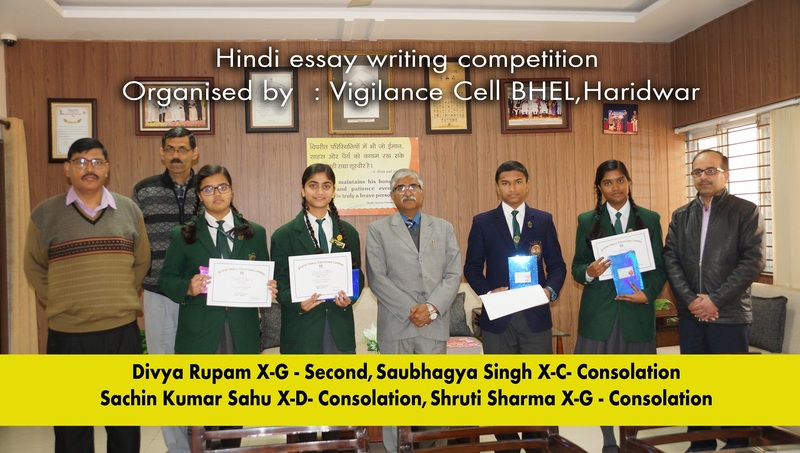 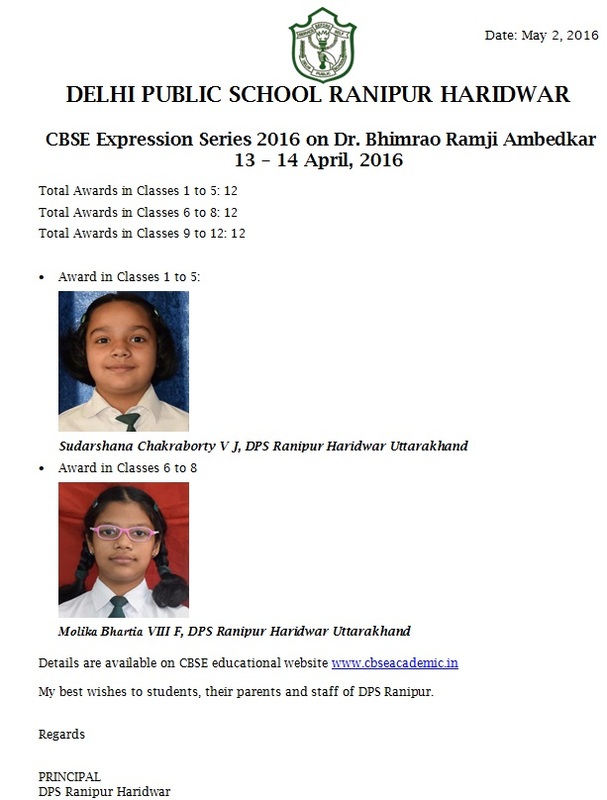 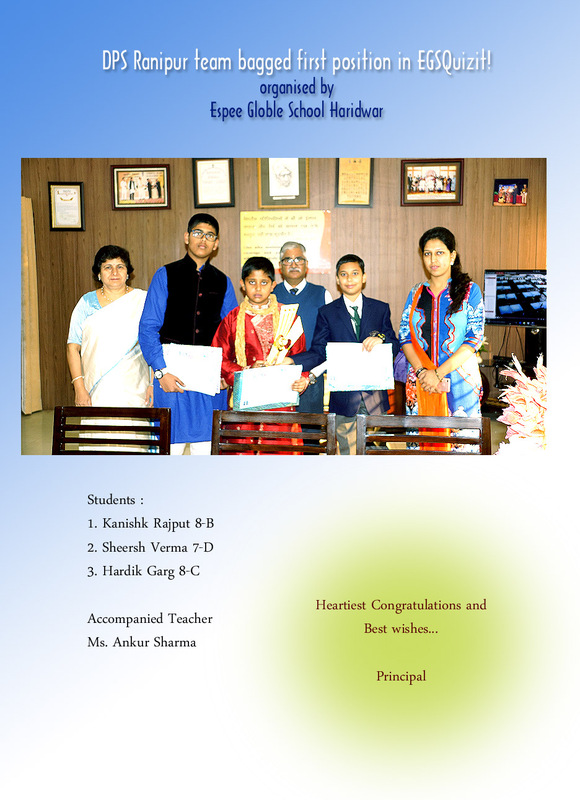 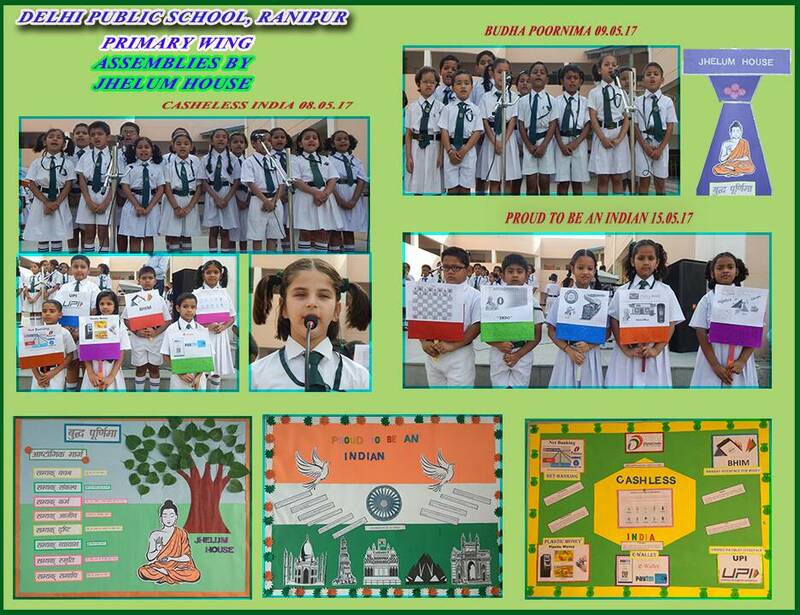 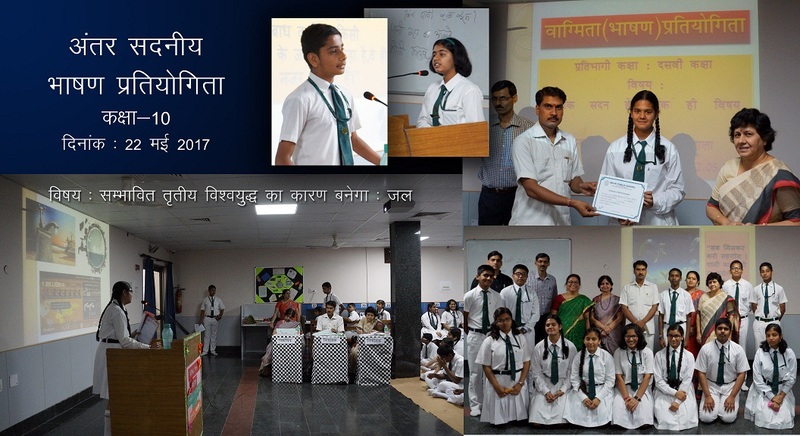 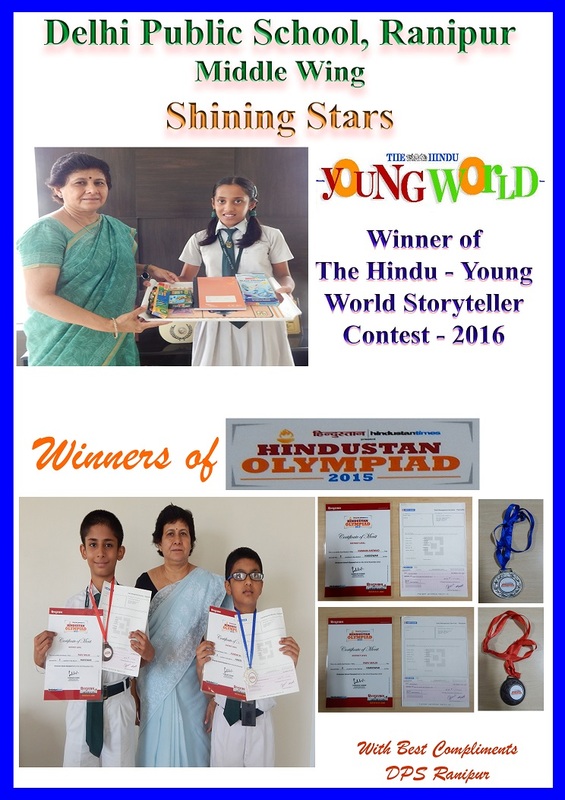 Awards in CBSE Expression 2016 Series on Dr. Bhimrao Ramji Ambedkar. 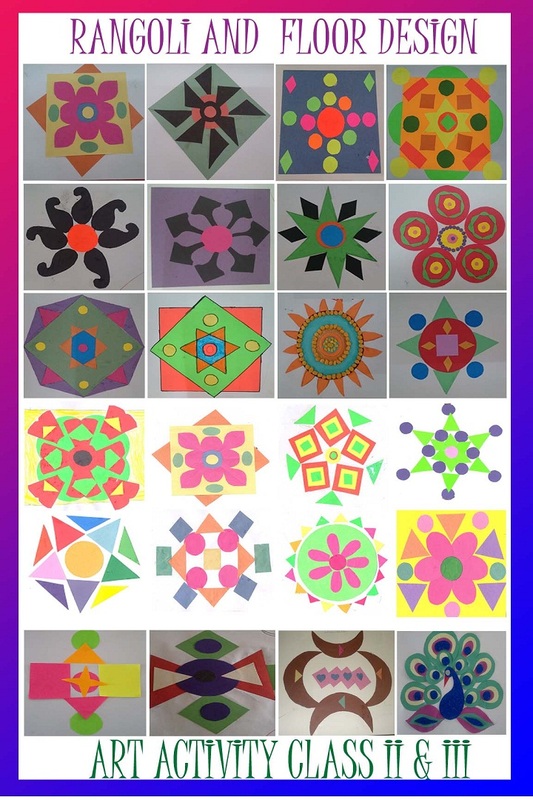 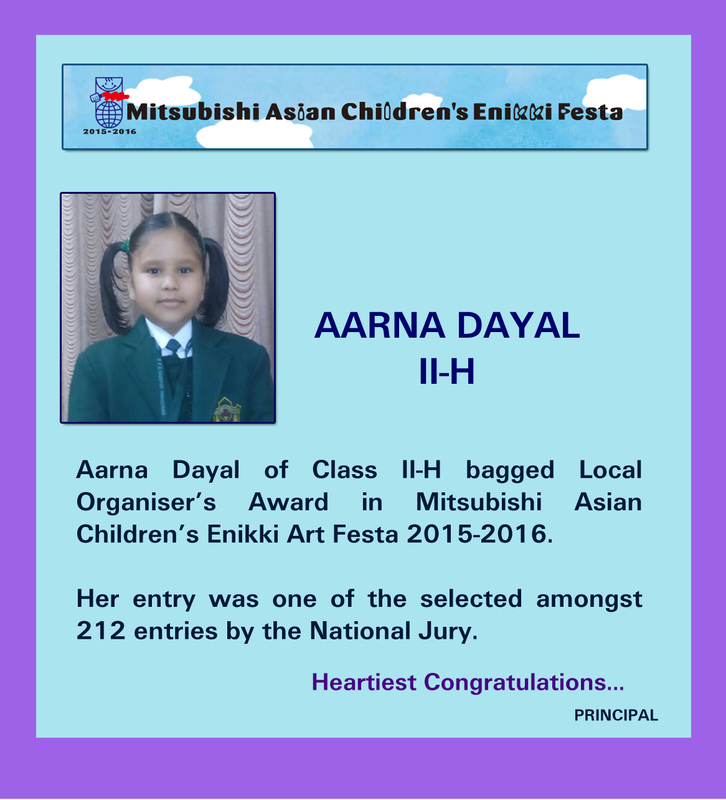 MITSUBISHI ASIAN CHILDREN’S ENIKKI ART FESTA 2015-2016. 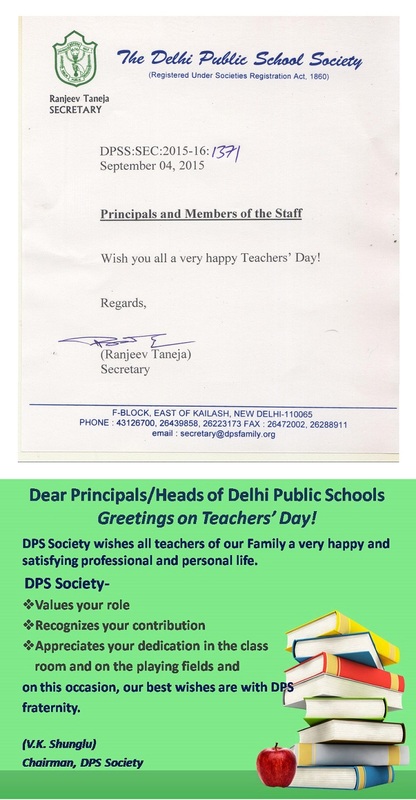 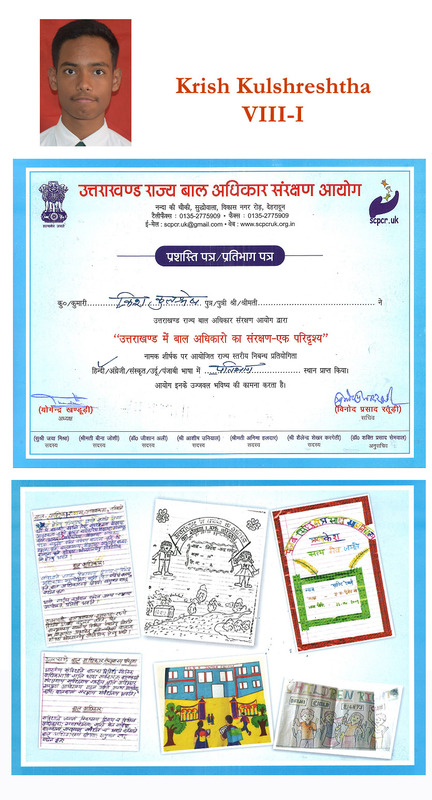 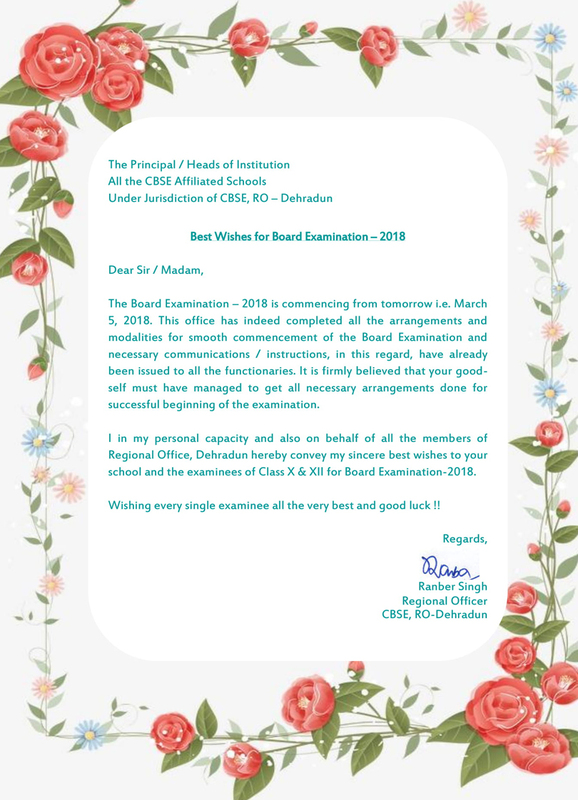 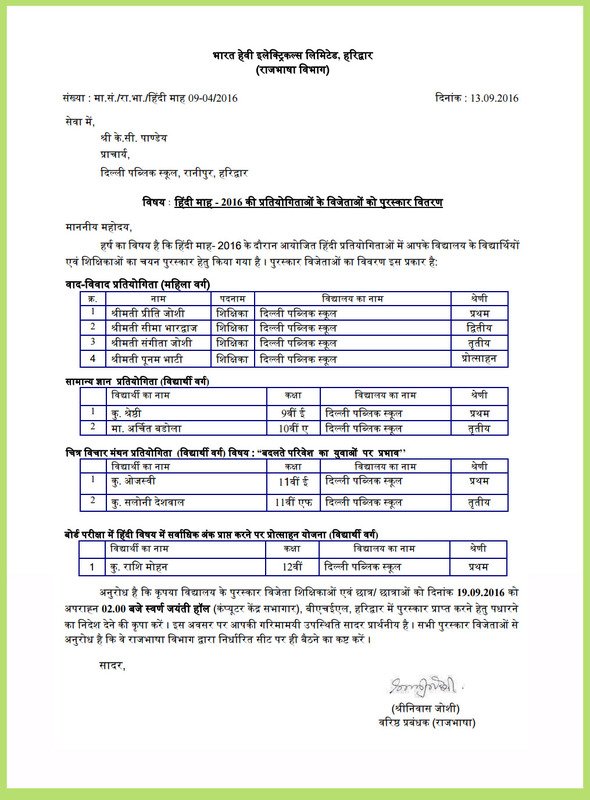 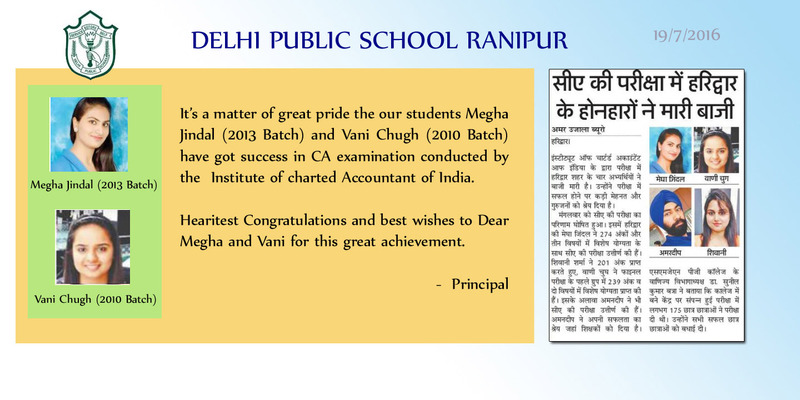 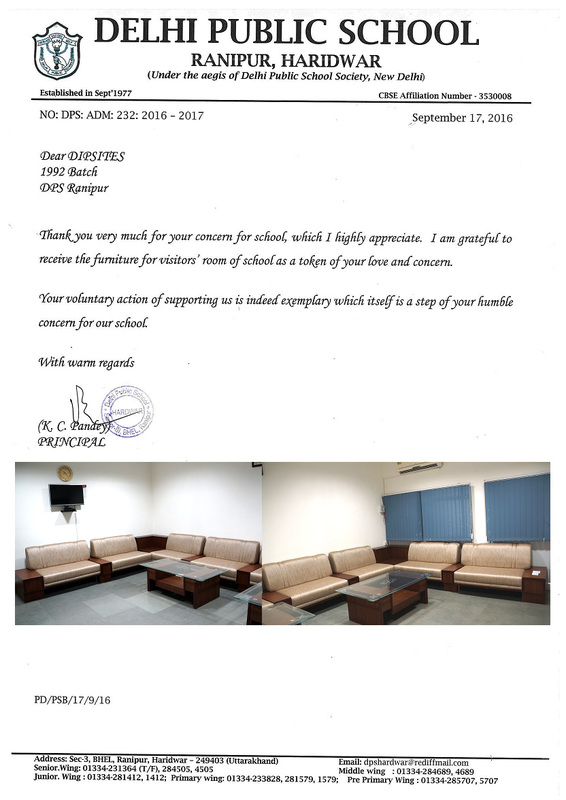 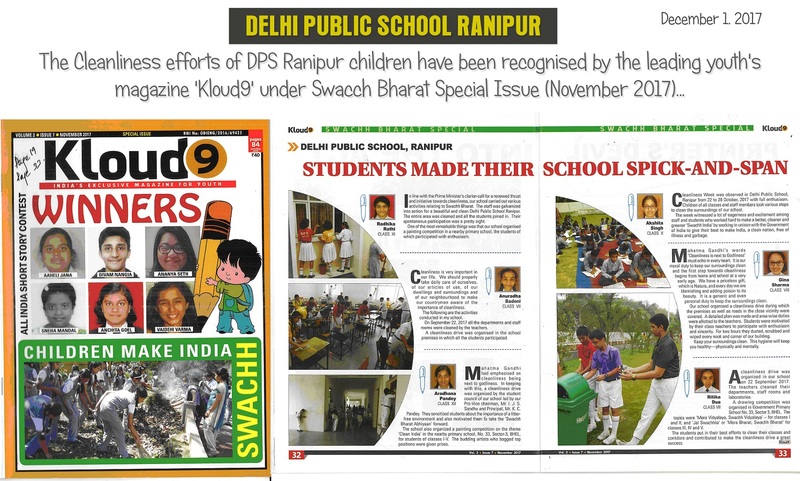 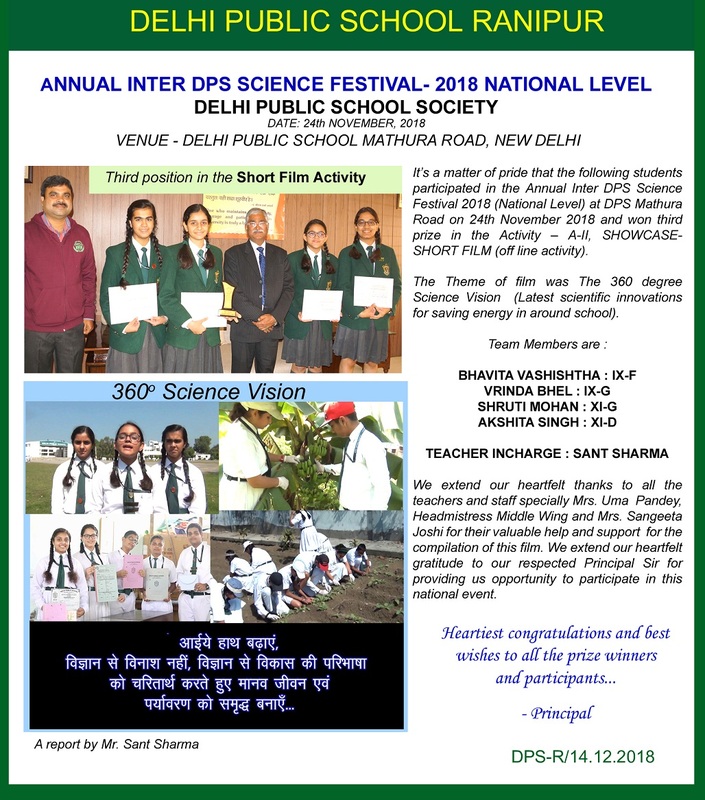 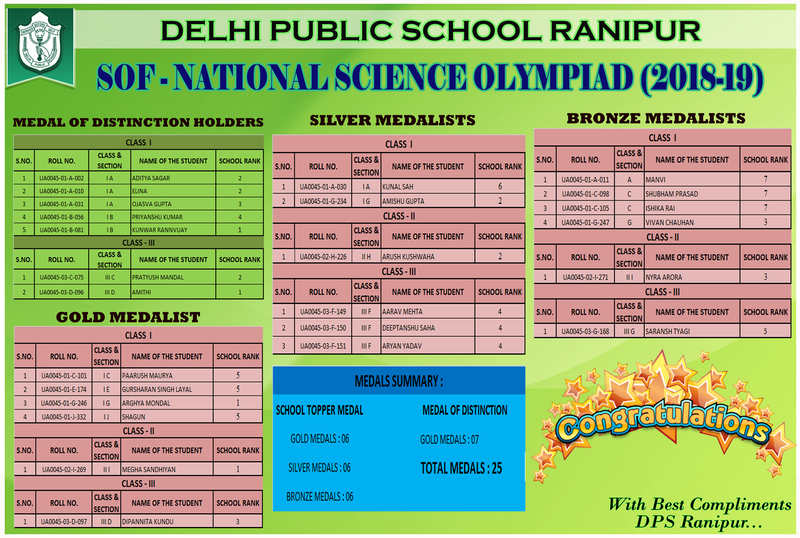 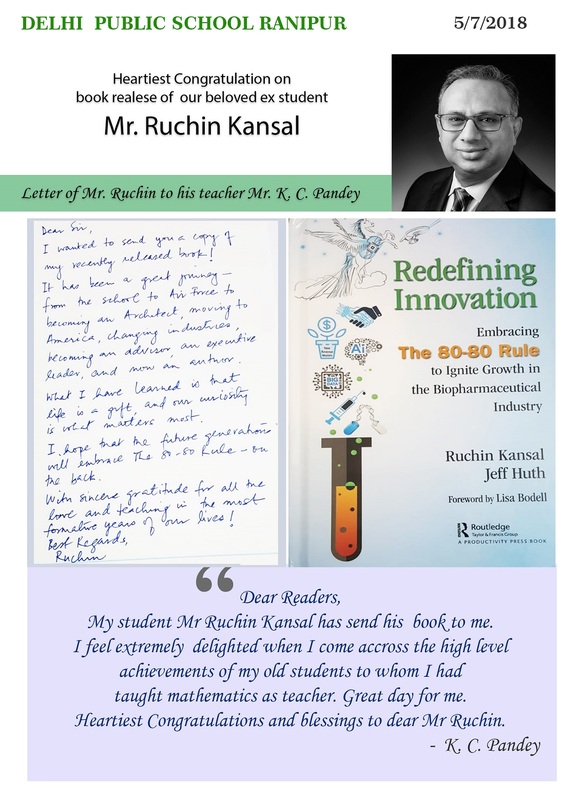 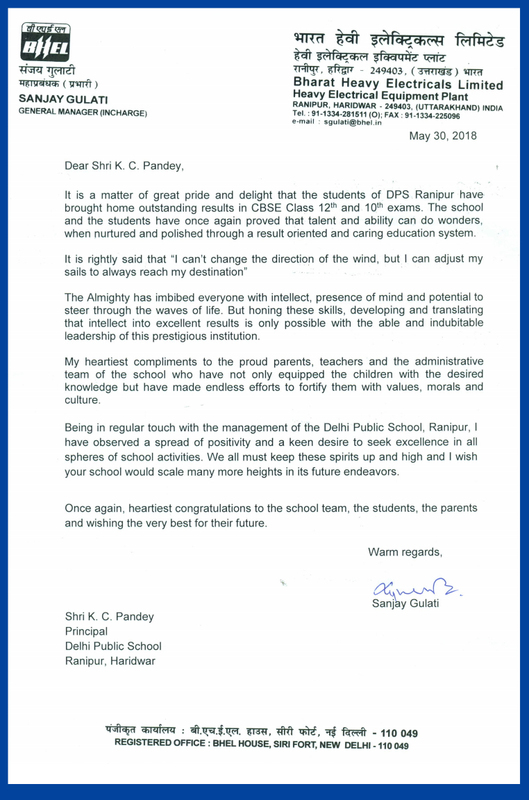 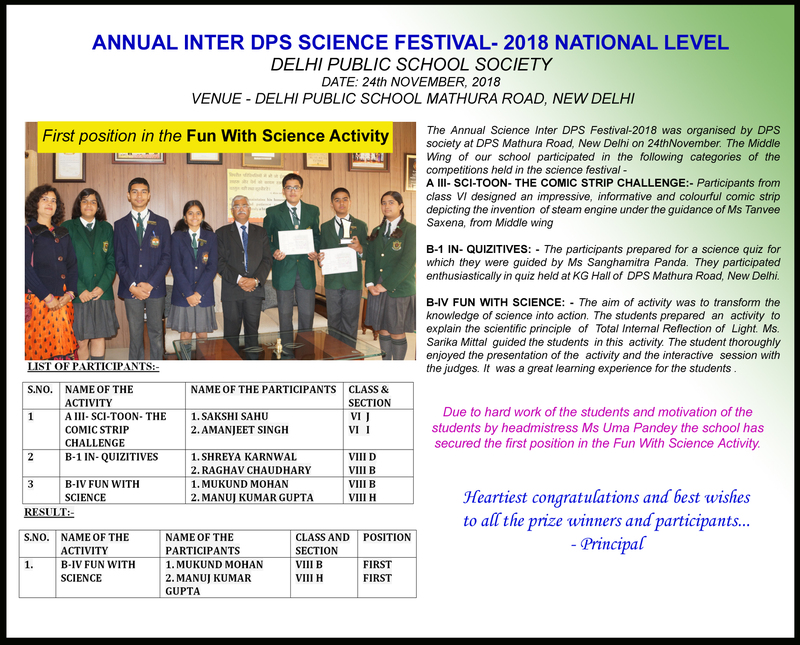 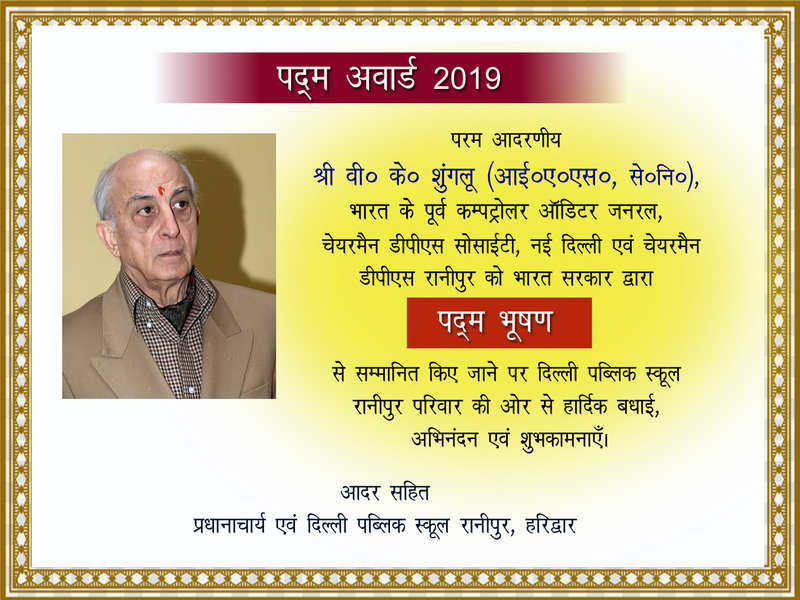 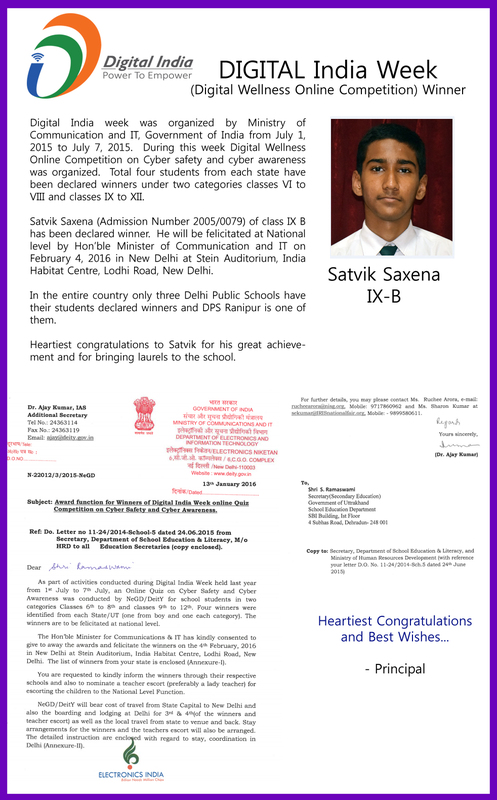 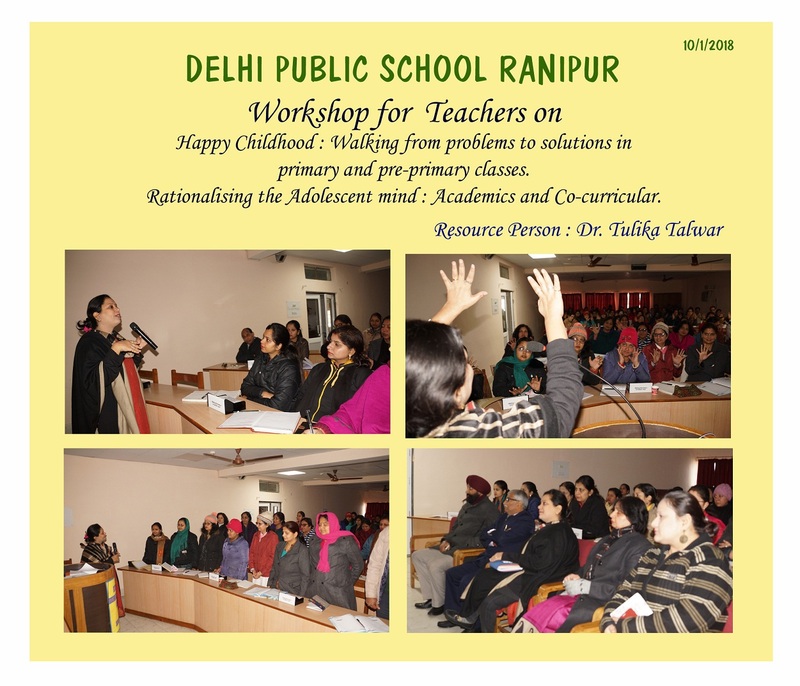 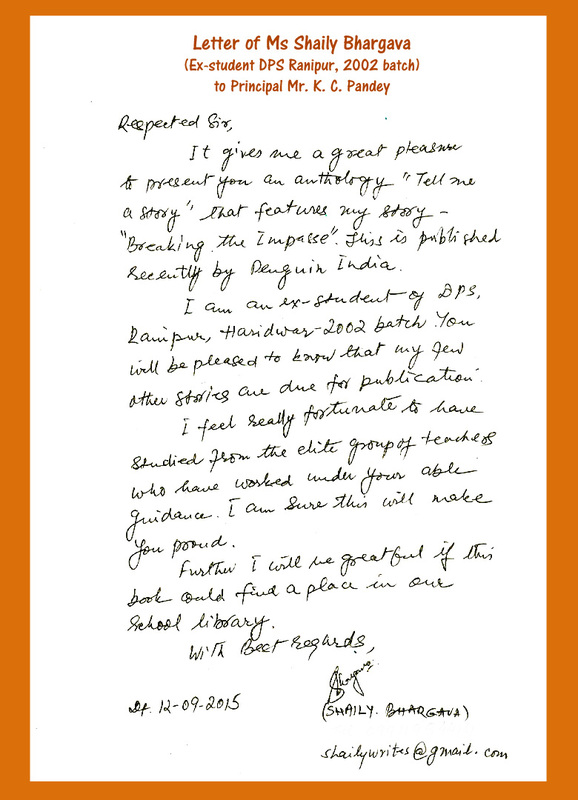 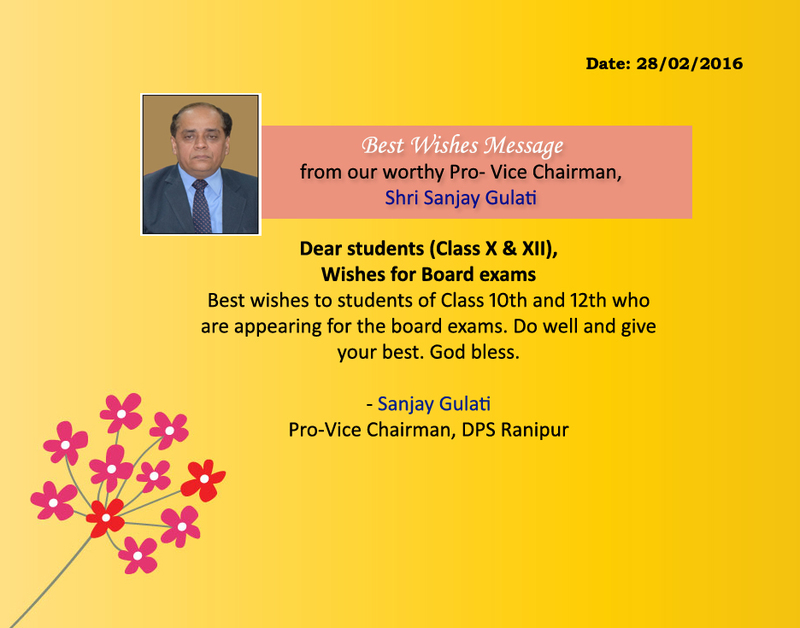 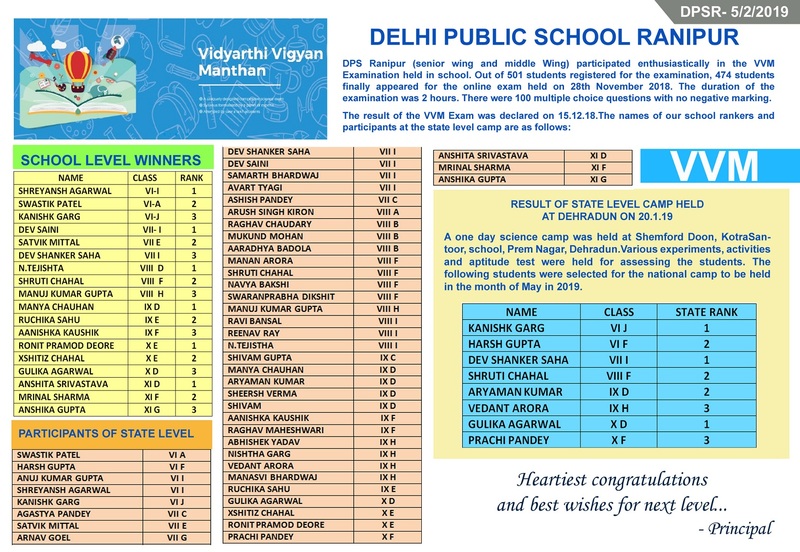 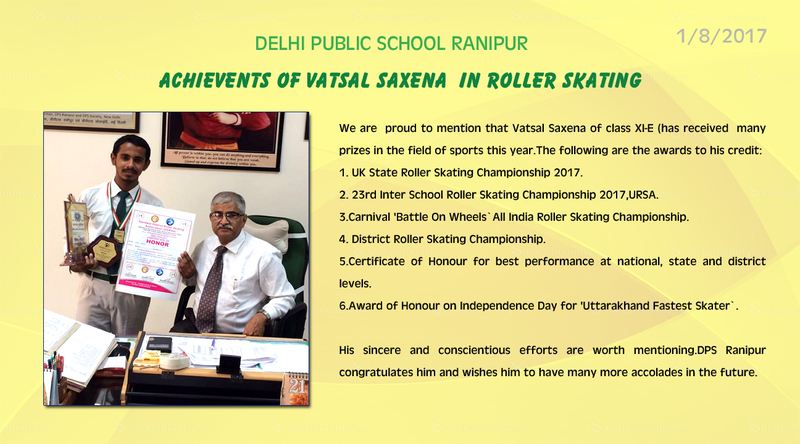 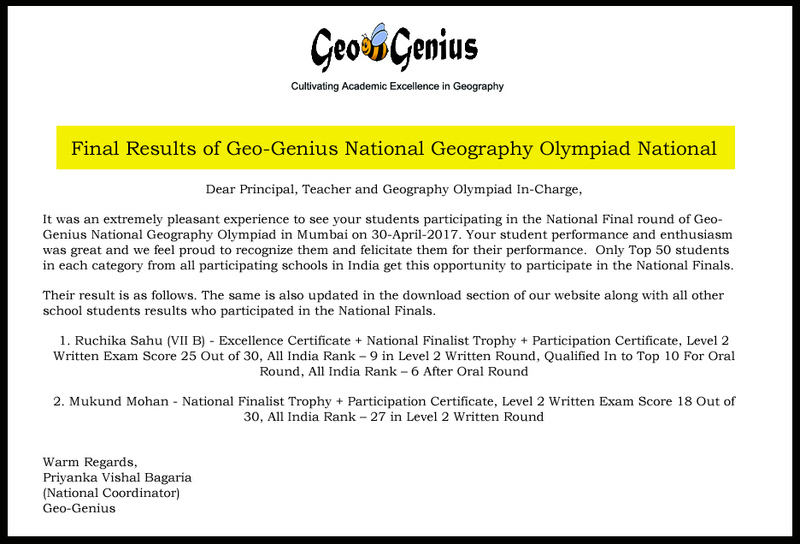 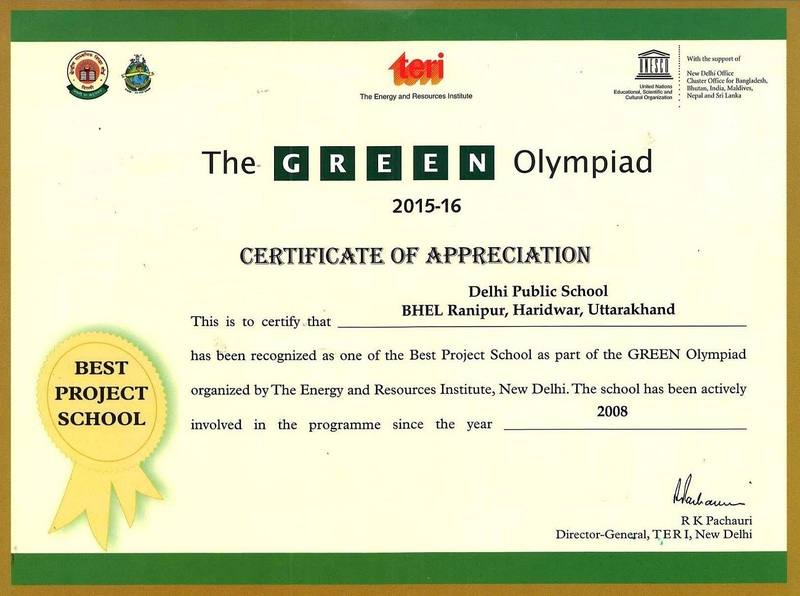 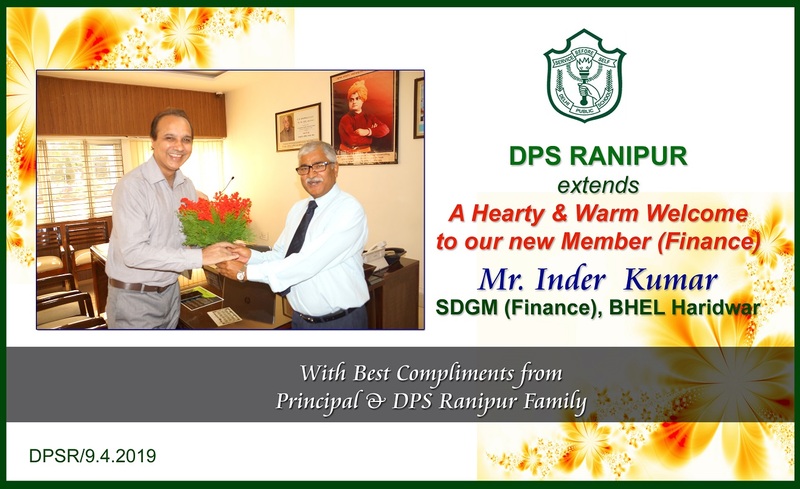 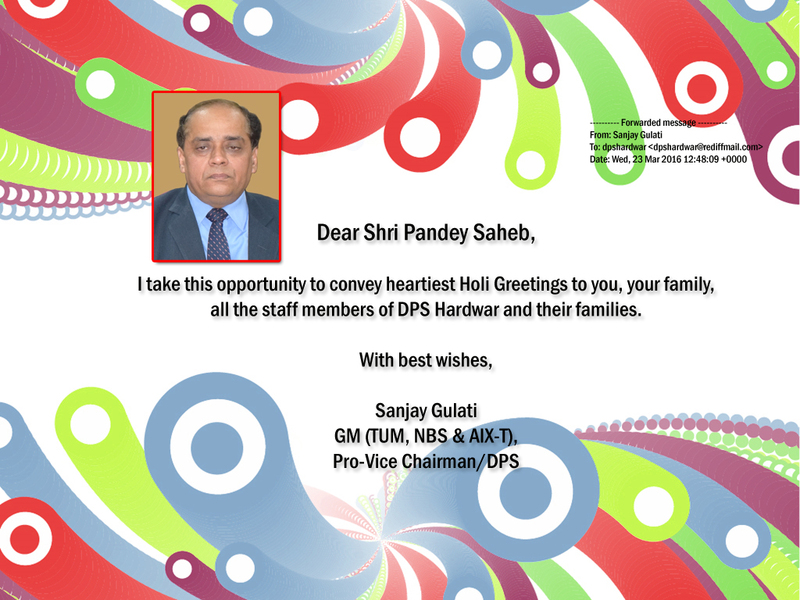 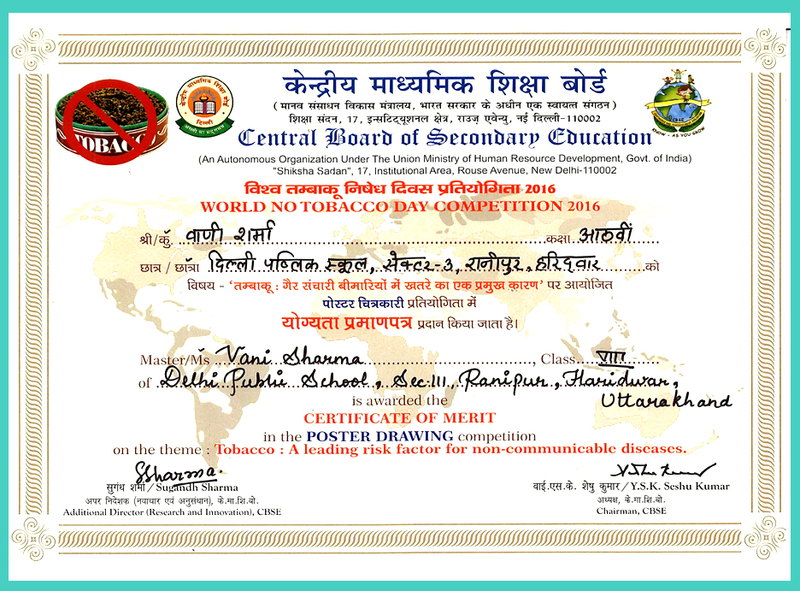 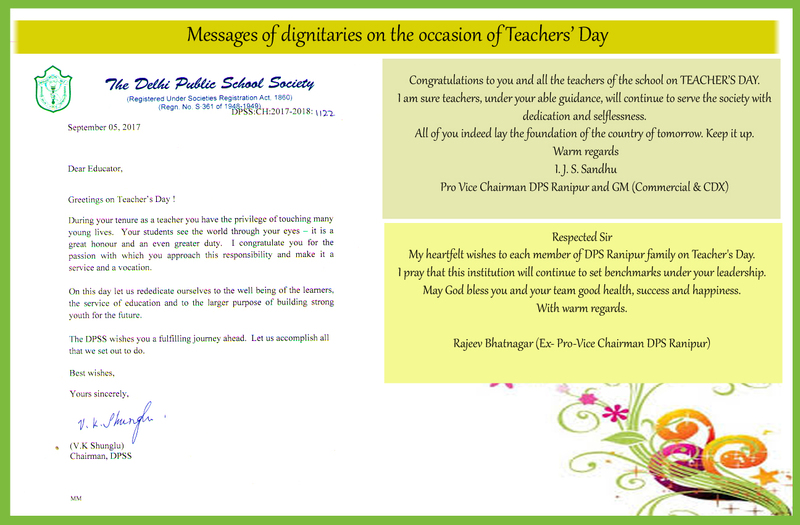 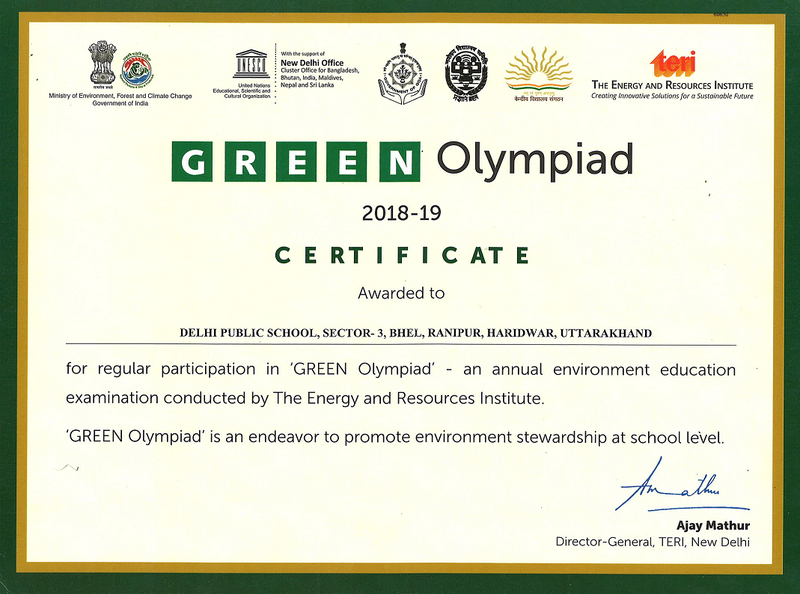 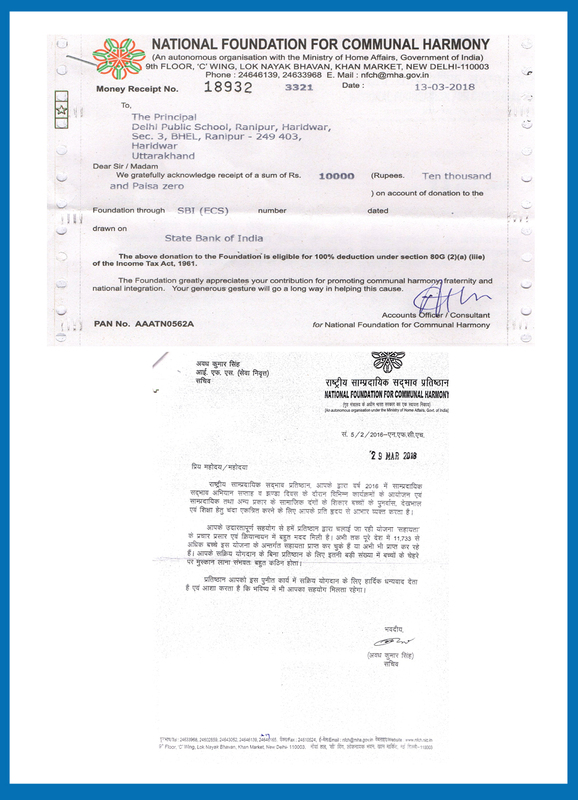 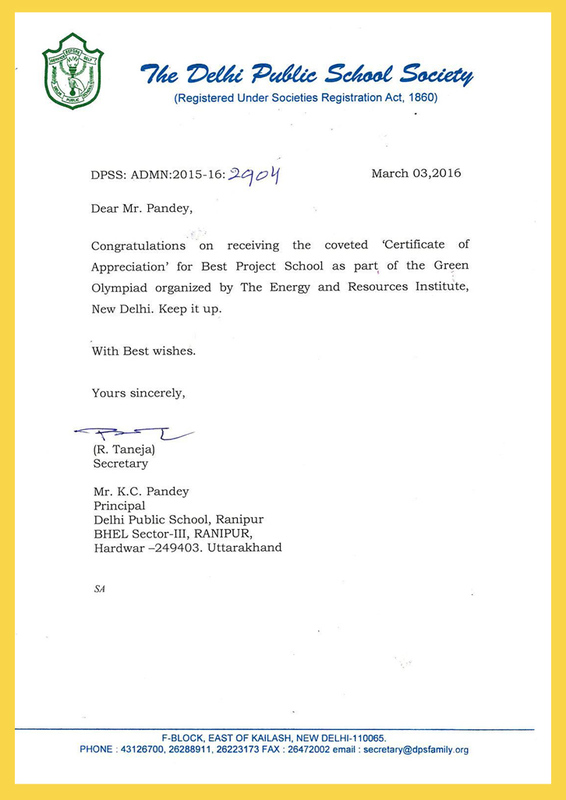 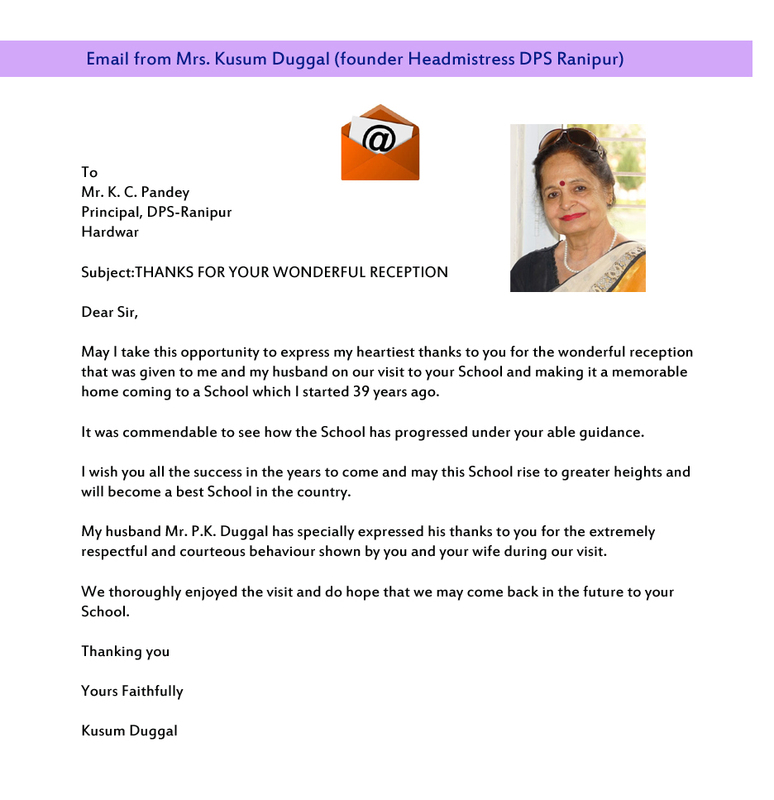 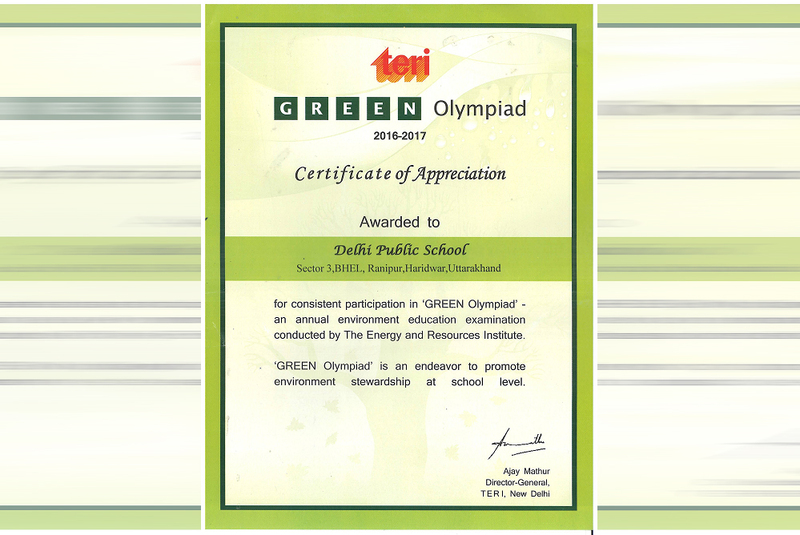 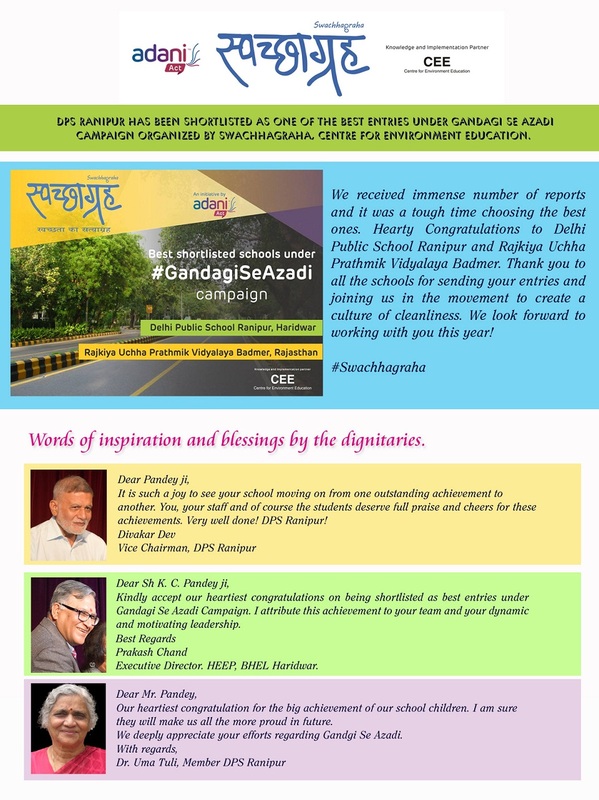 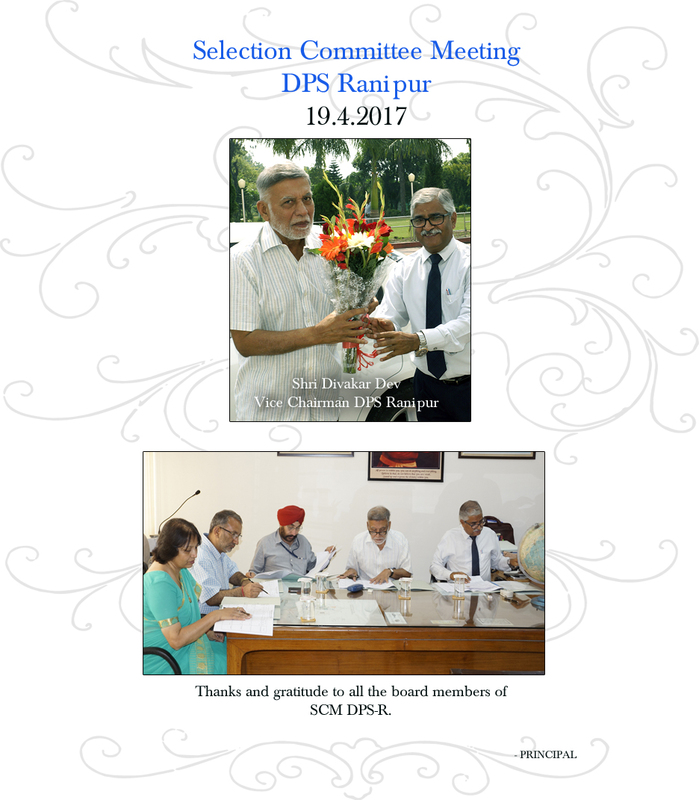 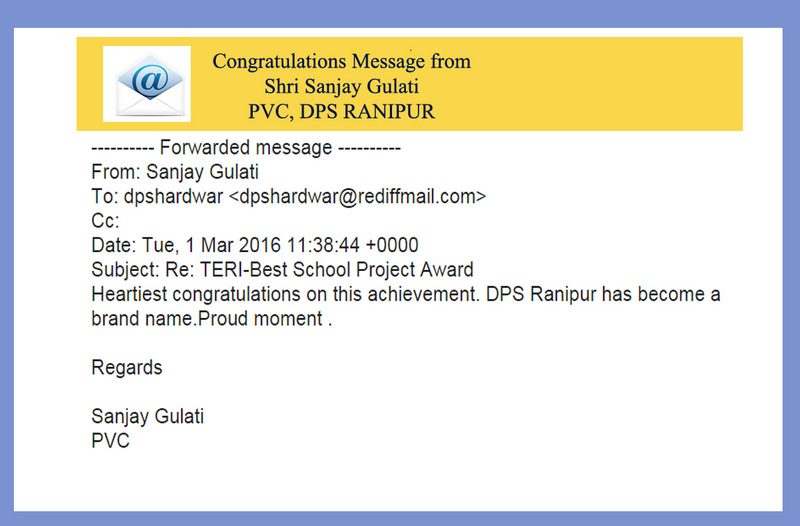 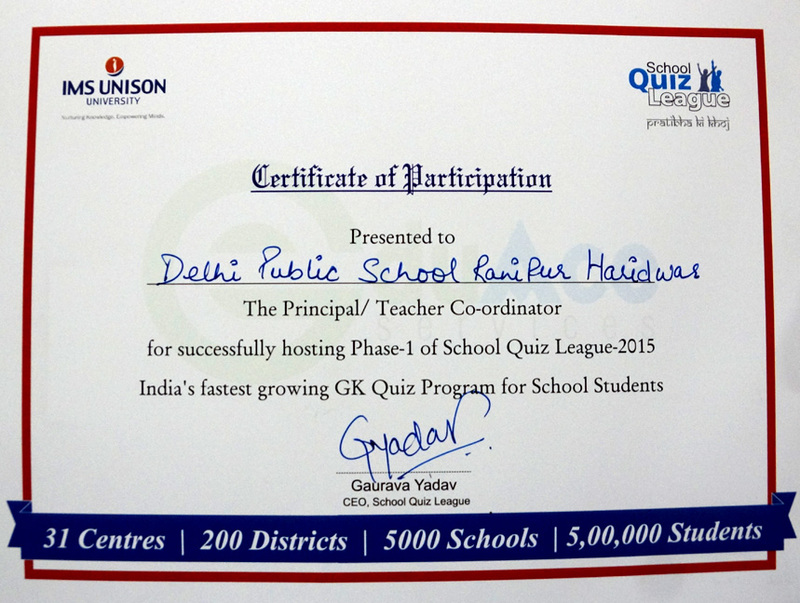 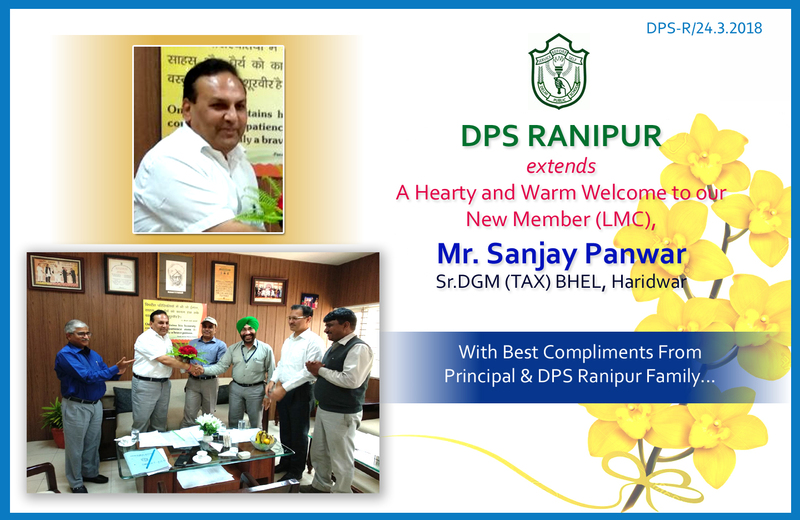 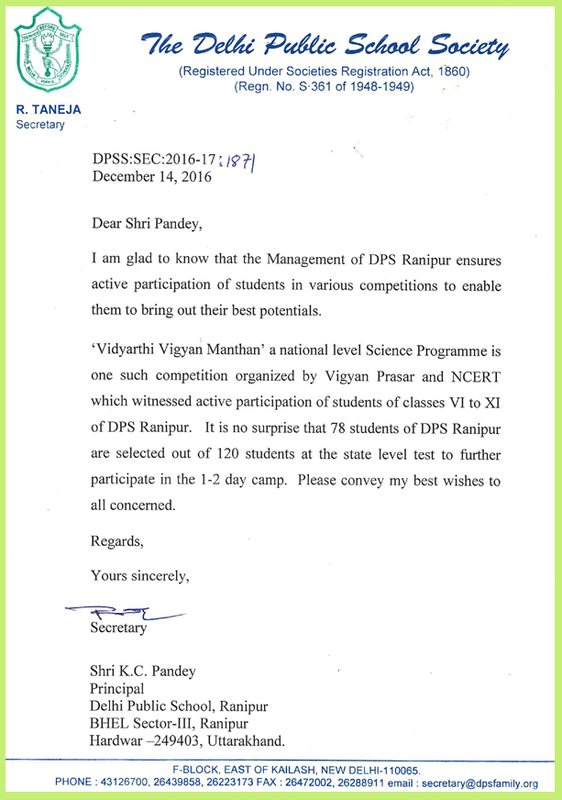 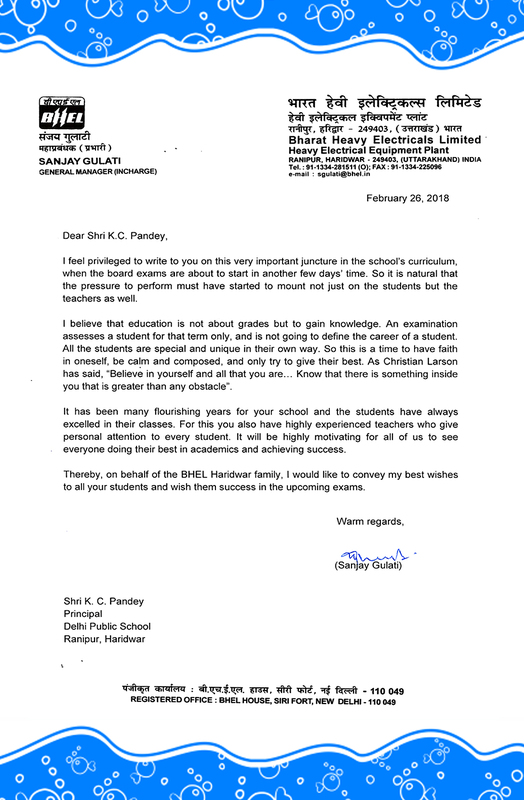 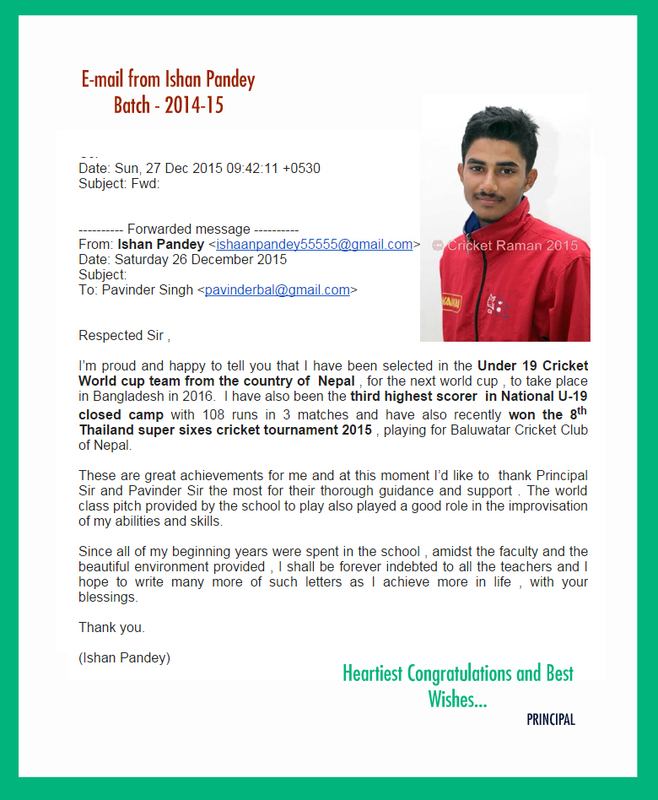 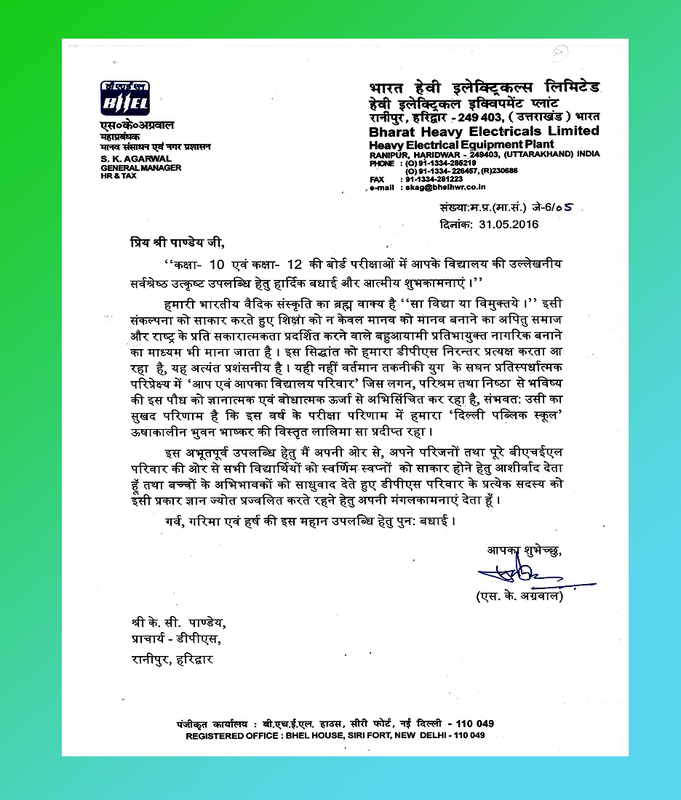 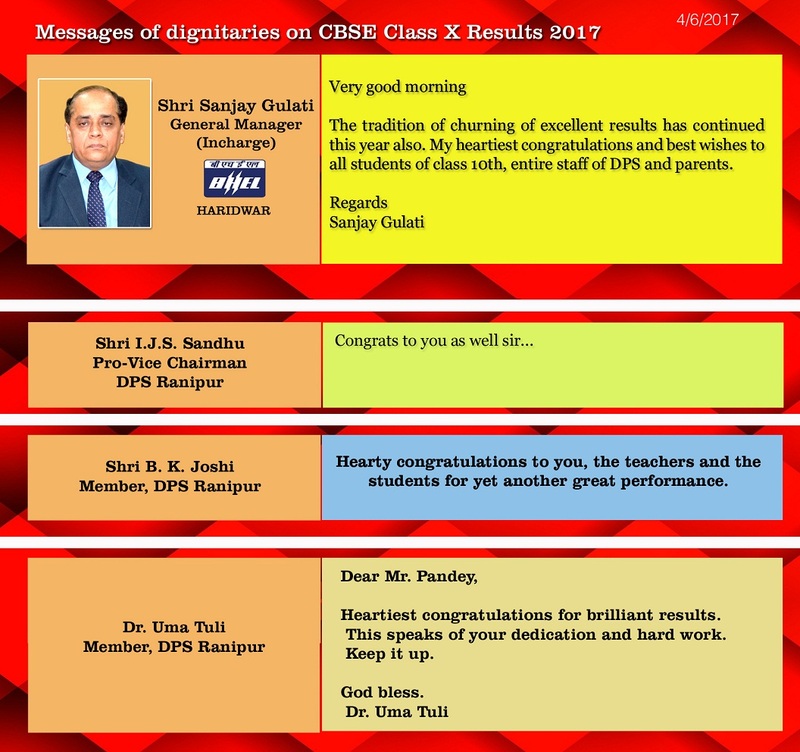 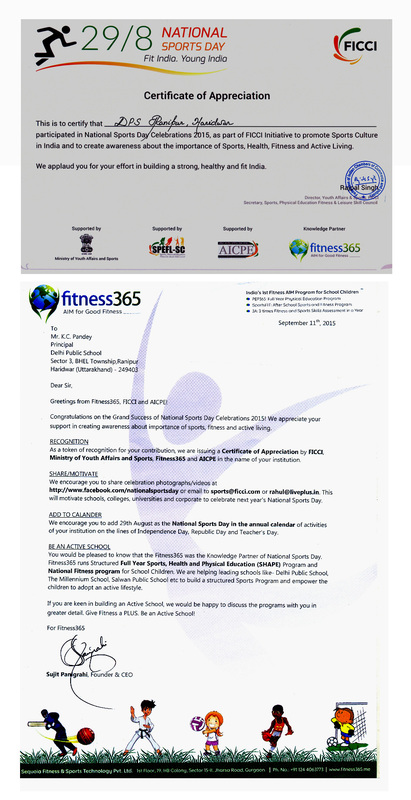 Congratulations letter from Shri R. Taneja, Secretary DPS Society, N. Delhi. 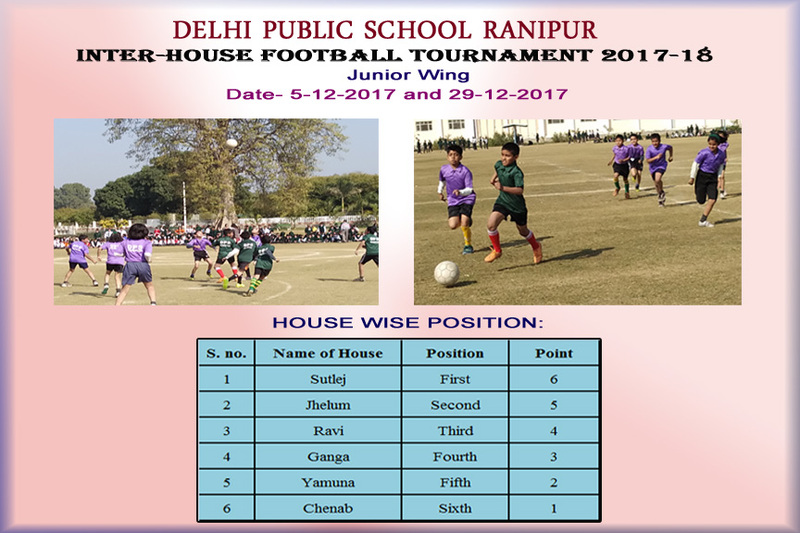 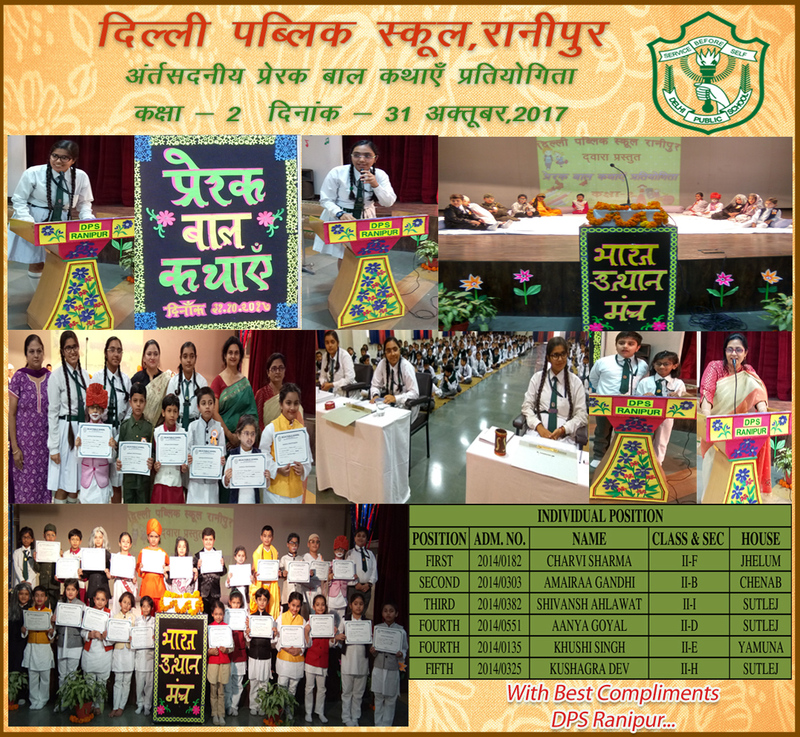 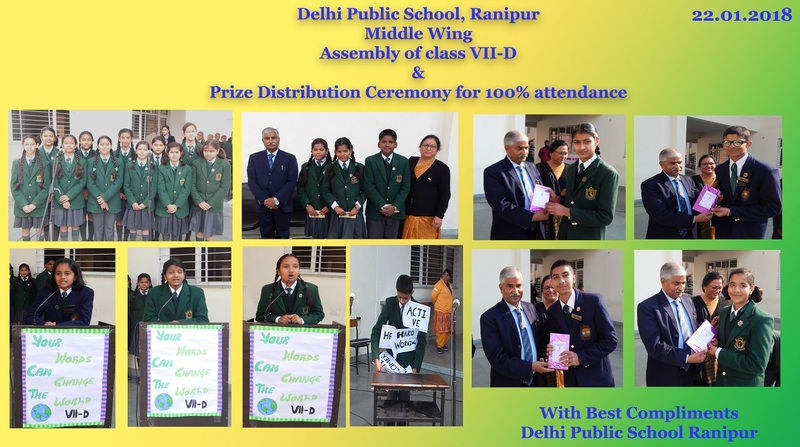 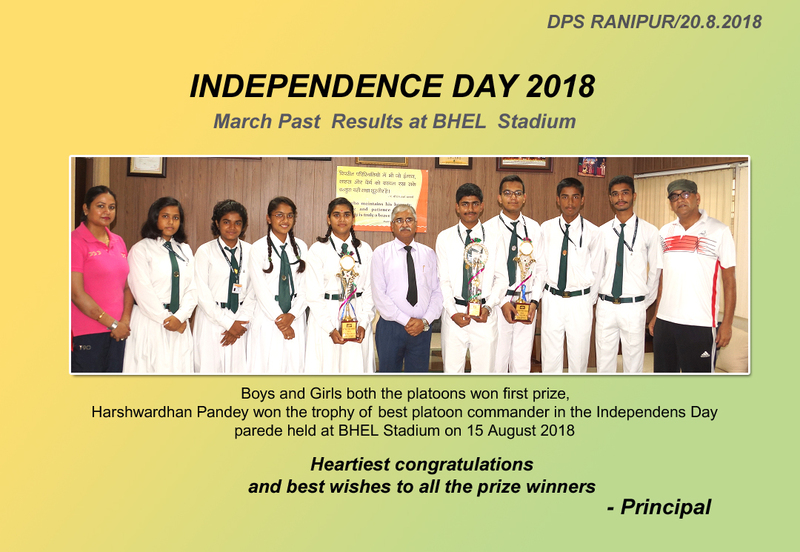 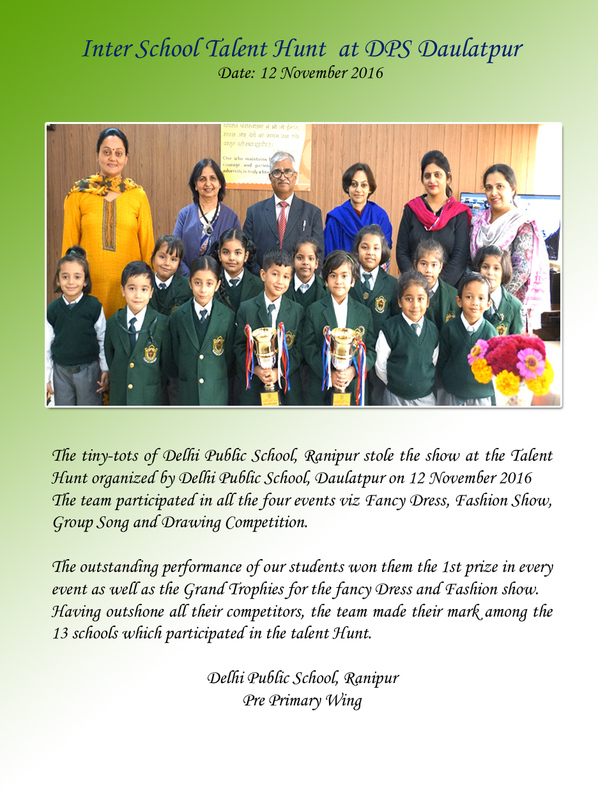 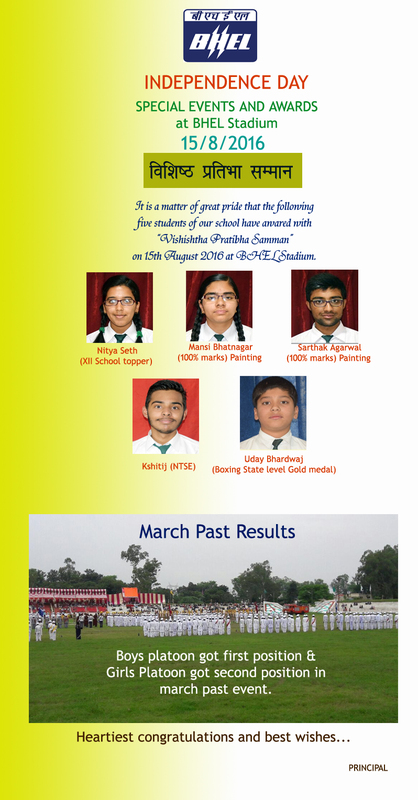 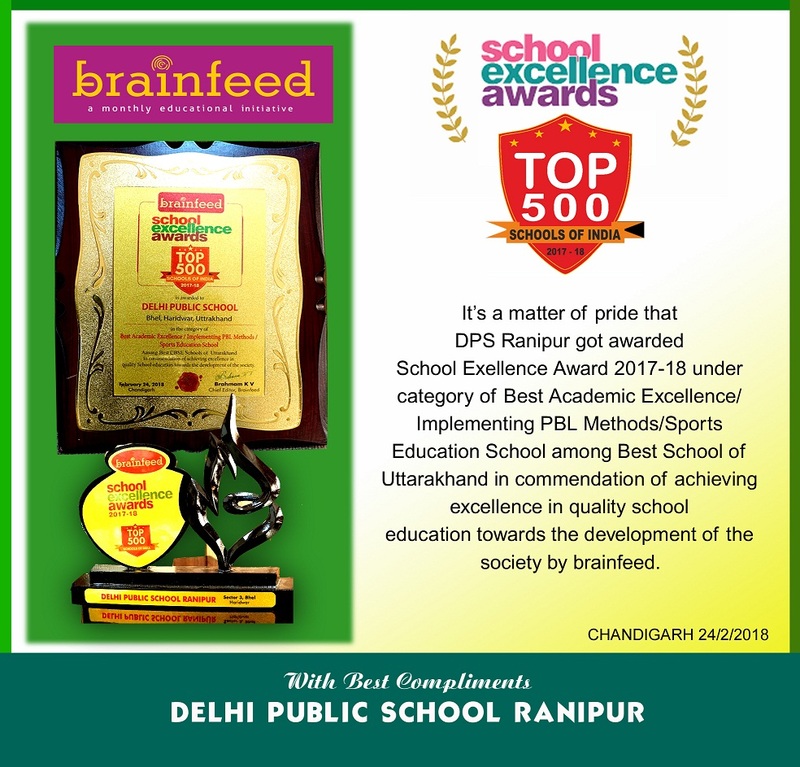 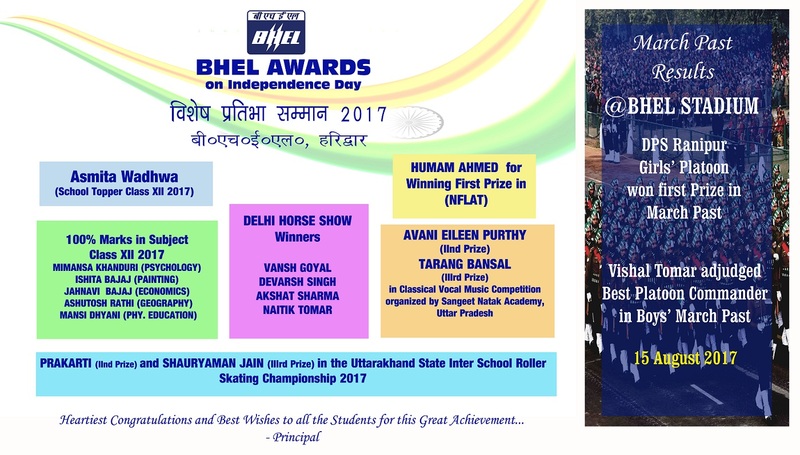 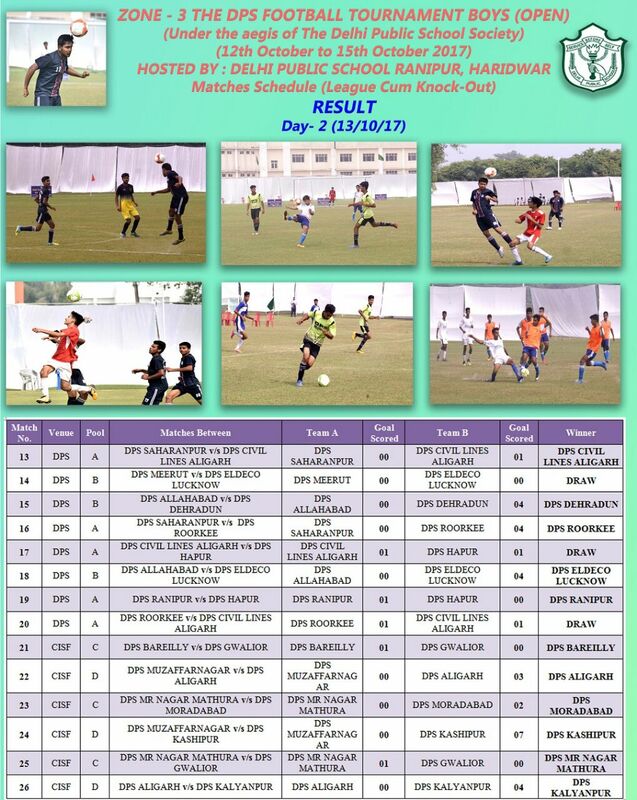 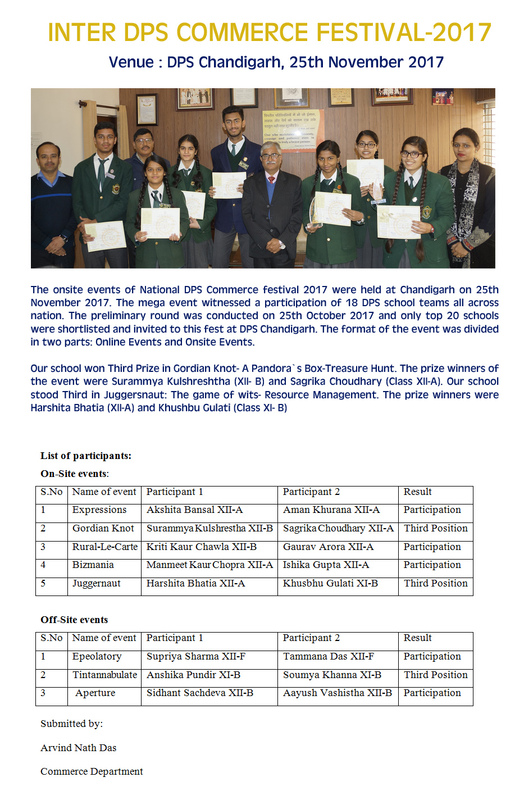 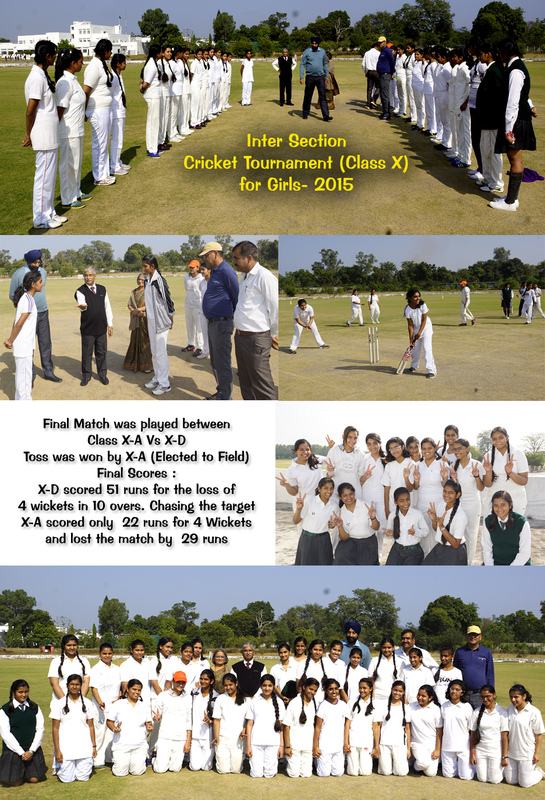 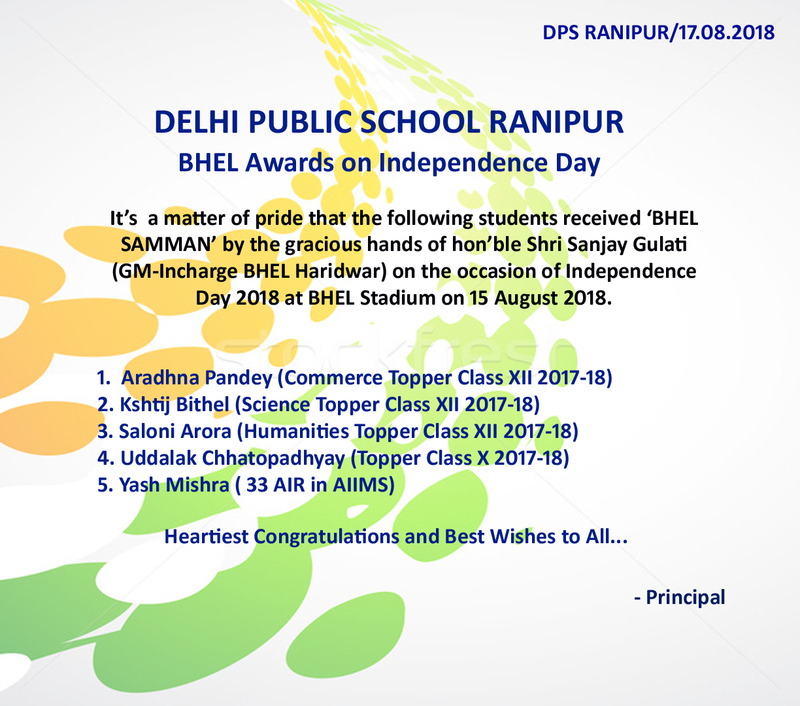 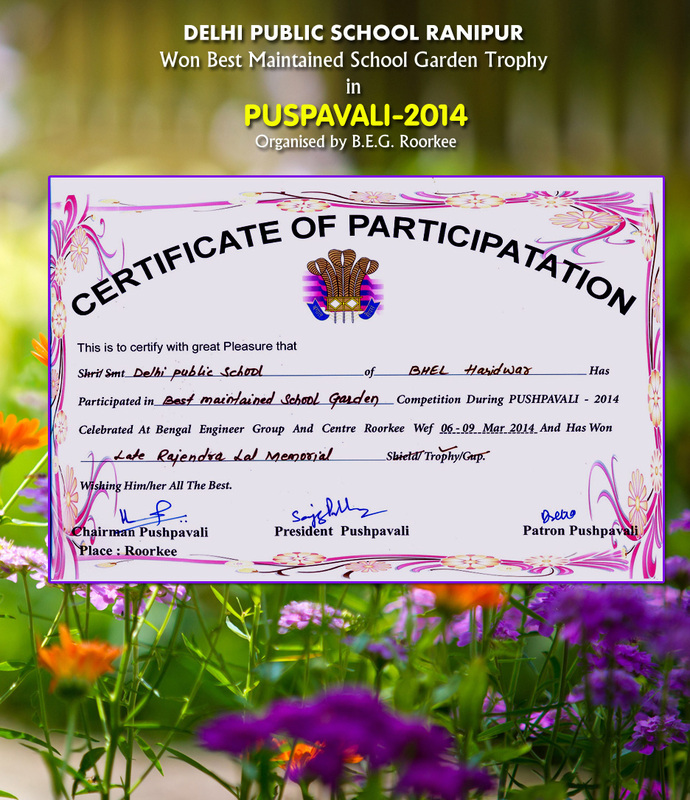 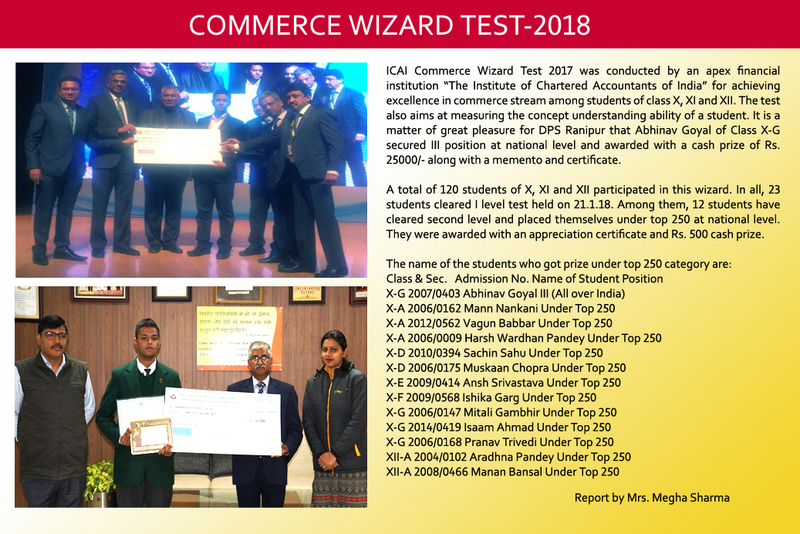 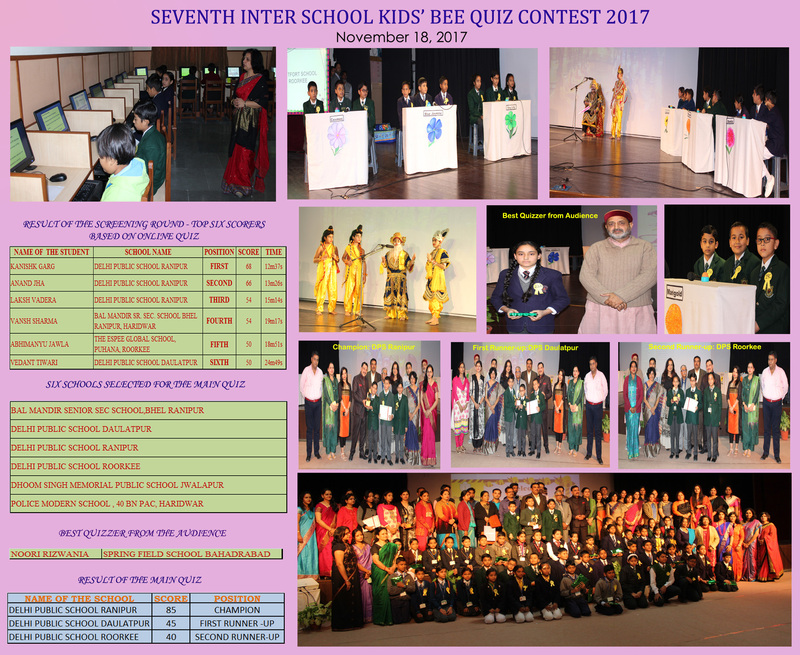 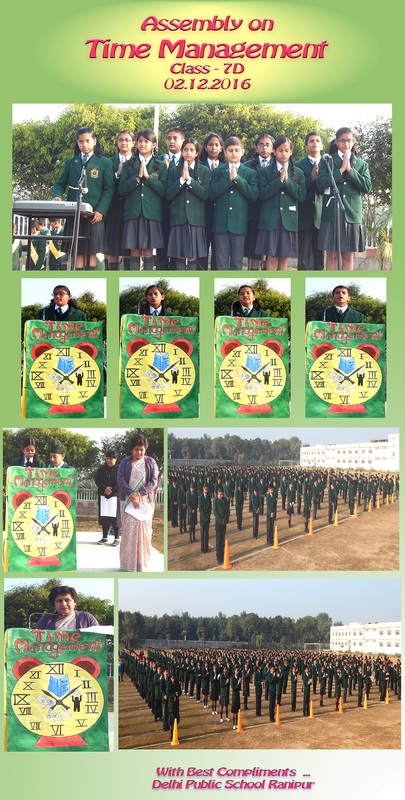 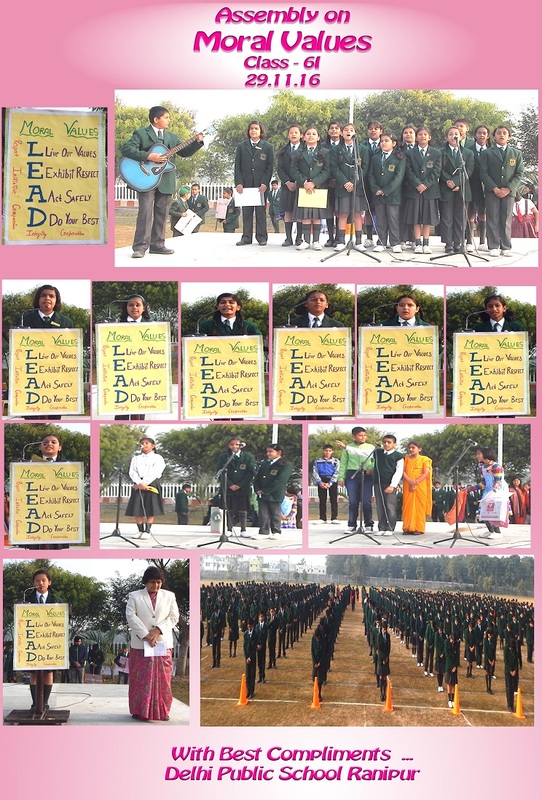 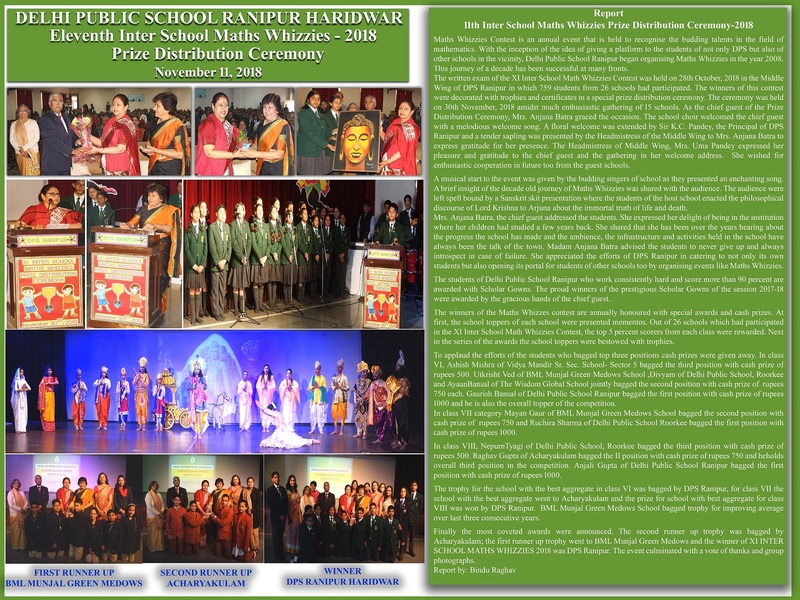 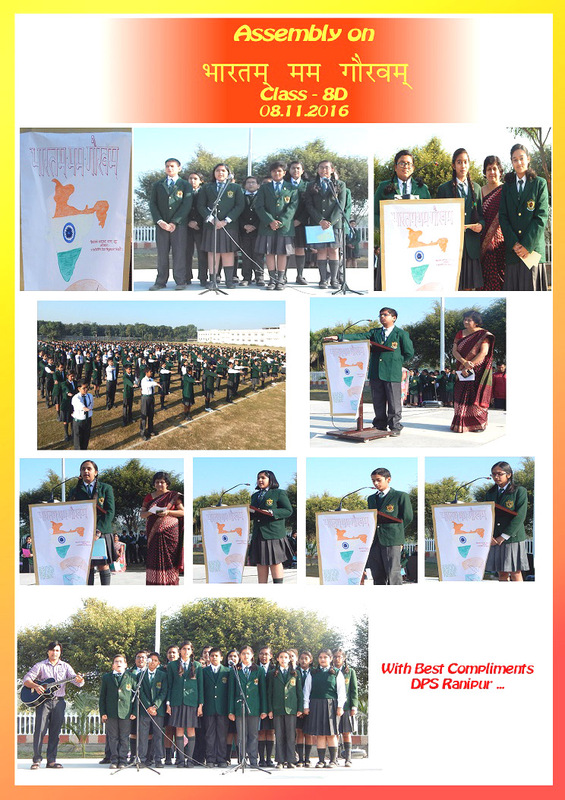 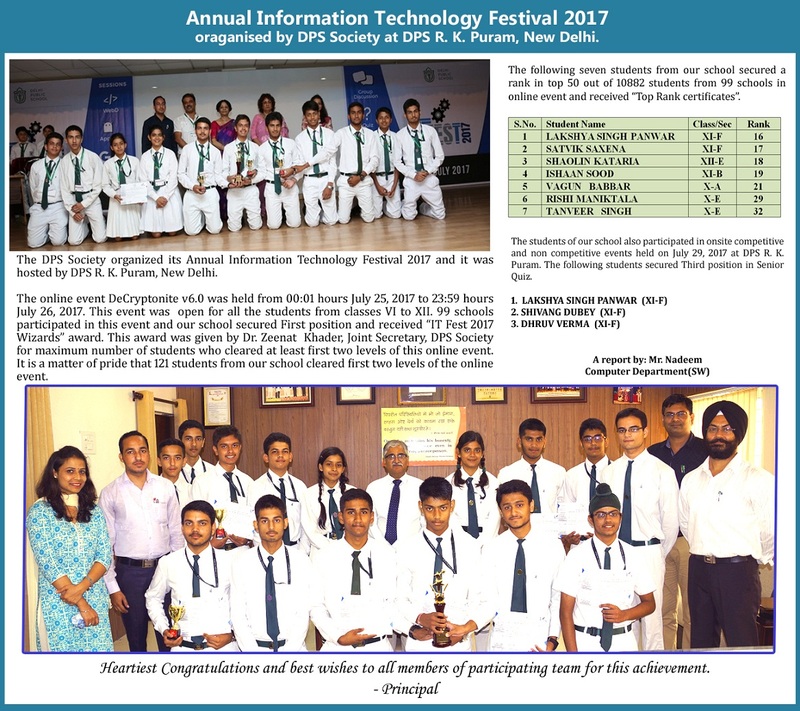 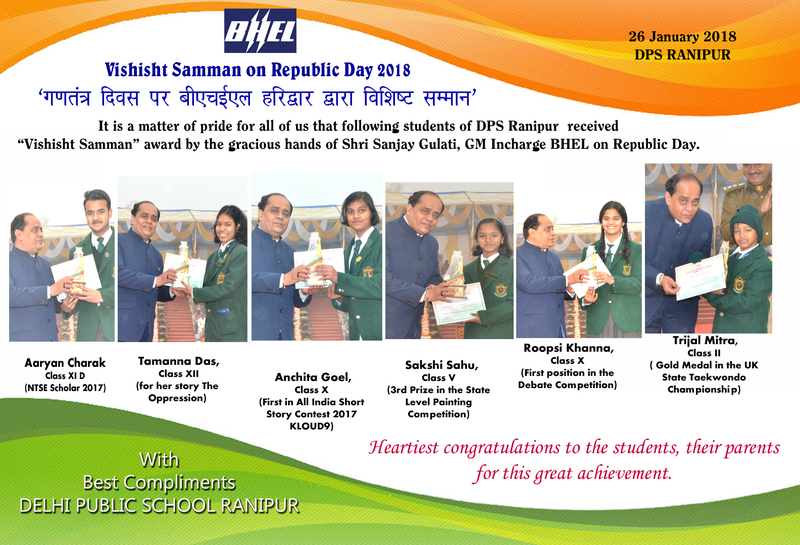 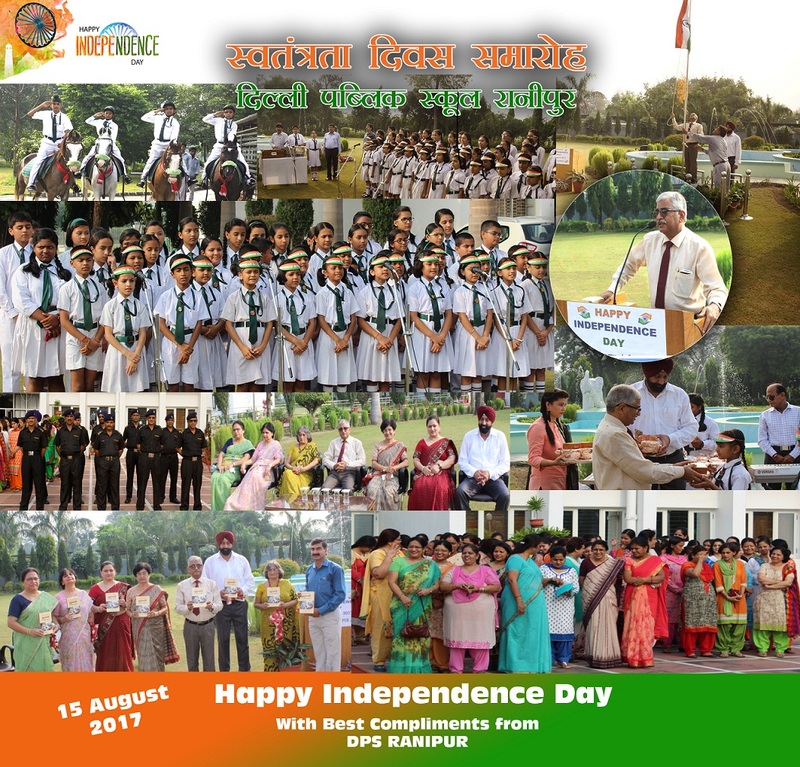 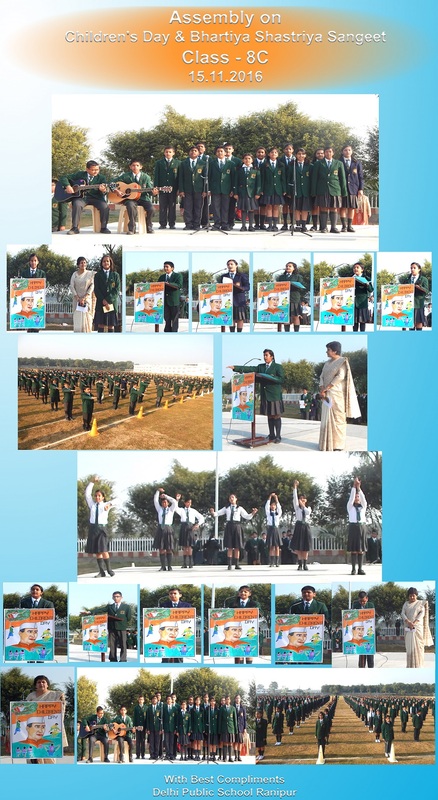 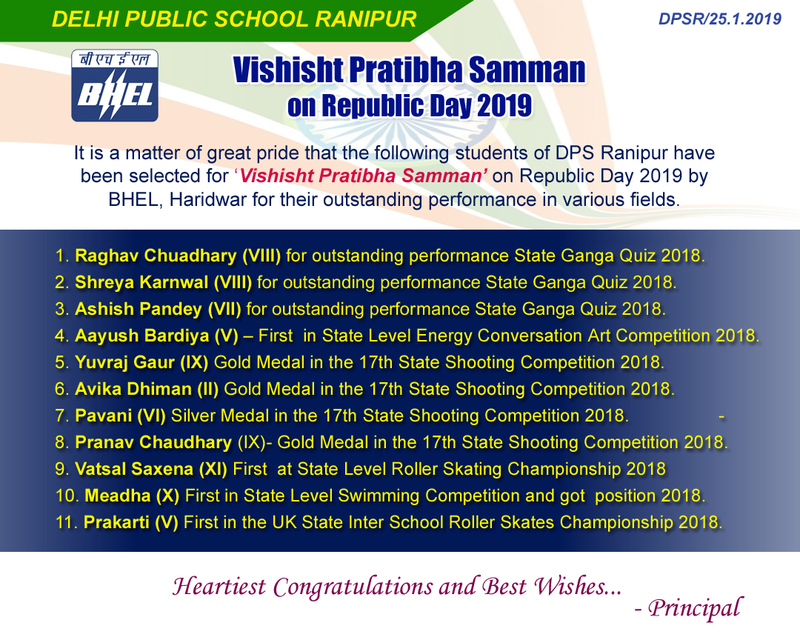 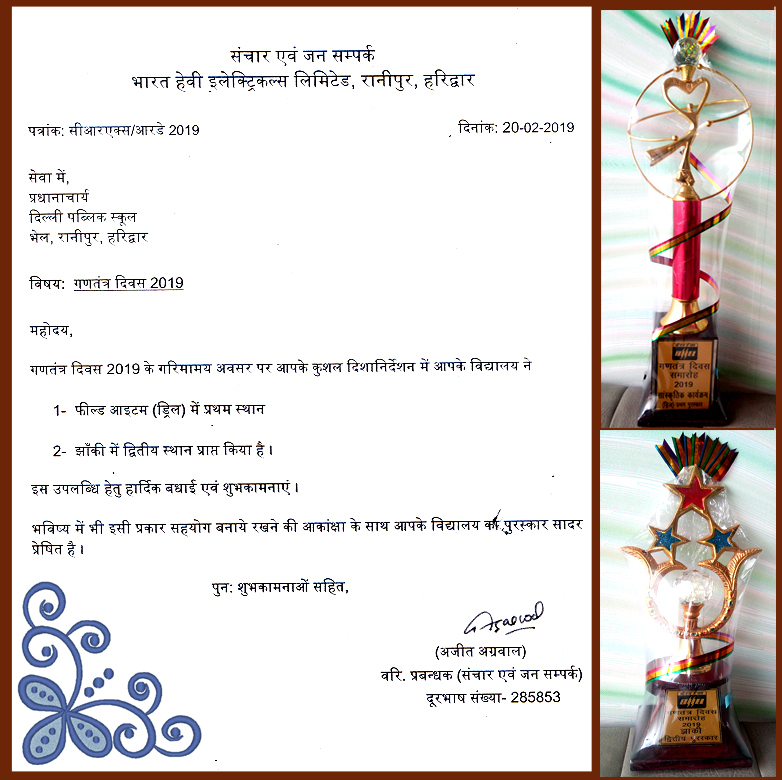 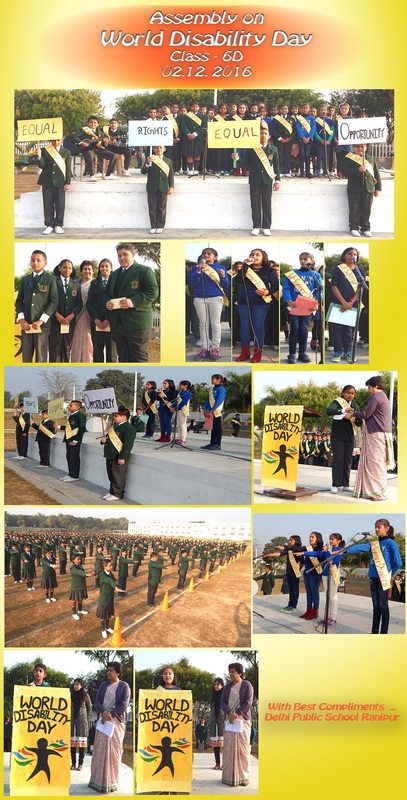 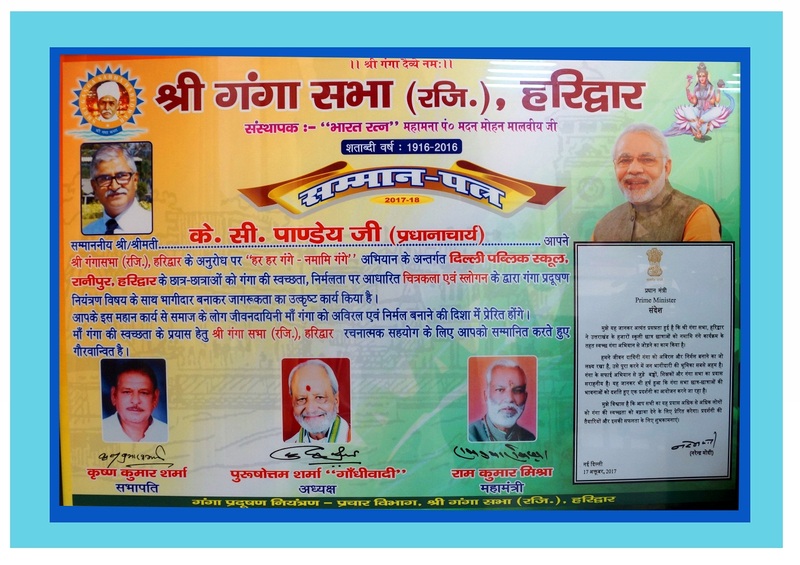 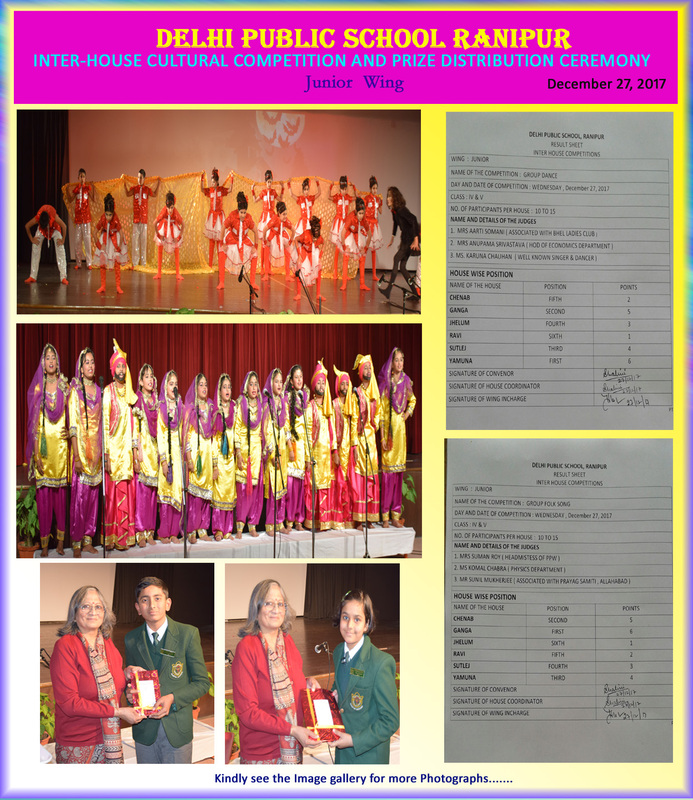 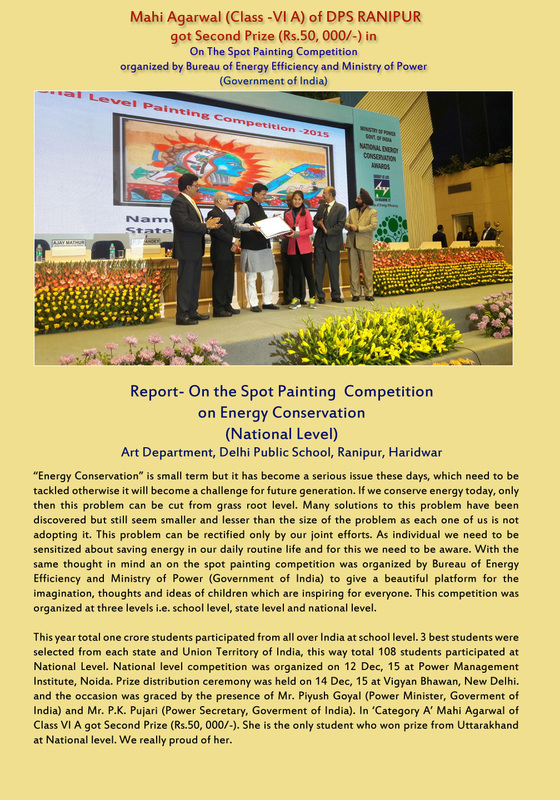 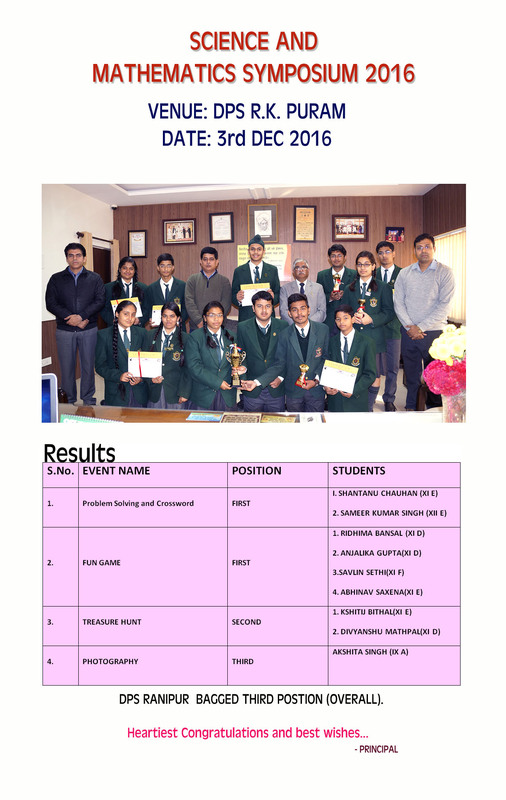 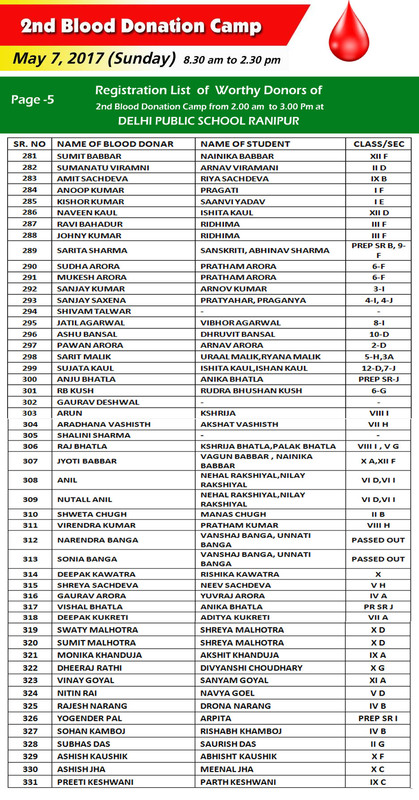 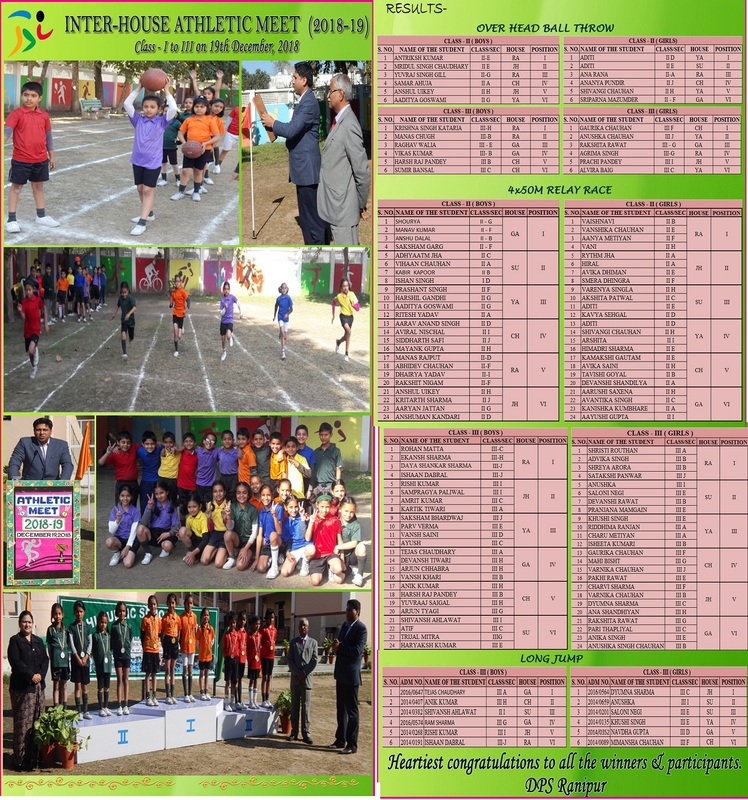 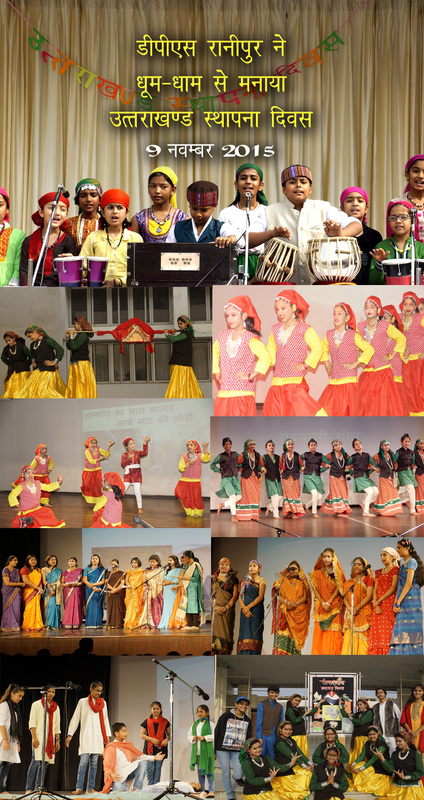 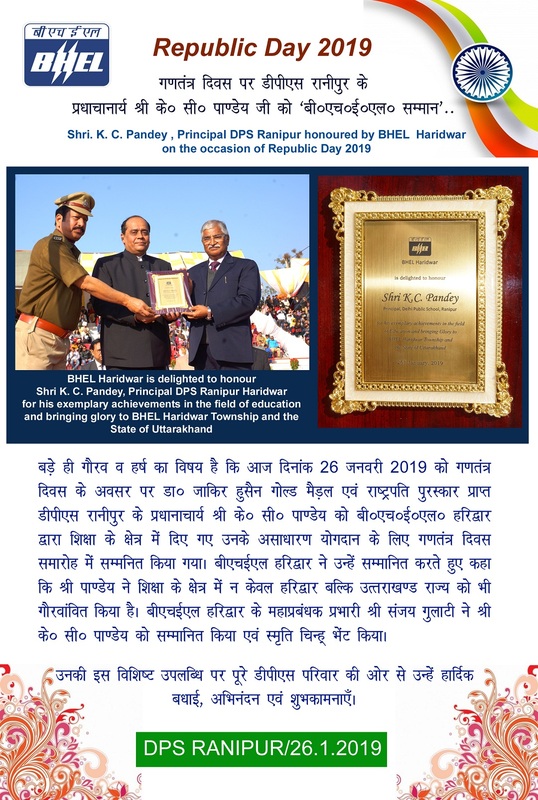 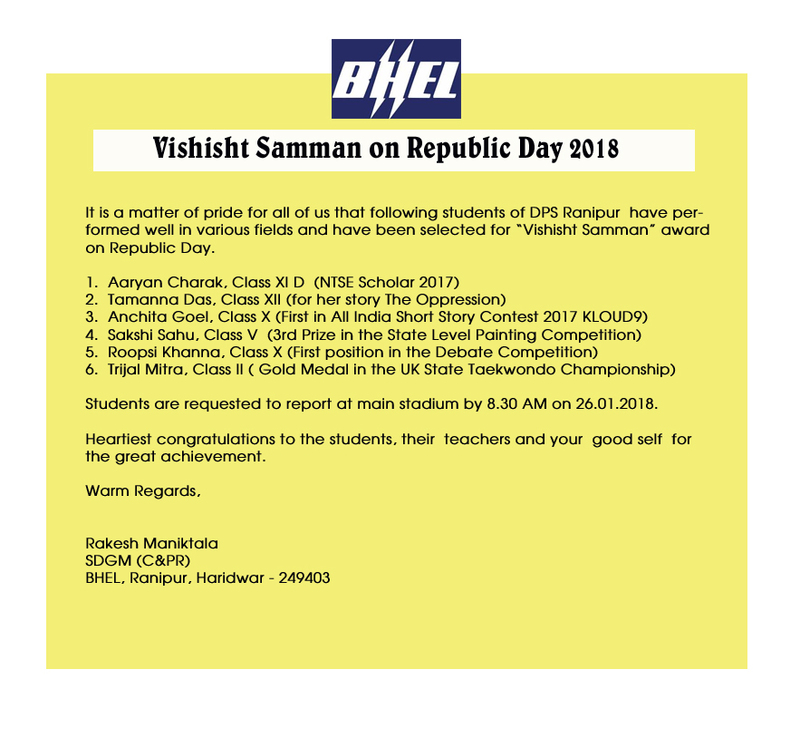 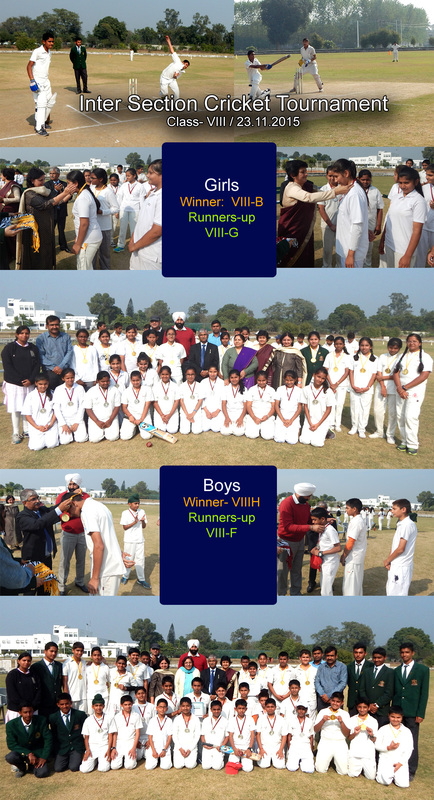 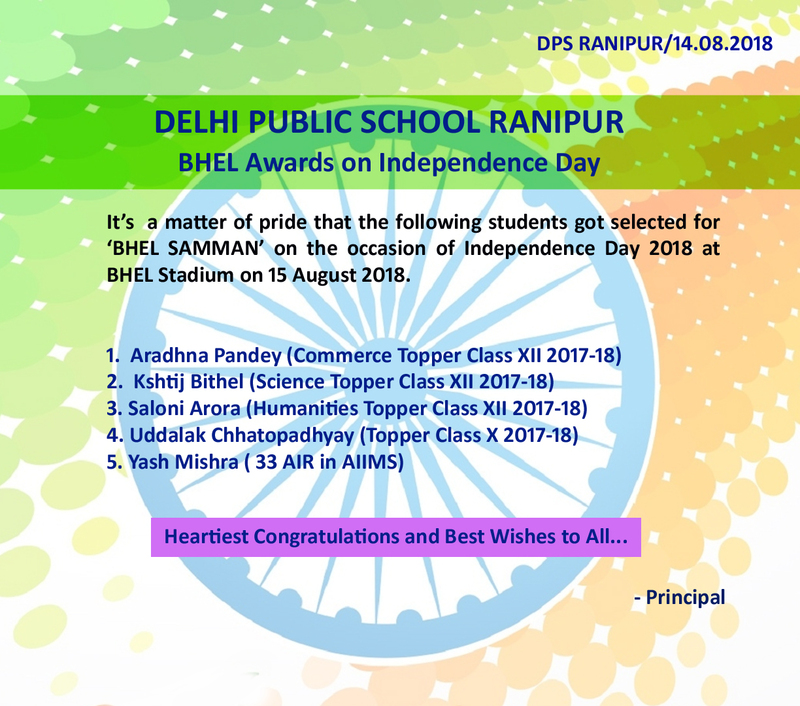 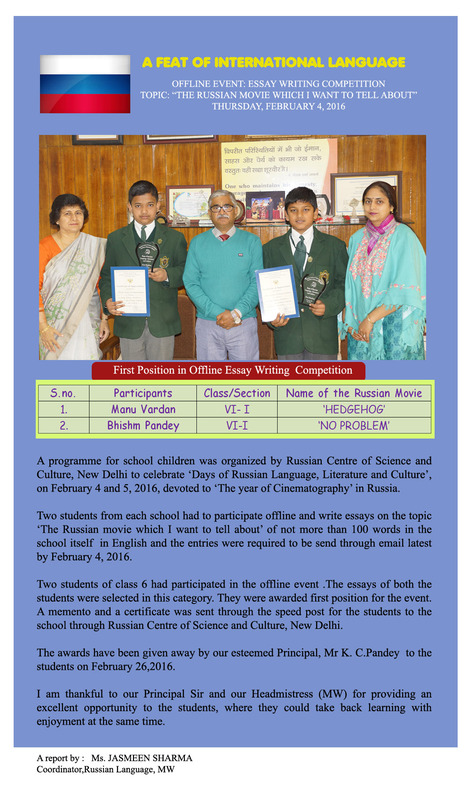 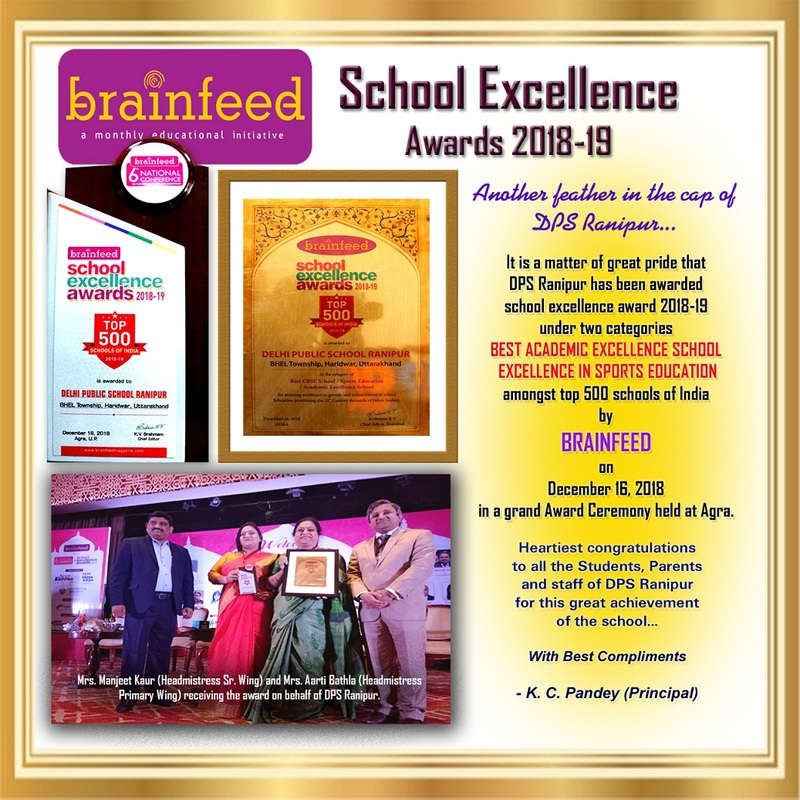 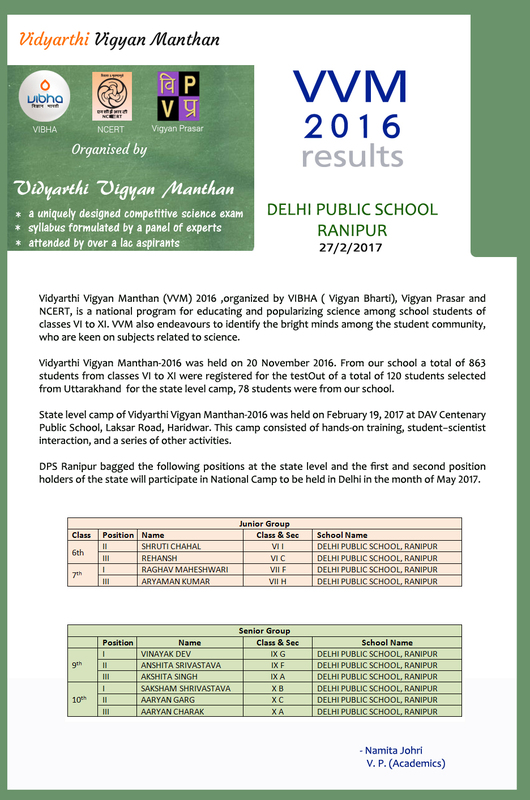 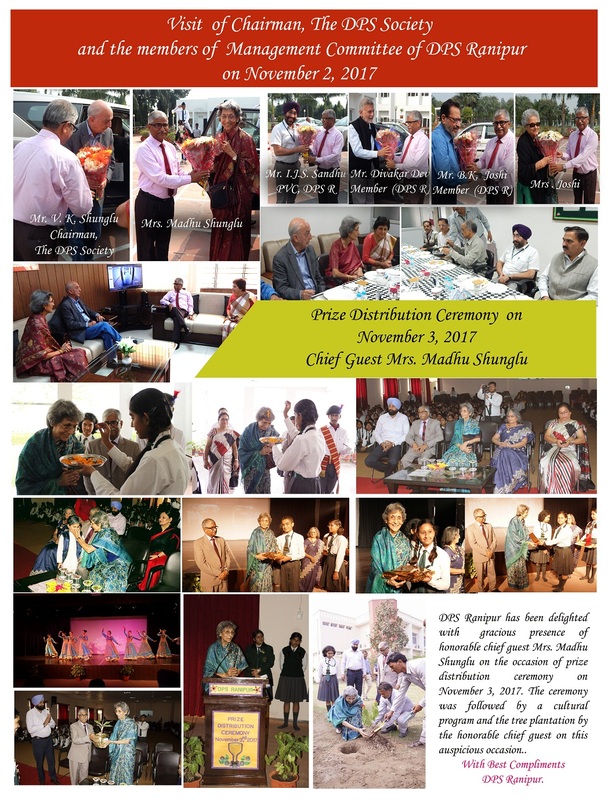 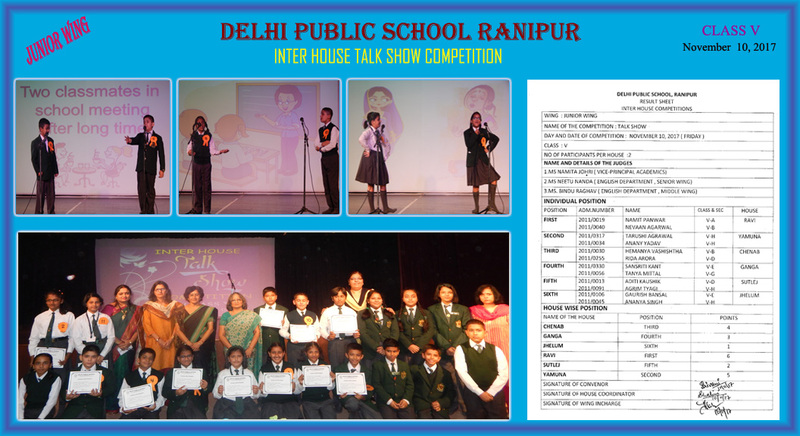 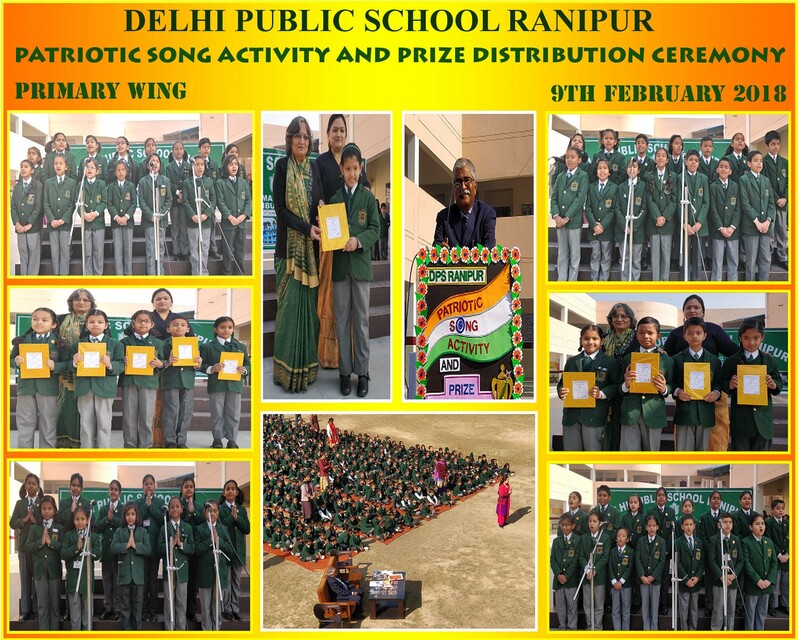 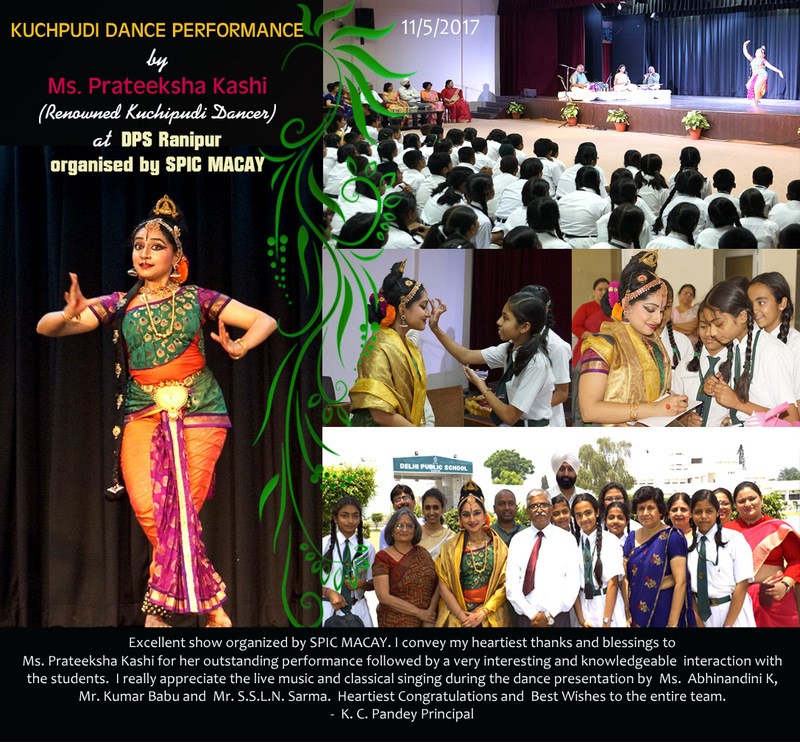 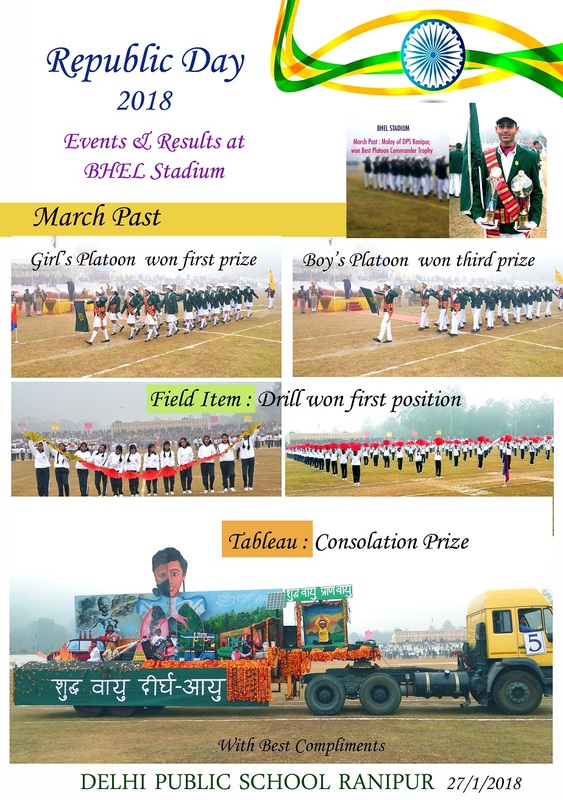 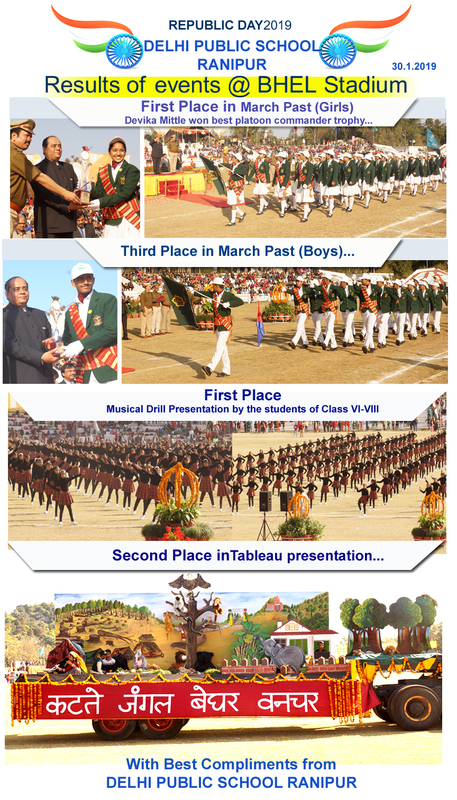 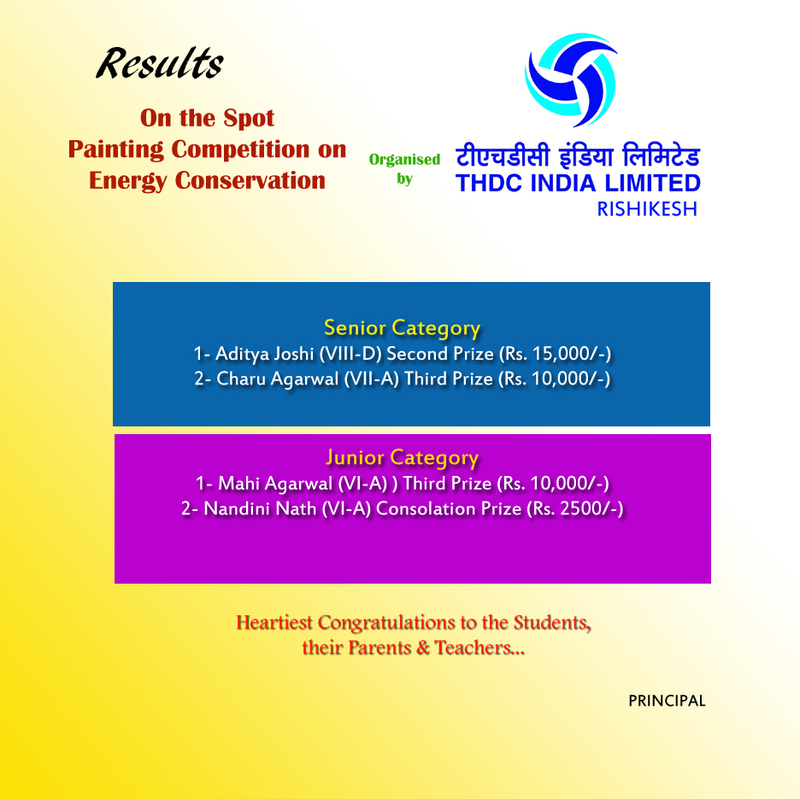 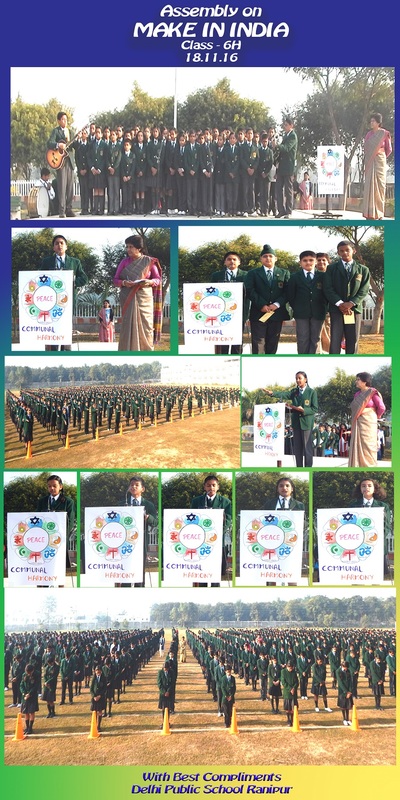 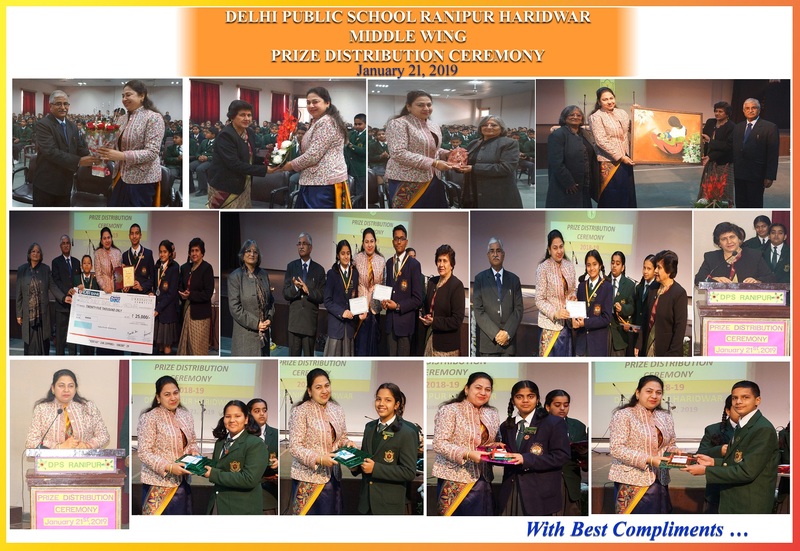 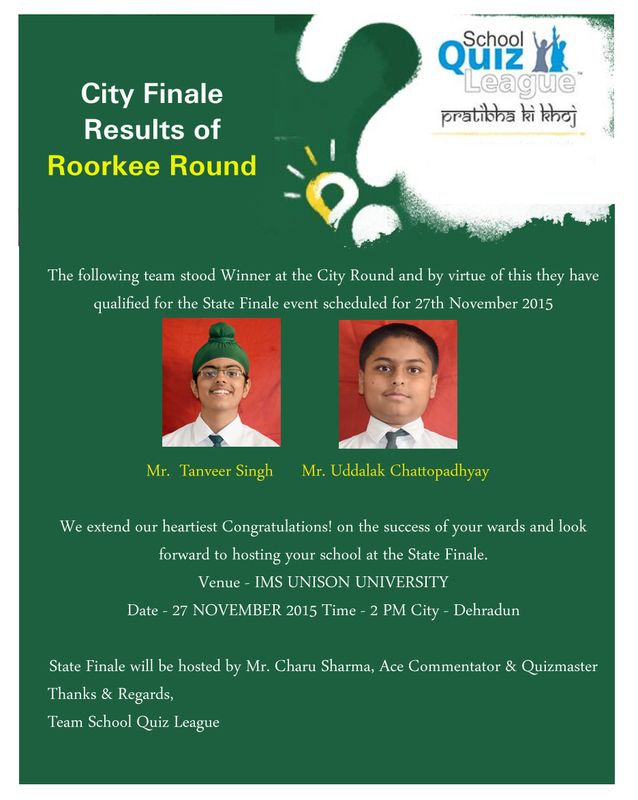 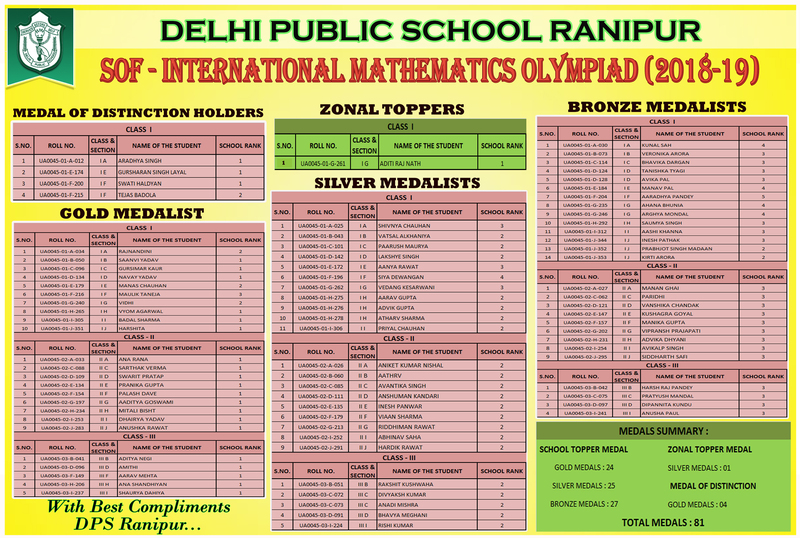 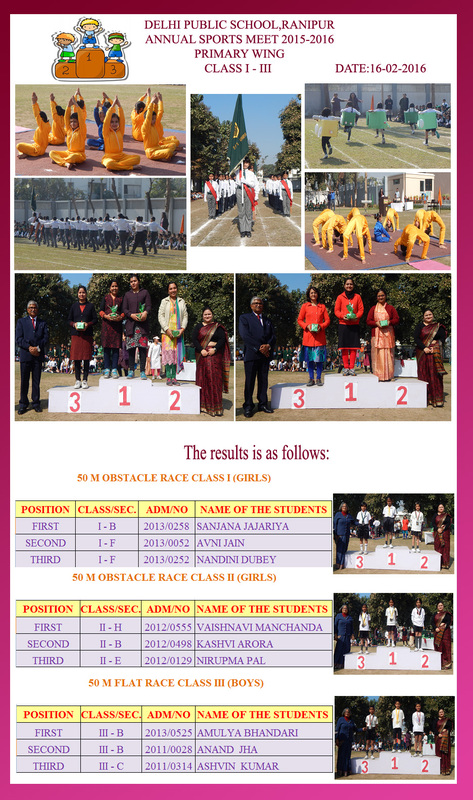 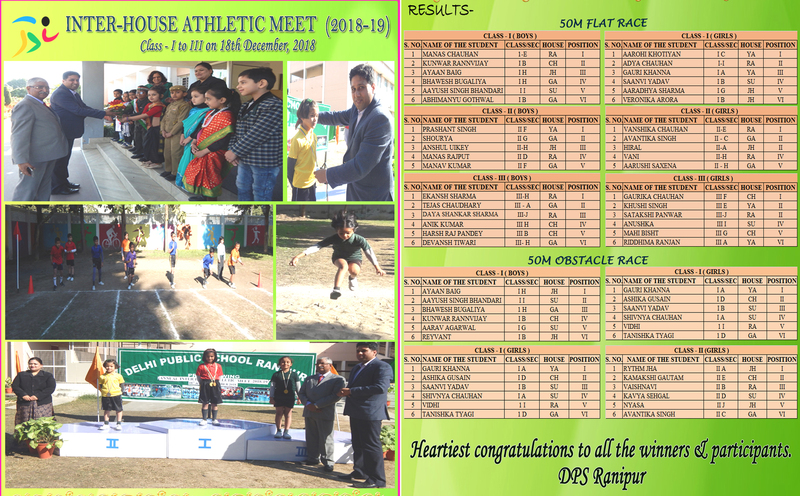 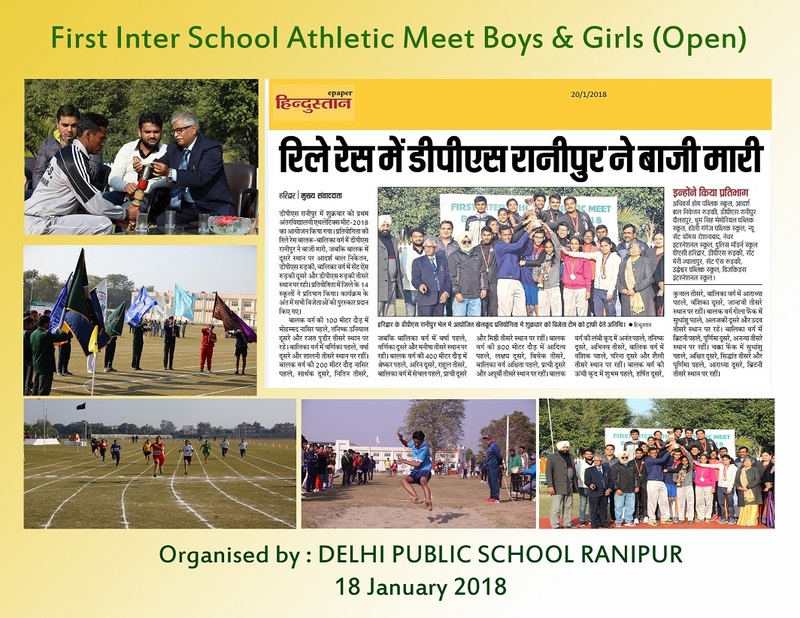 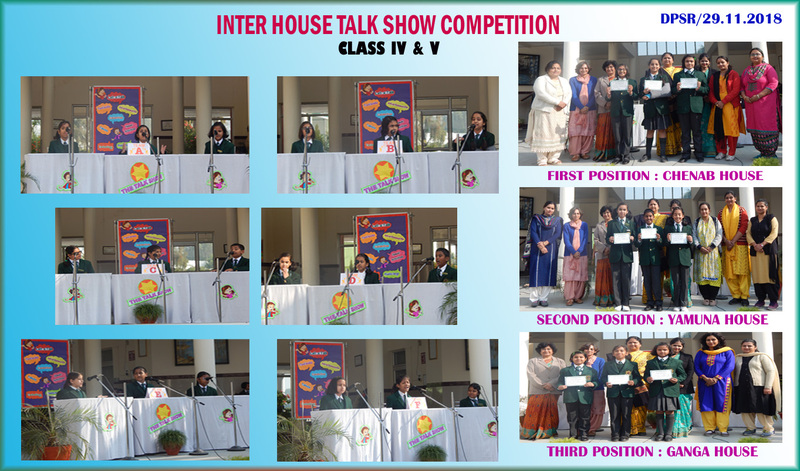 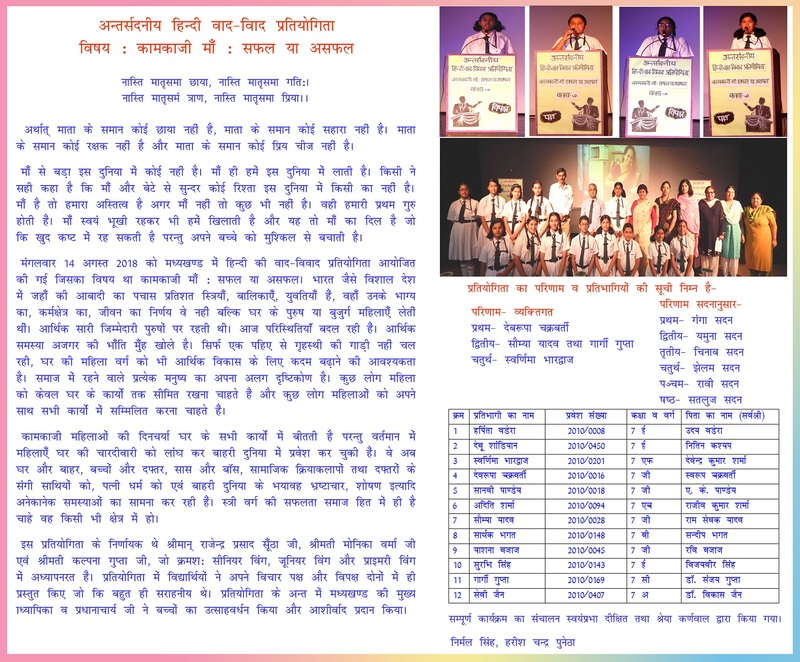 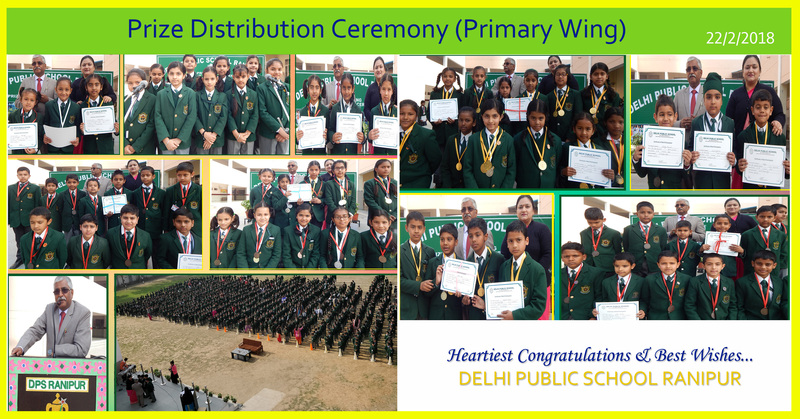 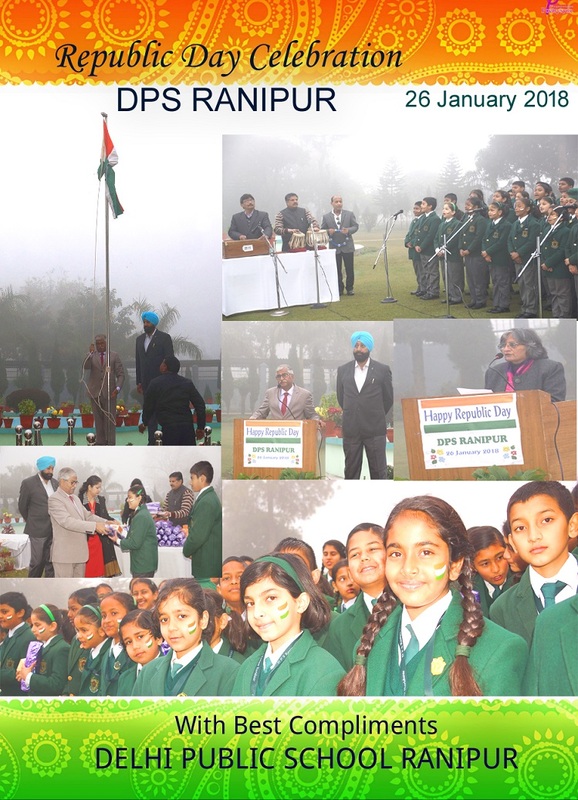 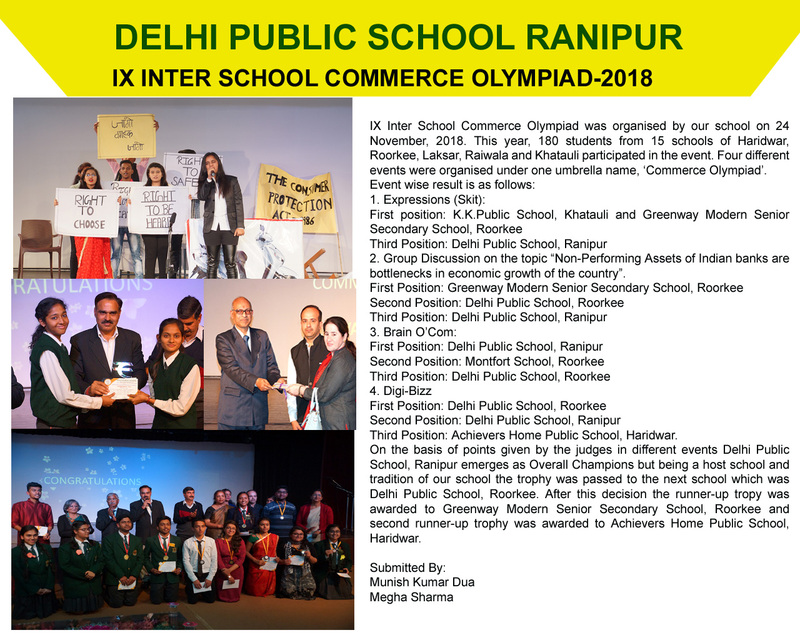 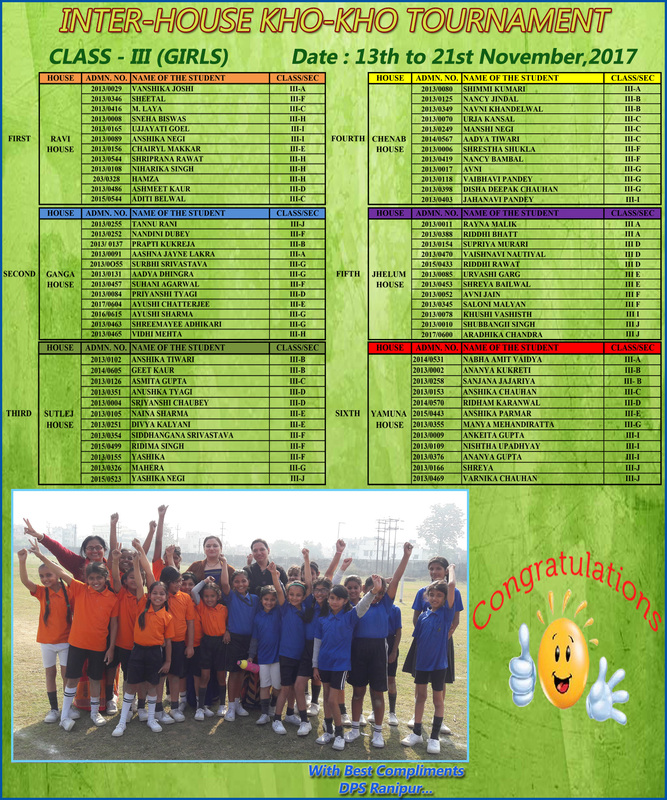 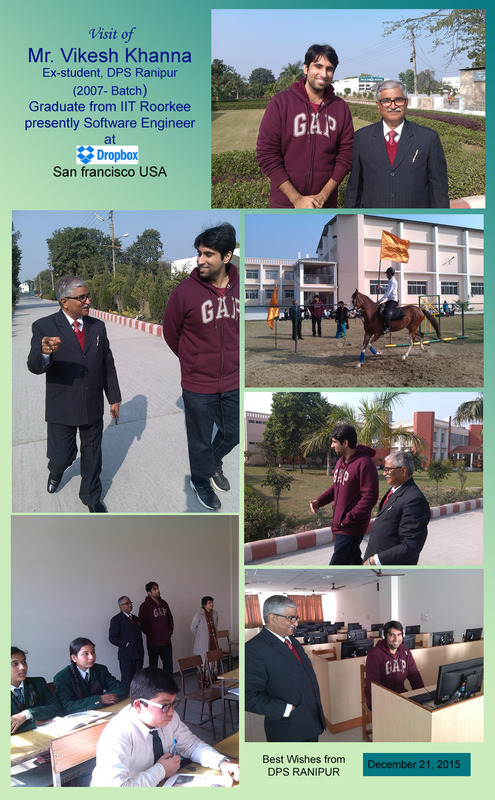 Results and Awards (Republic Day Events in BHEL Stadium). 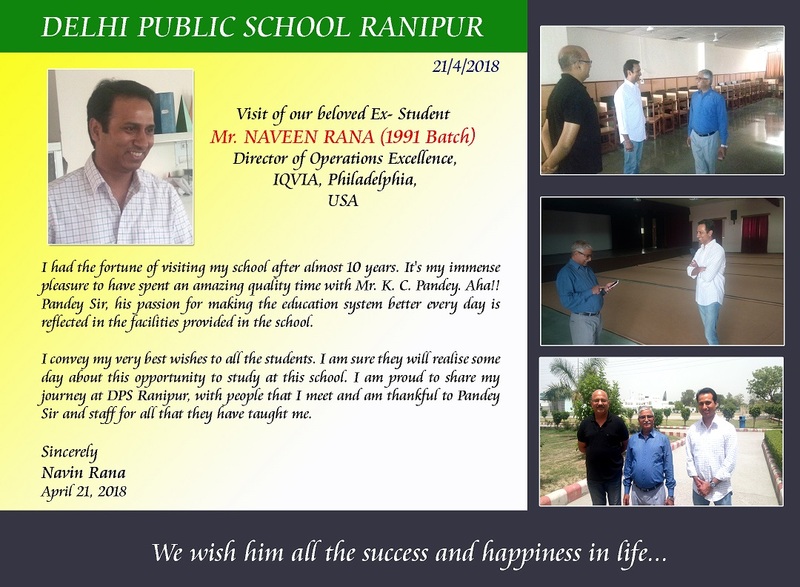 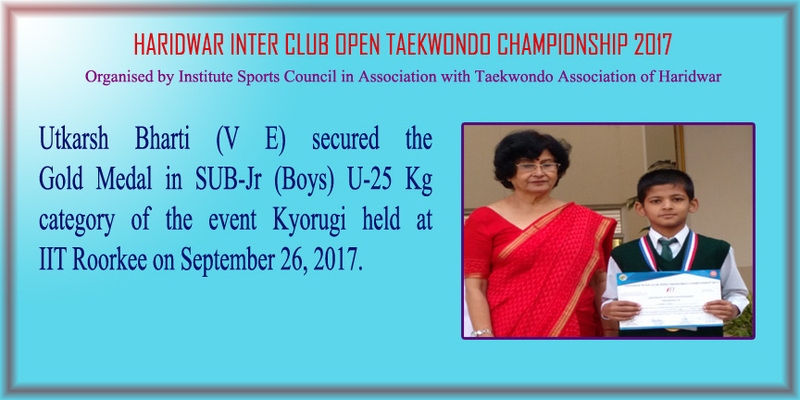 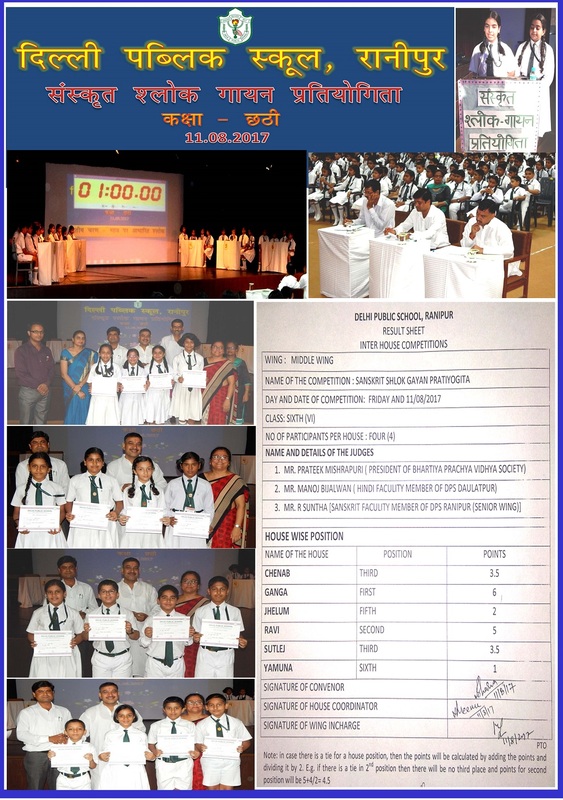 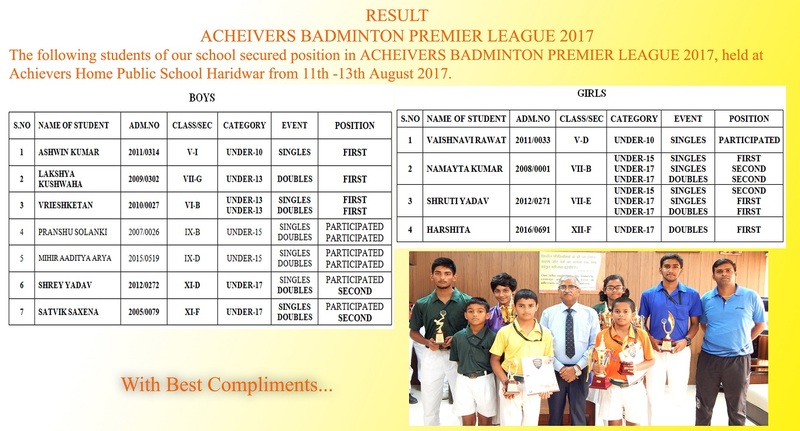 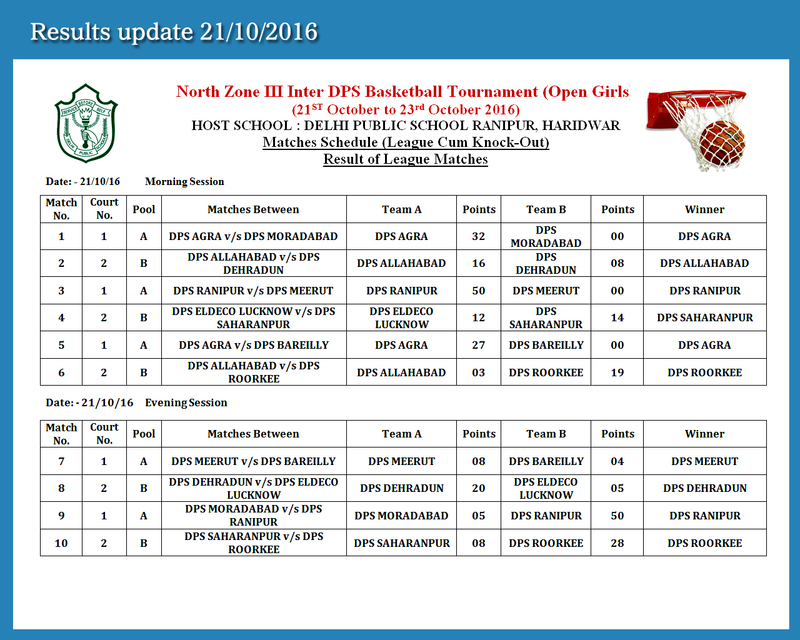 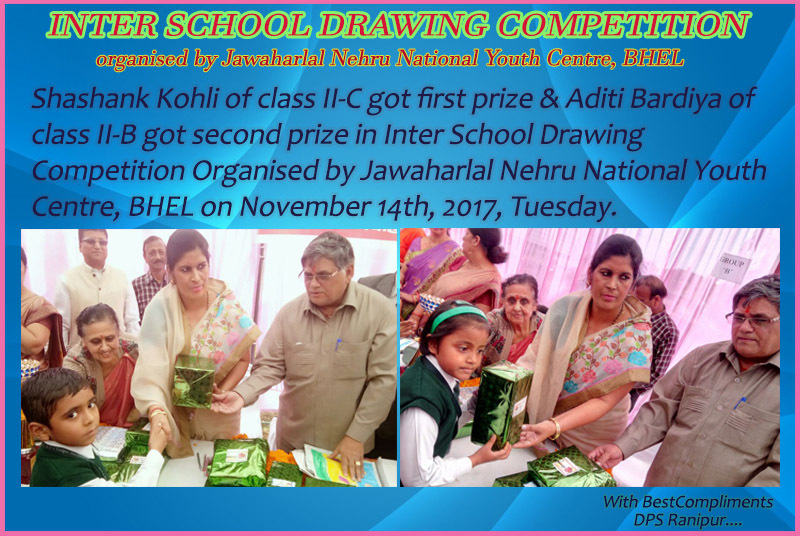 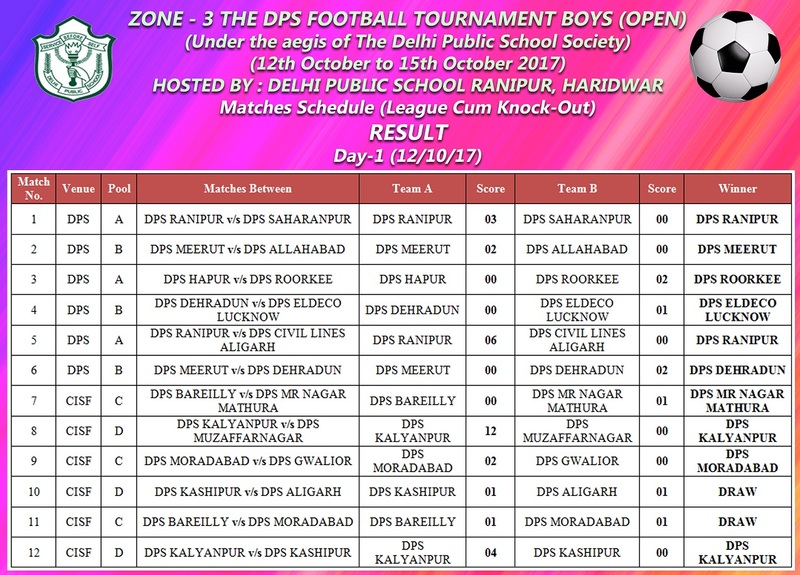 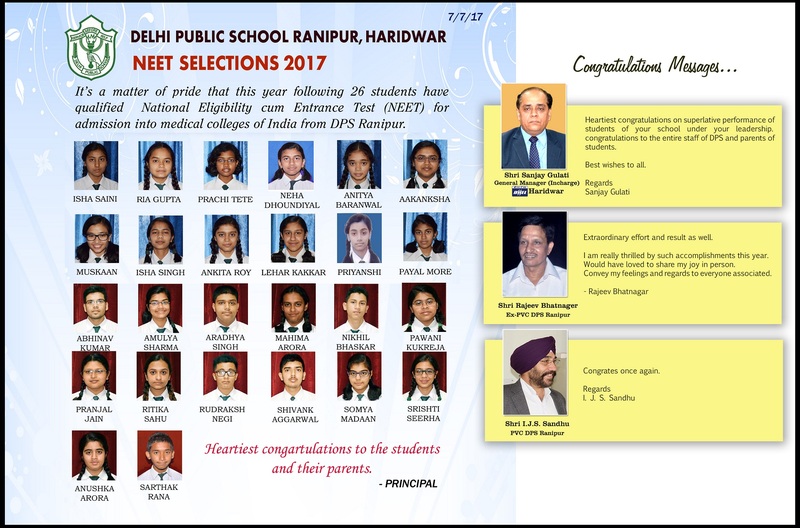 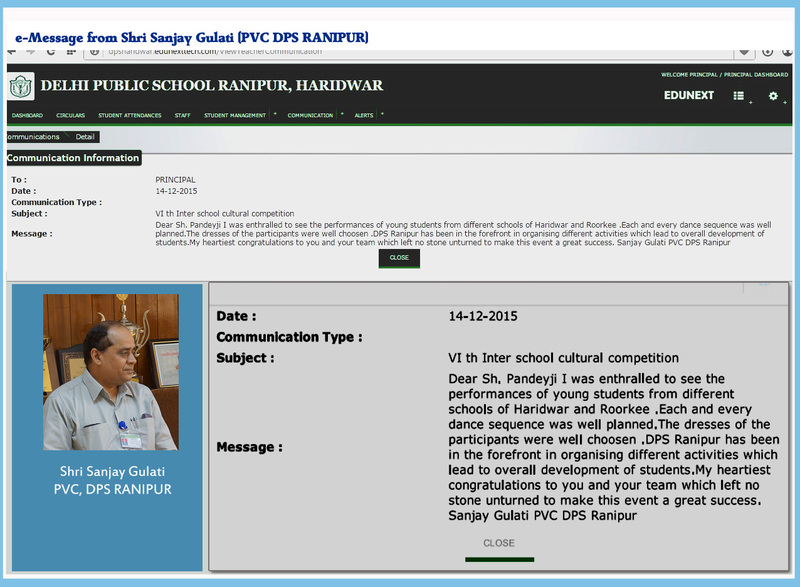 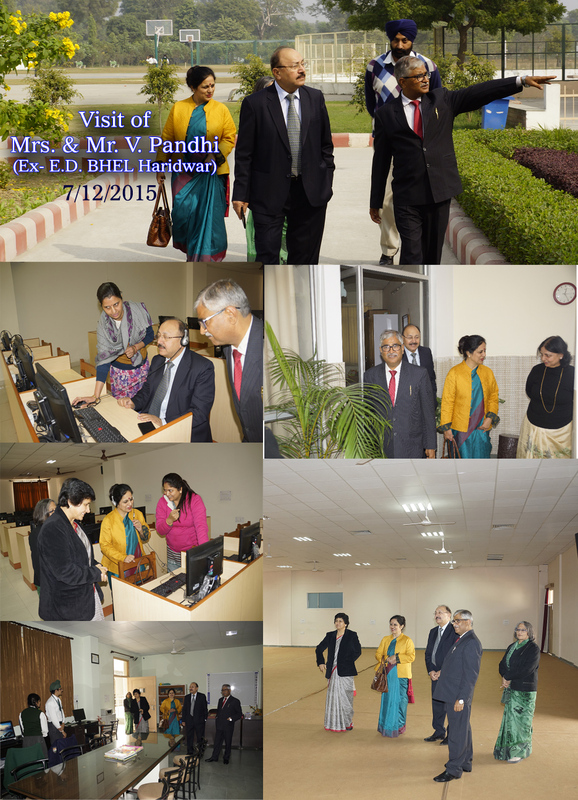 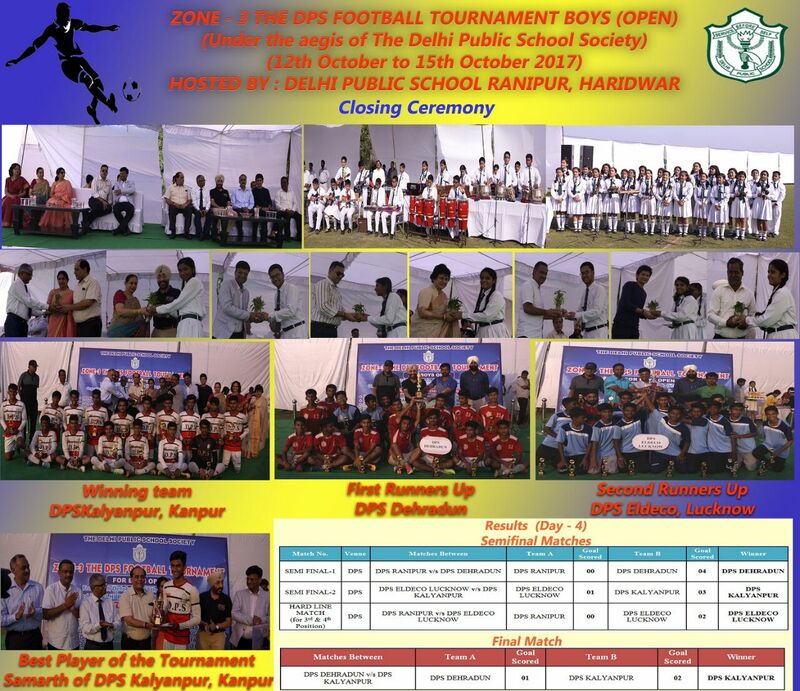 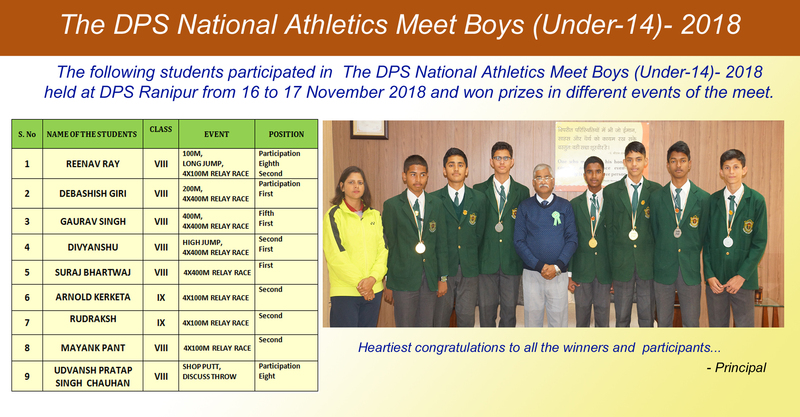 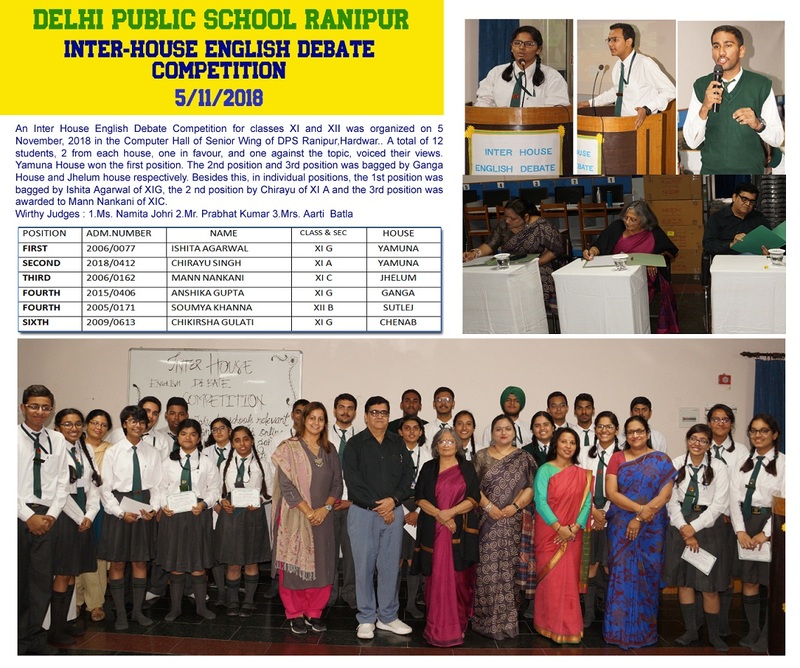 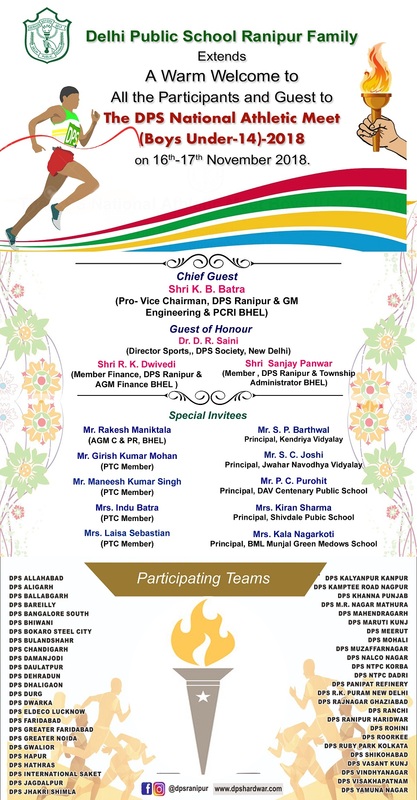 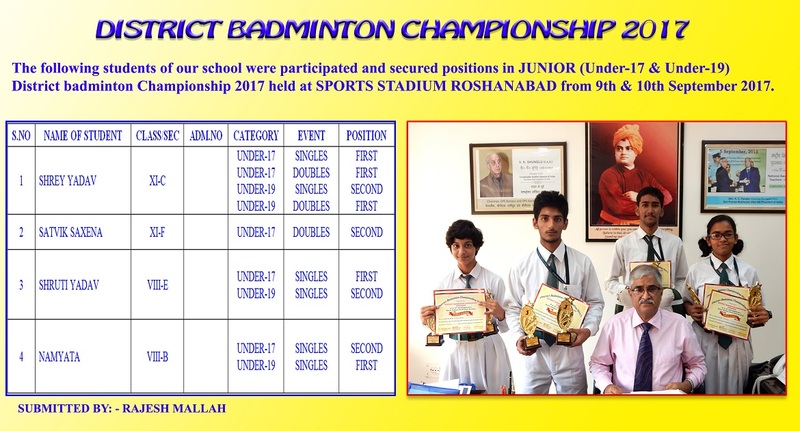 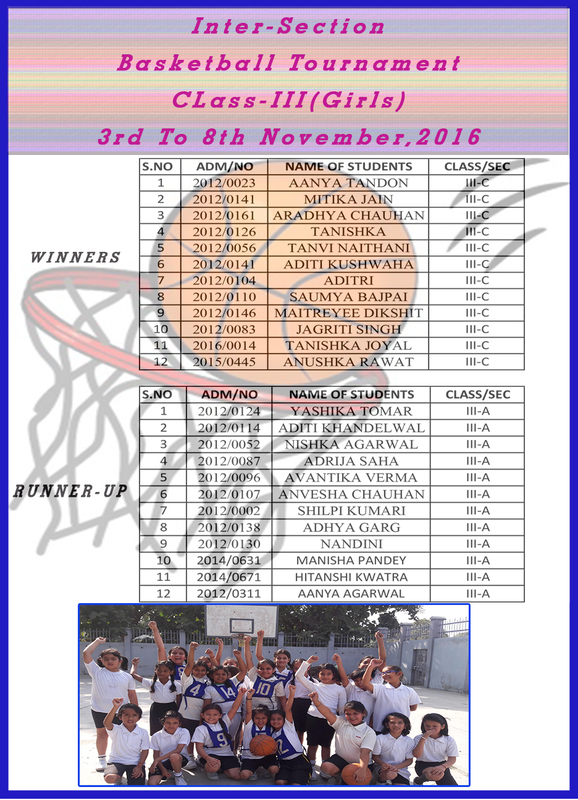 Visit of Mrs. & Mr. V. Pandhi (Ex-E.D., BHEL Haridwar)..
4/12/2015-7:30 PM Updates National Inter DPS Badminton Tournament ( Open ) Boys–2015. 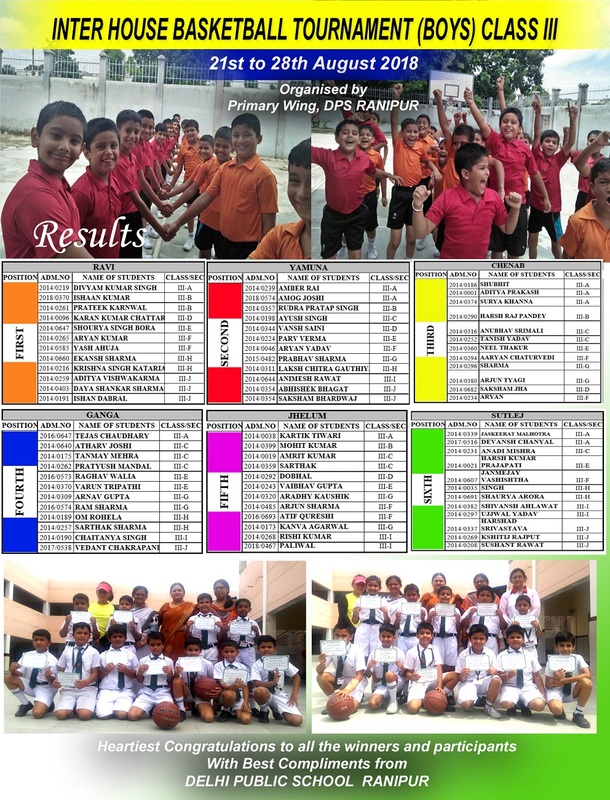 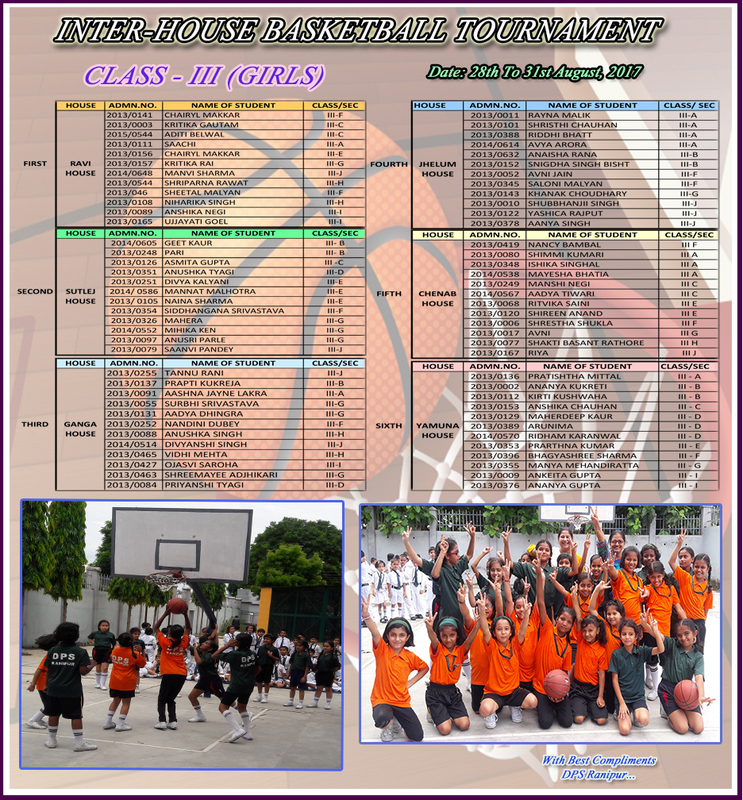 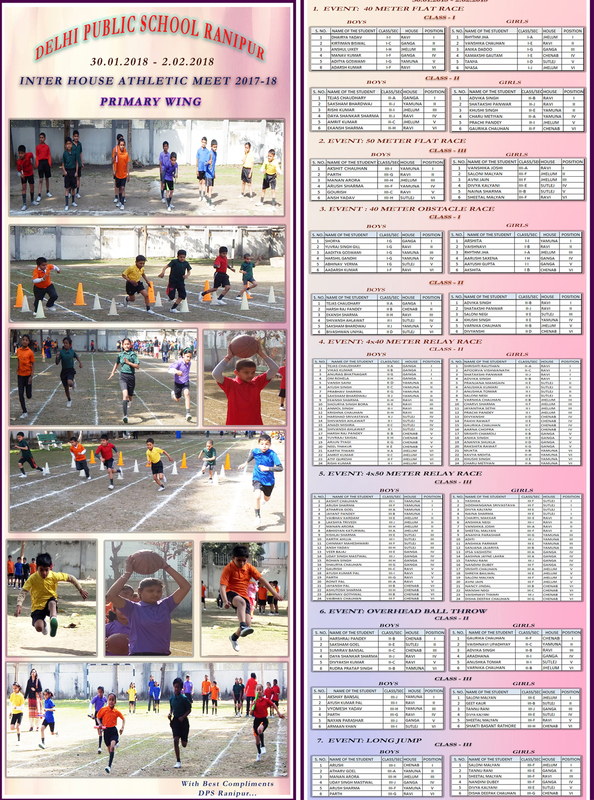 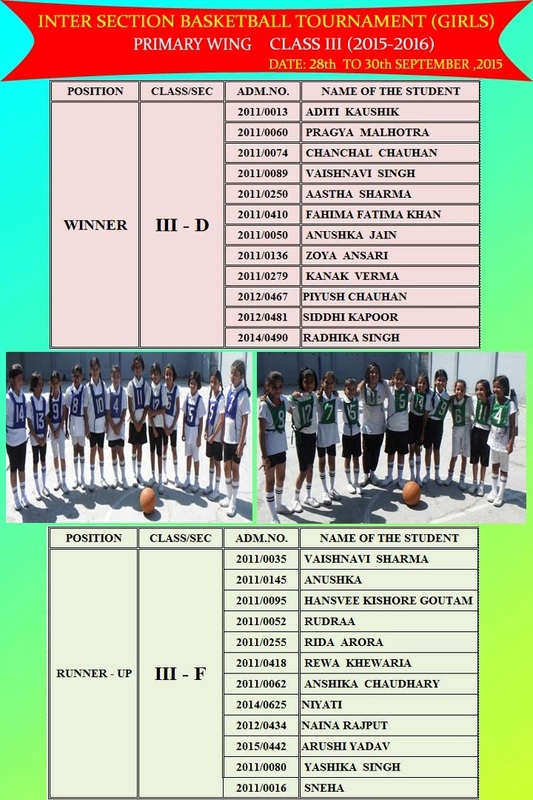 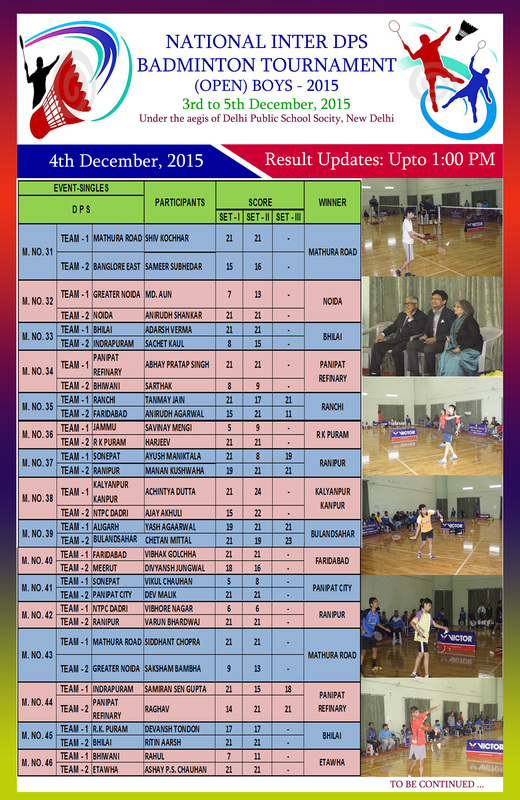 4/12/2015 ---- 5:00 PM Updates National Inter DPS Badminton Tournament ( Open ) Boys–2015. 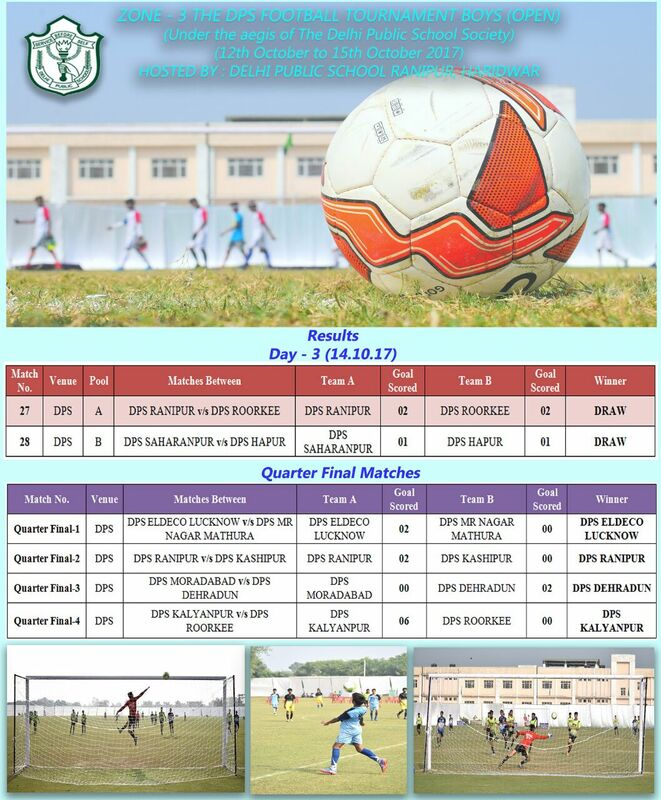 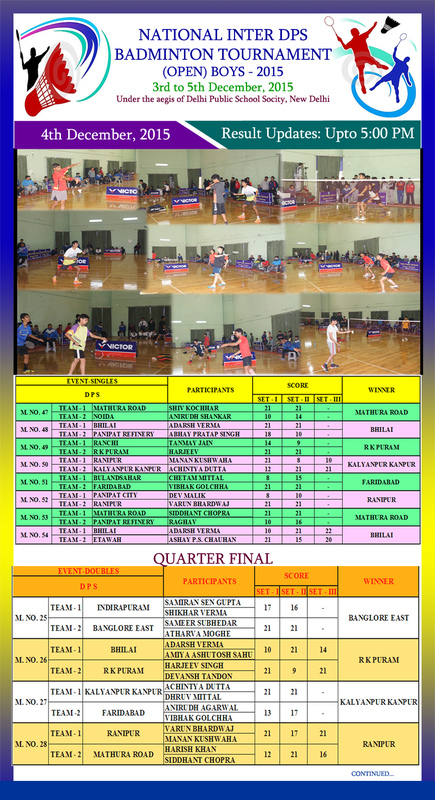 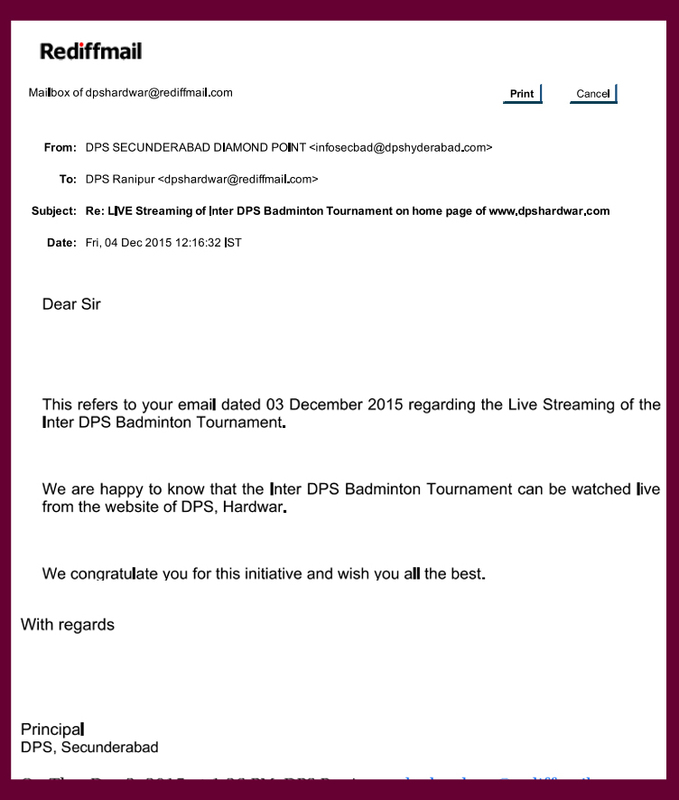 4th December, 2015 1:00 PM Updates National Inter DPS Badminton Tournament ( Open ) Boys–2015. 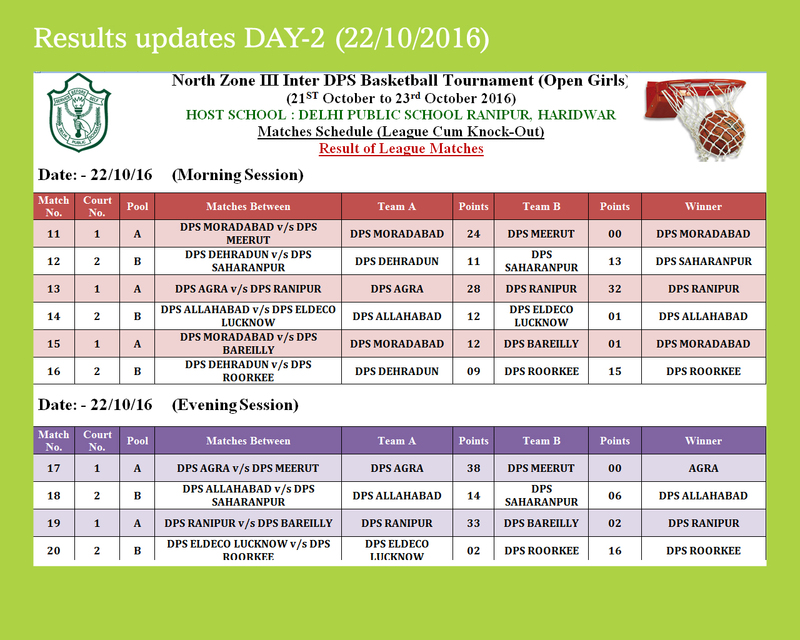 5:00 PM Updates National Inter DPS Badminton Tournament ( Open ) Boys–2015. 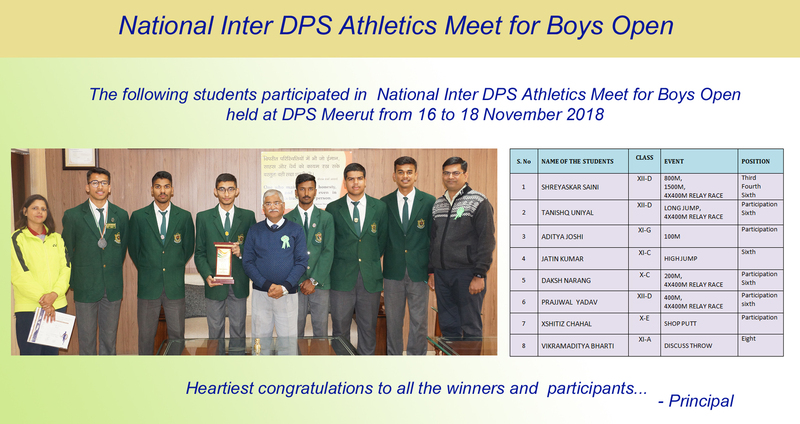 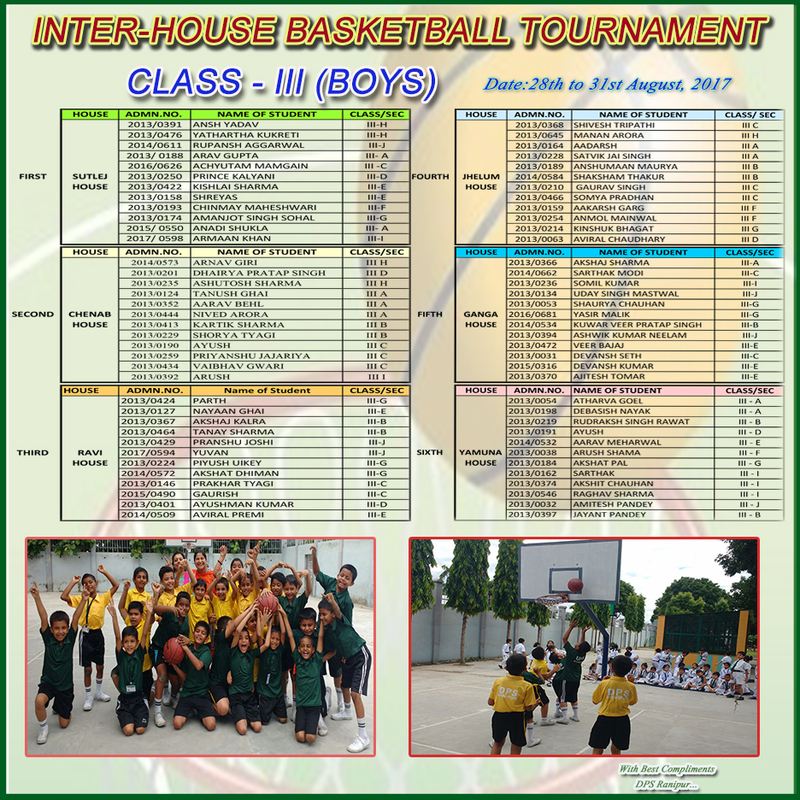 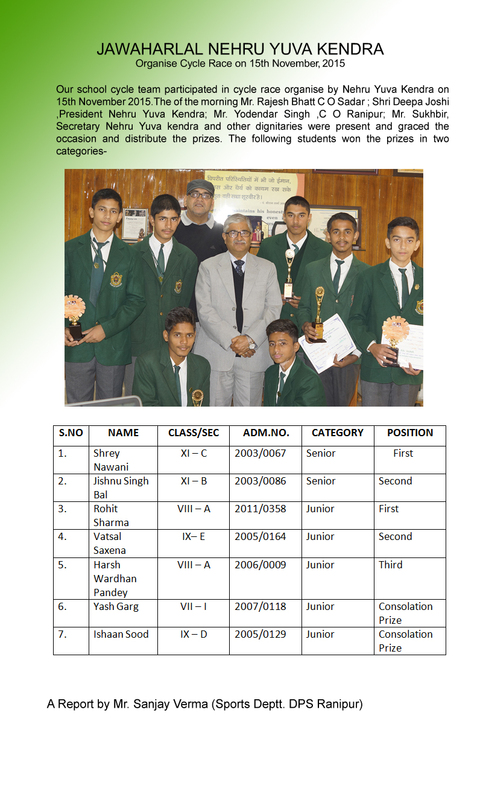 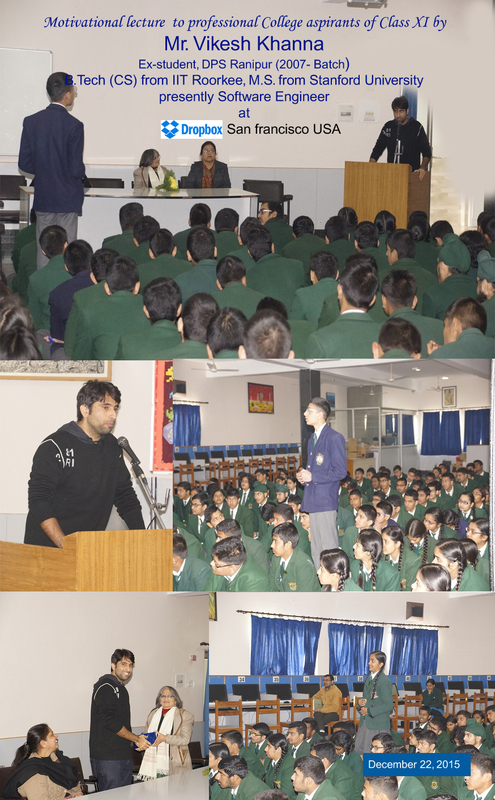 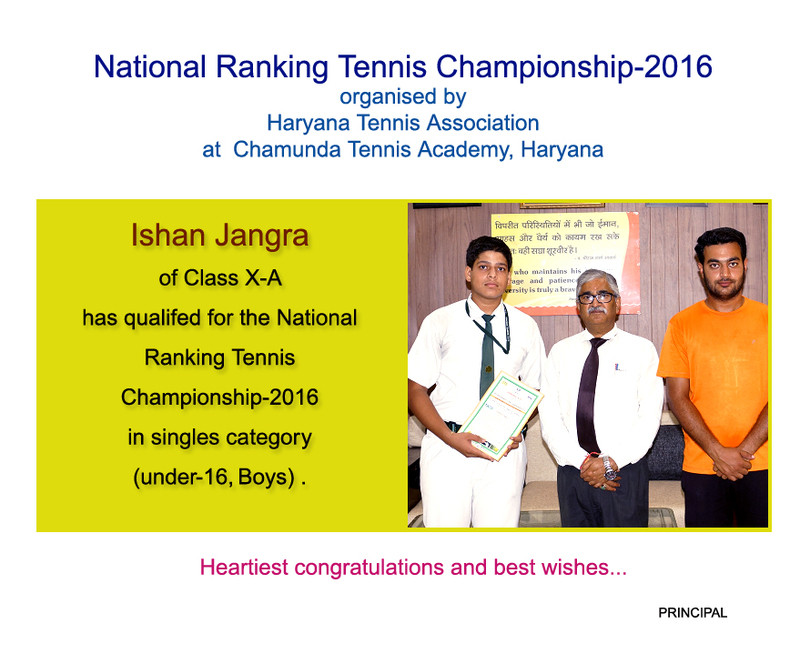 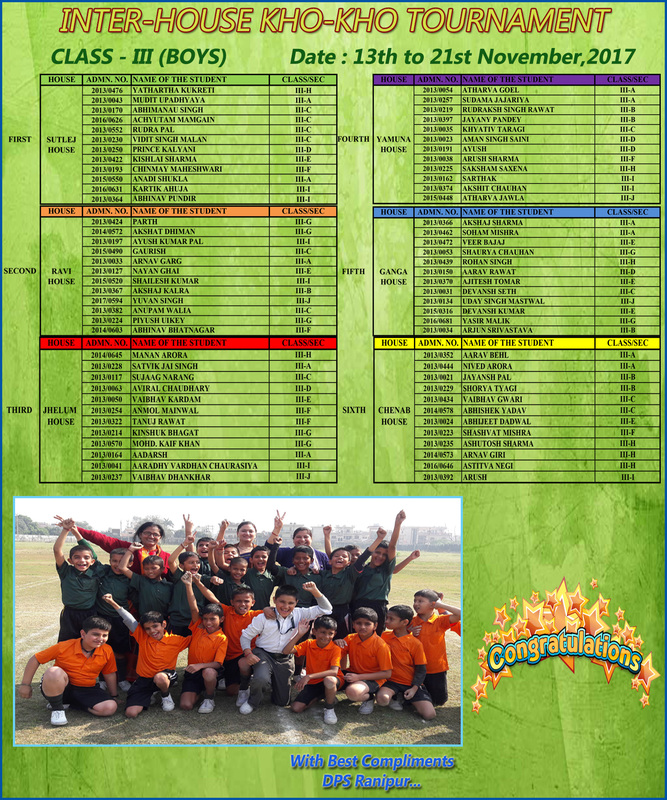 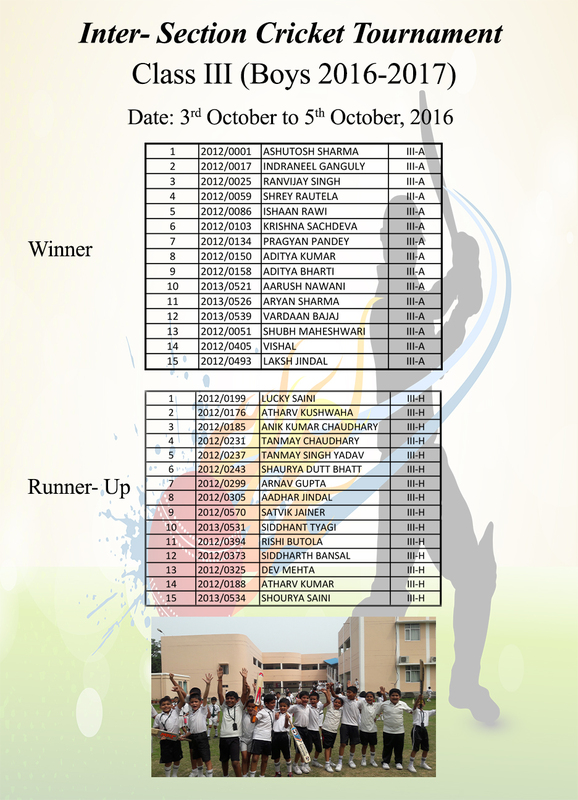 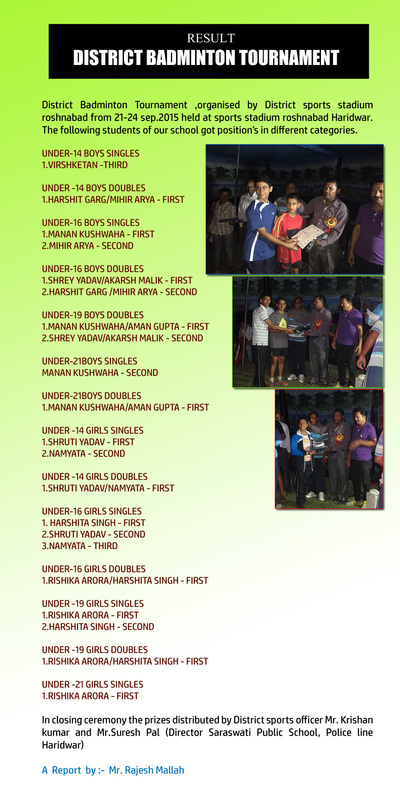 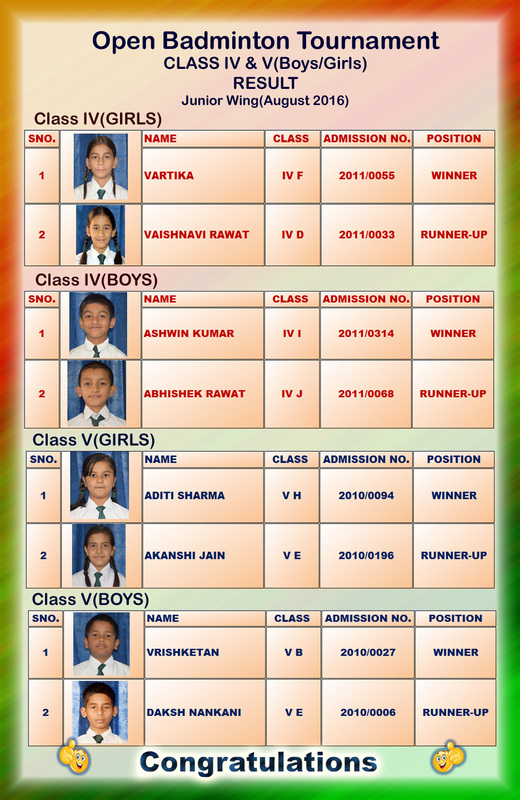 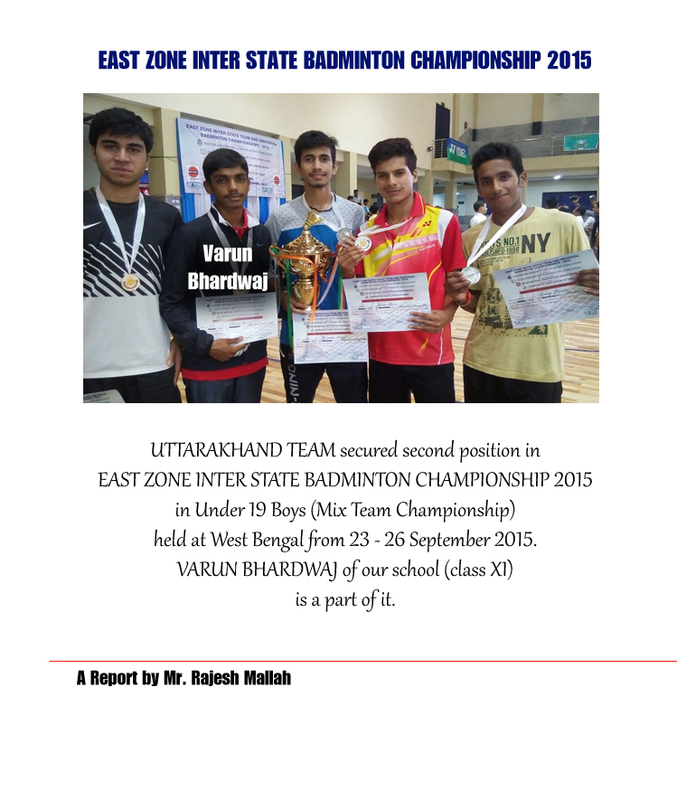 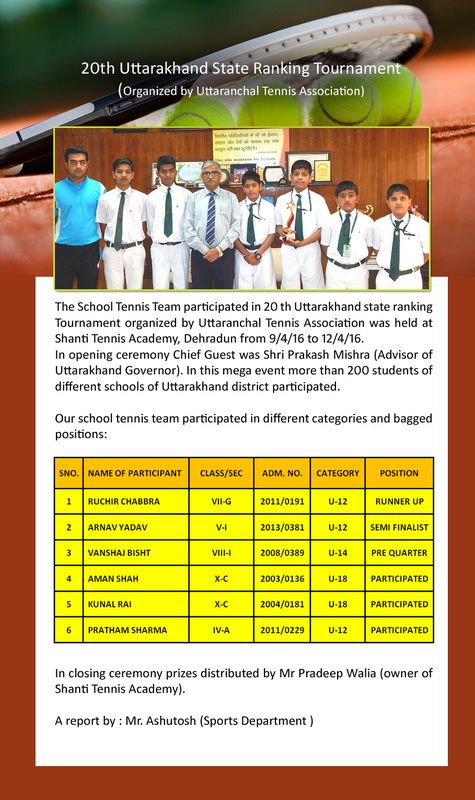 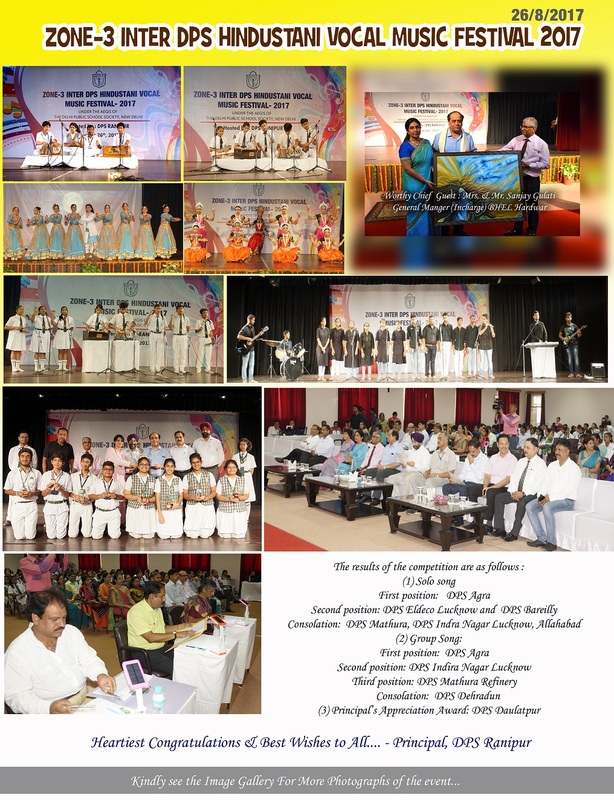 National Inter DPS Badminton Tournament ( Open ) Boys–2015. 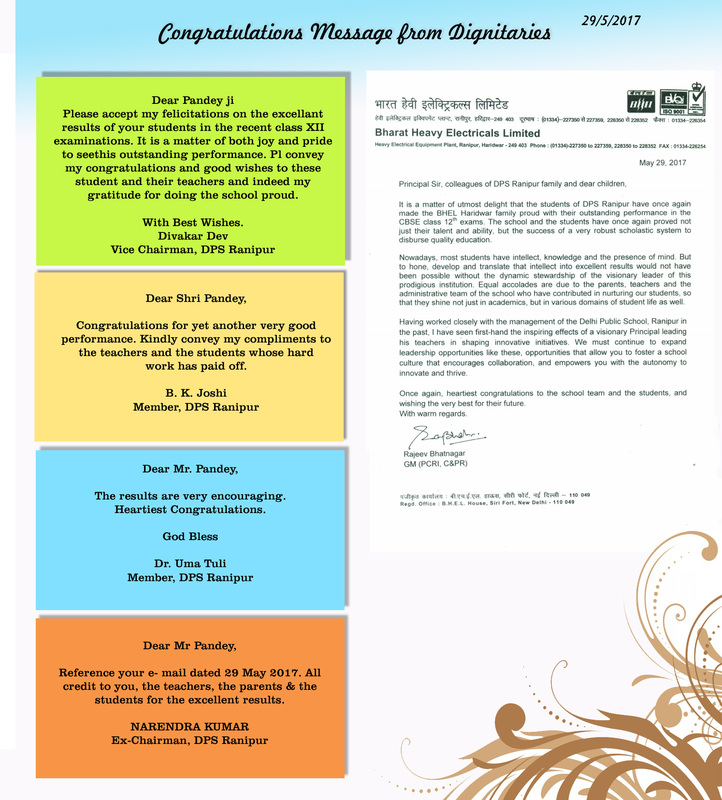 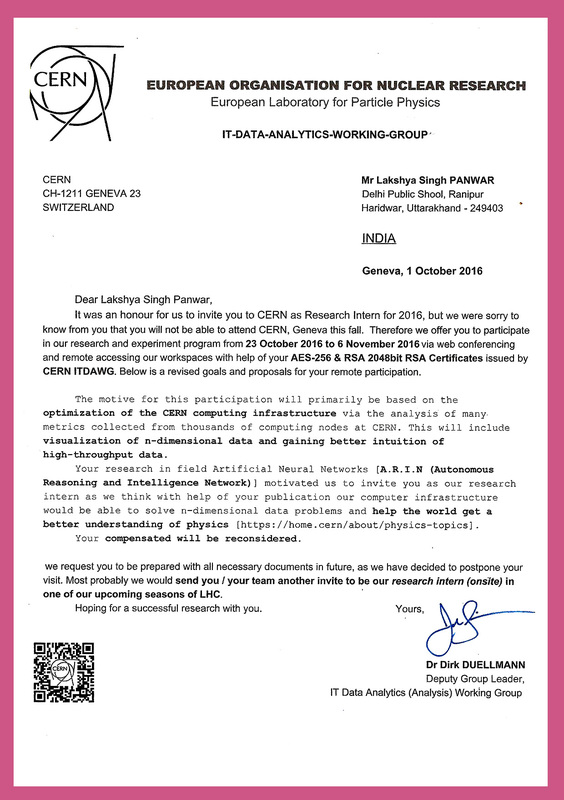 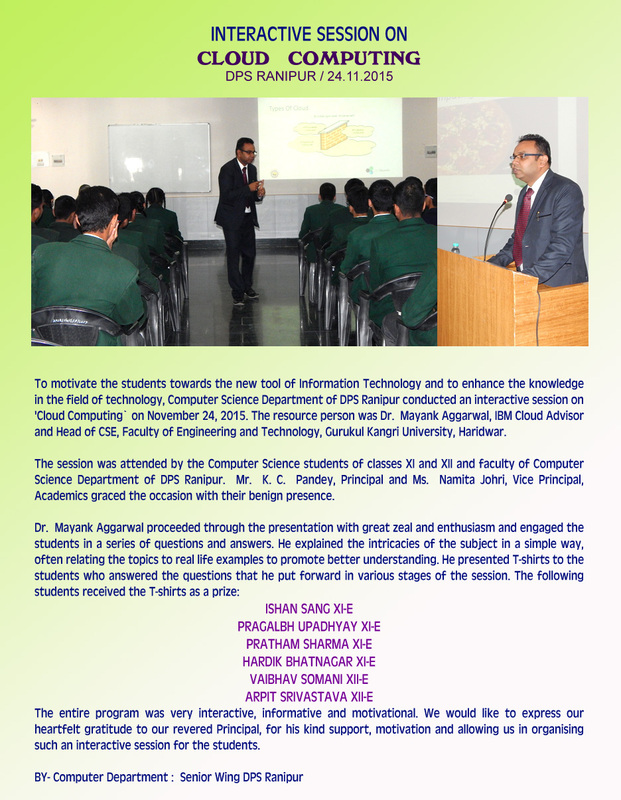 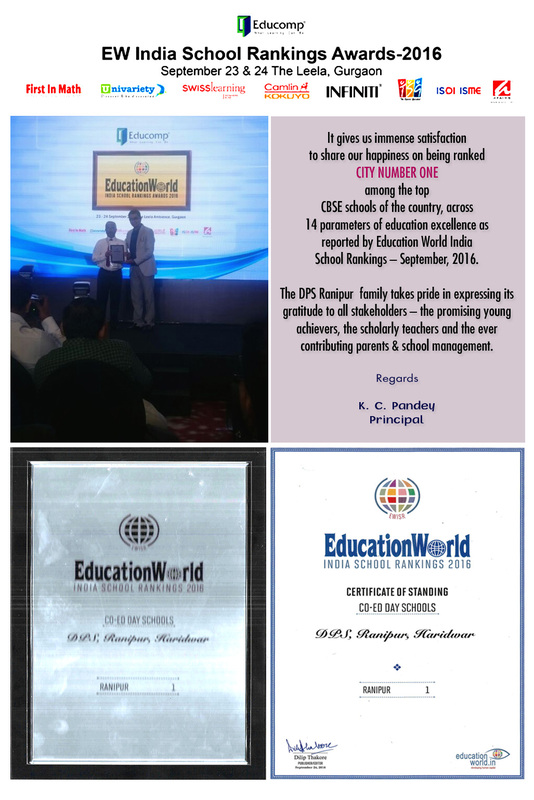 Certificate of appreciation from FICCI and AICPE.. 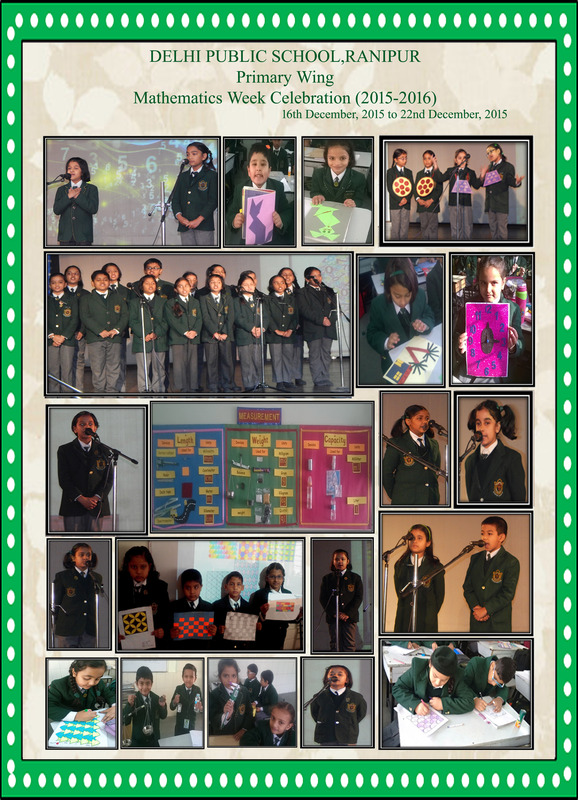 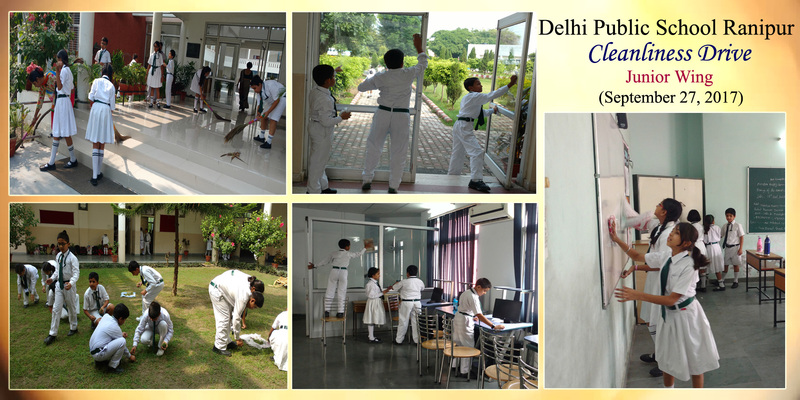 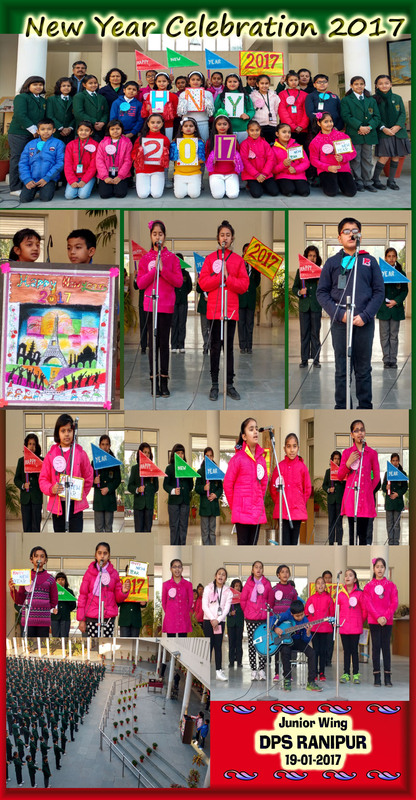 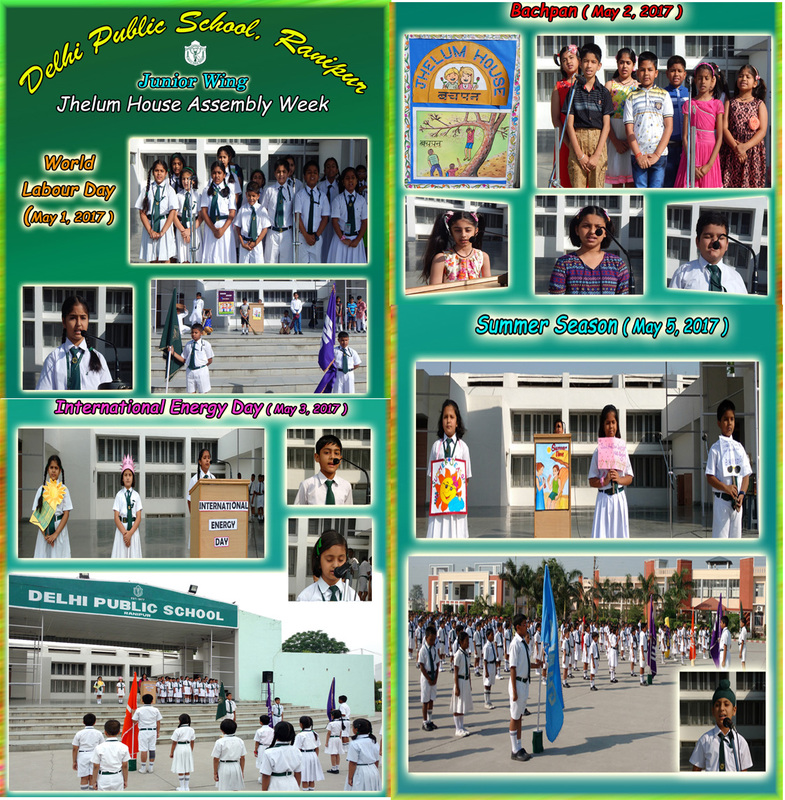 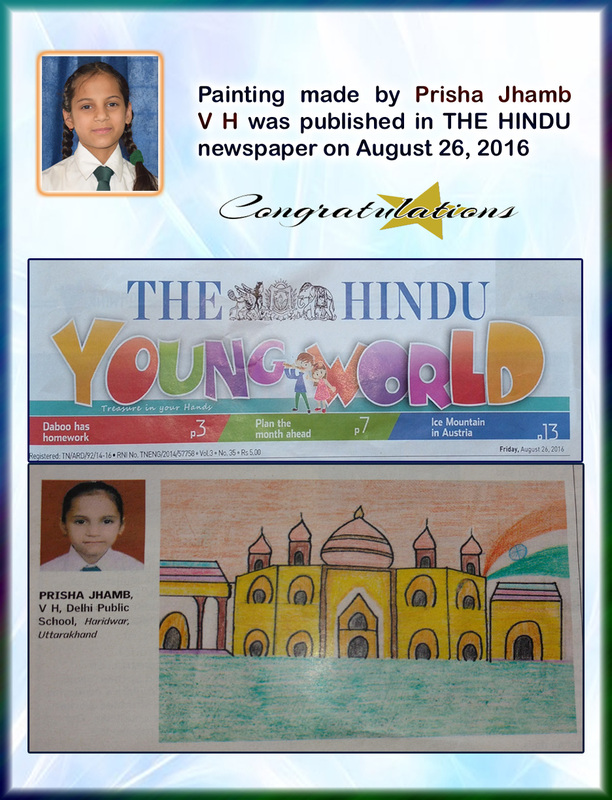 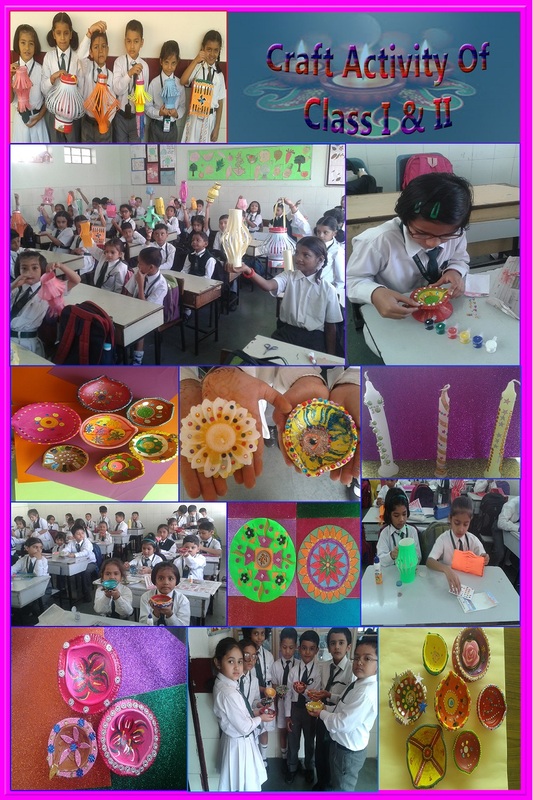 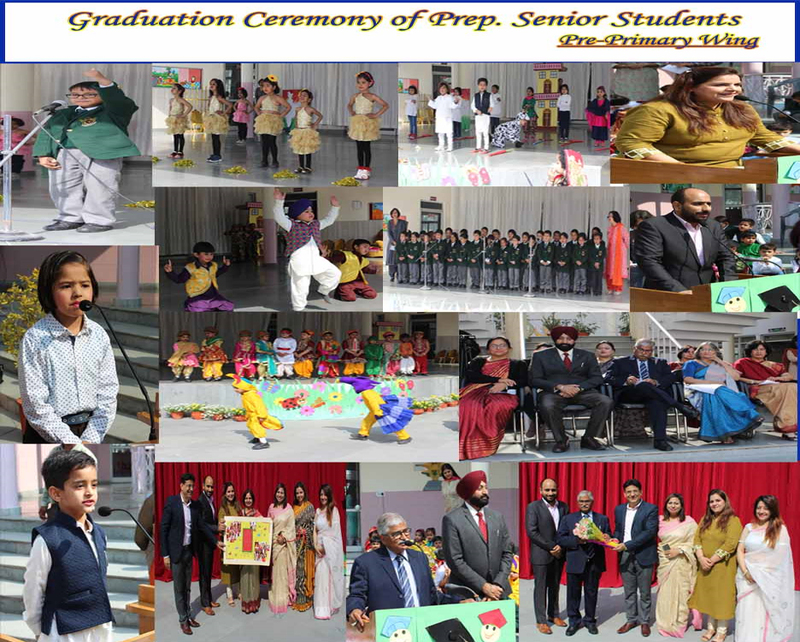 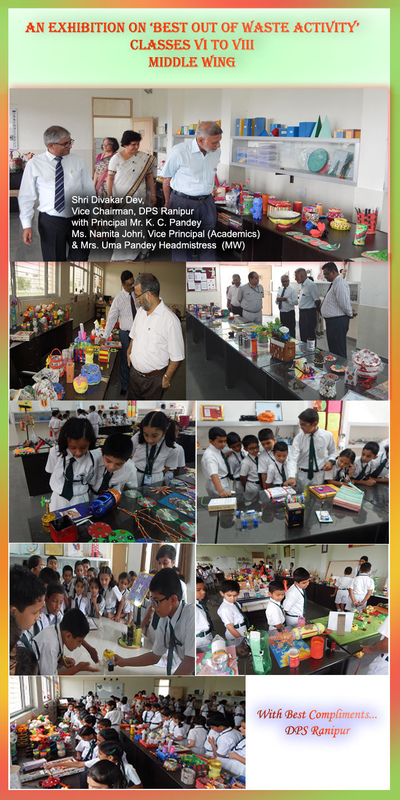 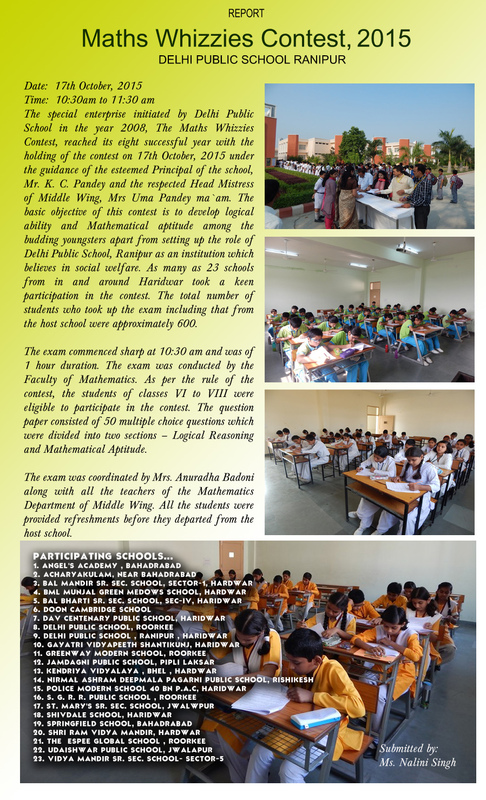 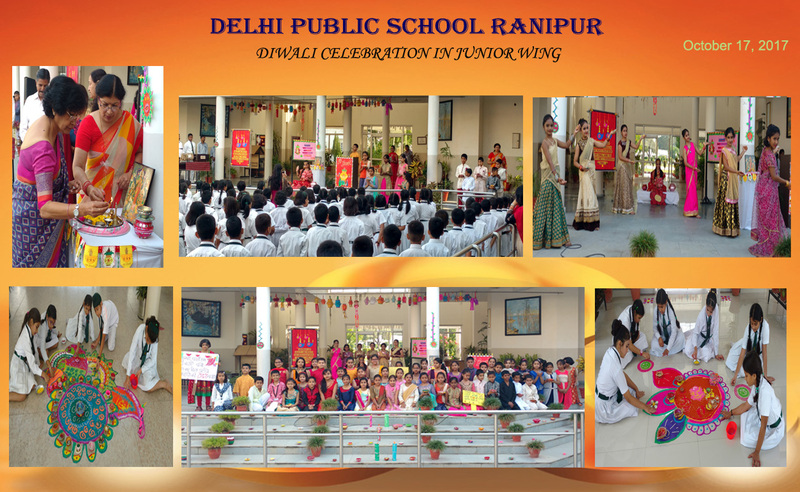 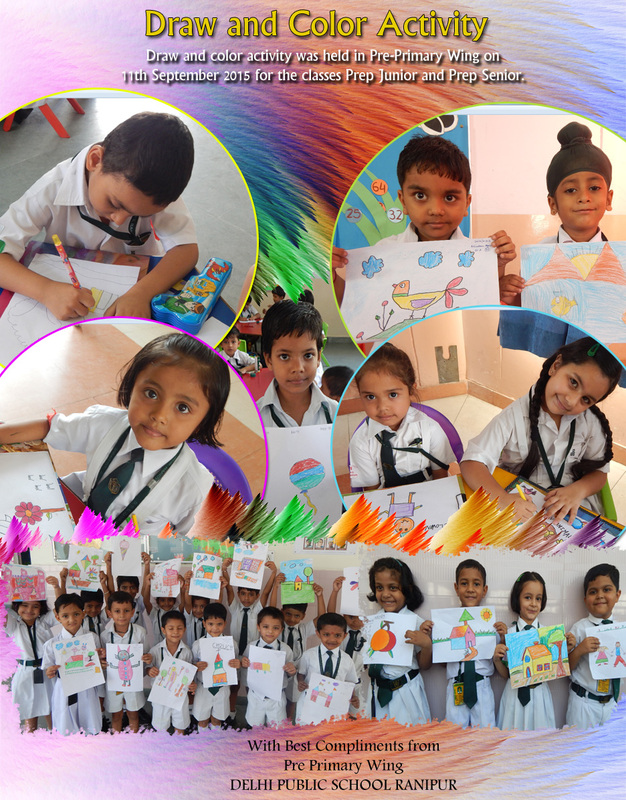 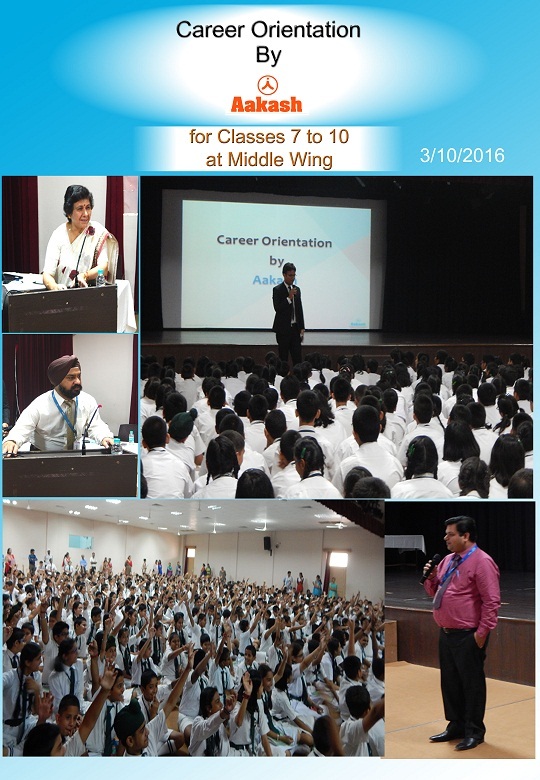 Draw and color activity was held in Pre-Primary Wing on 11th September 2015 for the classes Prep Junior and Prep Senior. 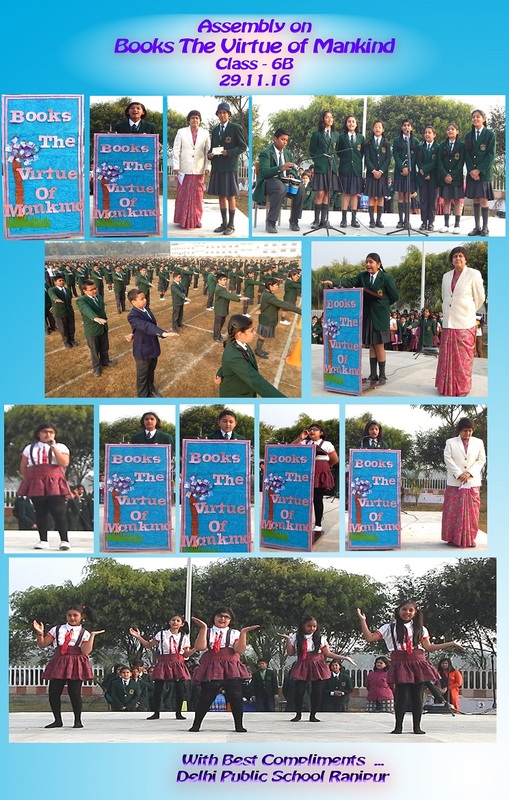 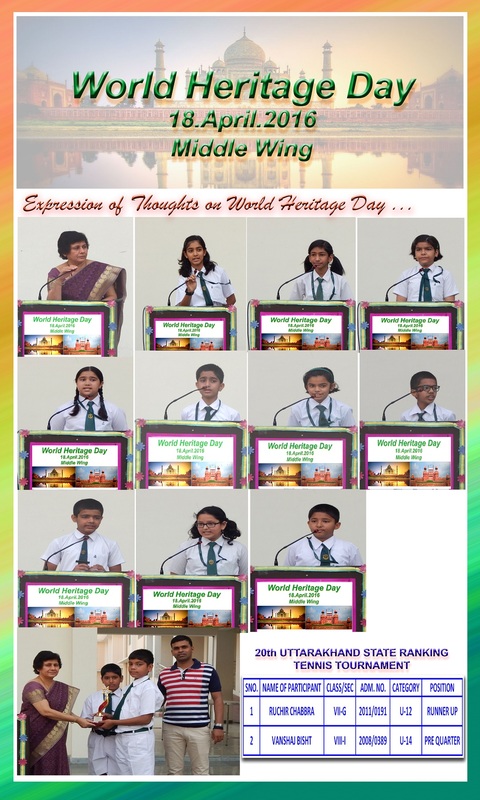 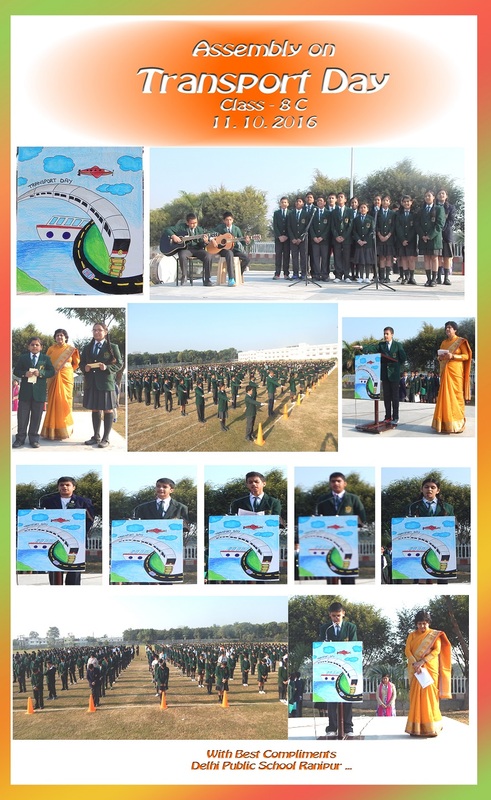 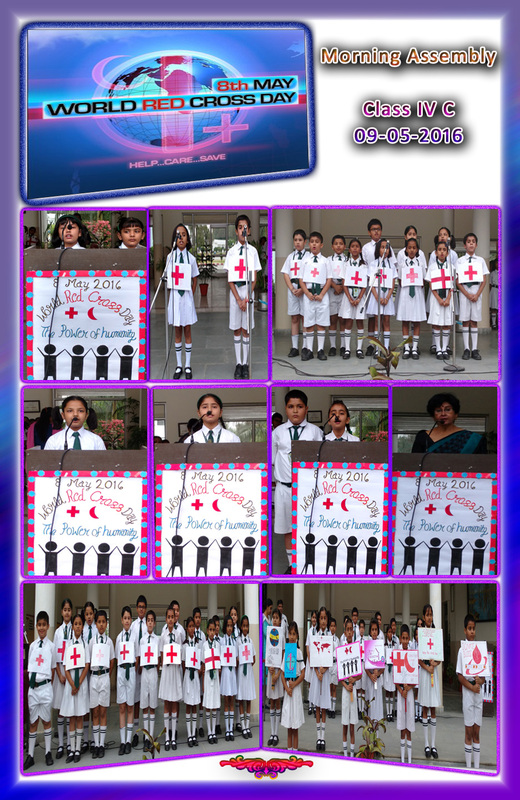 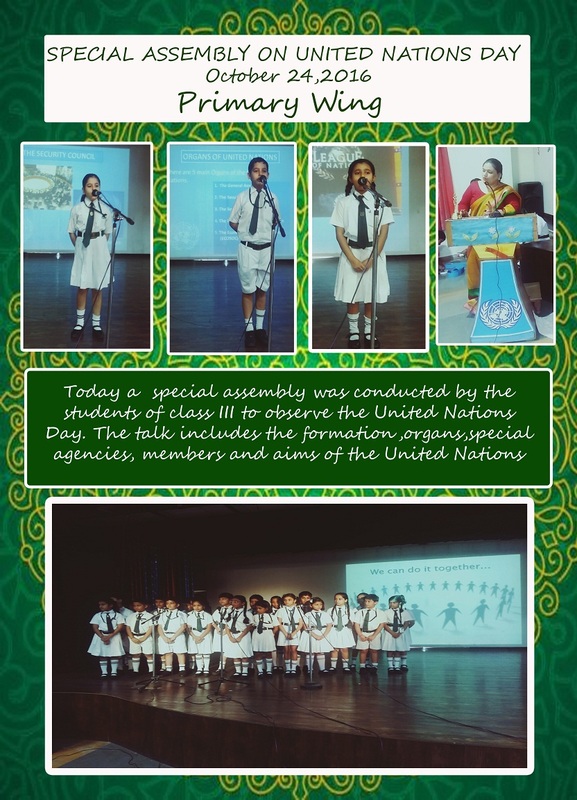 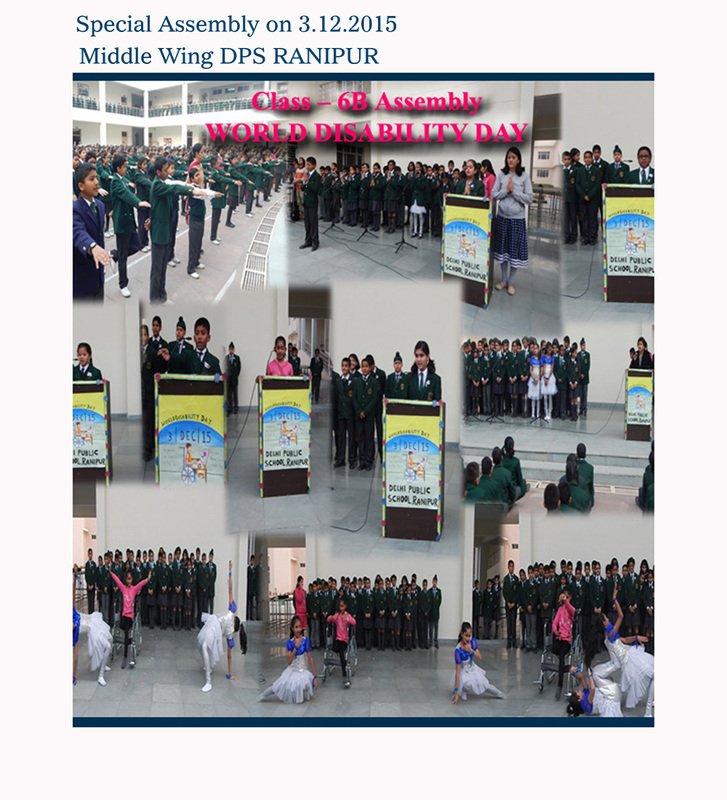 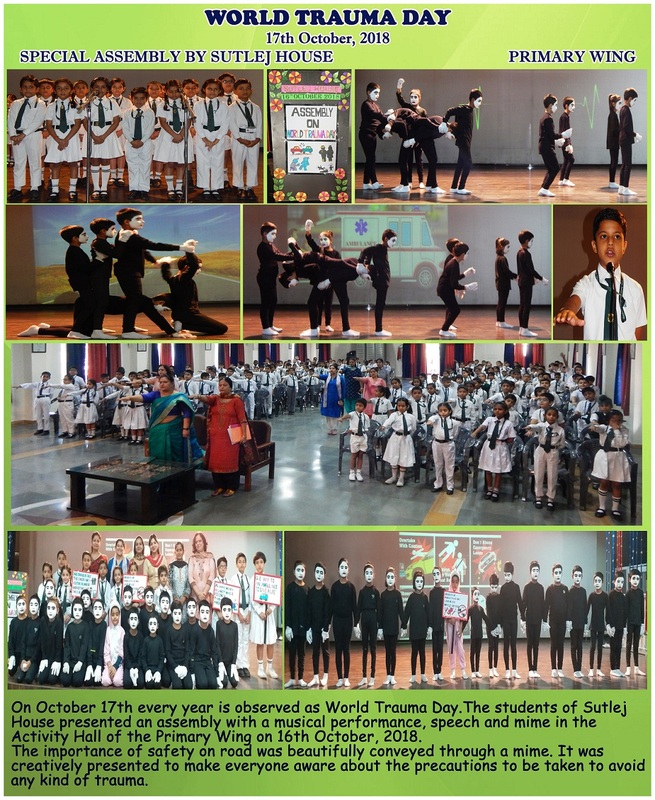 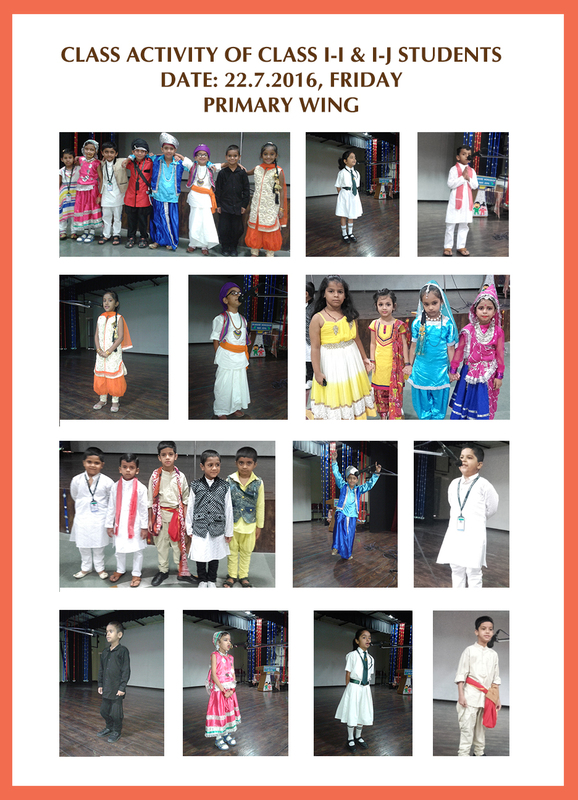 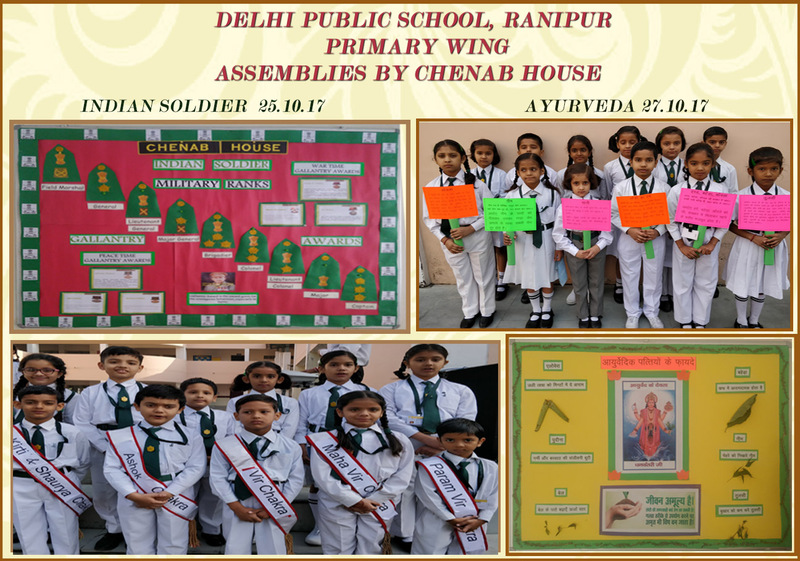 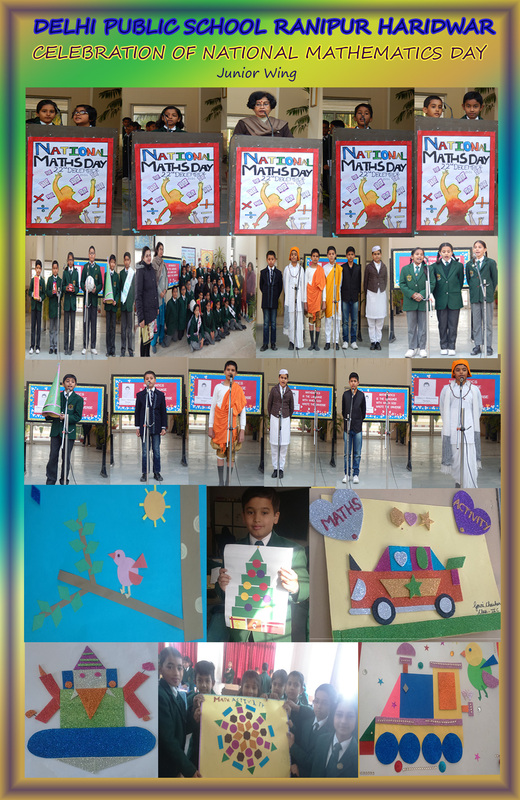 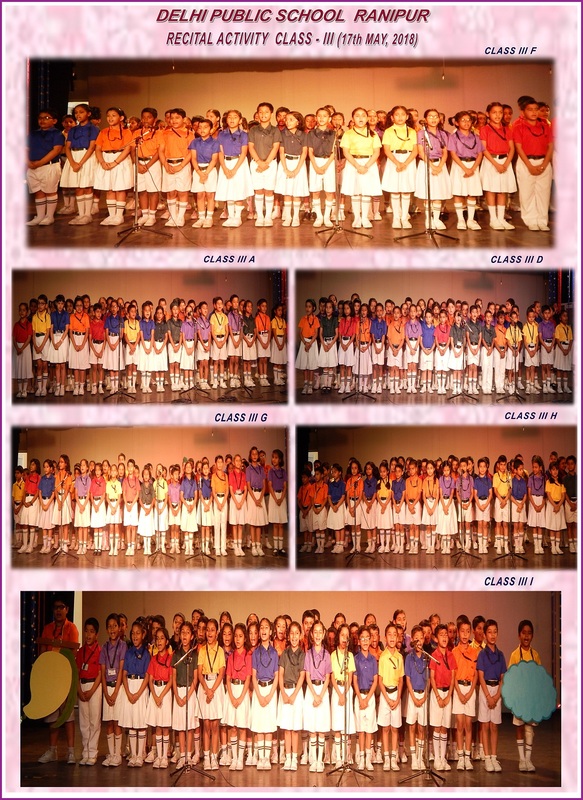 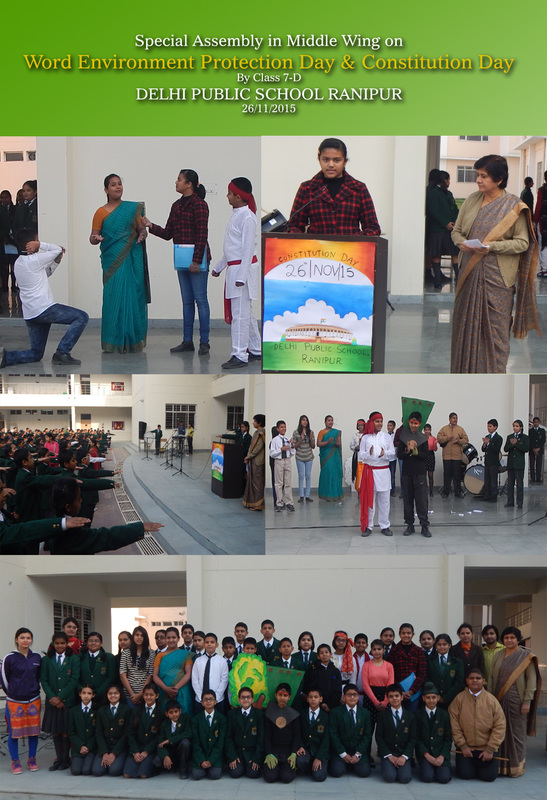 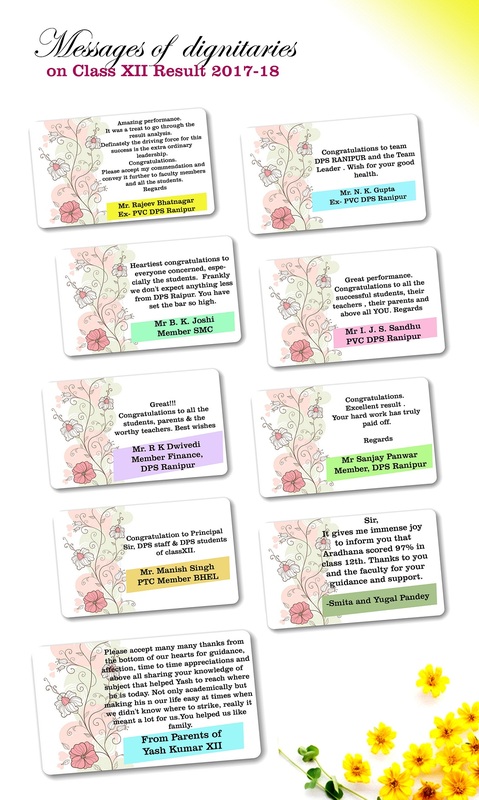 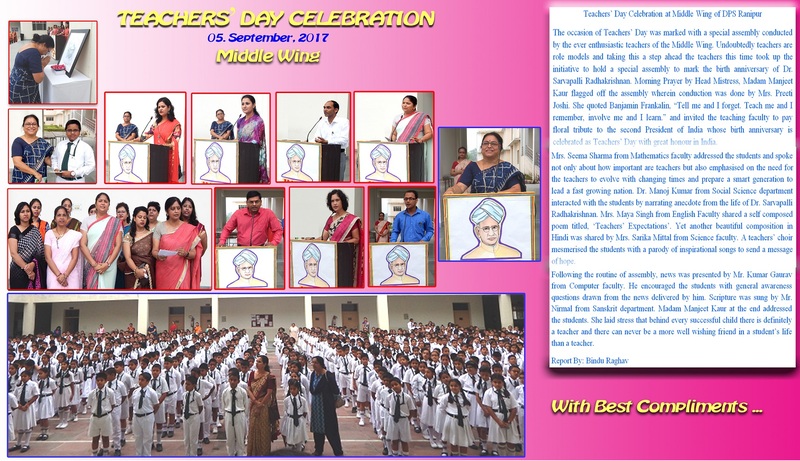 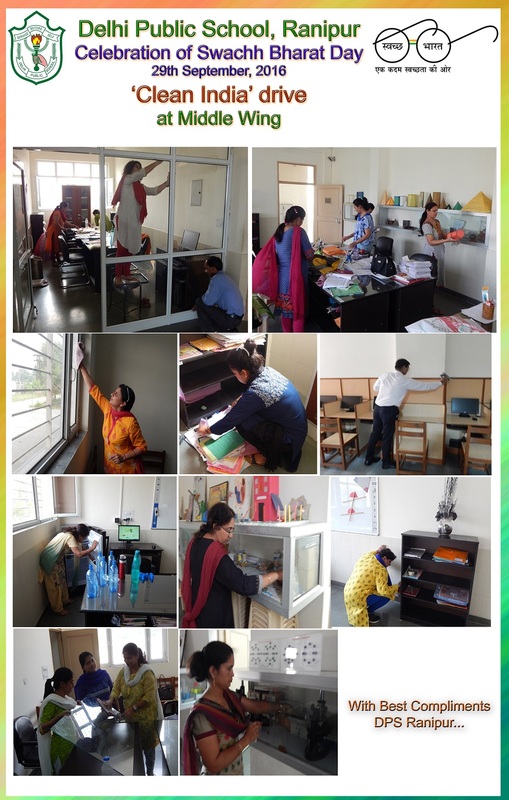 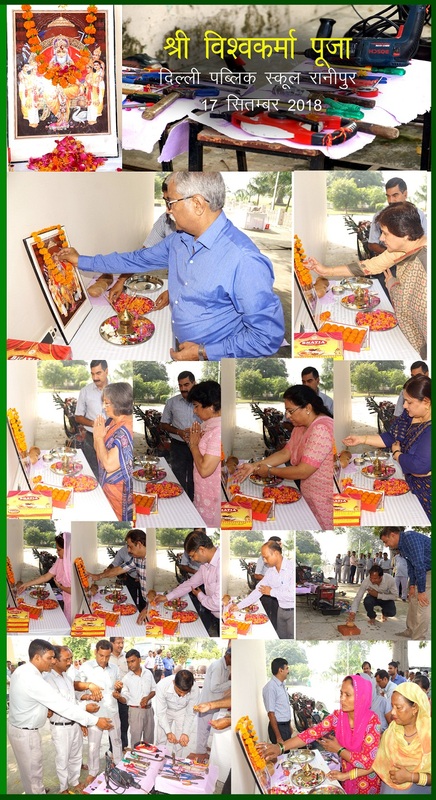 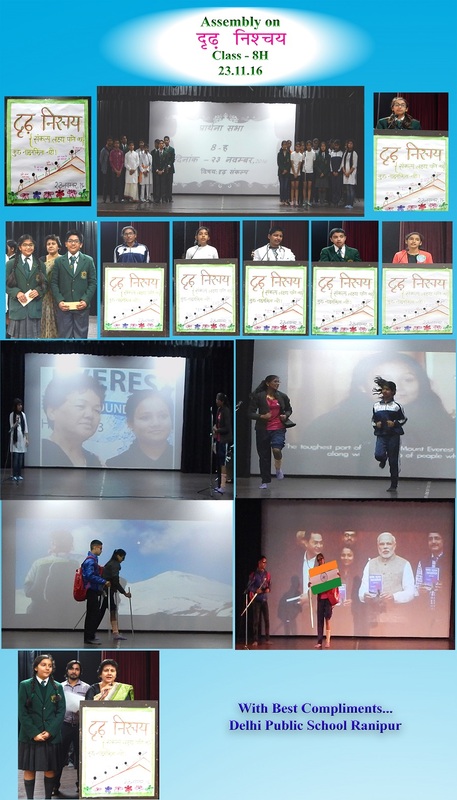 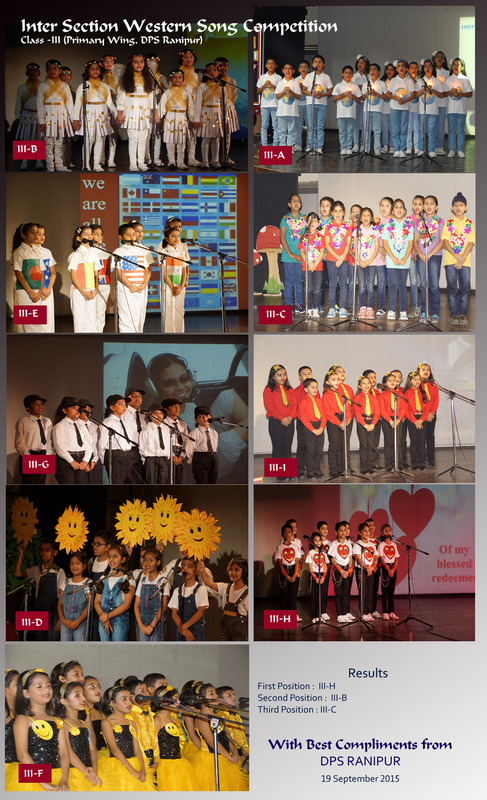 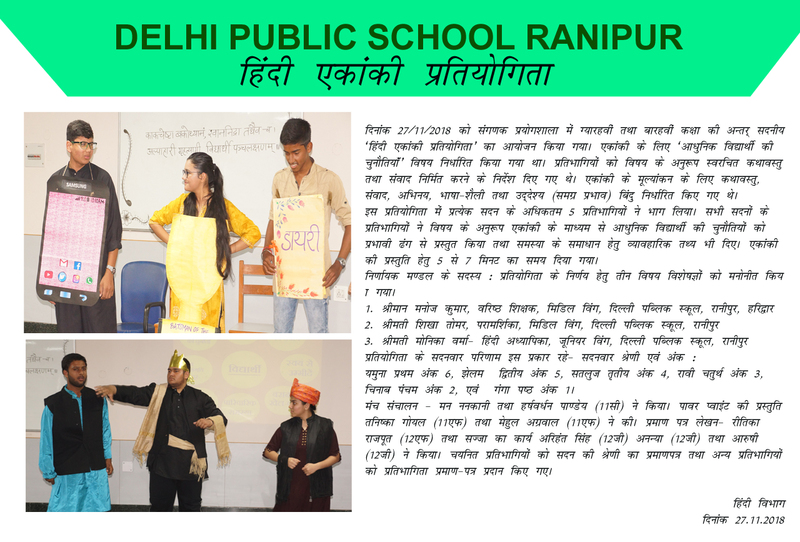 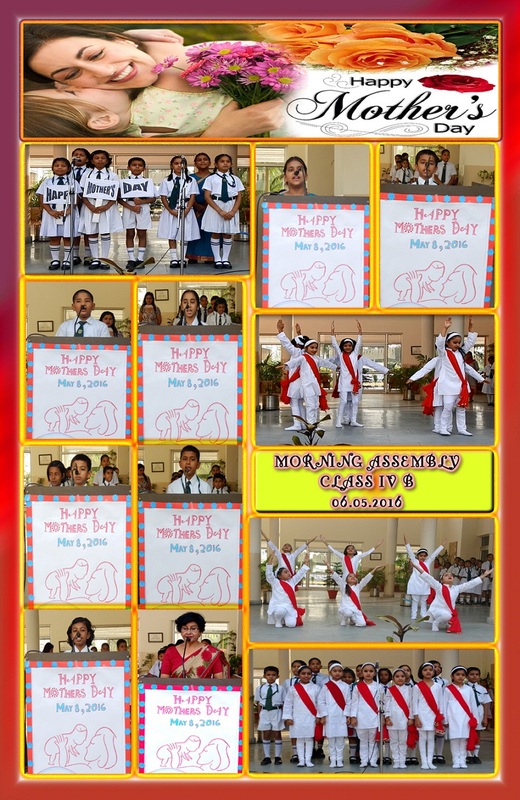 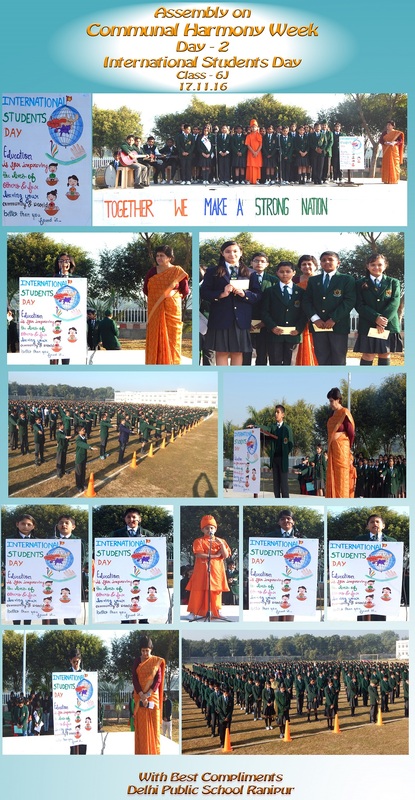 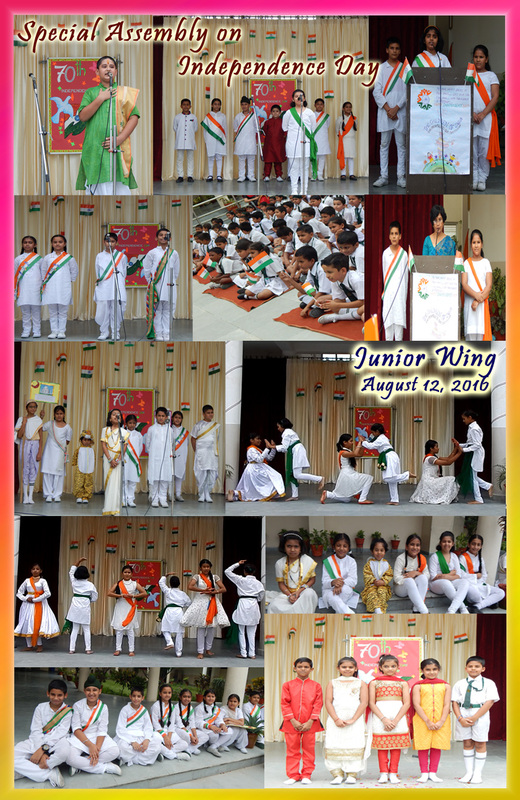 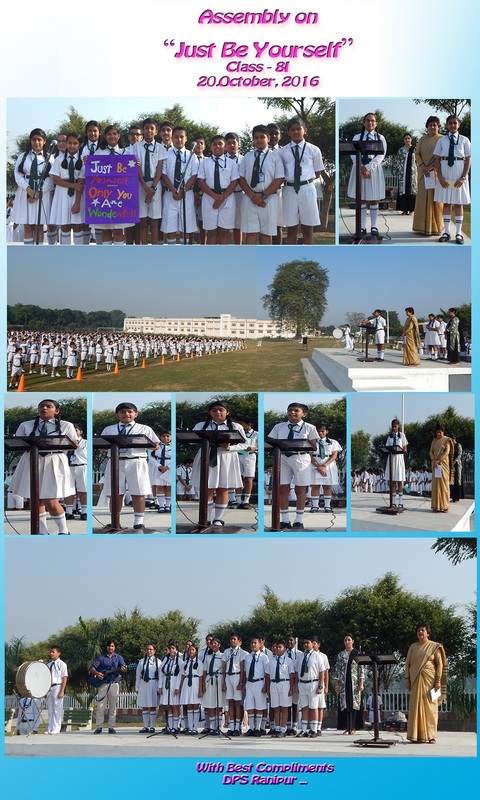 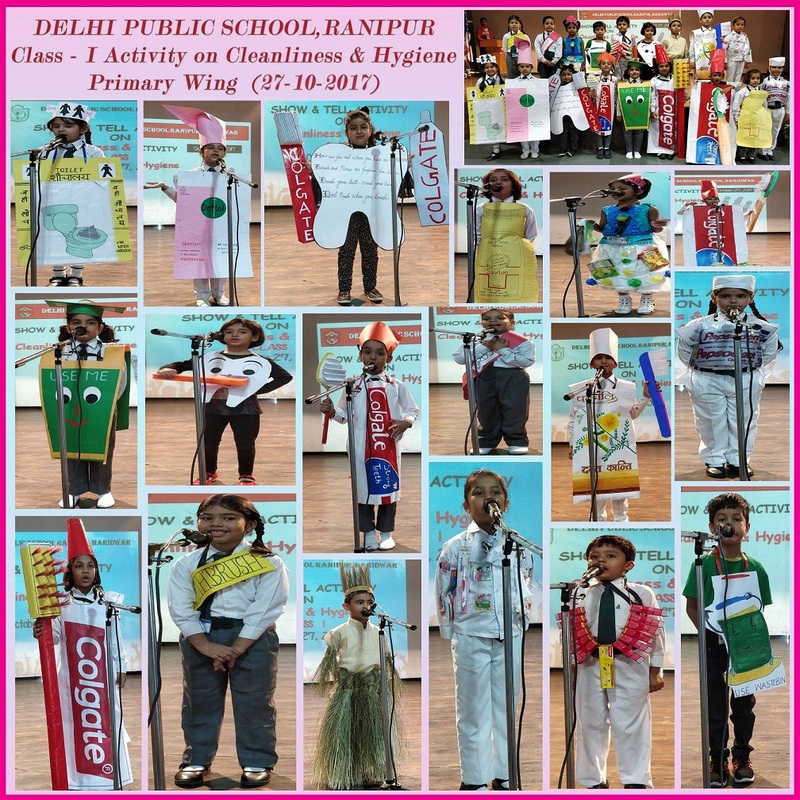 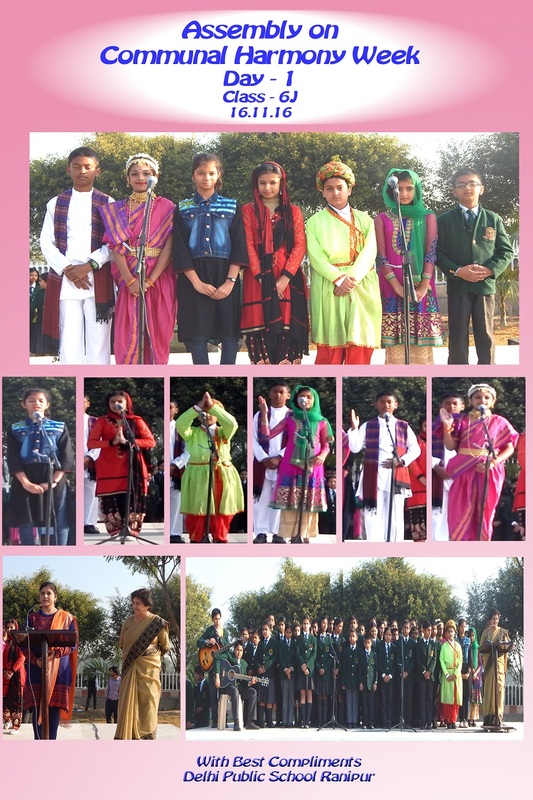 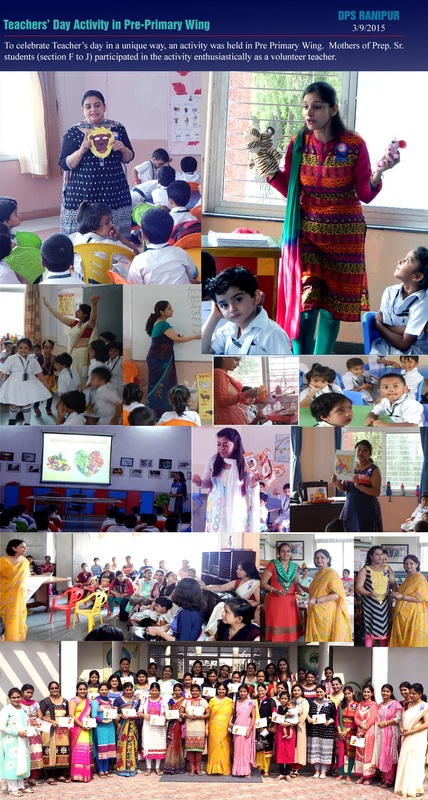 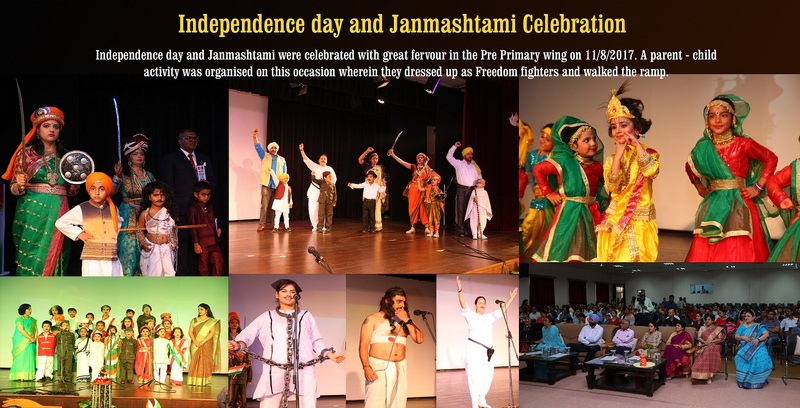 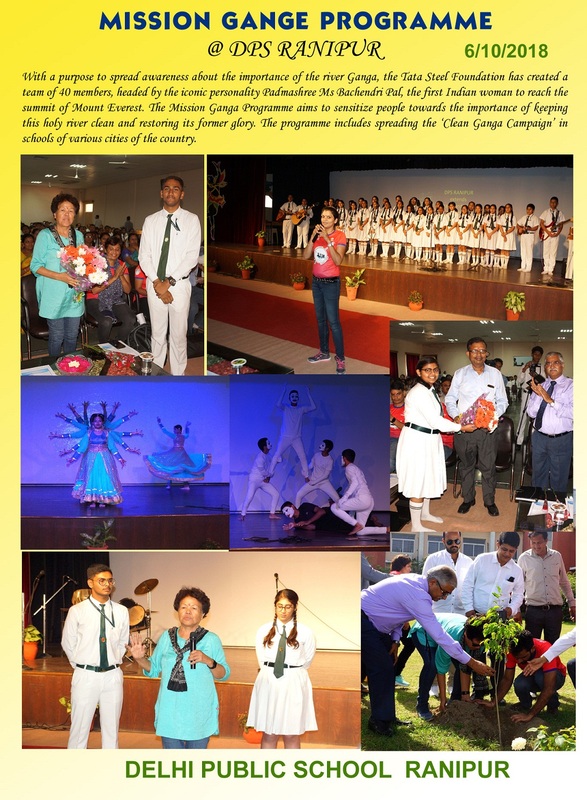 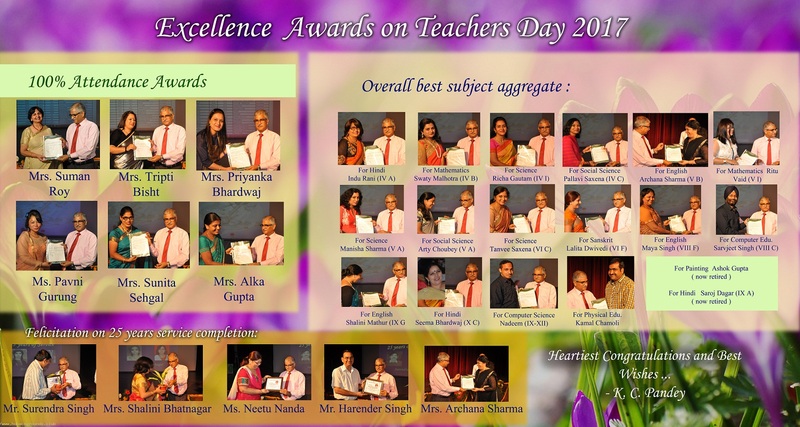 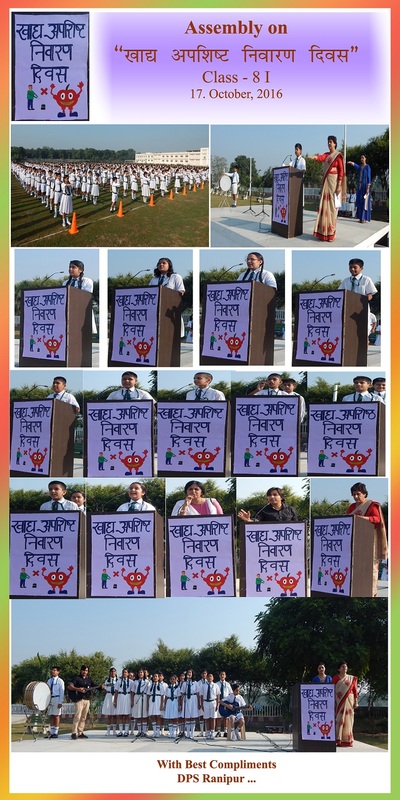 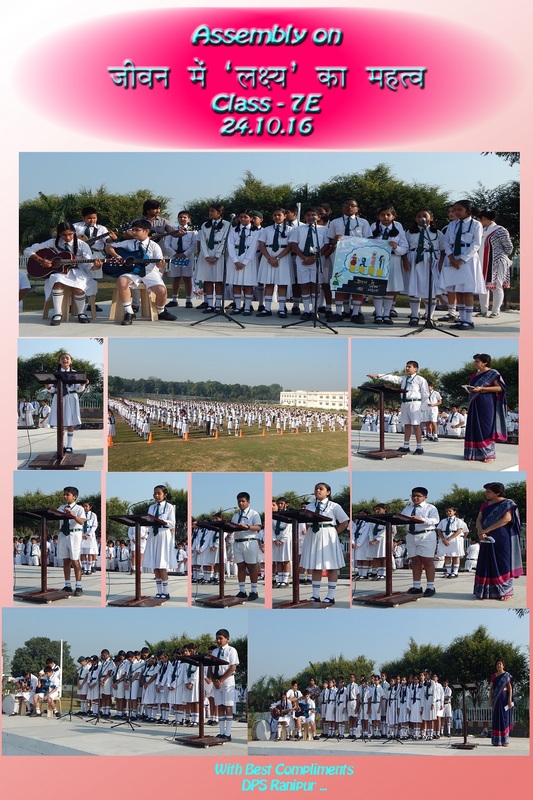 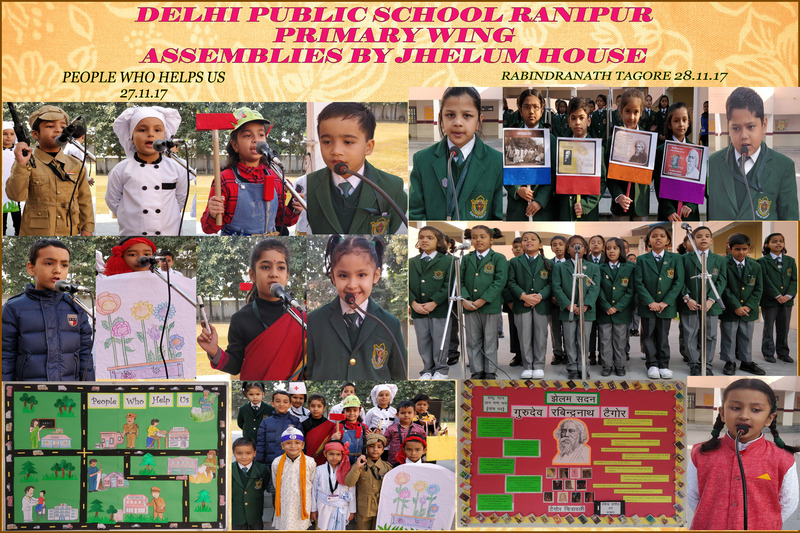 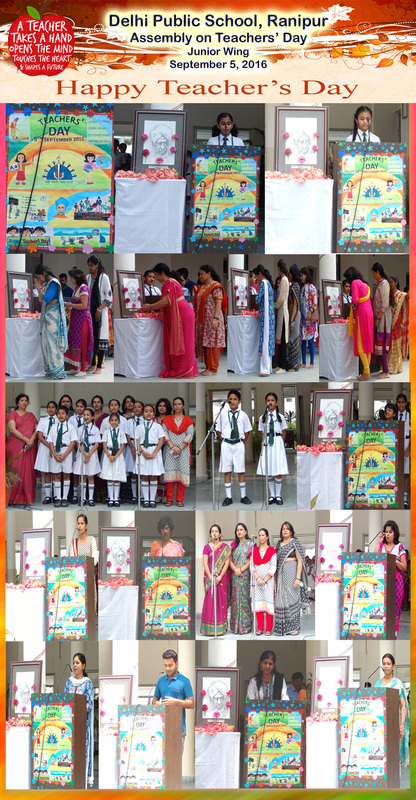 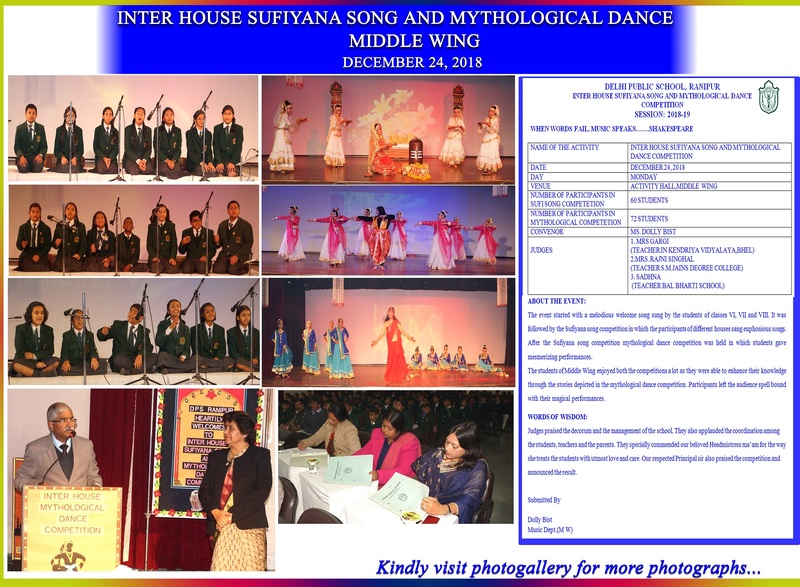 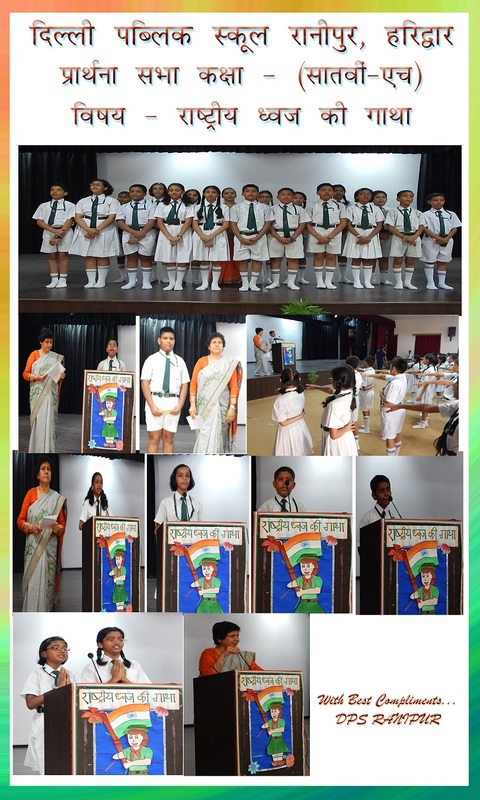 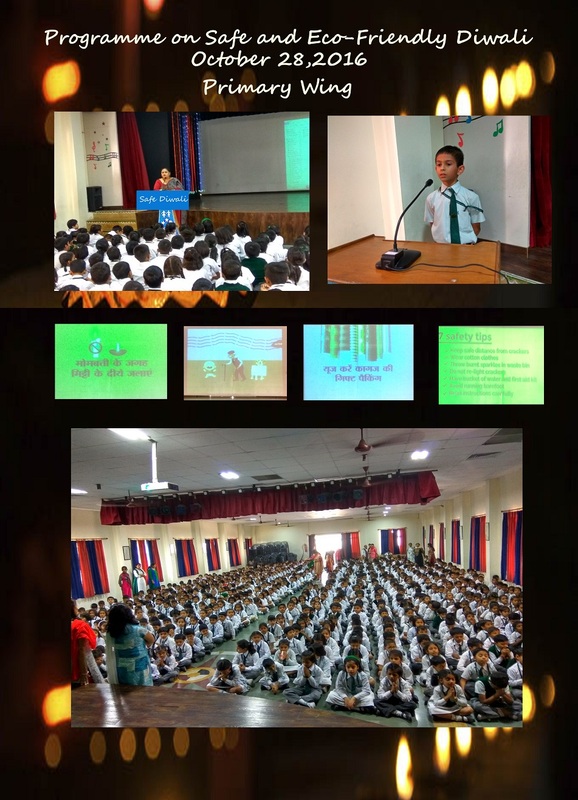 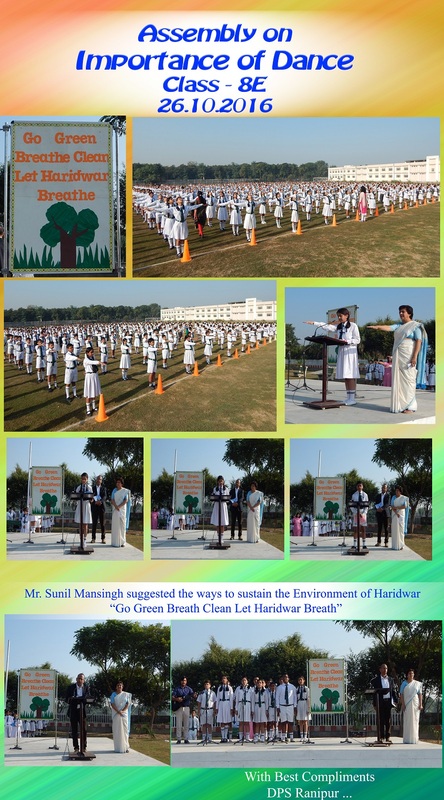 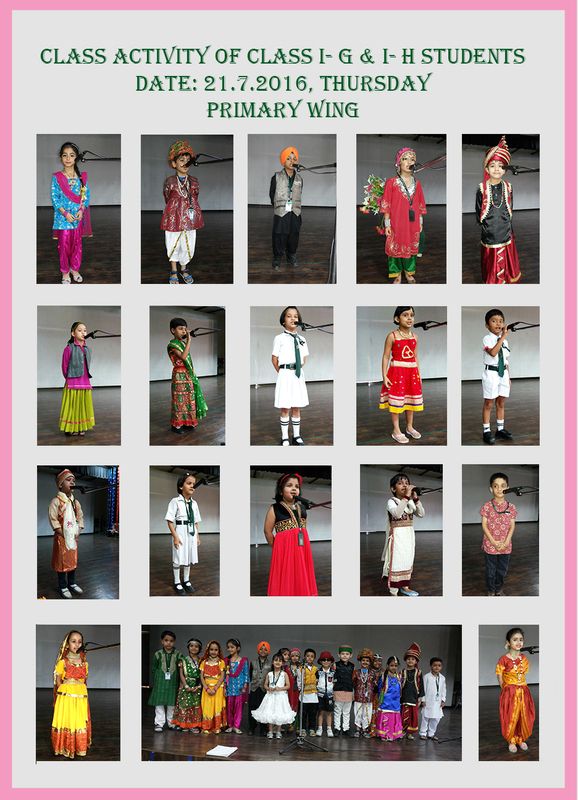 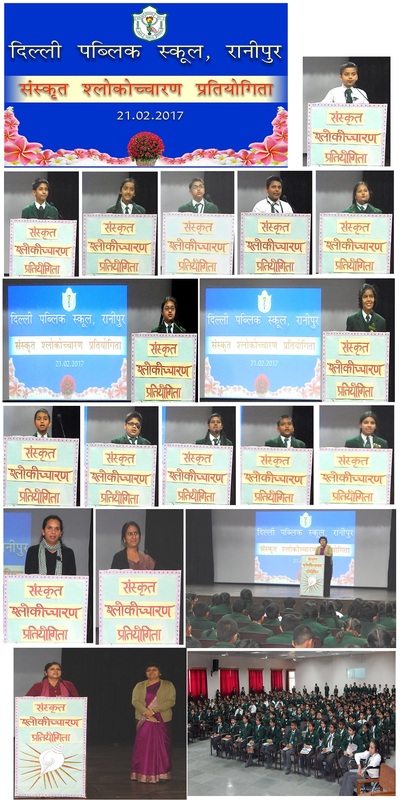 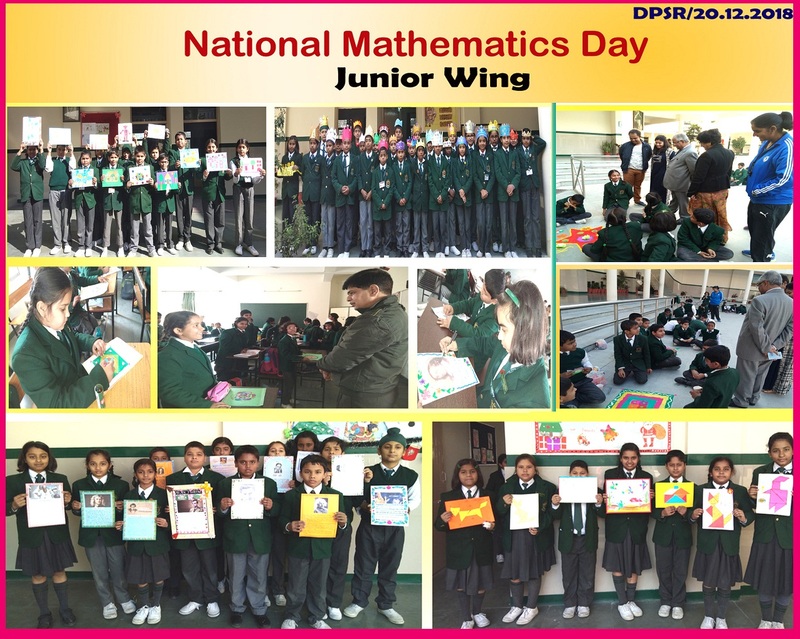 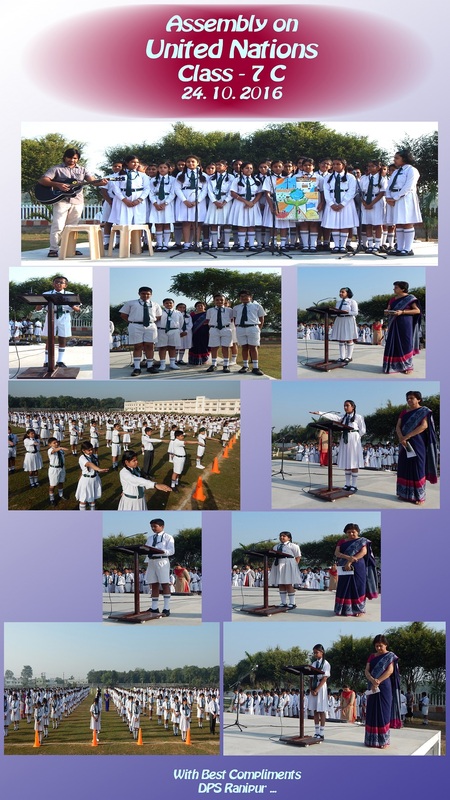 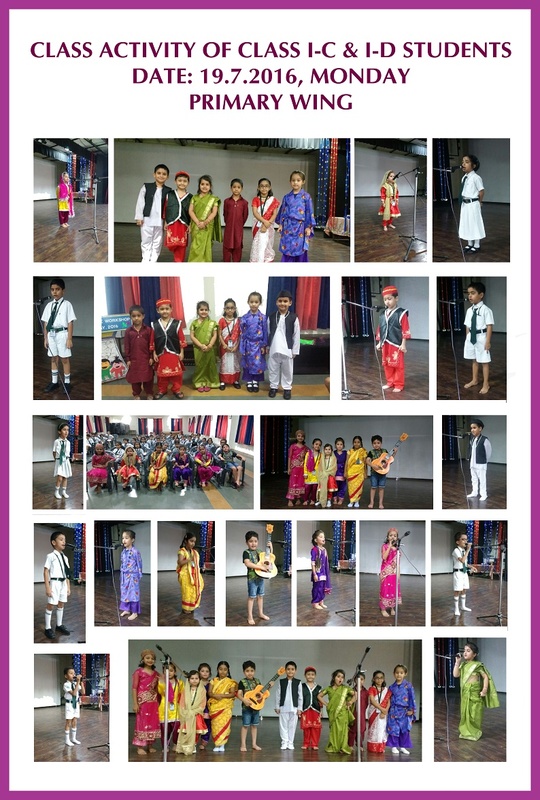 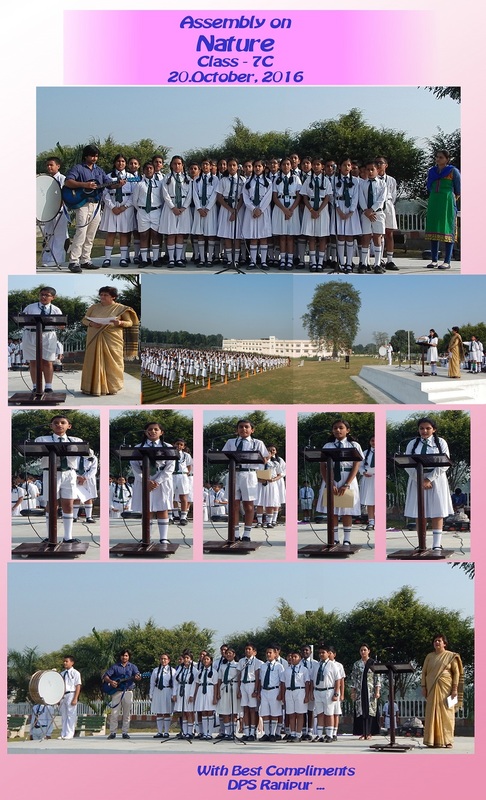 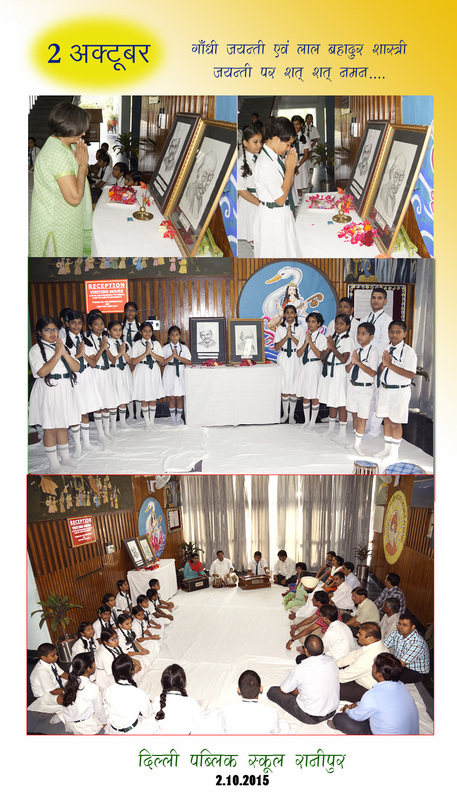 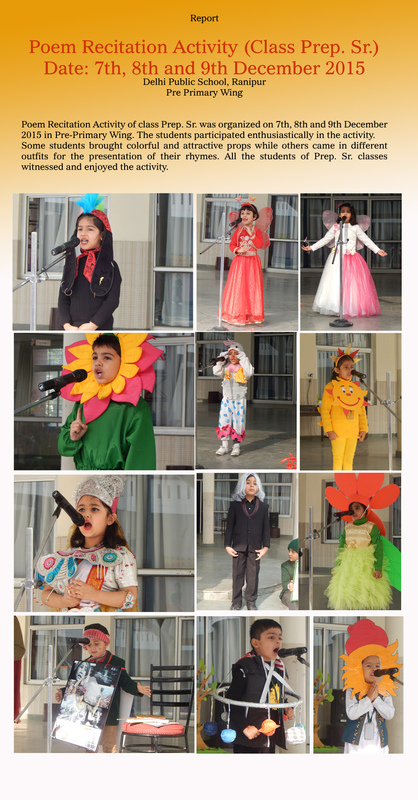 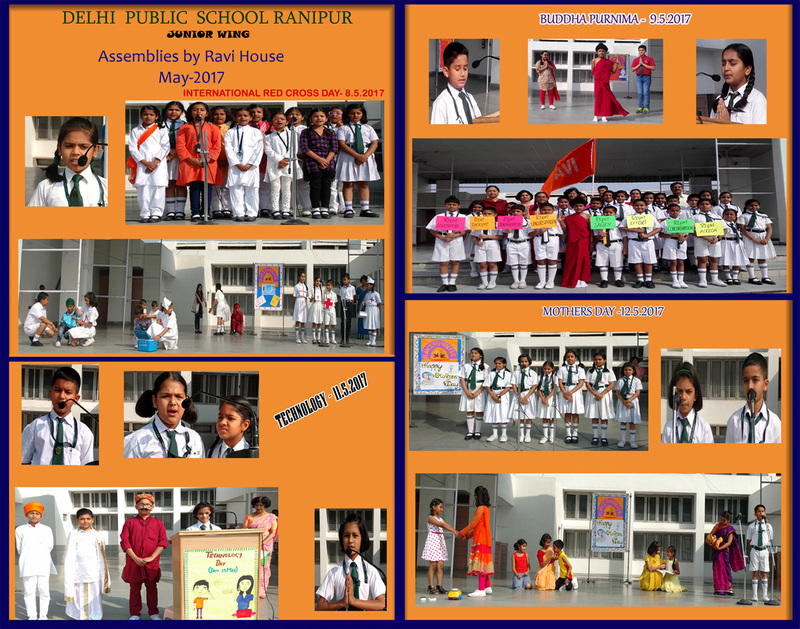 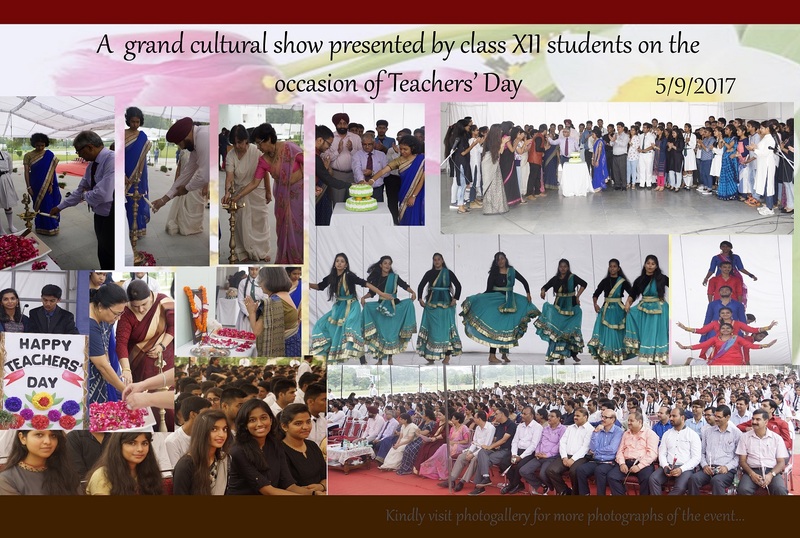 To celebrate Teacher’s day in a unique way, an activity was held in Pre Primary Wing. 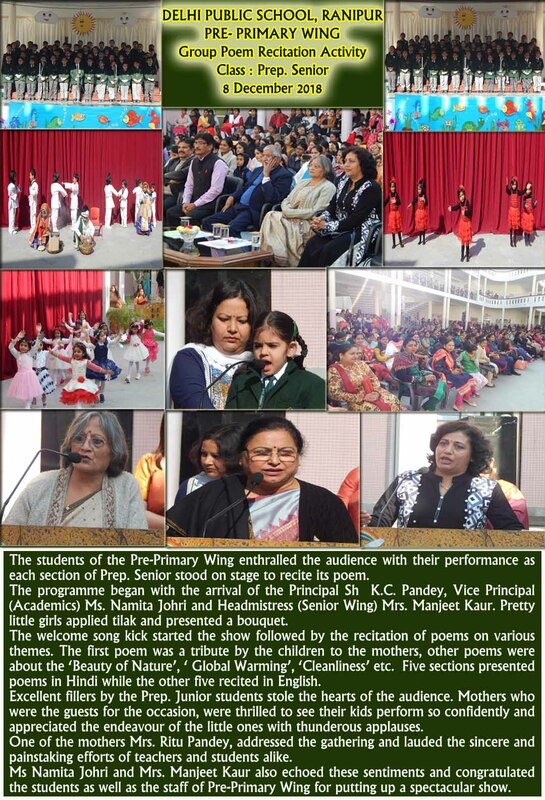 Mothers of Prep. 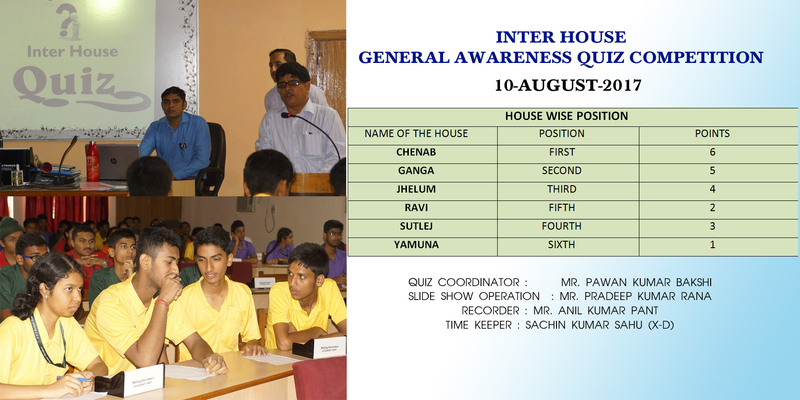 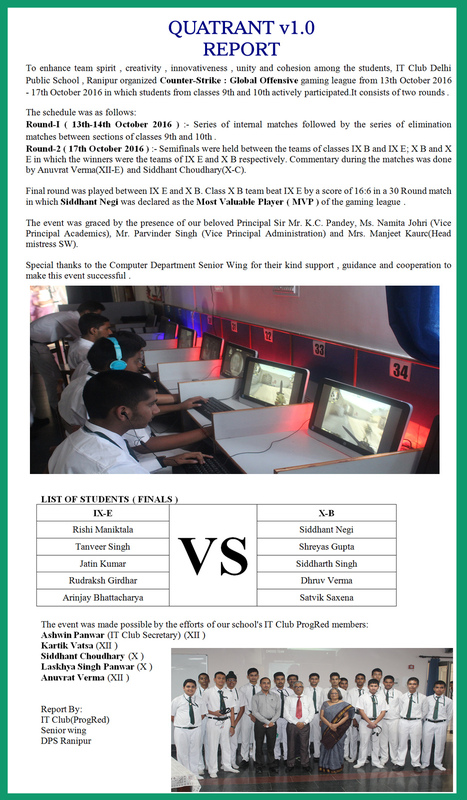 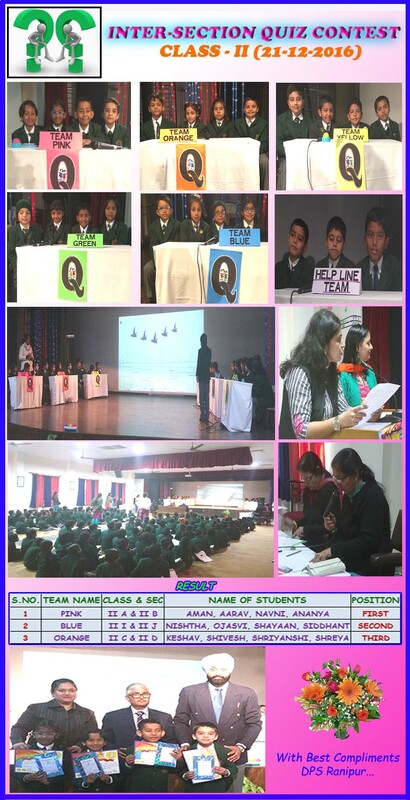 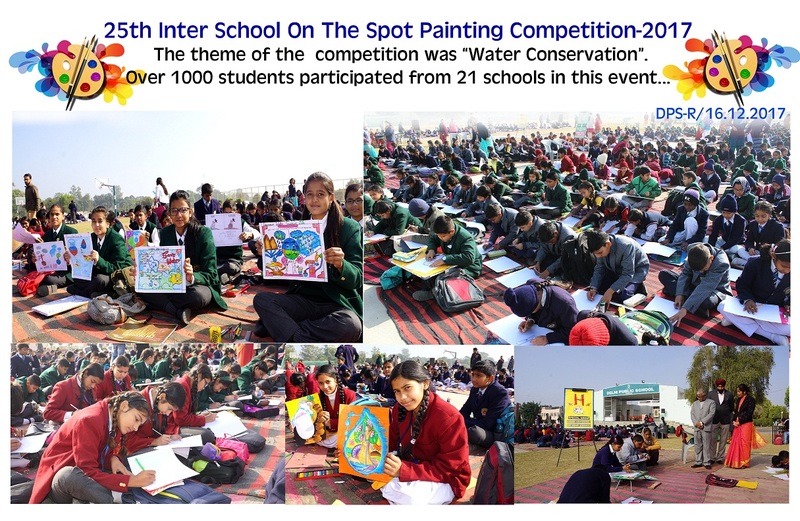 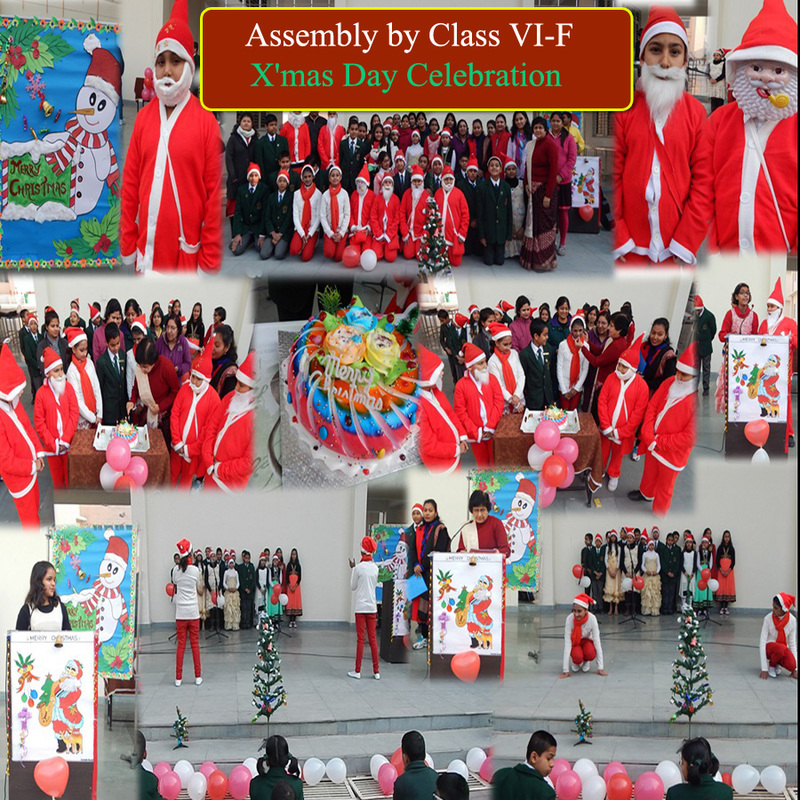 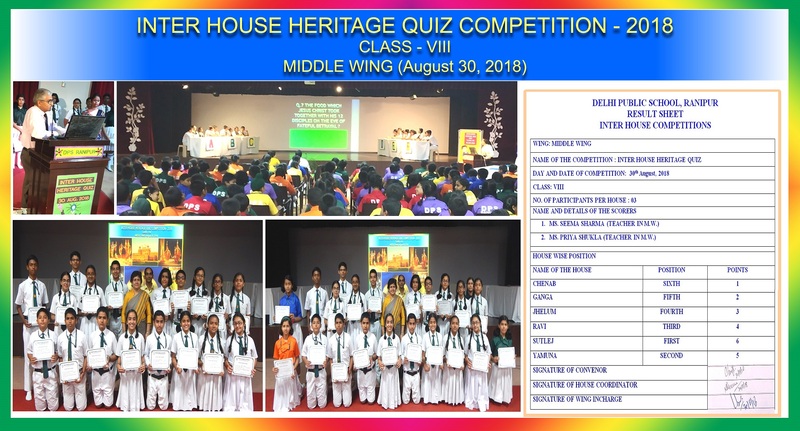 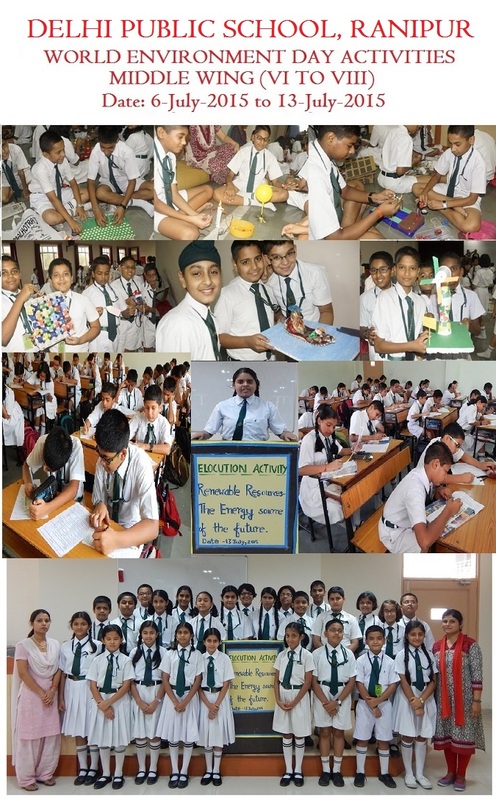 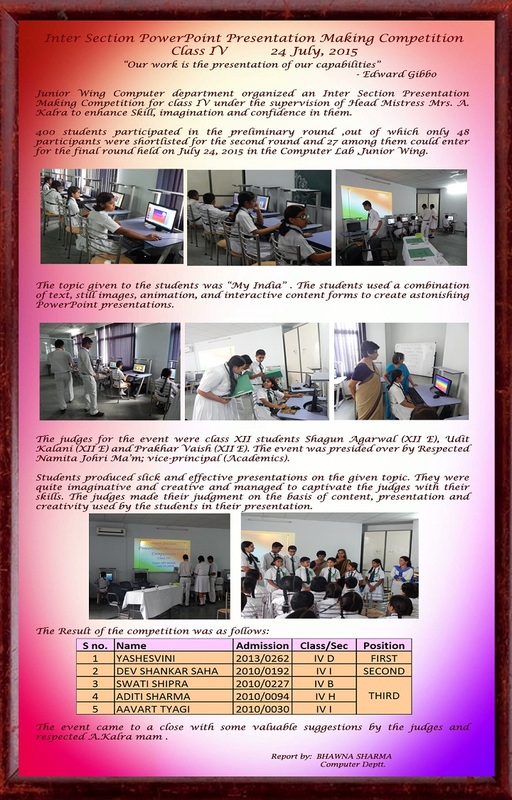 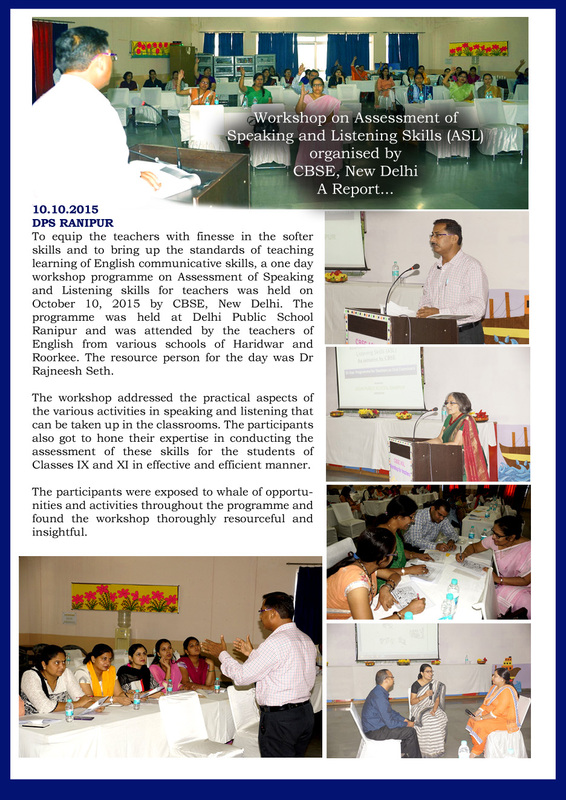 Sr. students (section F to J) participated in the activity enthusiastically as a volunteer teacher. 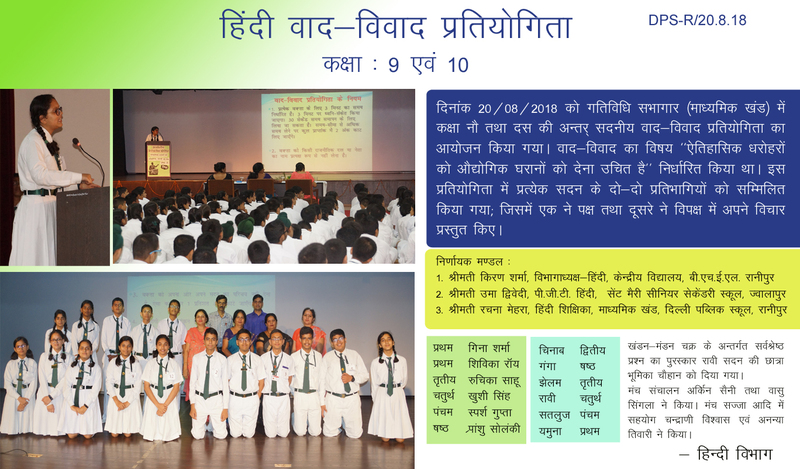 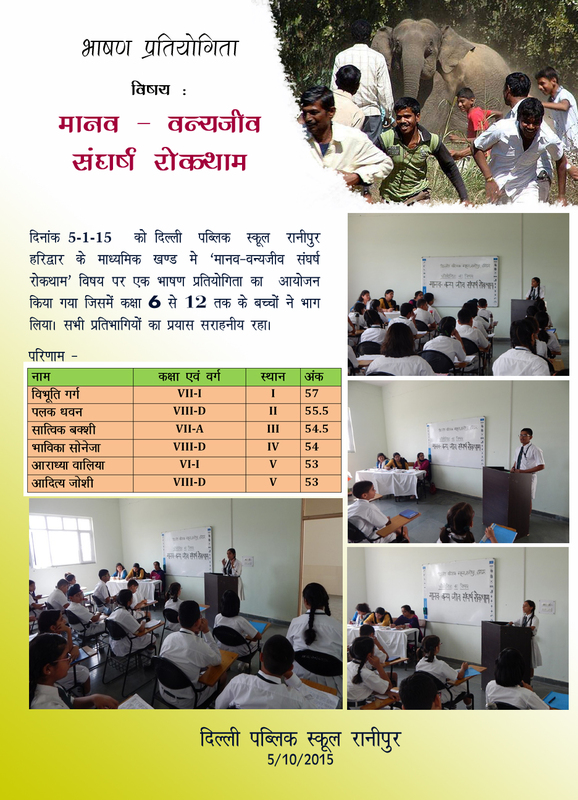 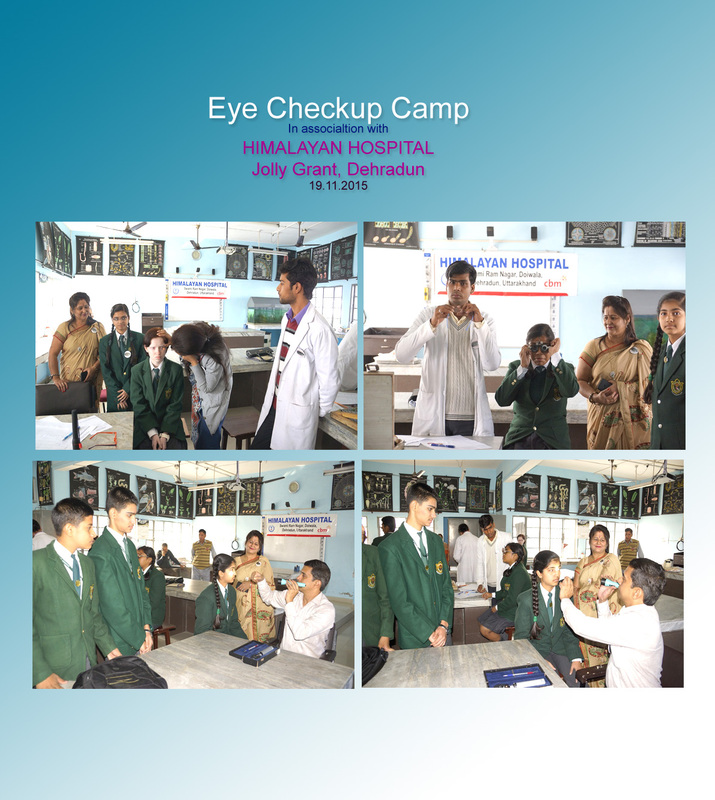 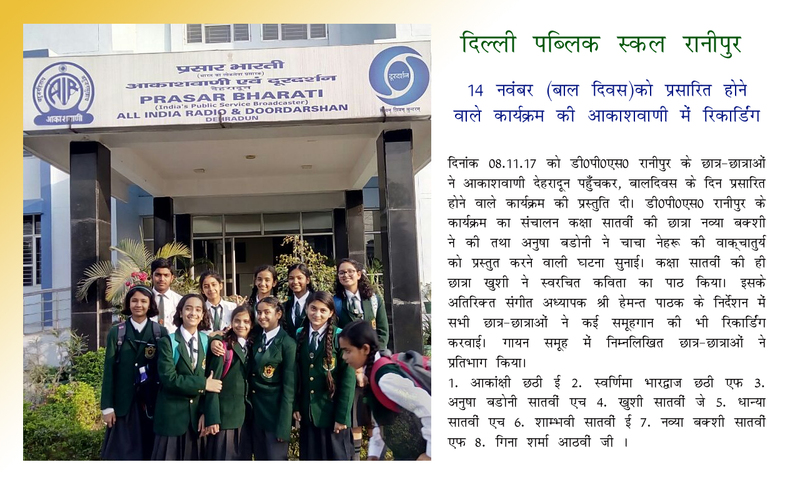 Eye check-up camp for students in association with Himalayan Hospital, Jolly Grant Dehradun. 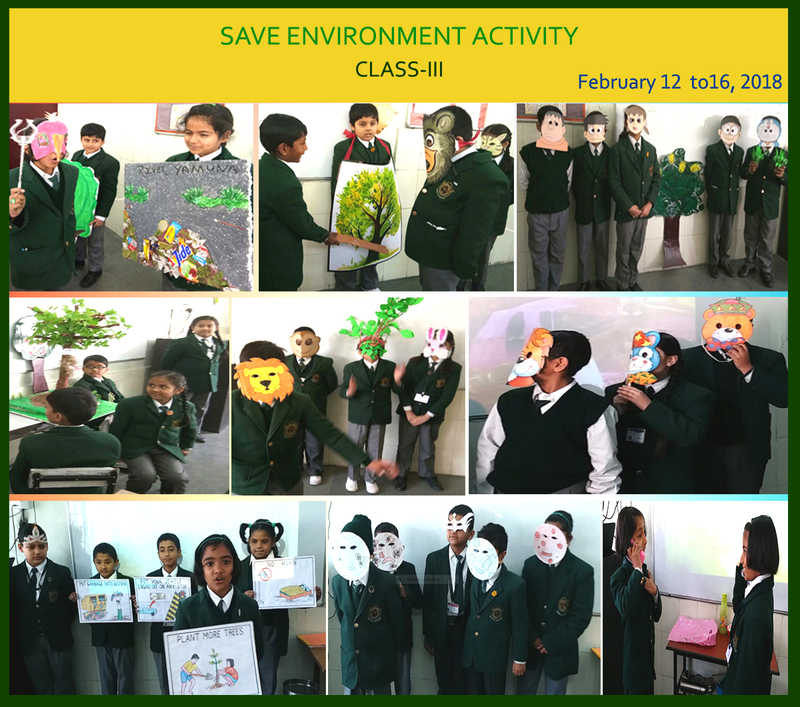 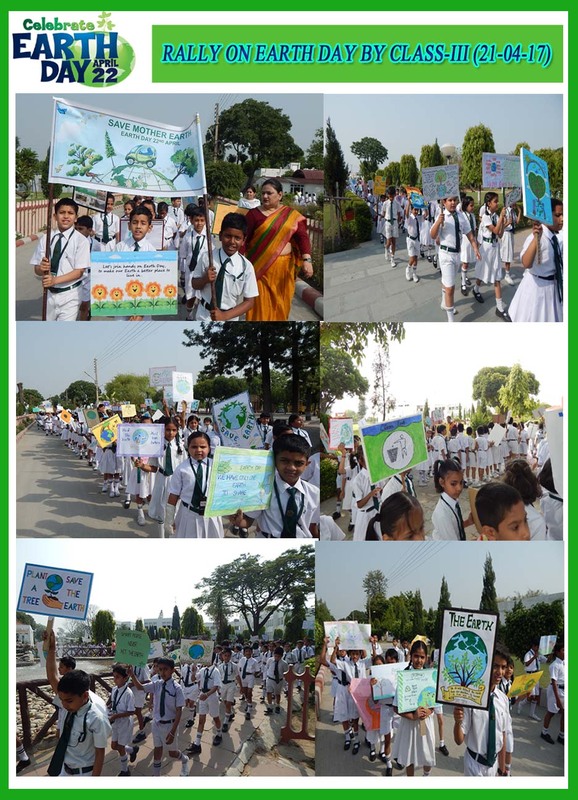 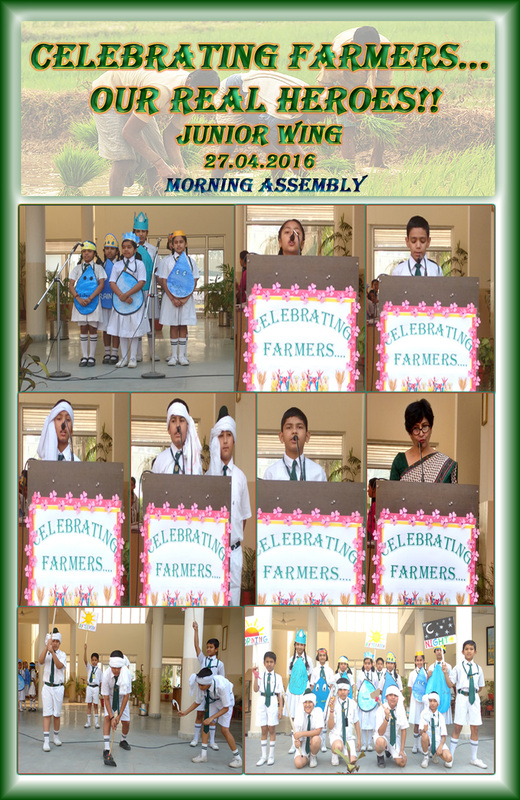 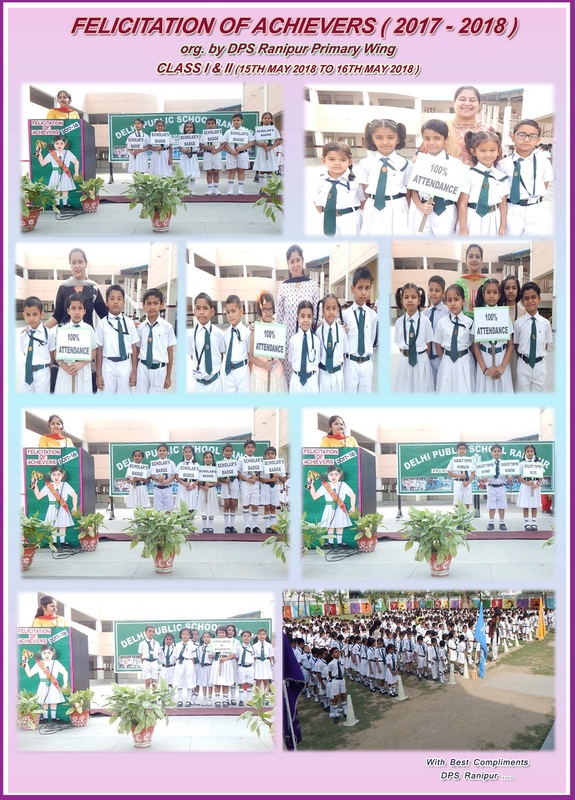 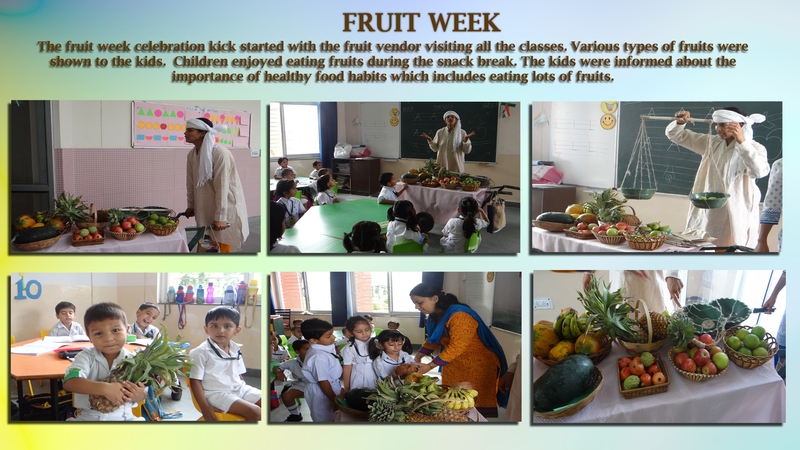 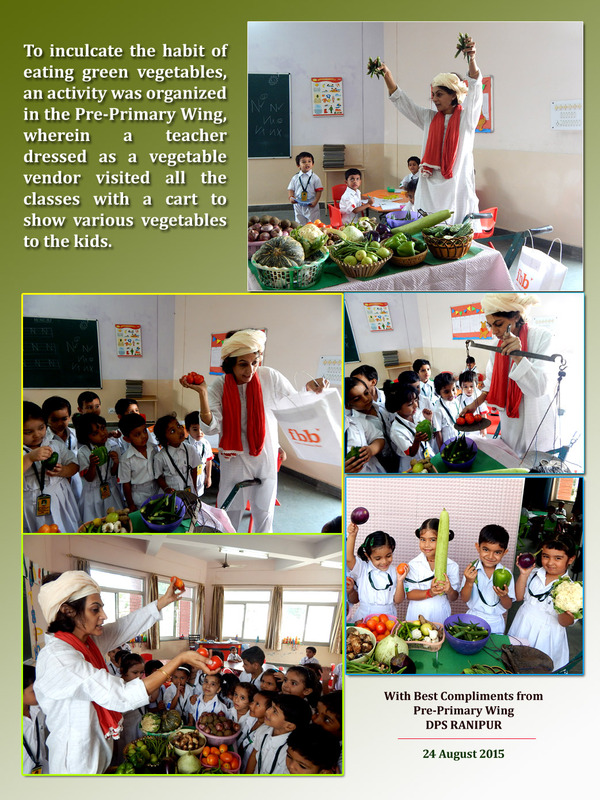 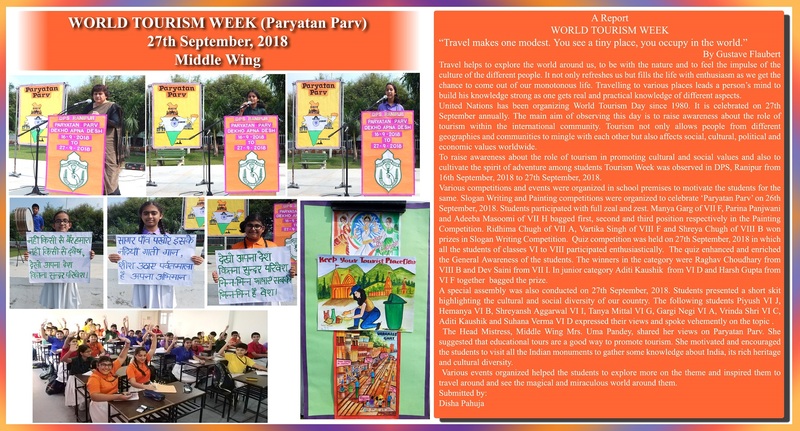 To inculcate the habit of eating green vegetables, an activity was organized in the Pre-Primary Wing, wherein a teacher dressed as a vegetable vendor visited all the classes with a cart to show various vegetables to the kids. 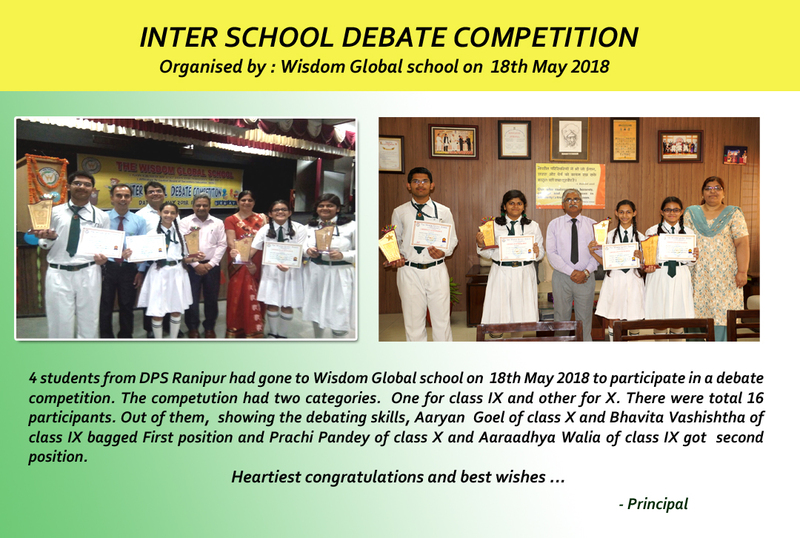 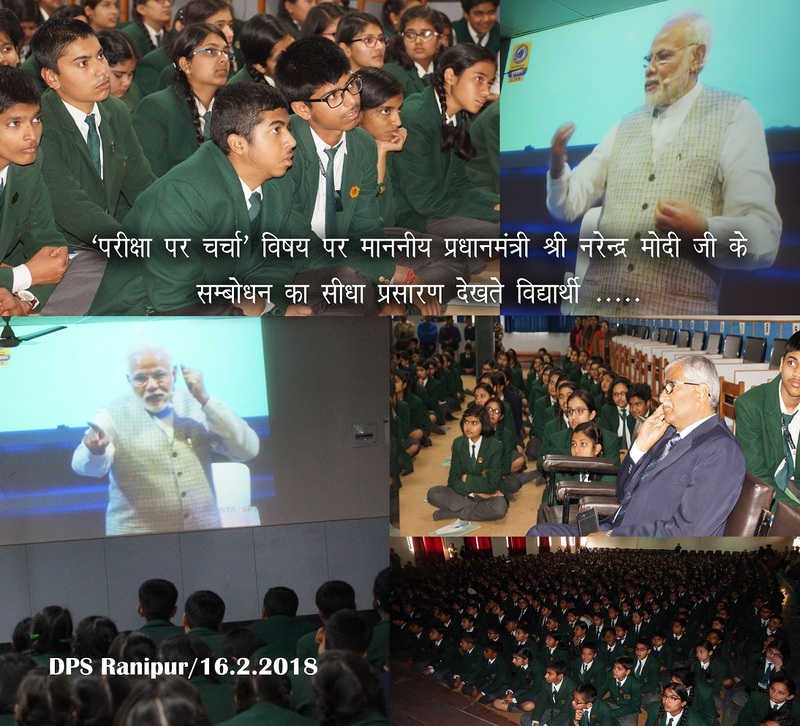 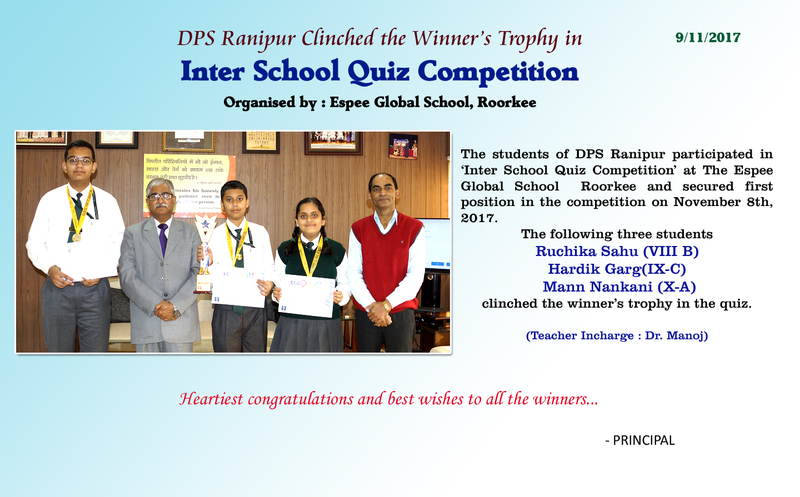 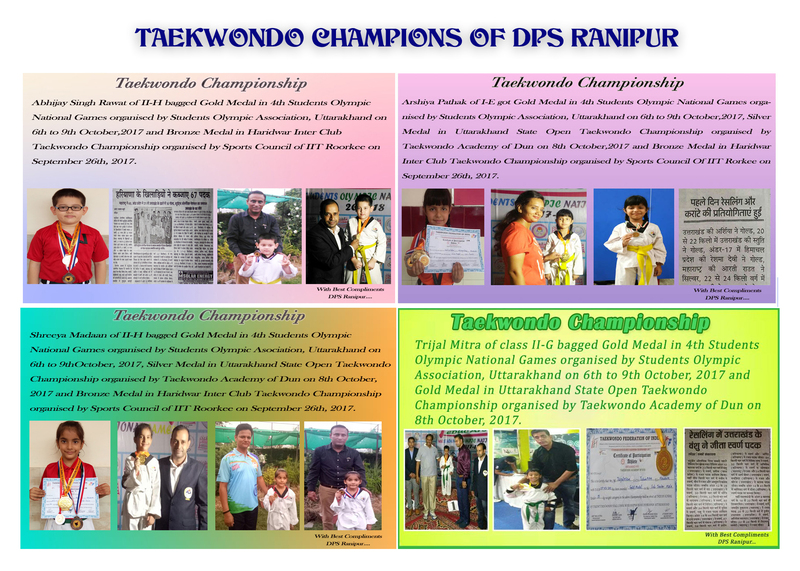 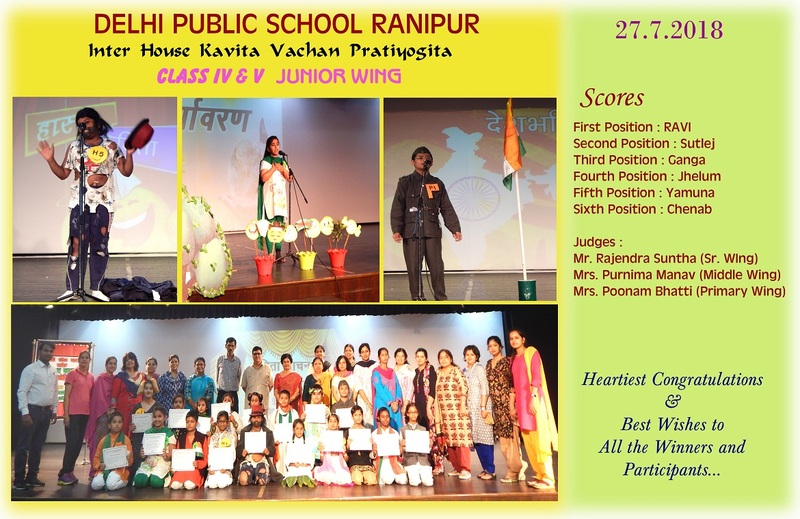 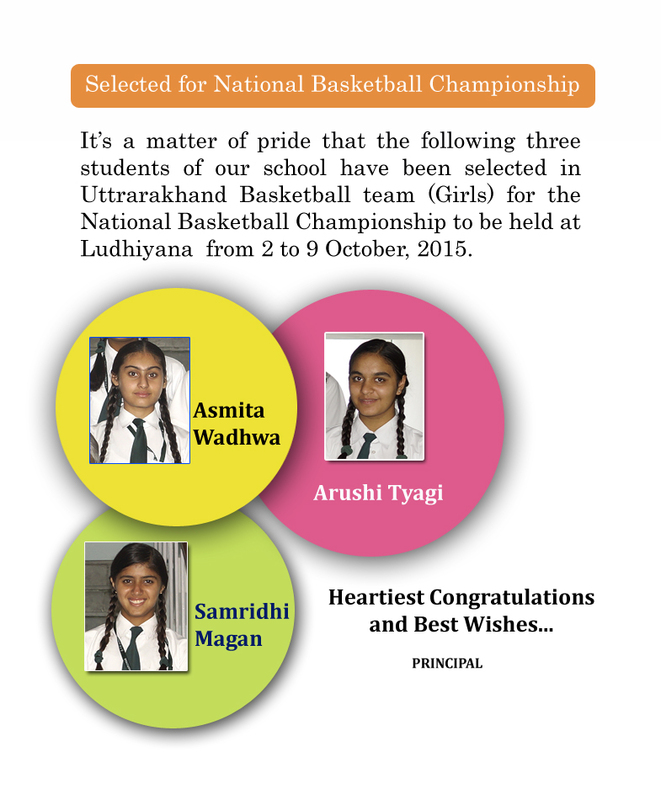 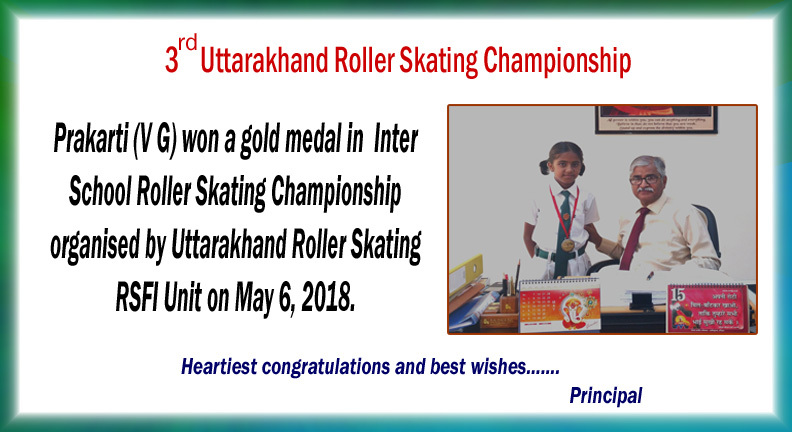 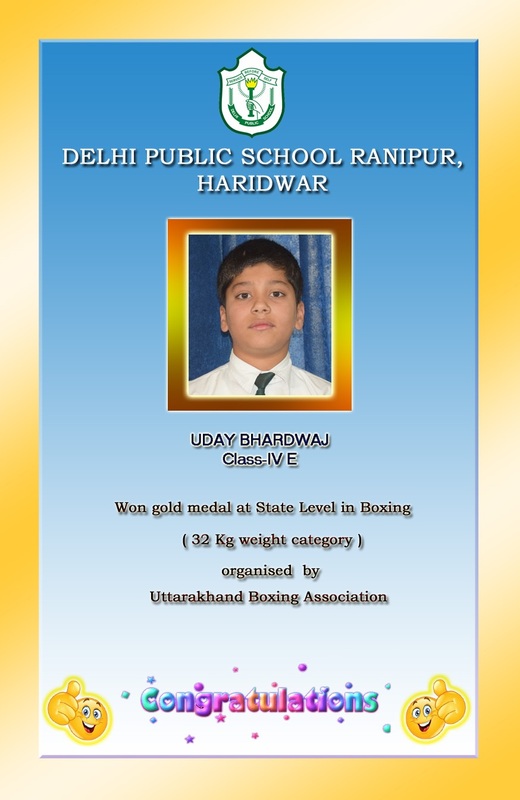 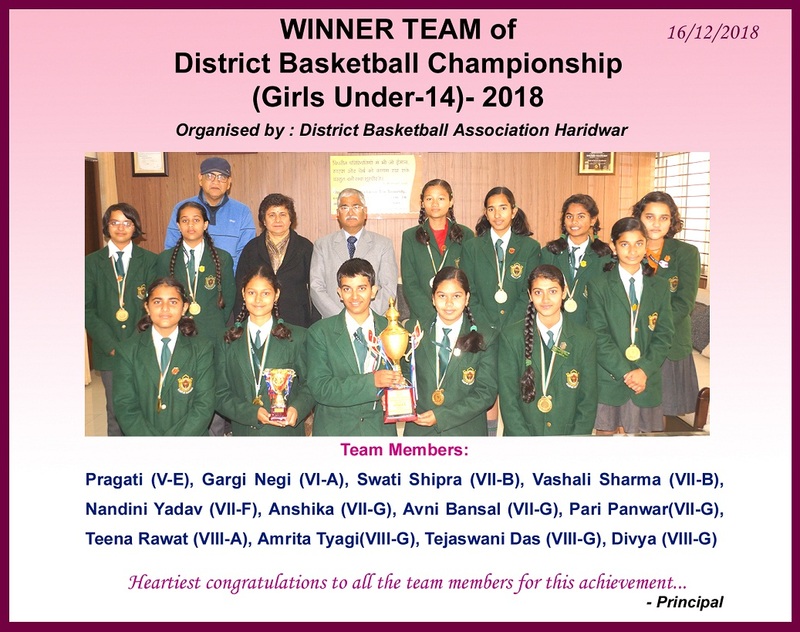 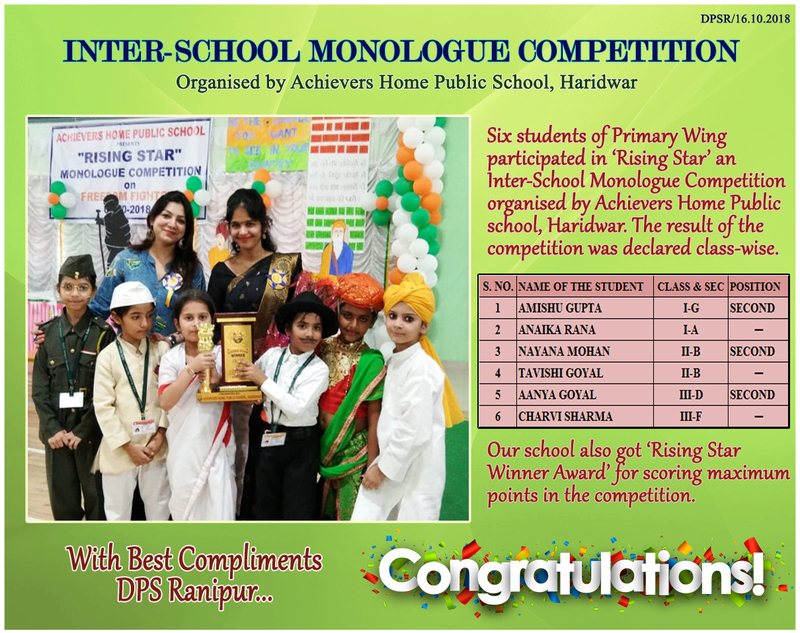 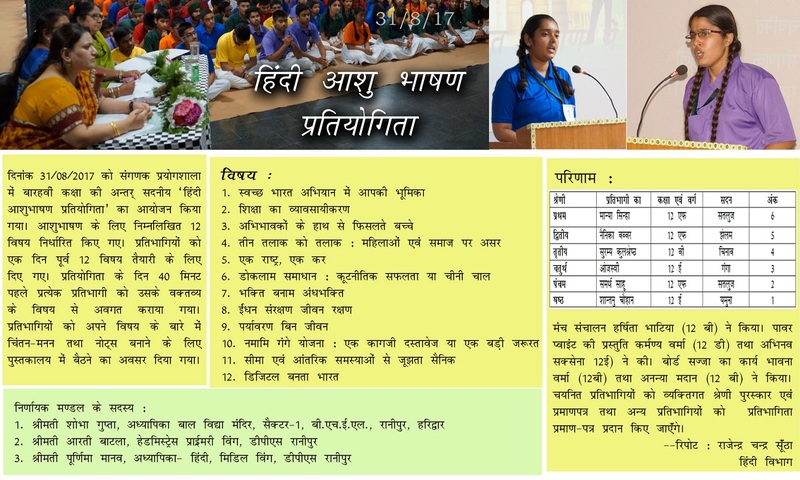 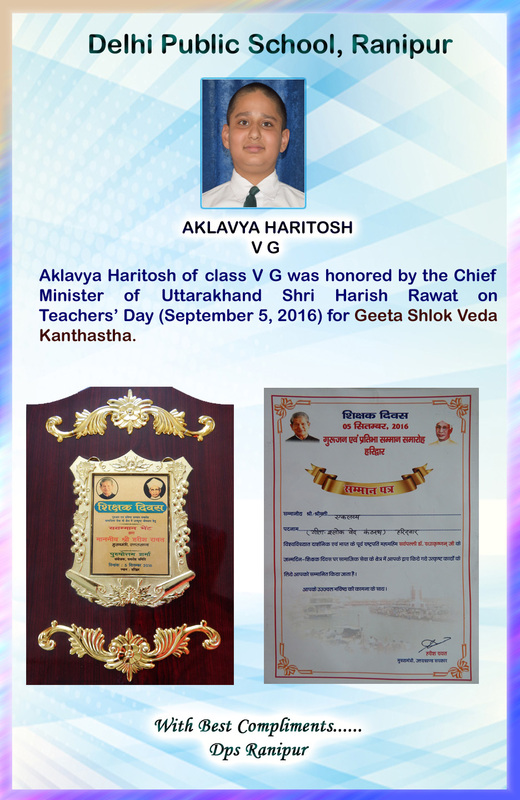 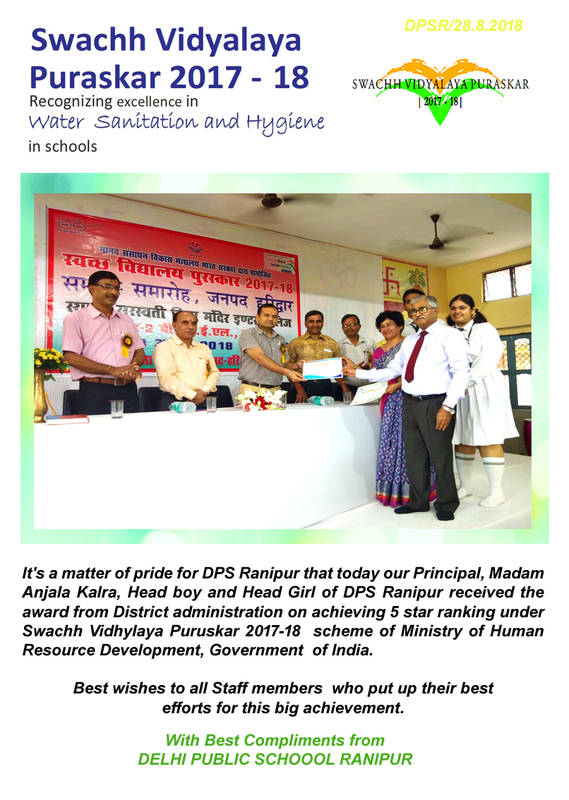 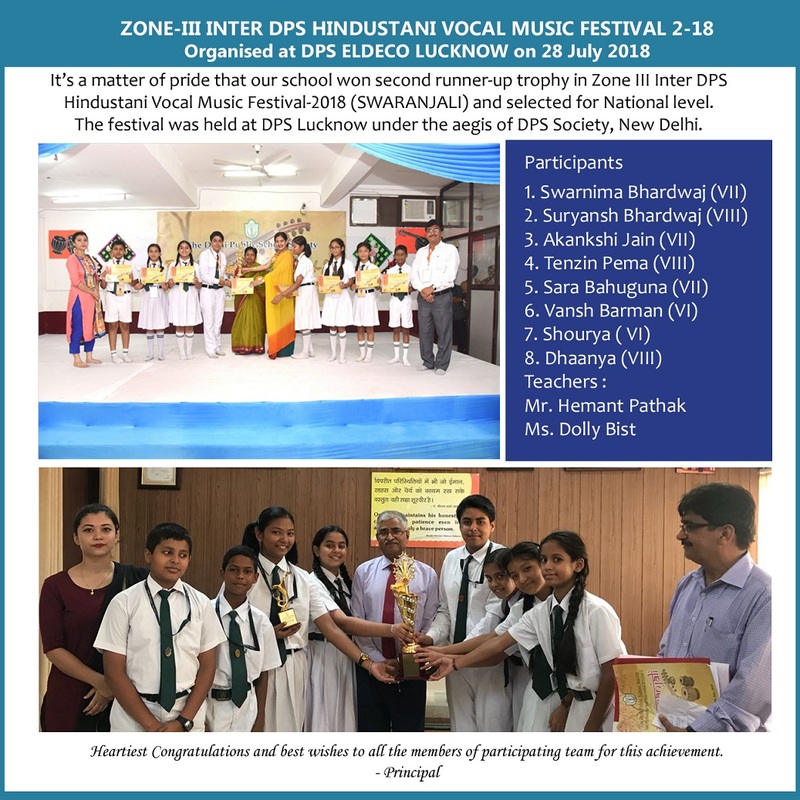 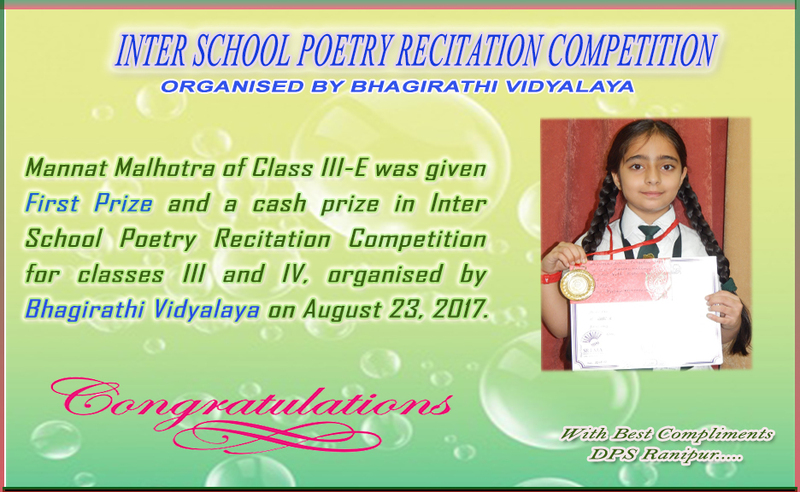 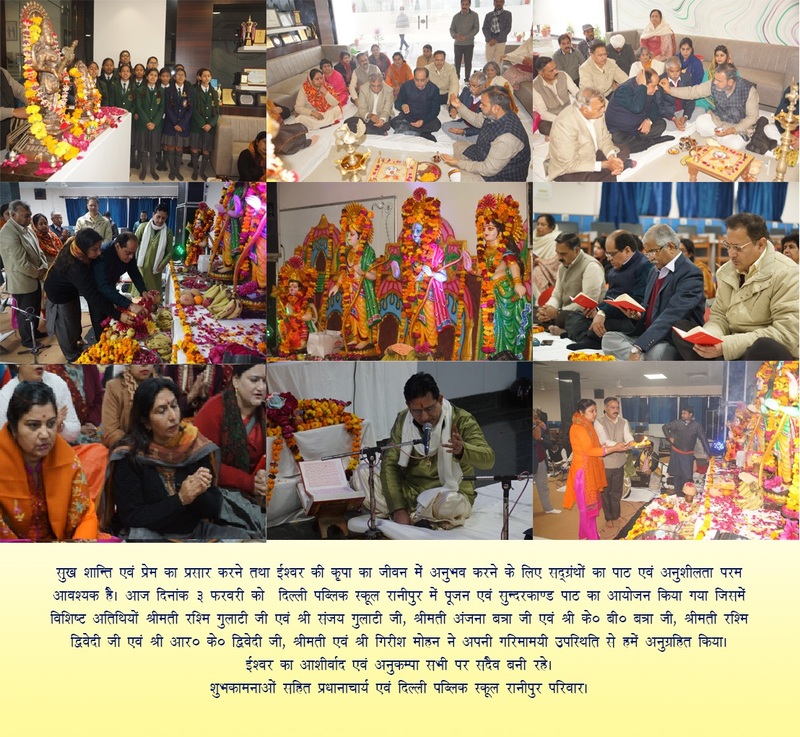 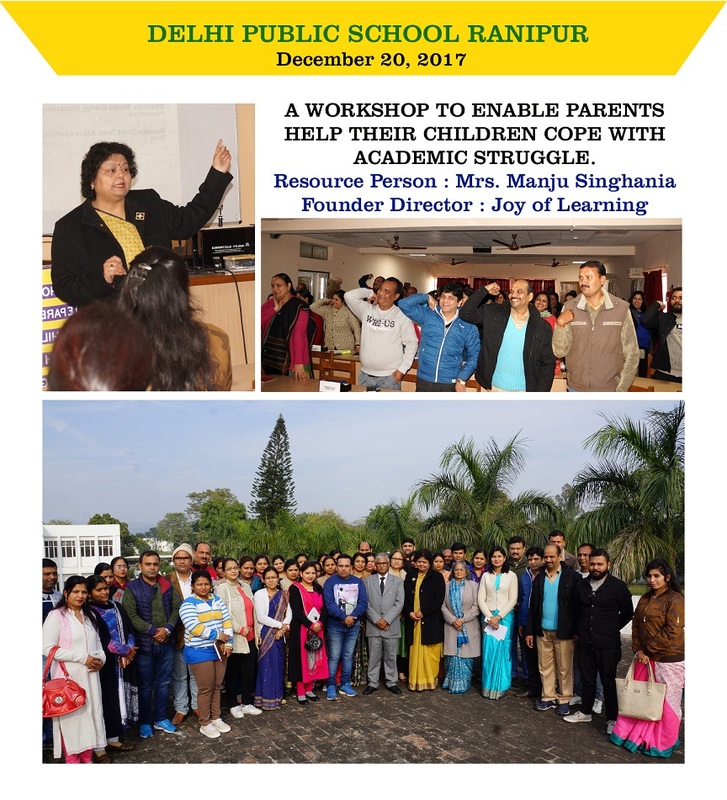 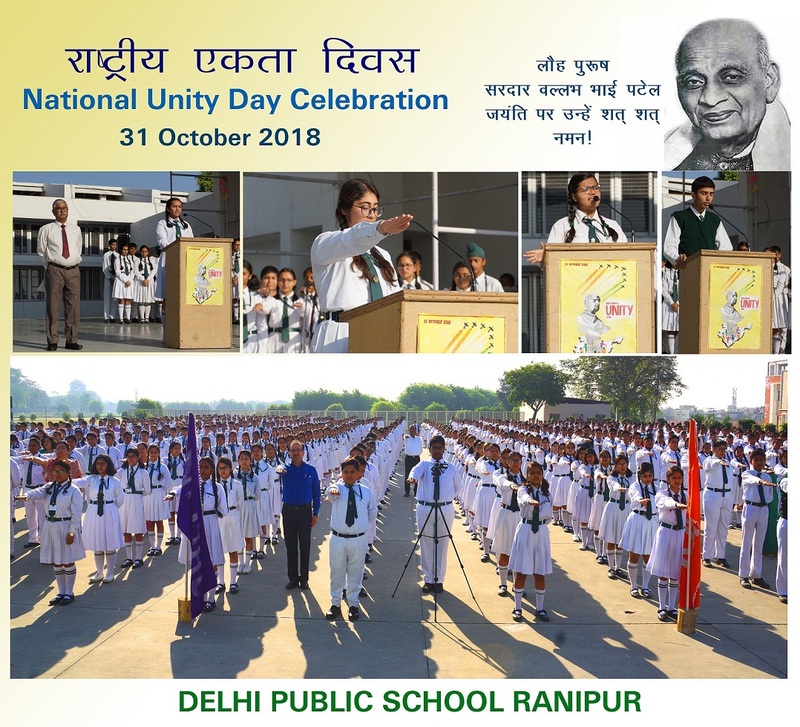 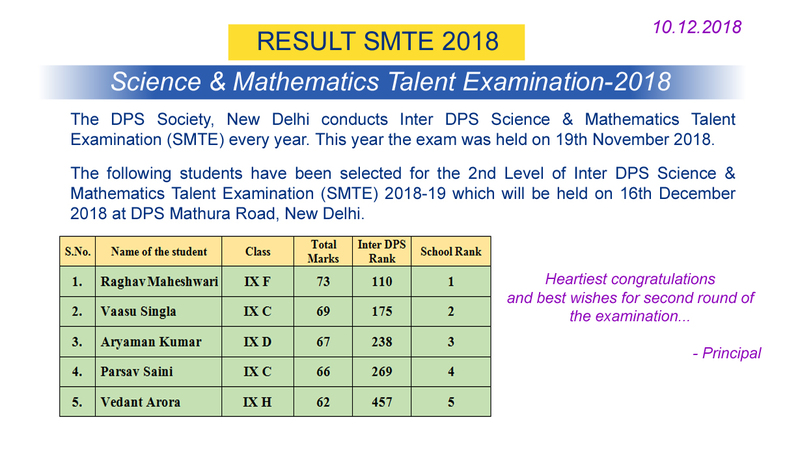 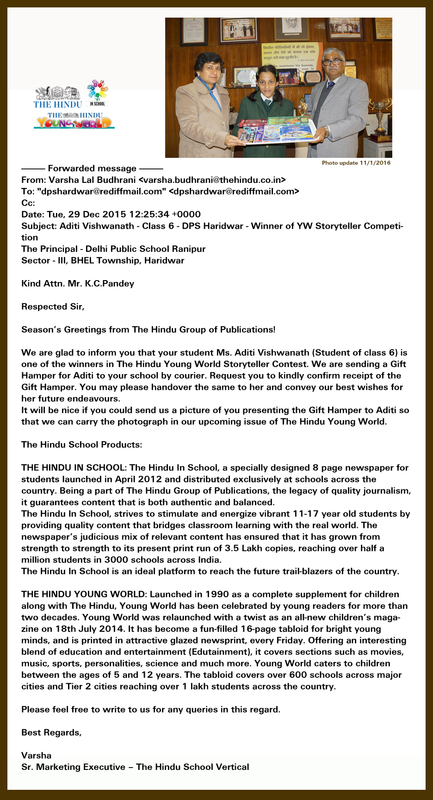 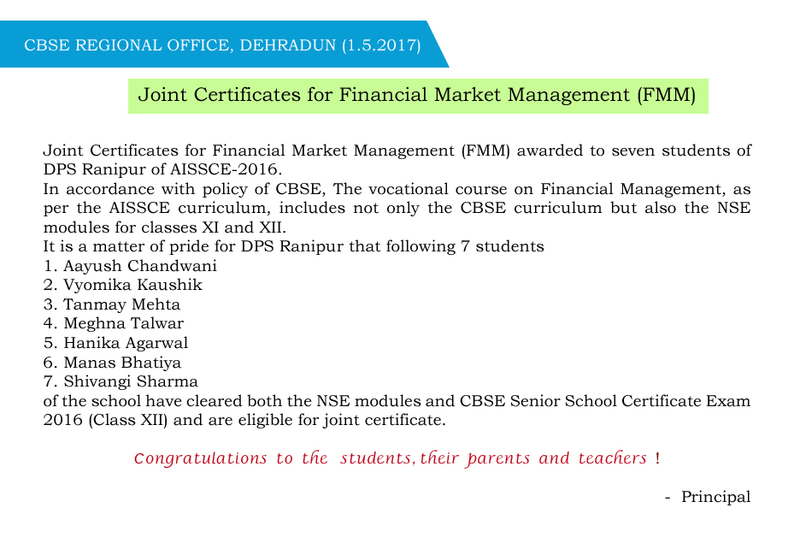 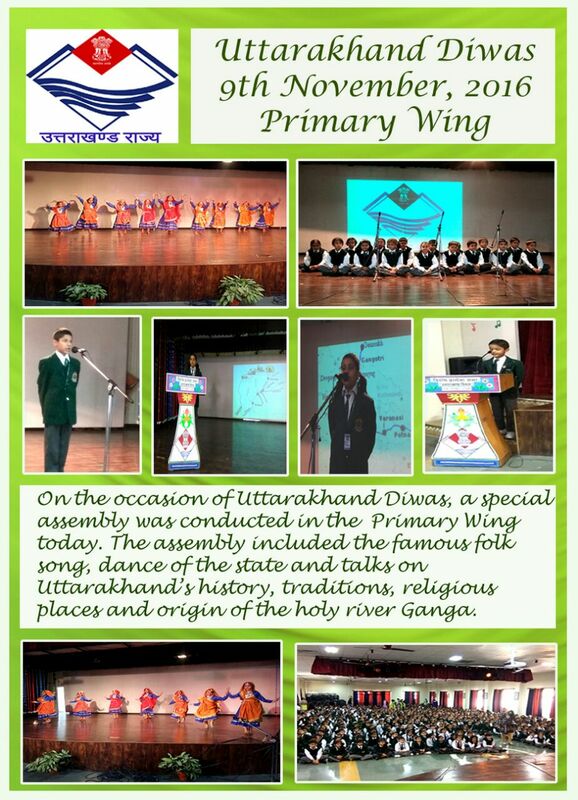 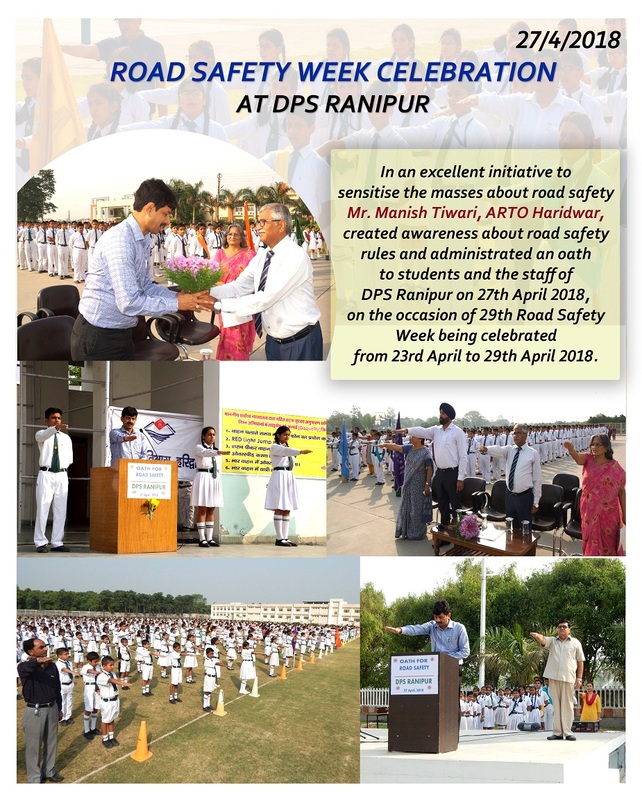 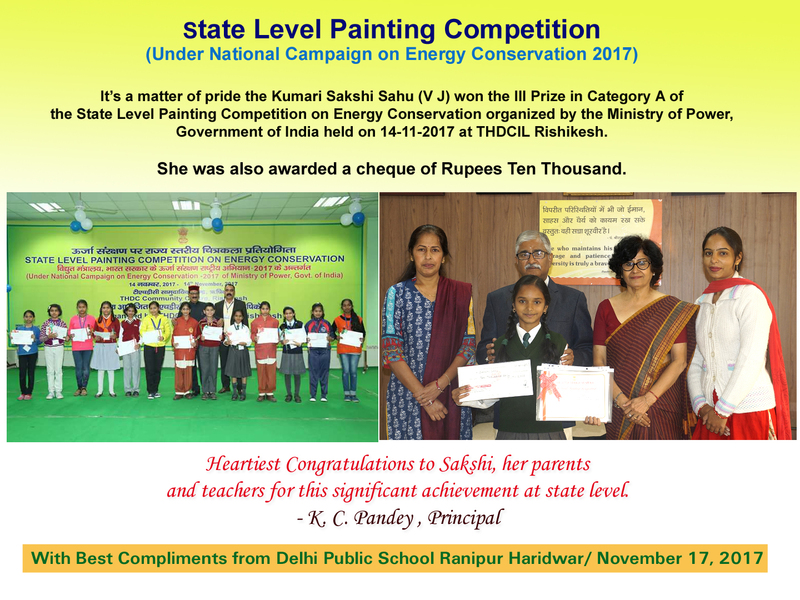 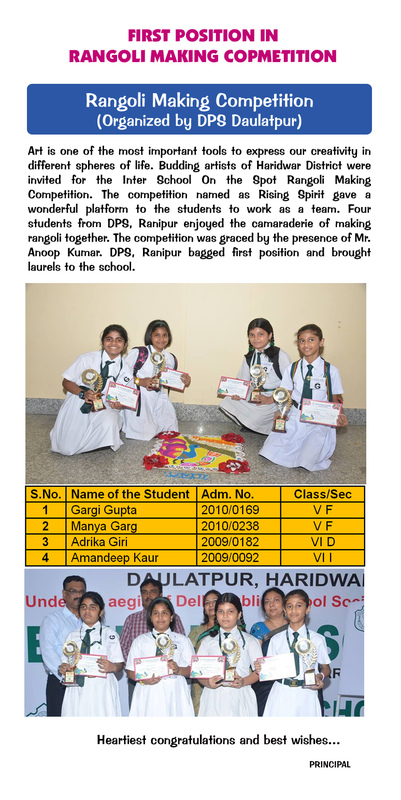 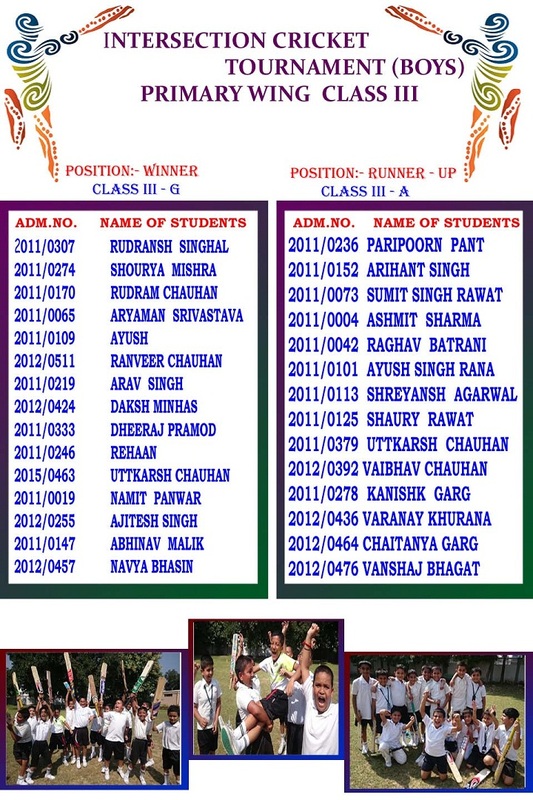 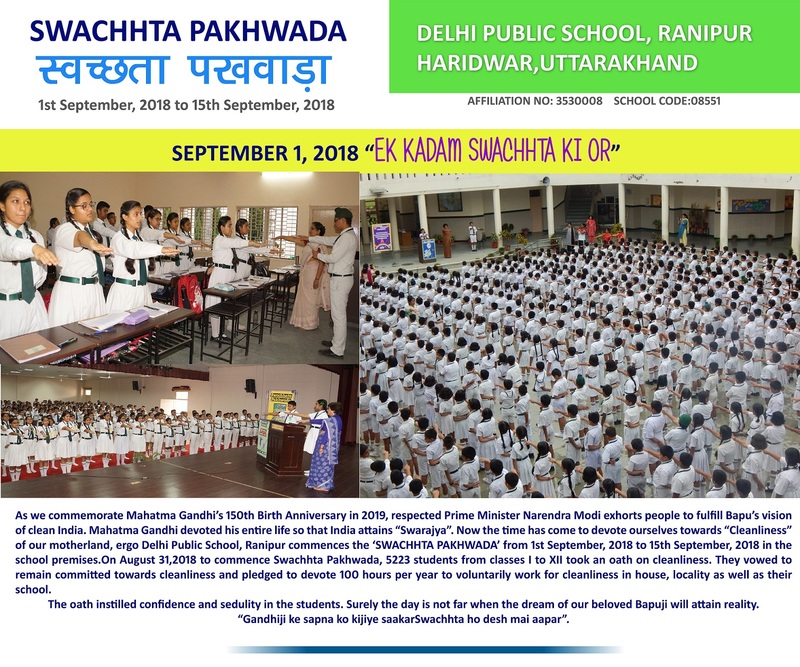 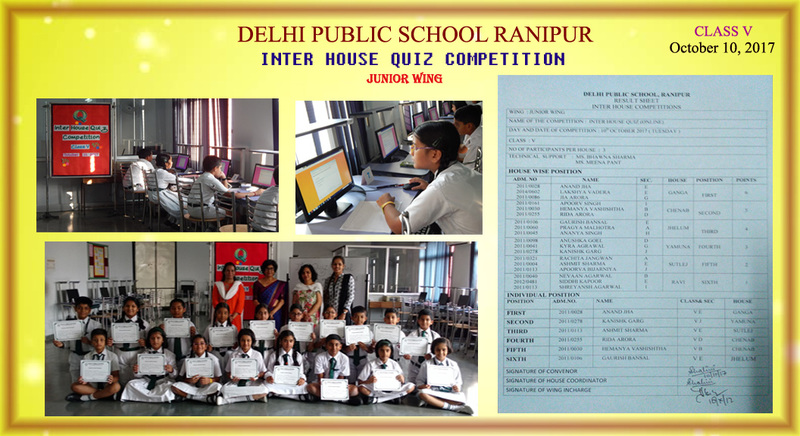 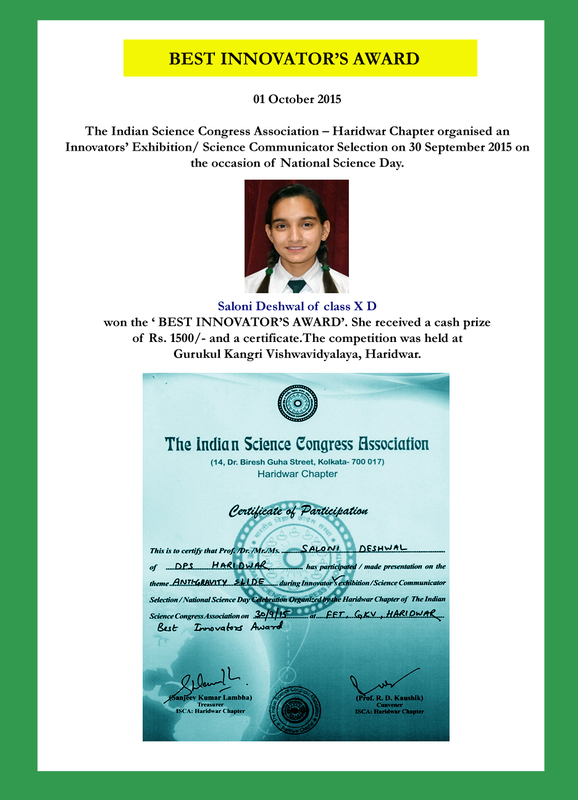 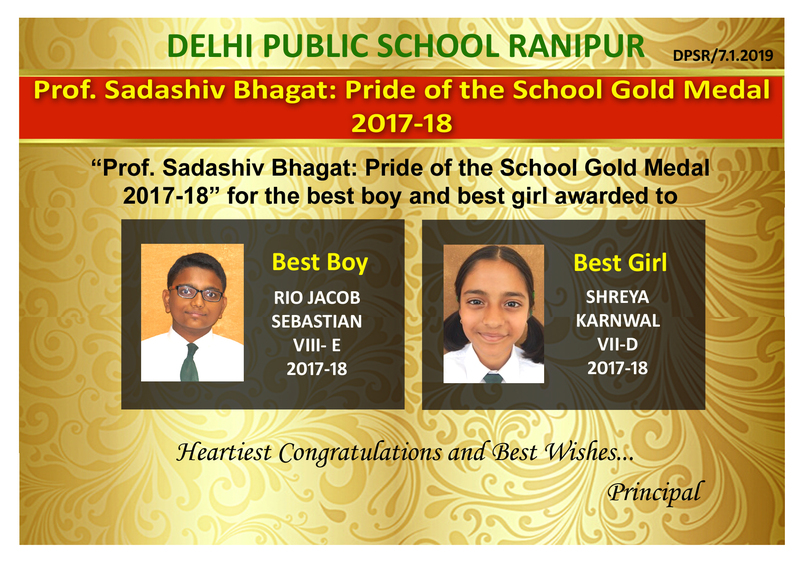 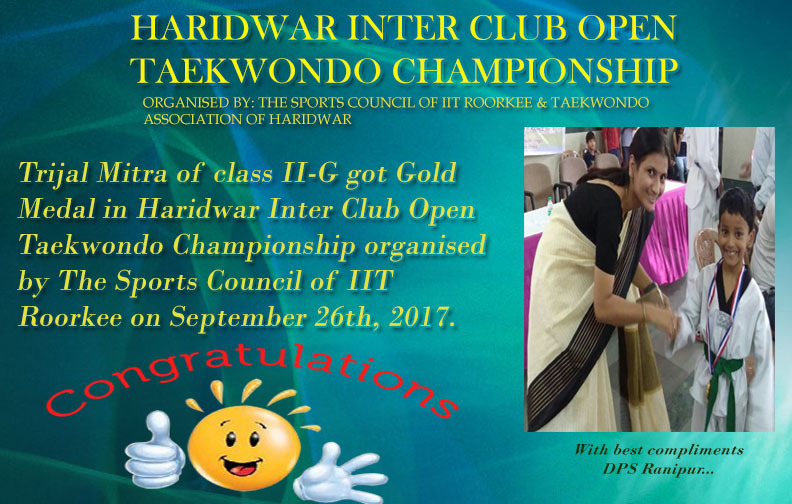 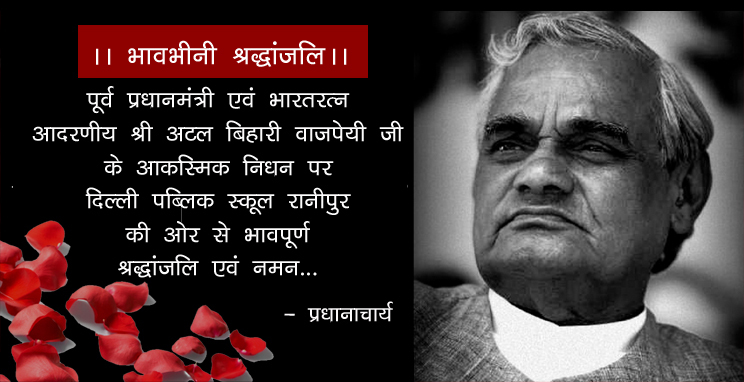 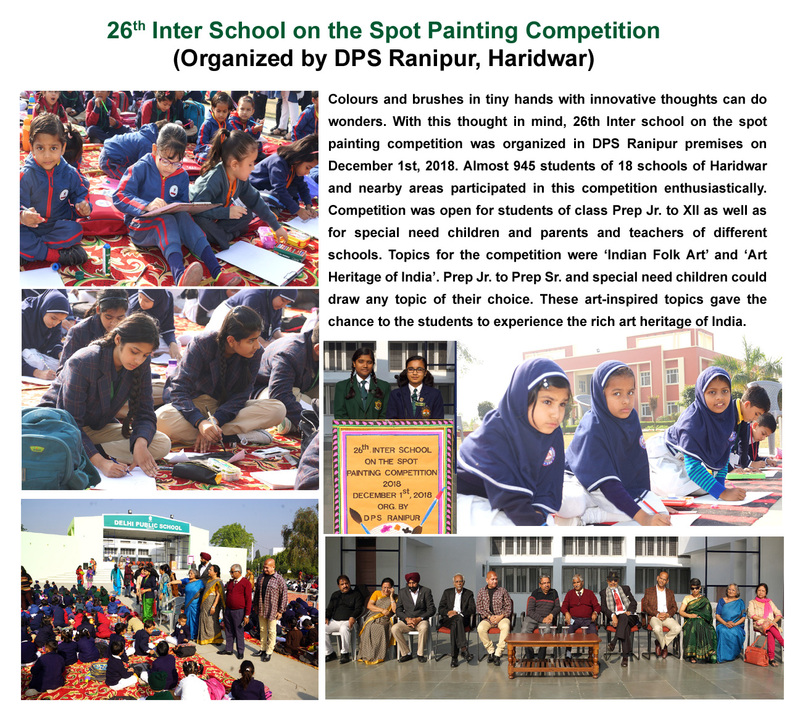 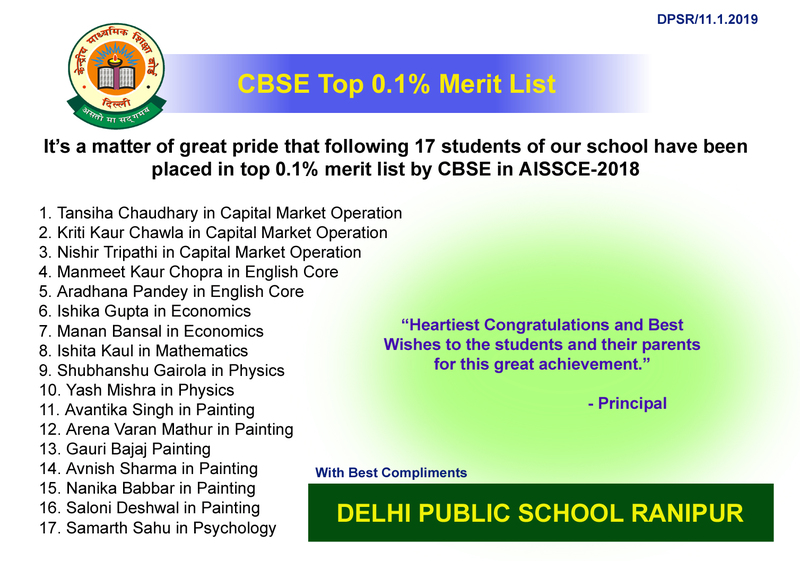 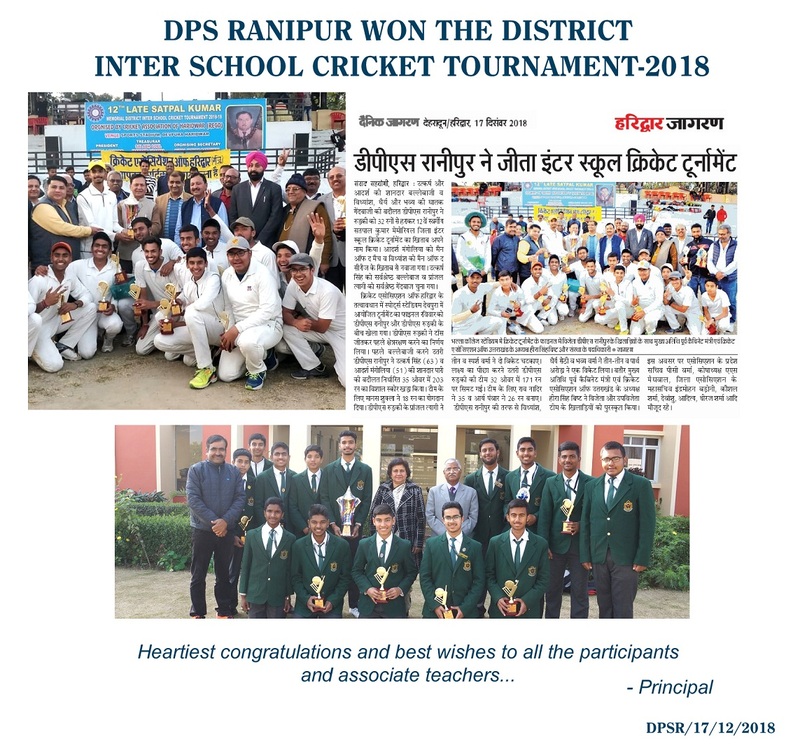 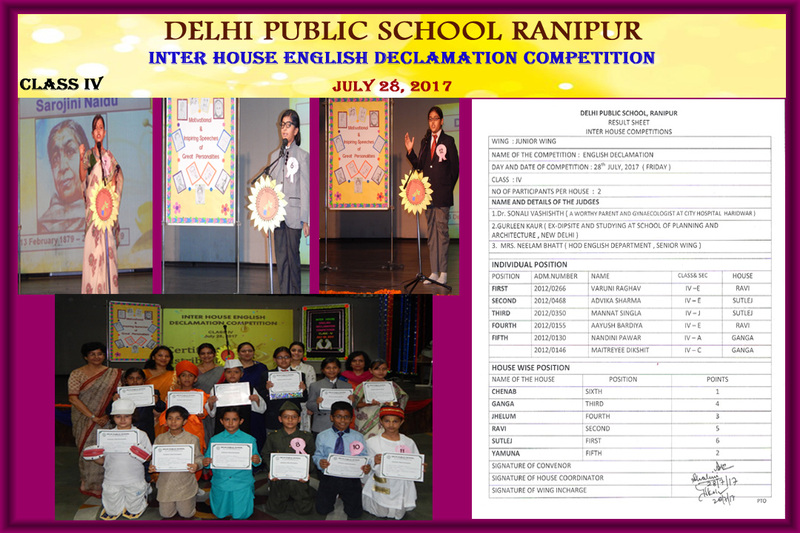 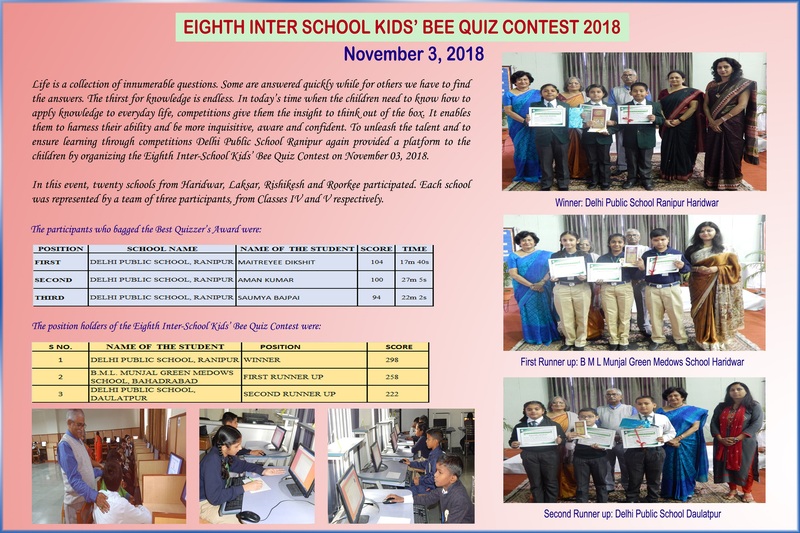 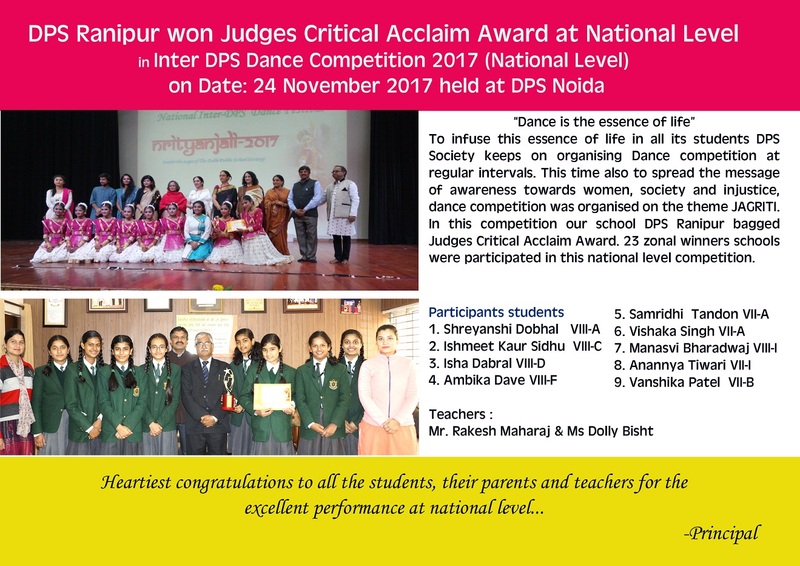 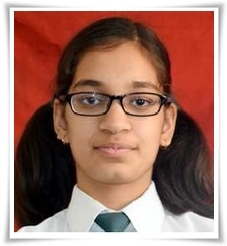 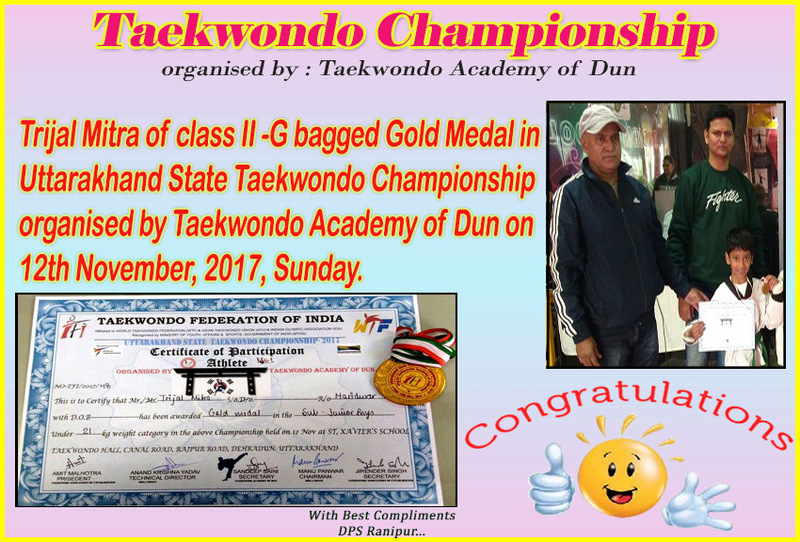 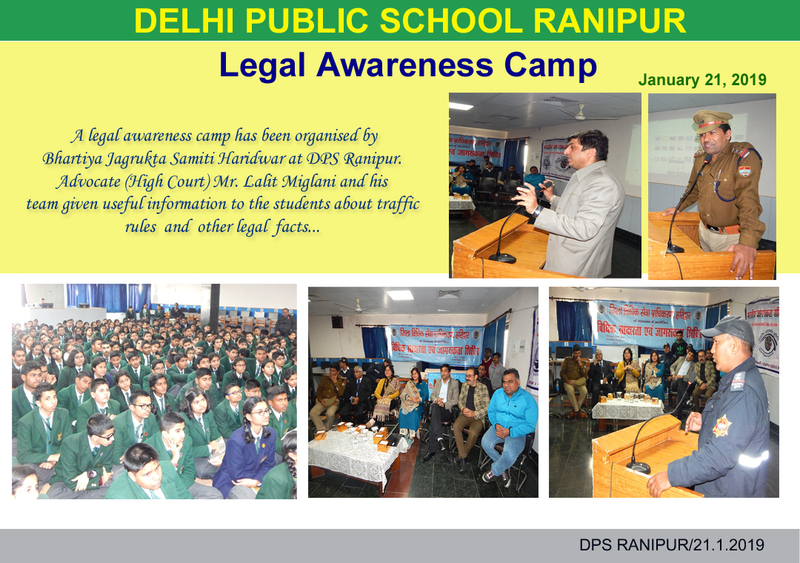 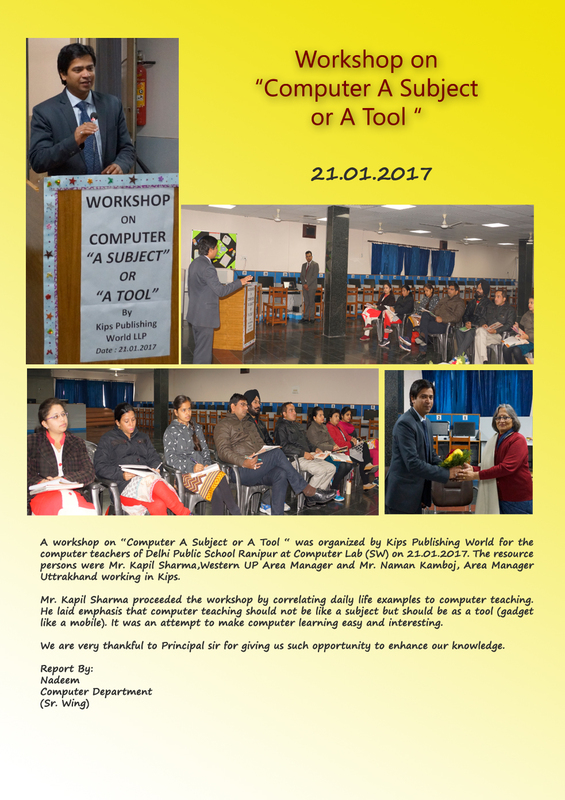 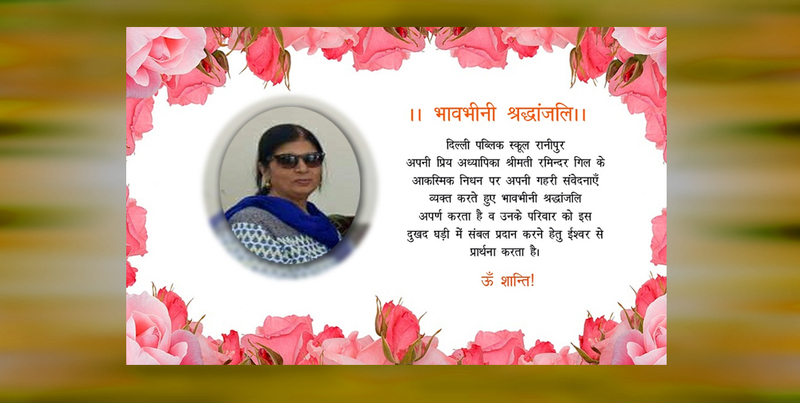 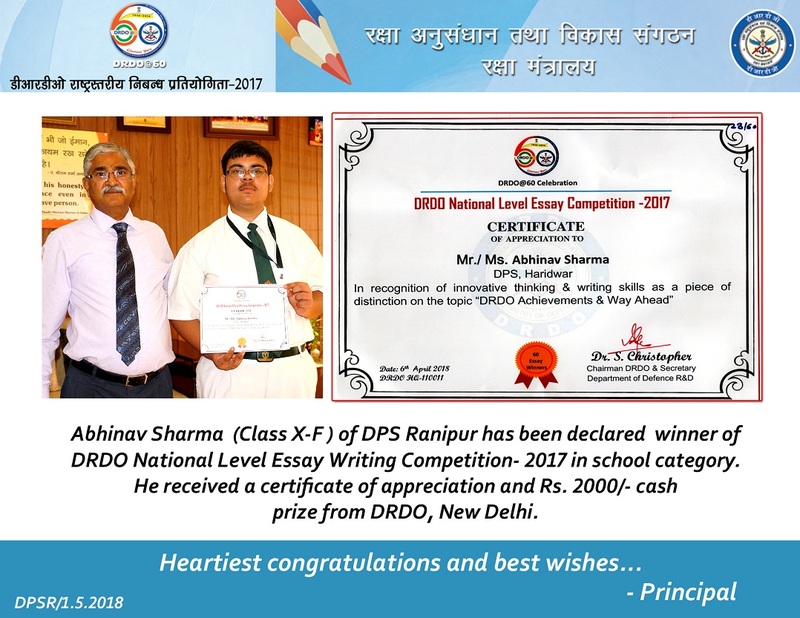 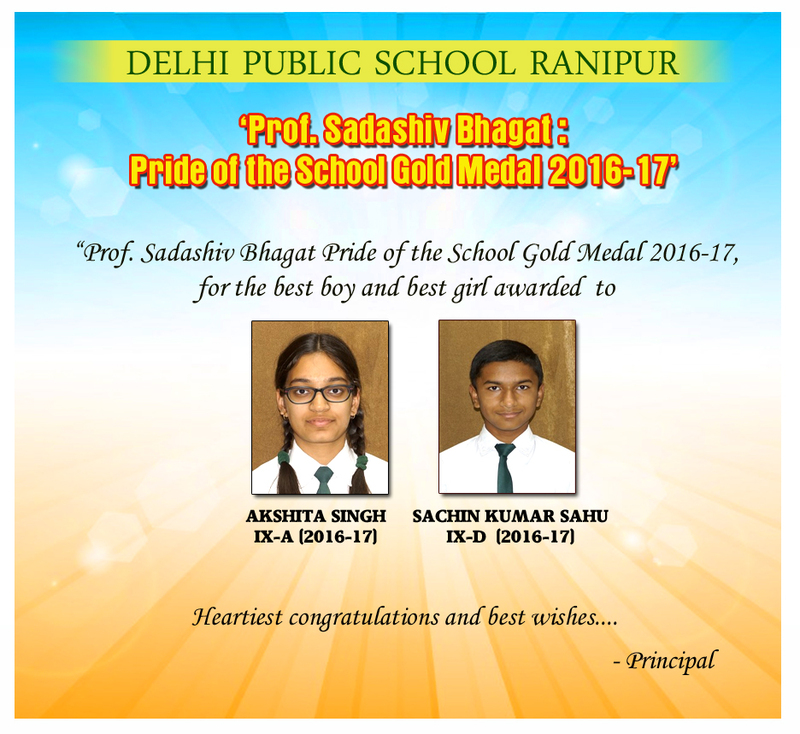 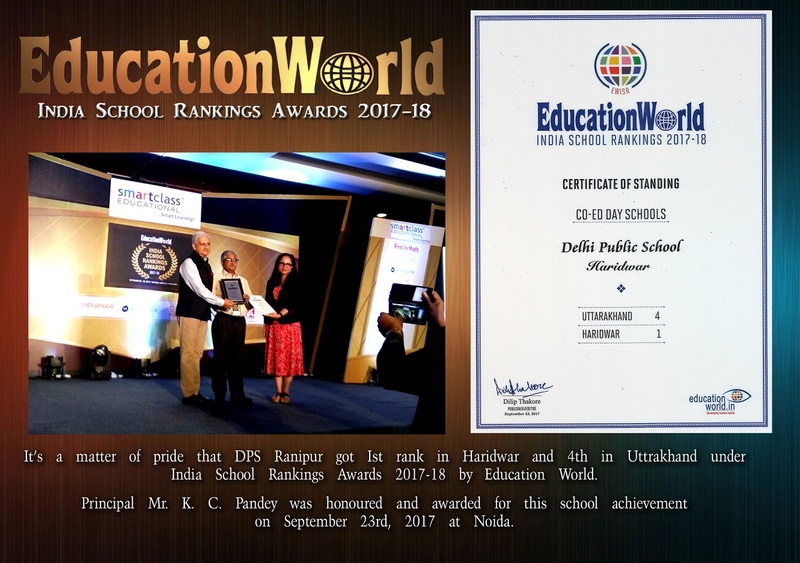 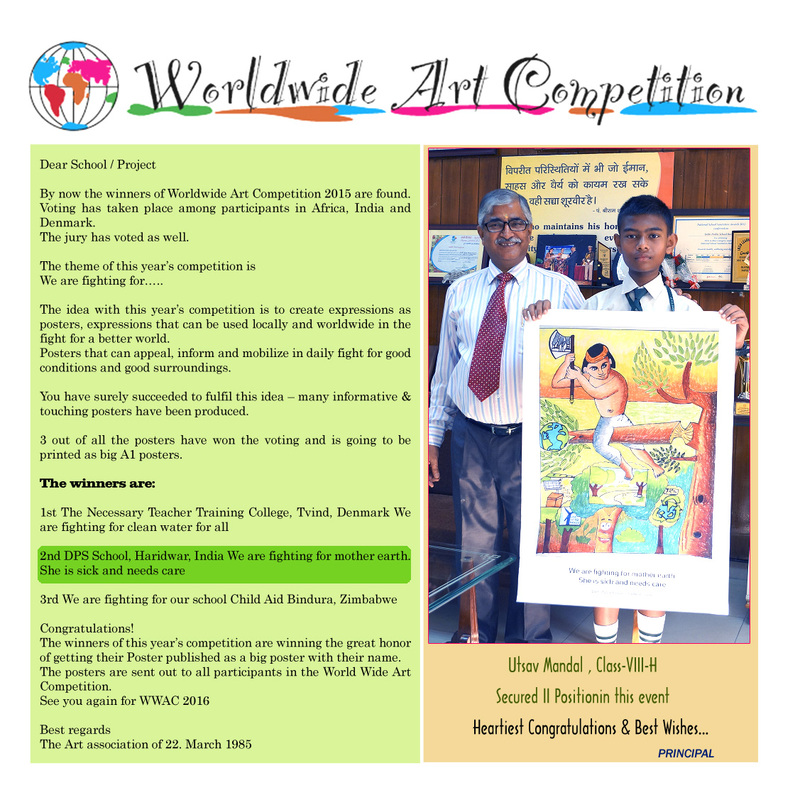 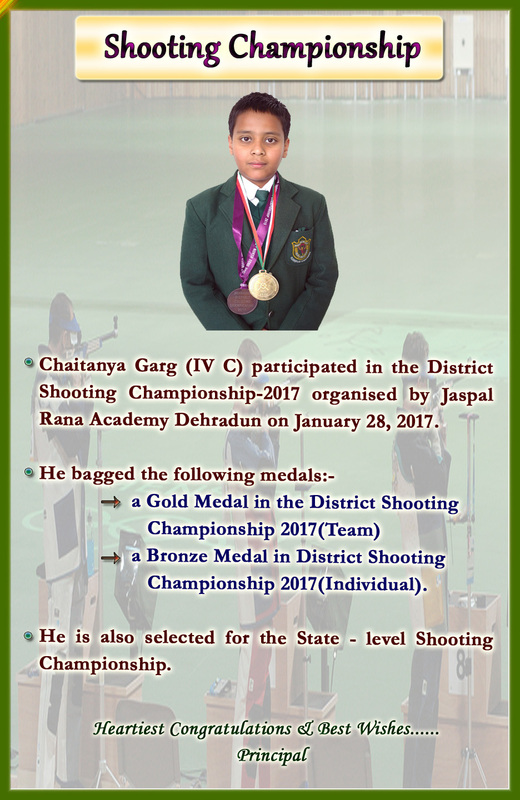 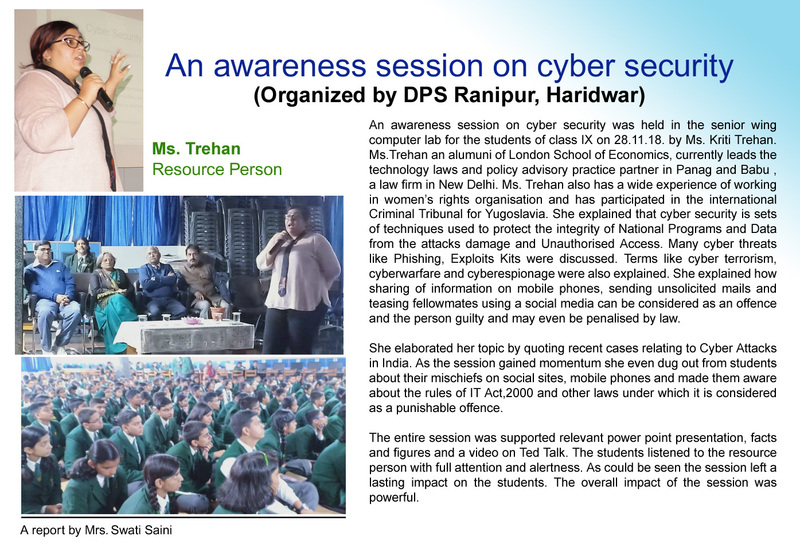 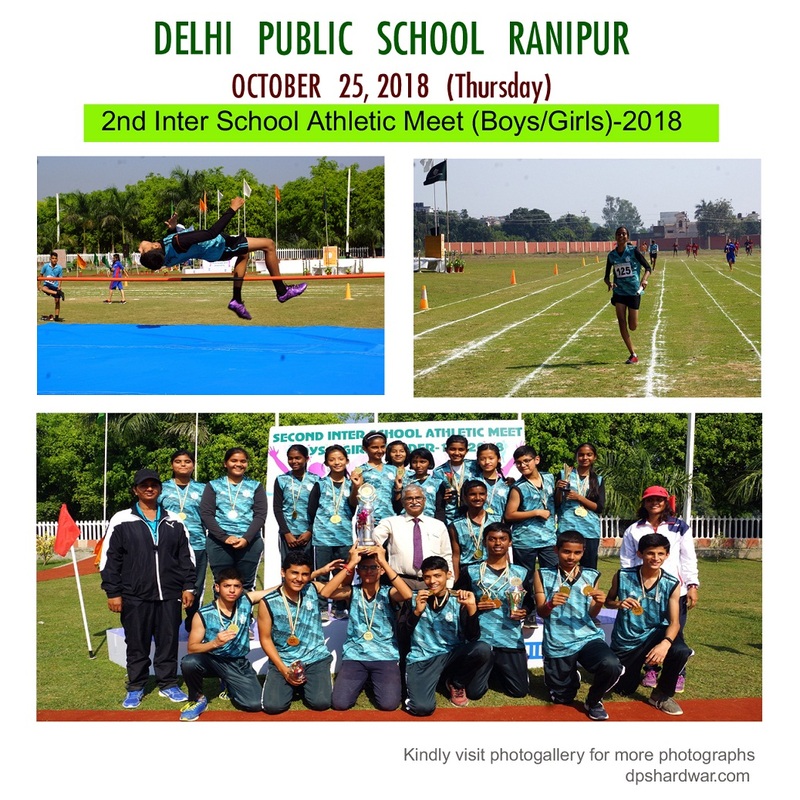 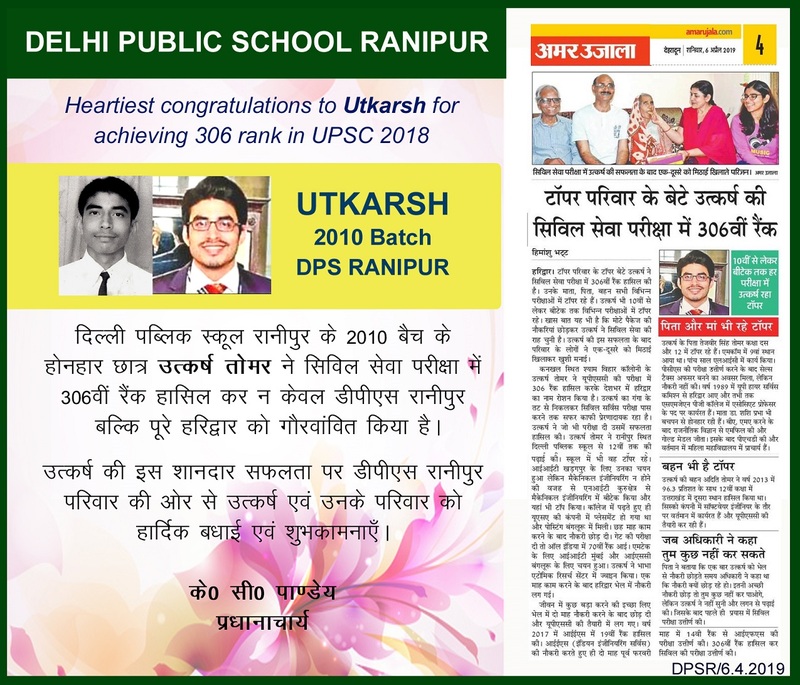 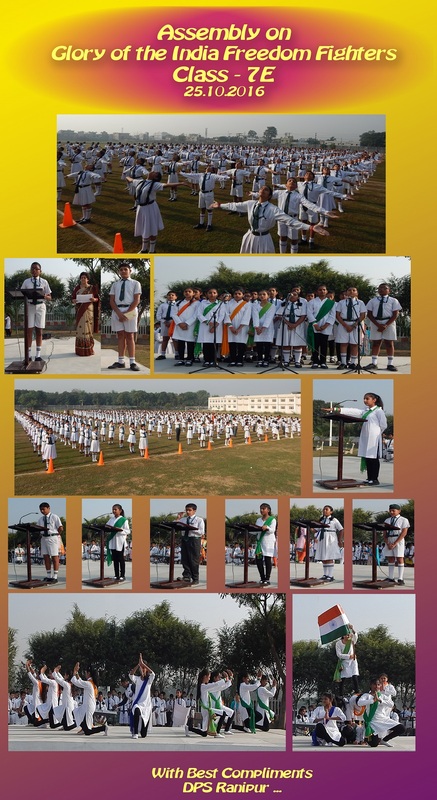 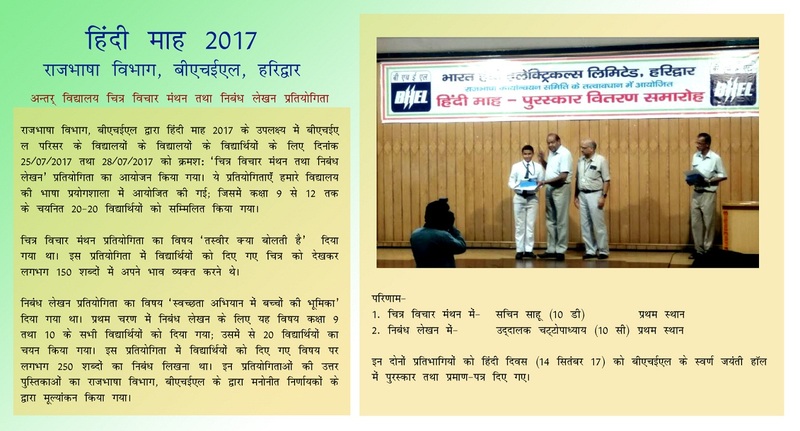 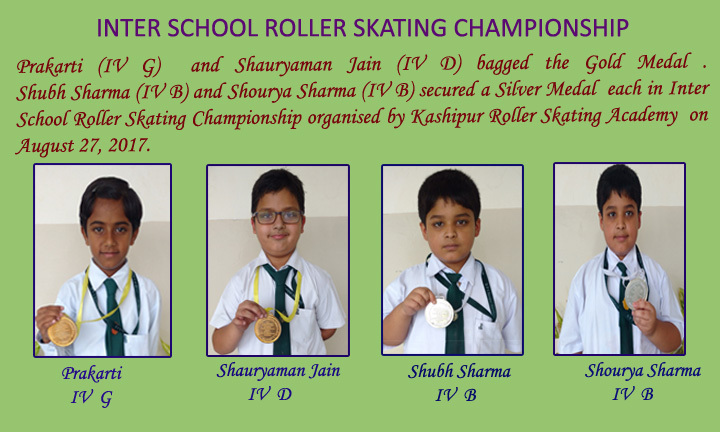 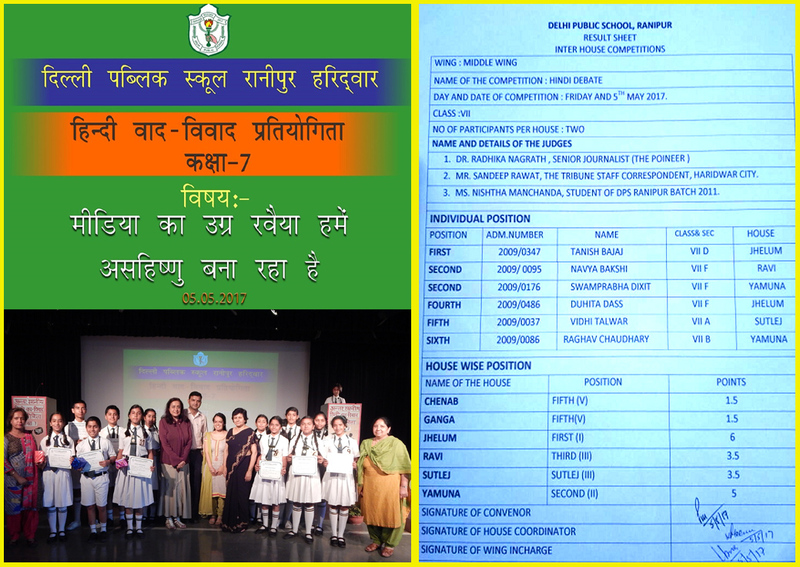 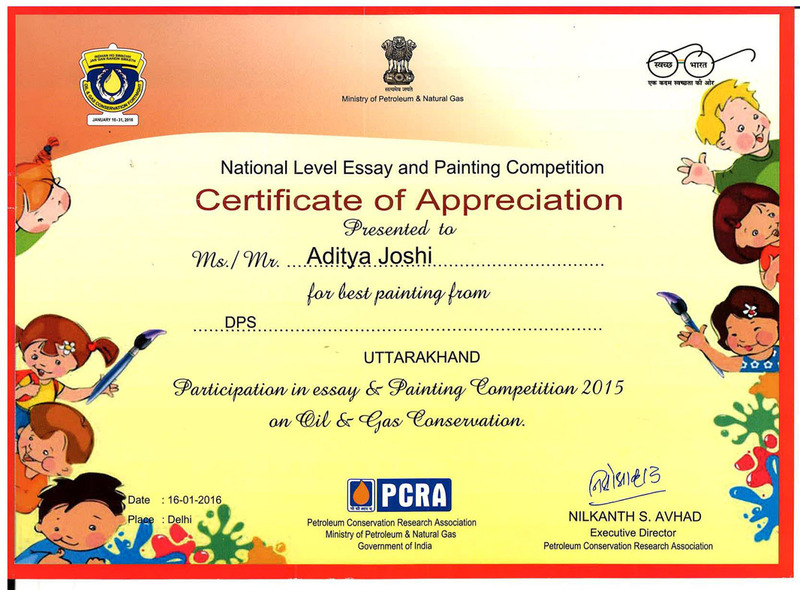 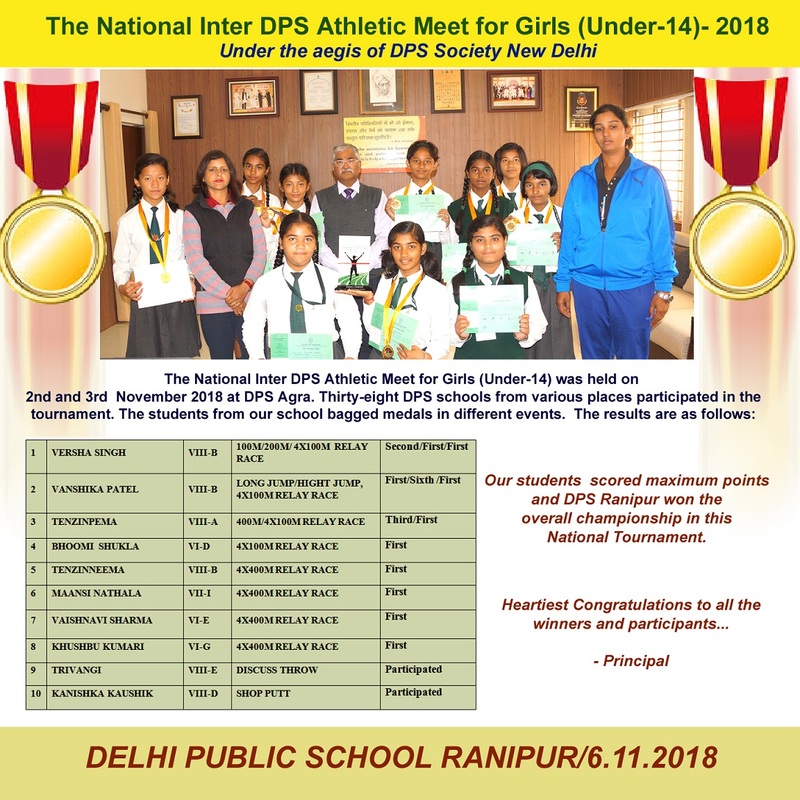 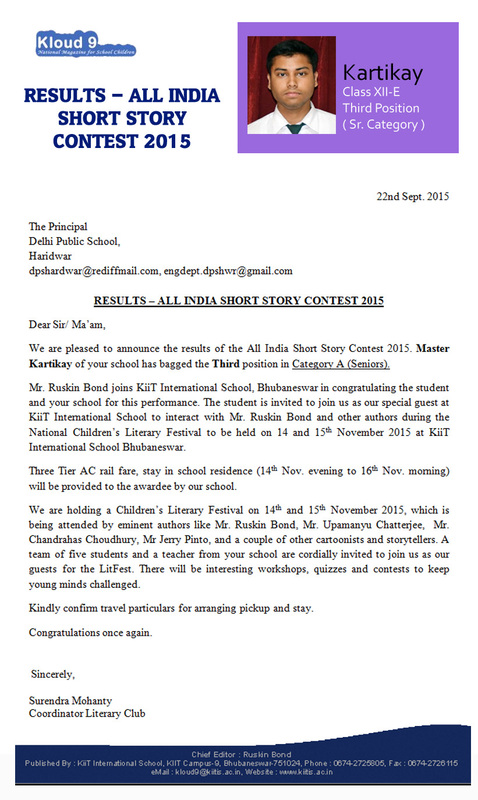 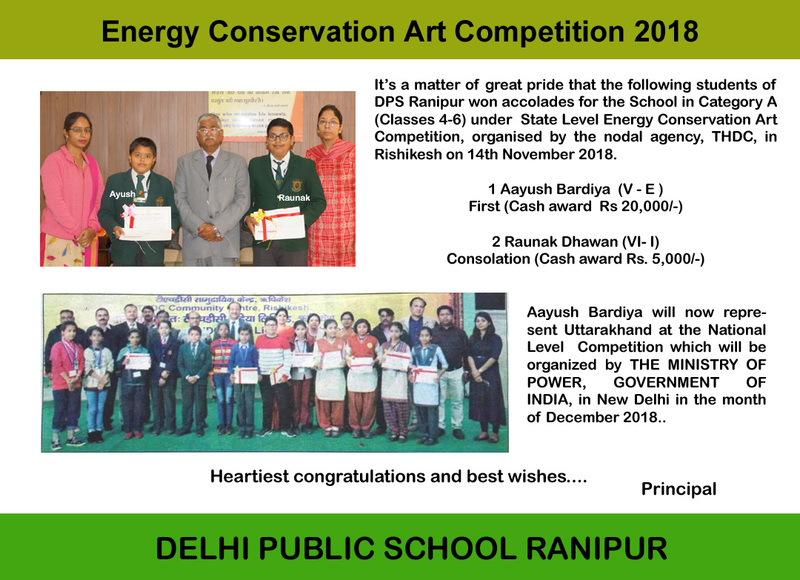 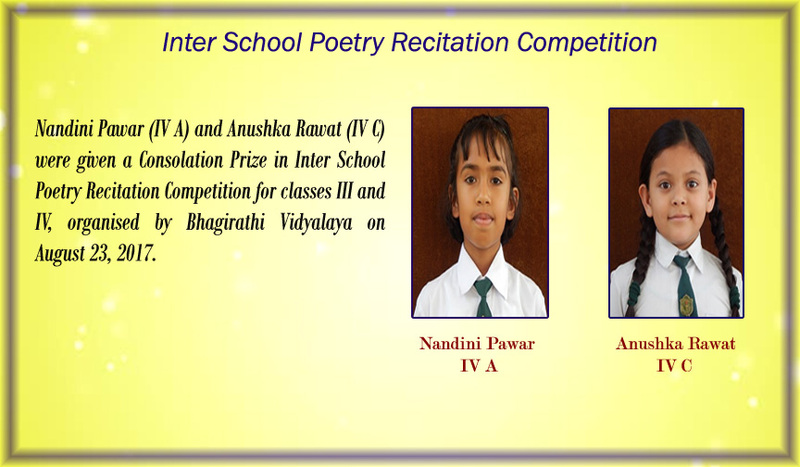 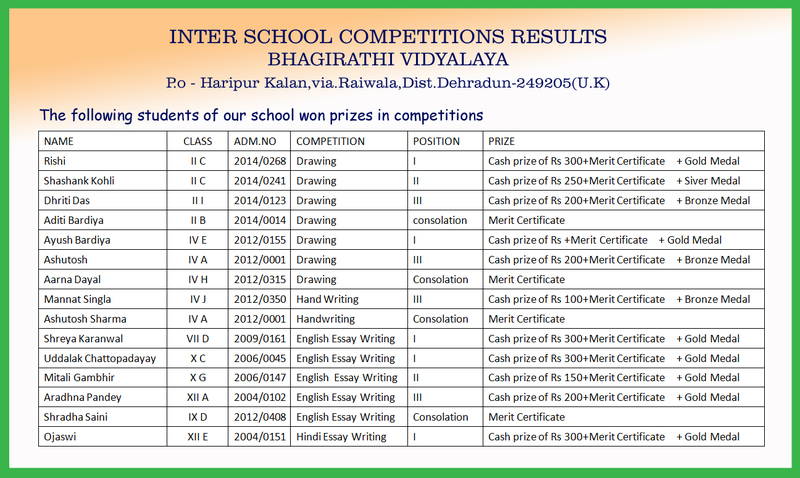 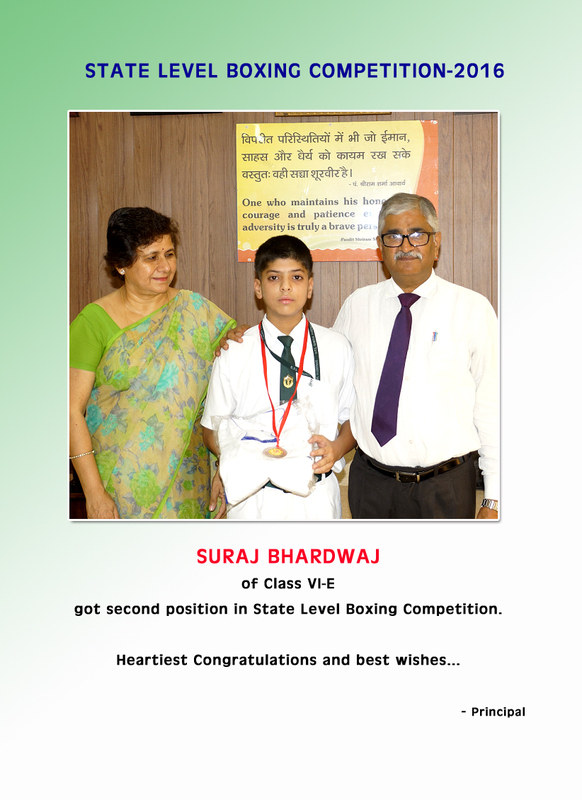 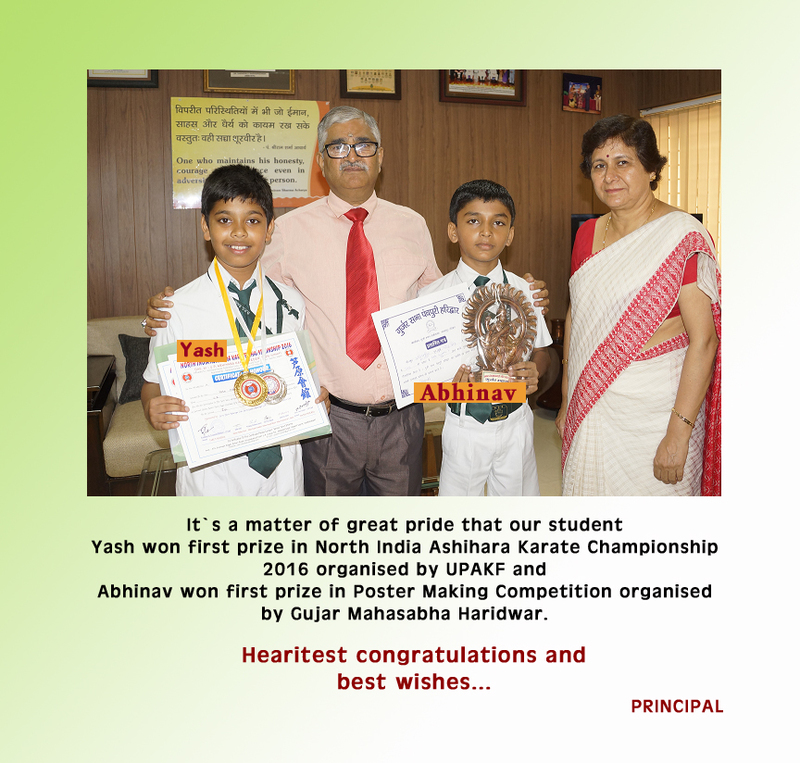 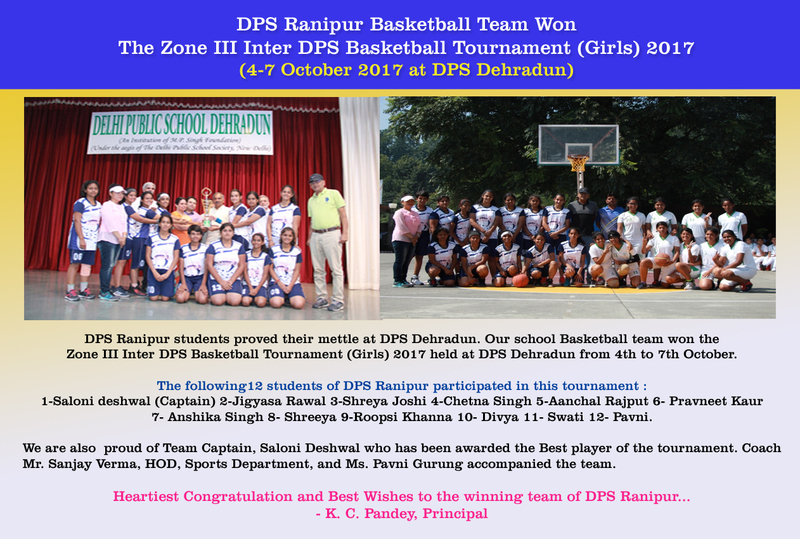 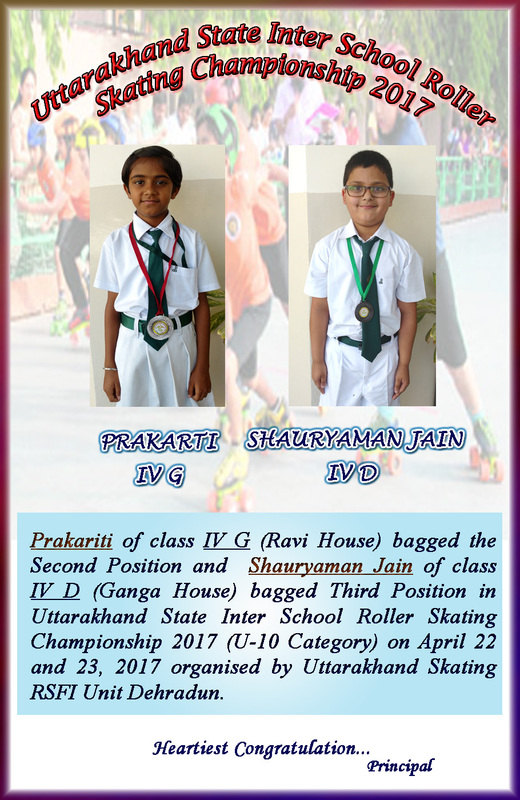 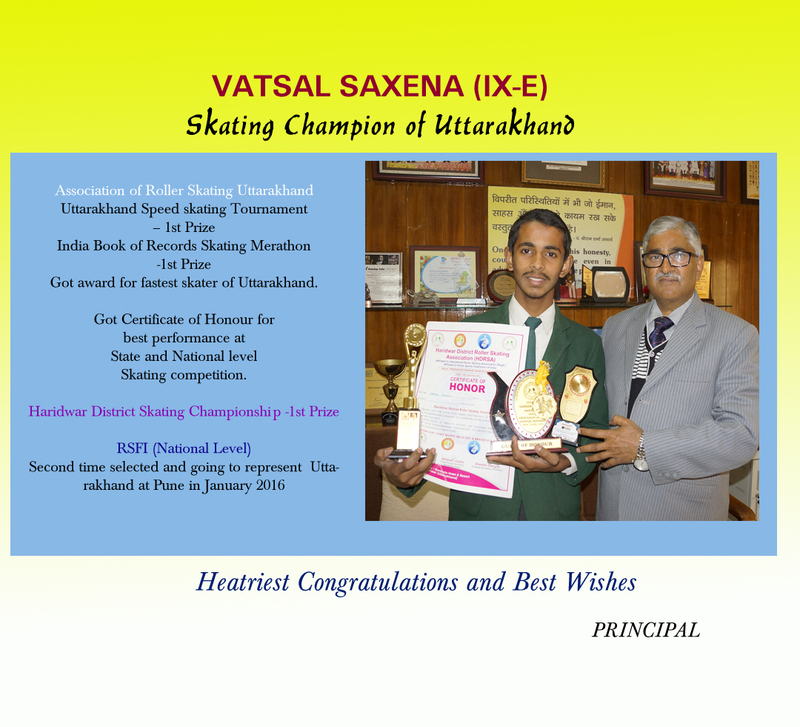 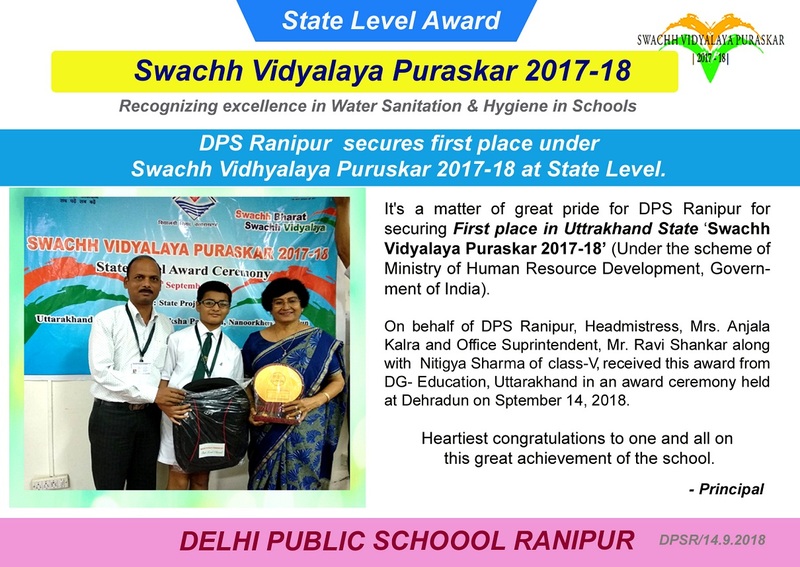 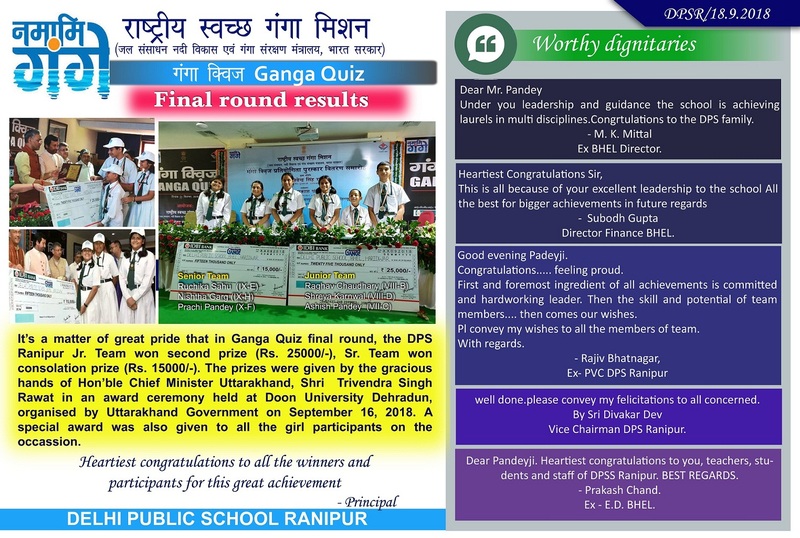 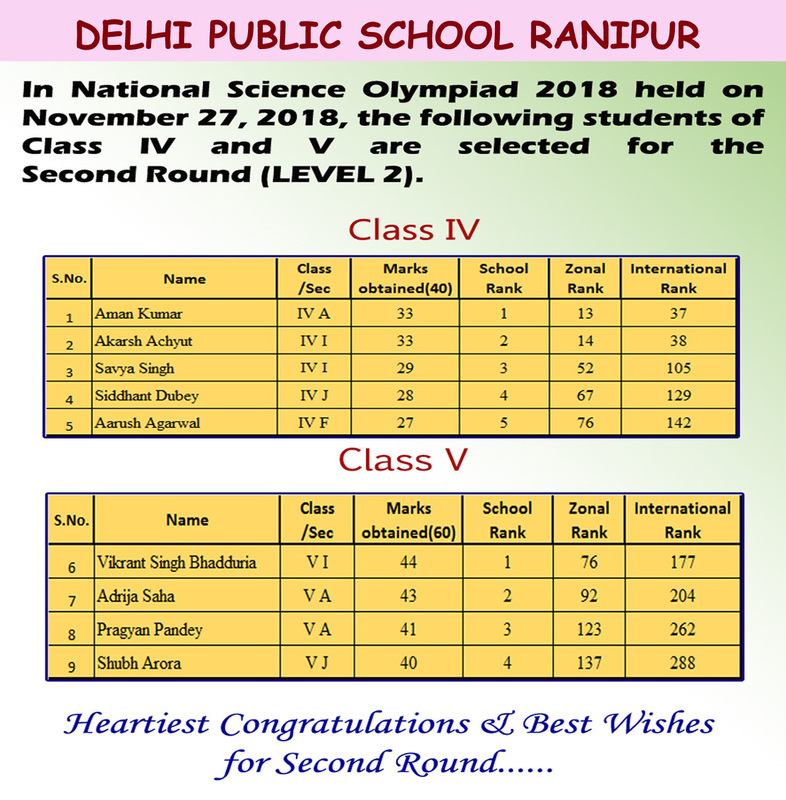 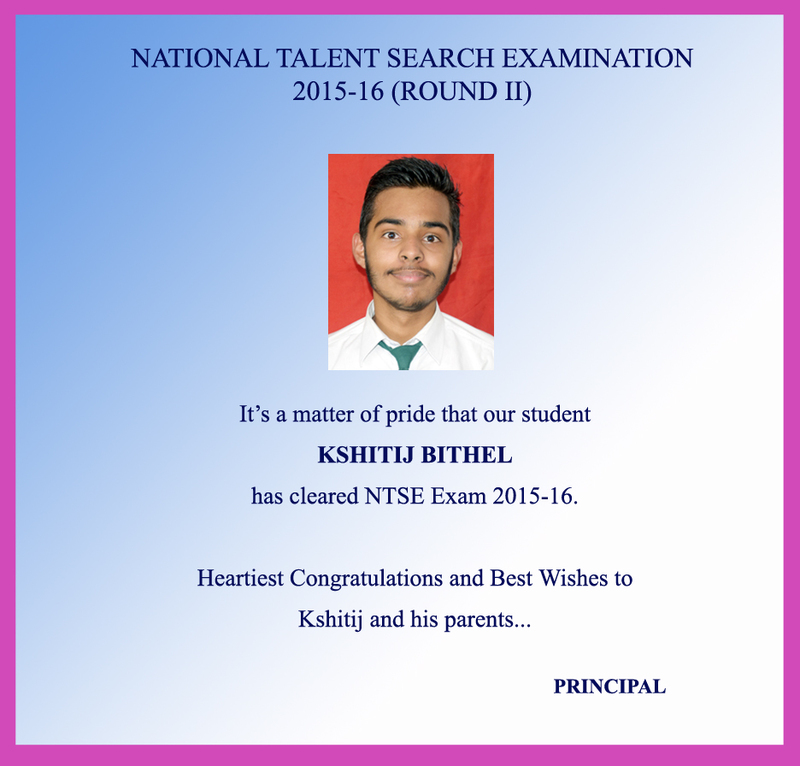 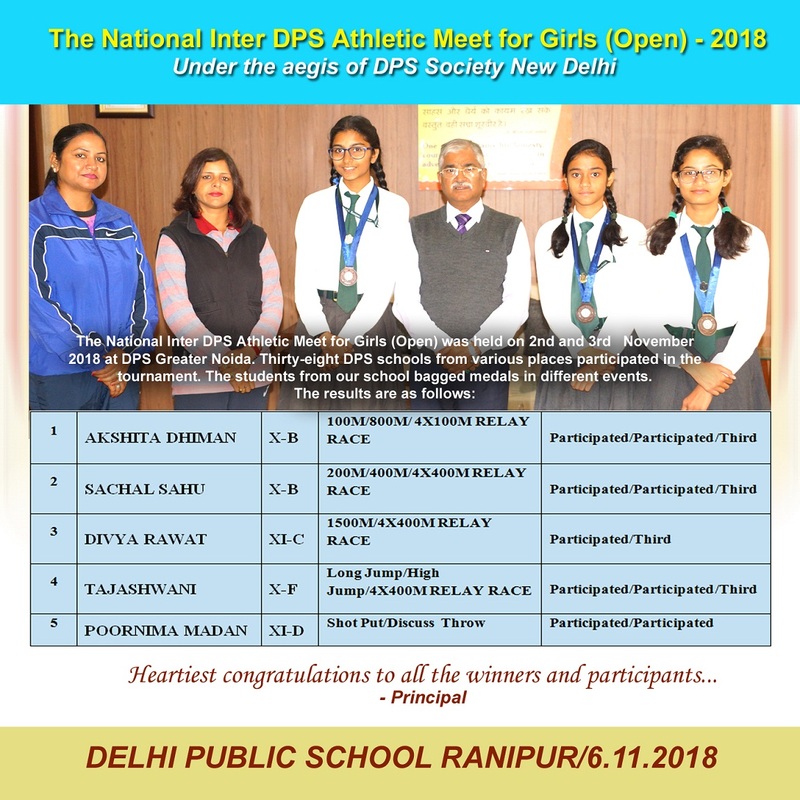 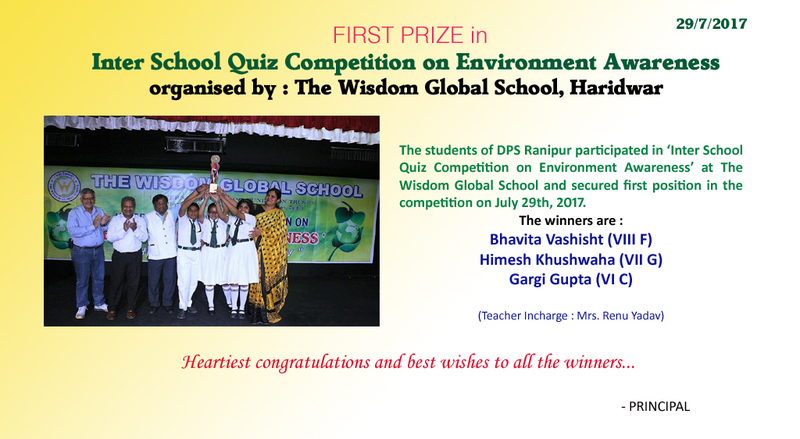 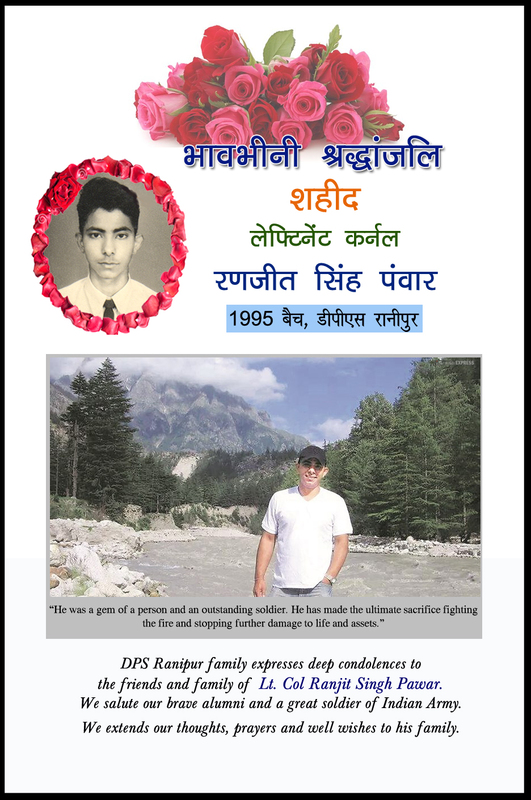 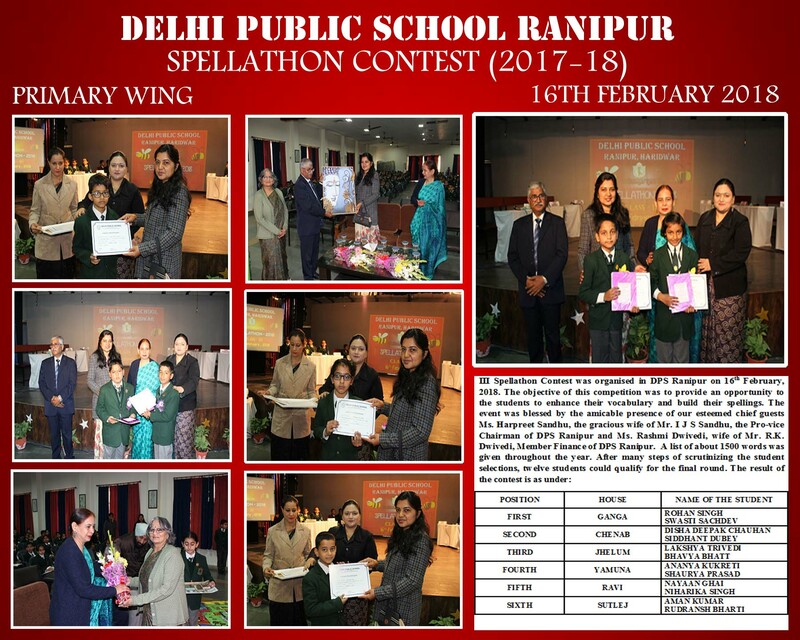 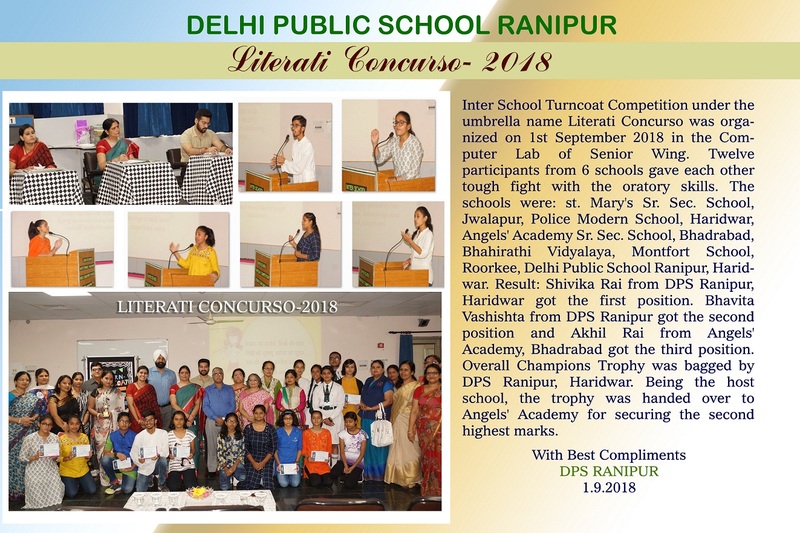 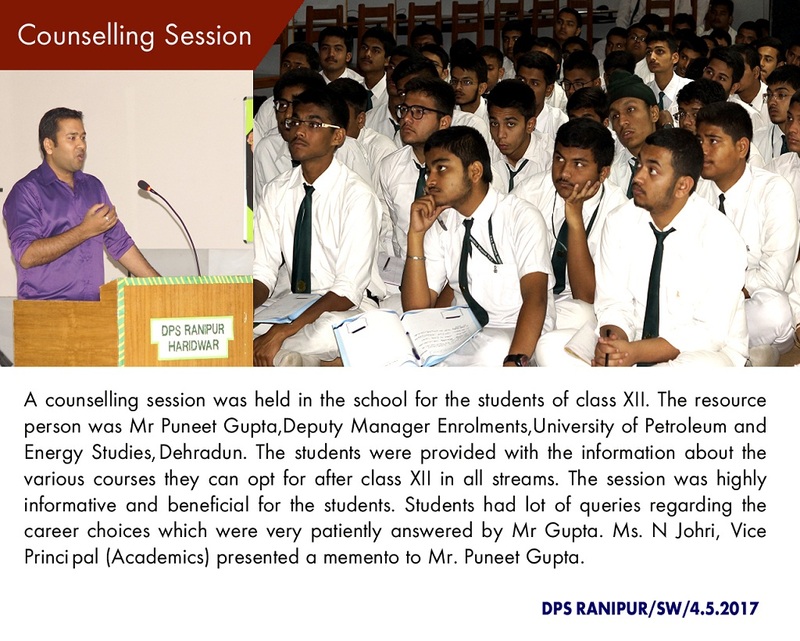 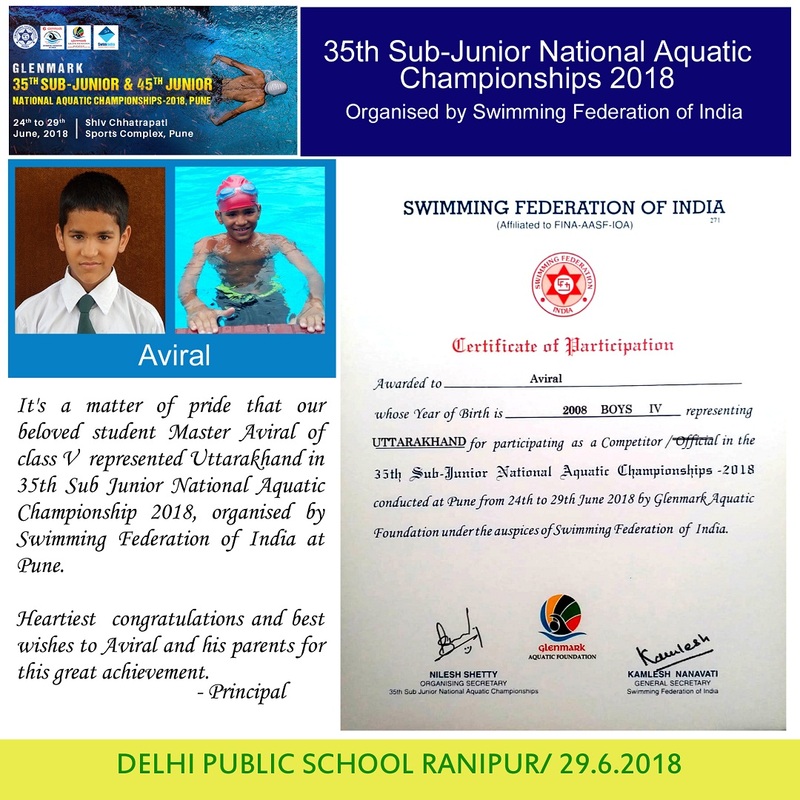 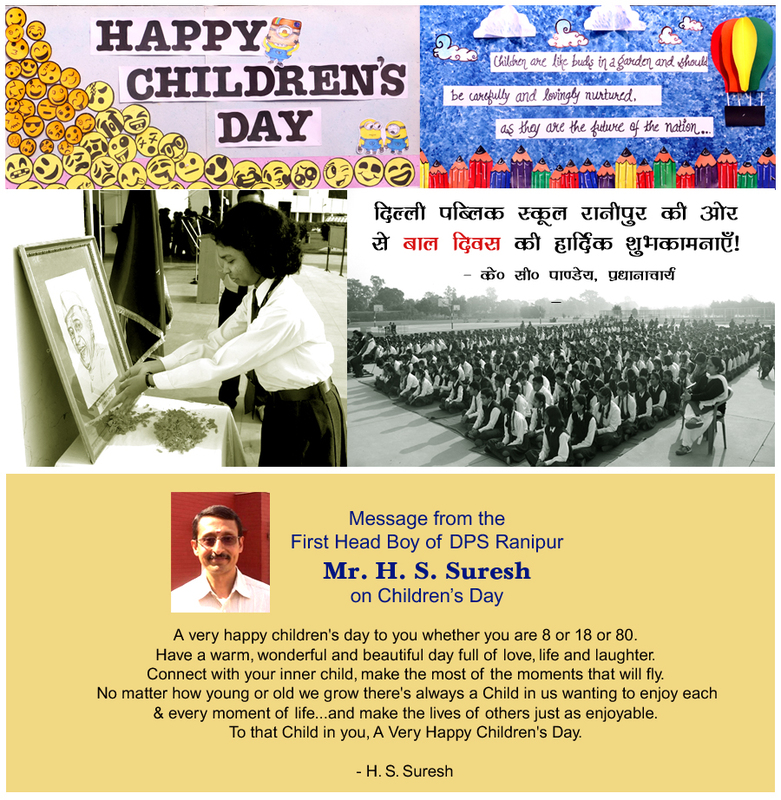 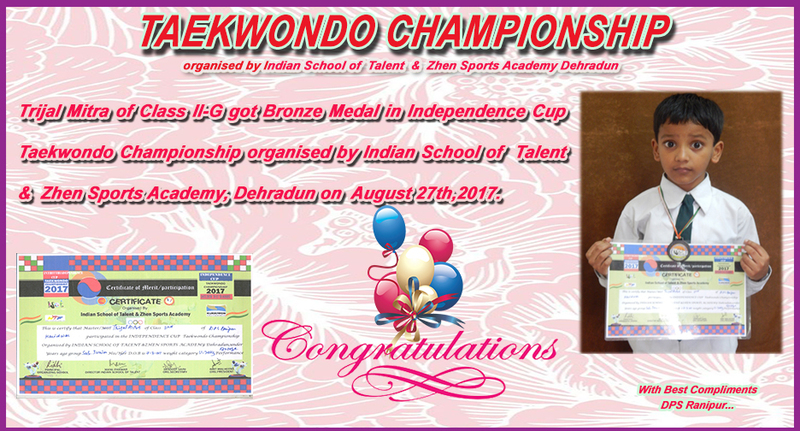 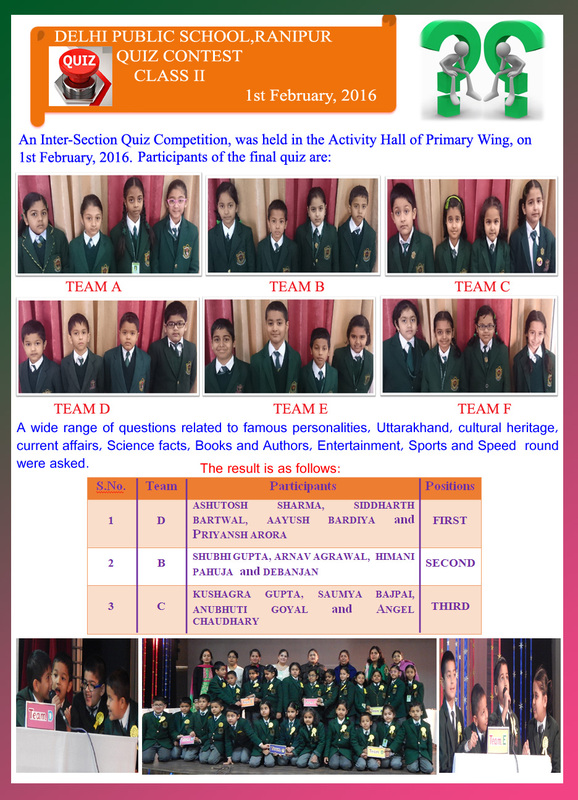 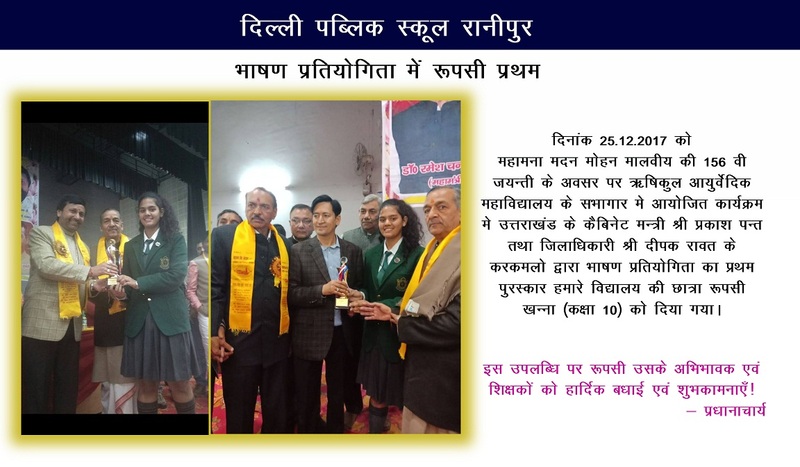 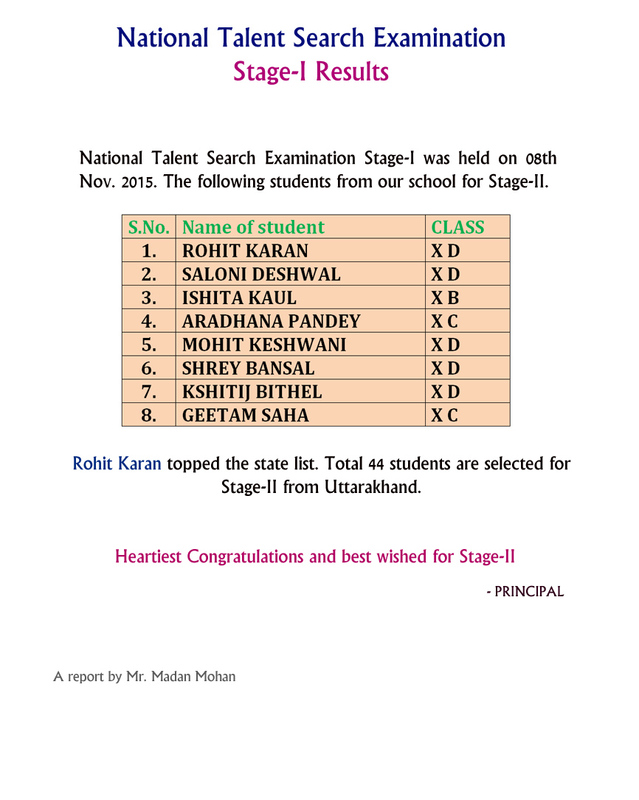 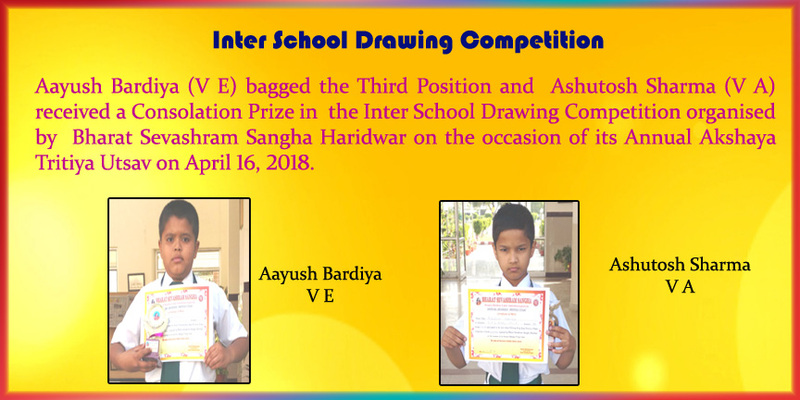 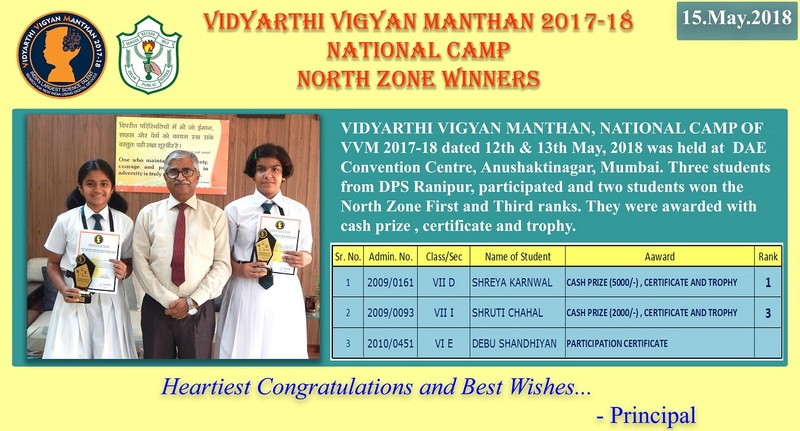 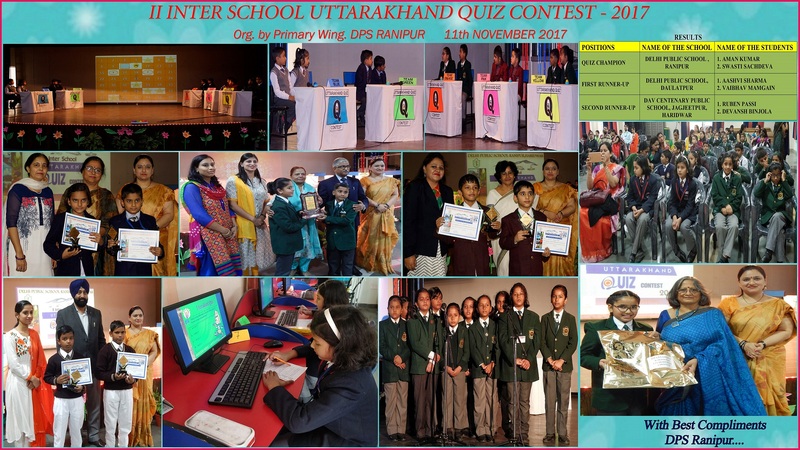 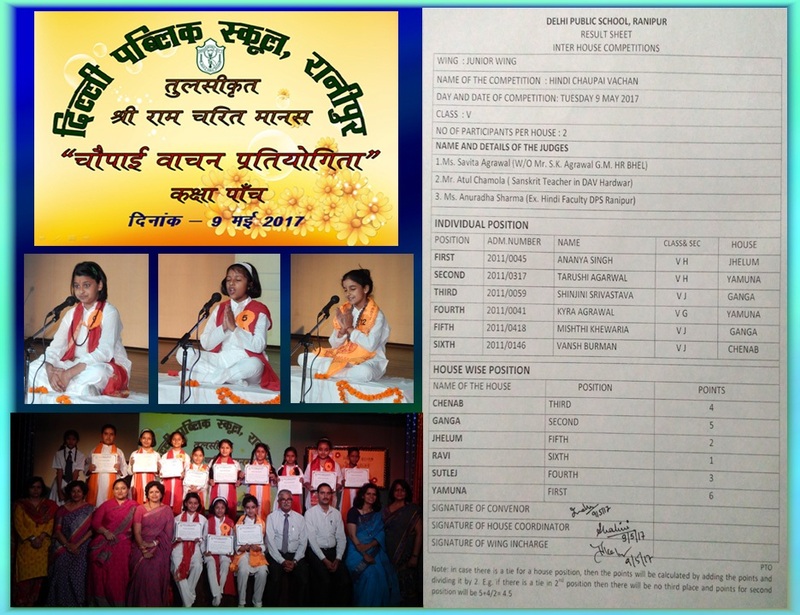 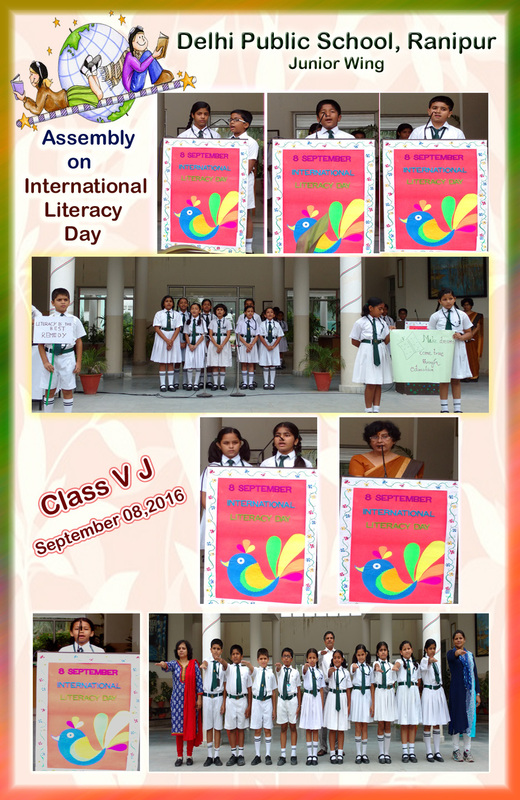 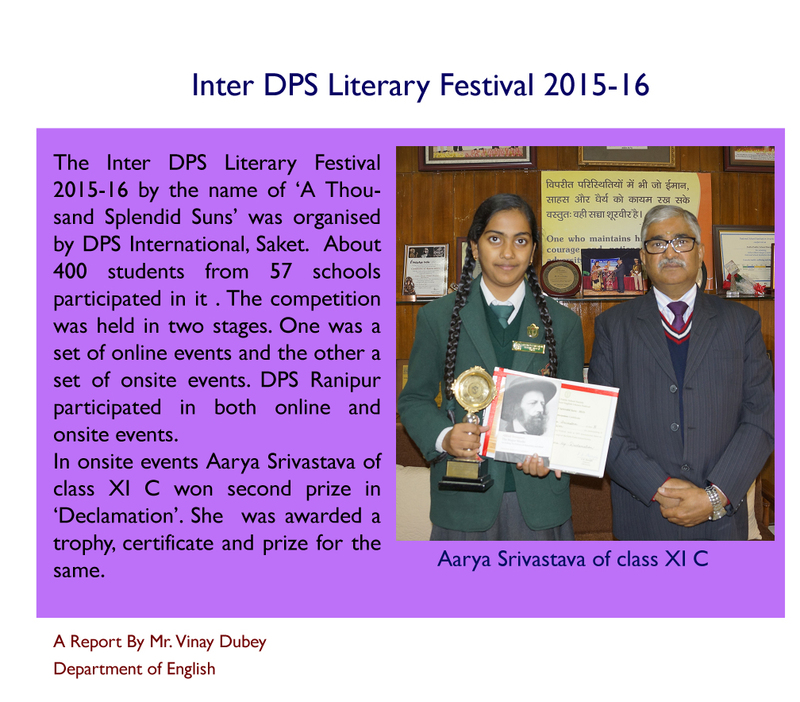 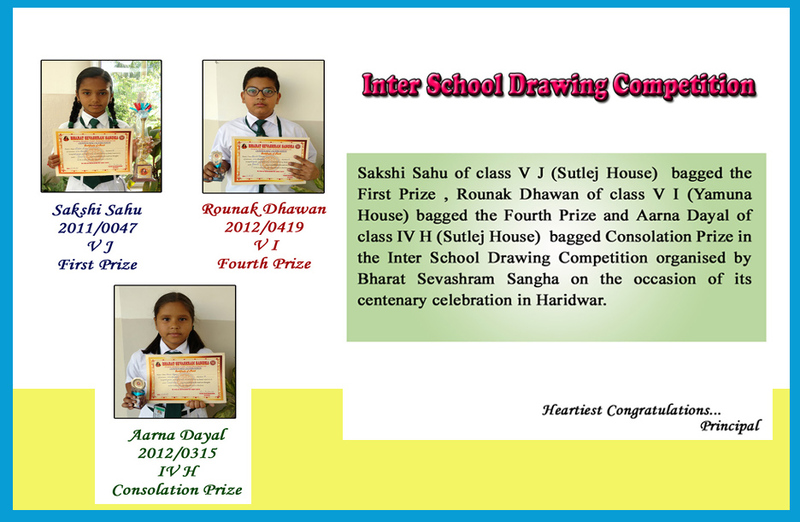 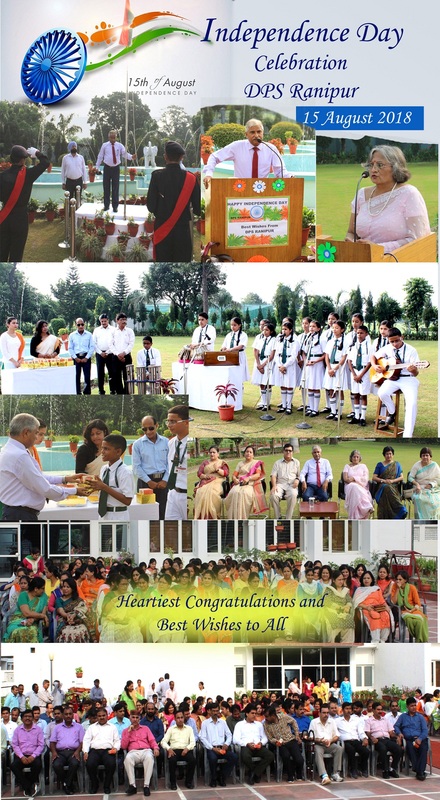 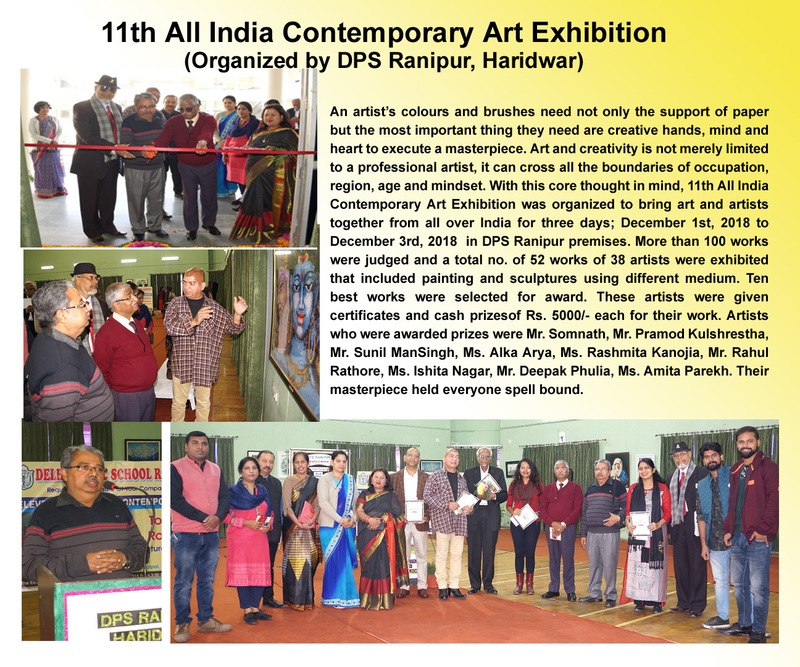 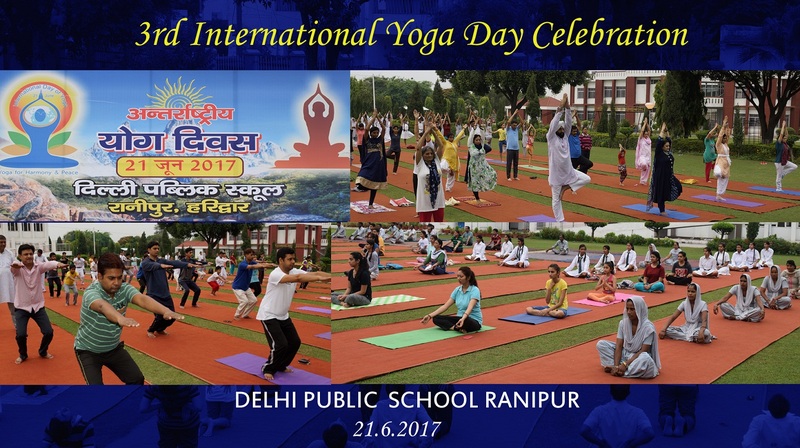 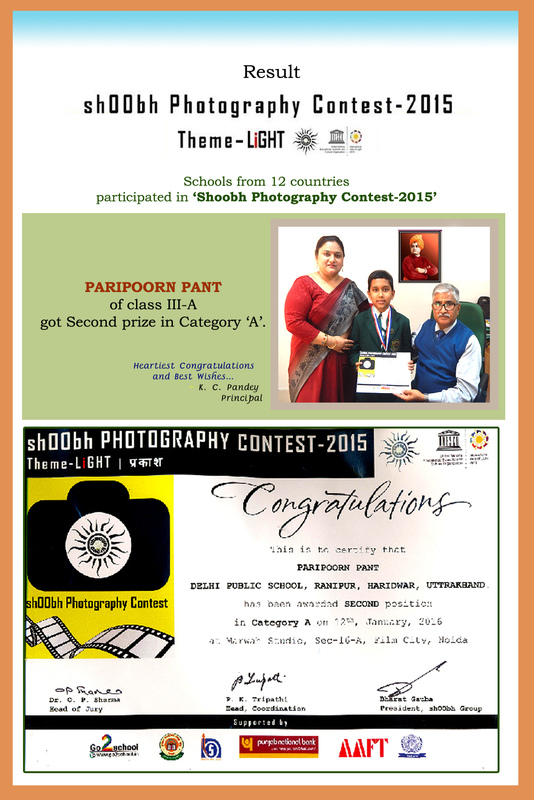 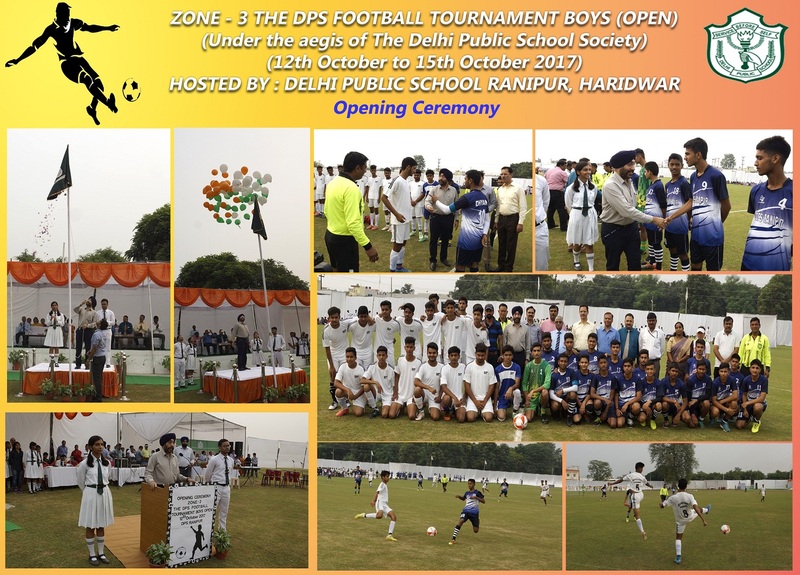 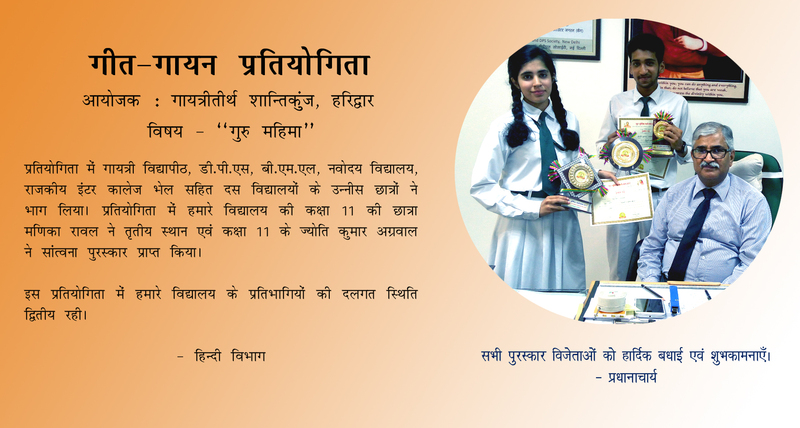 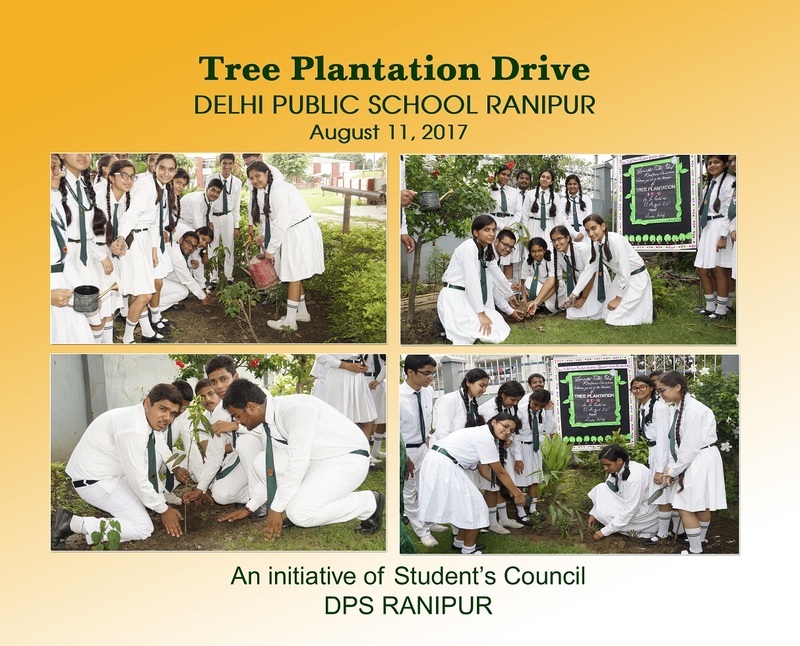 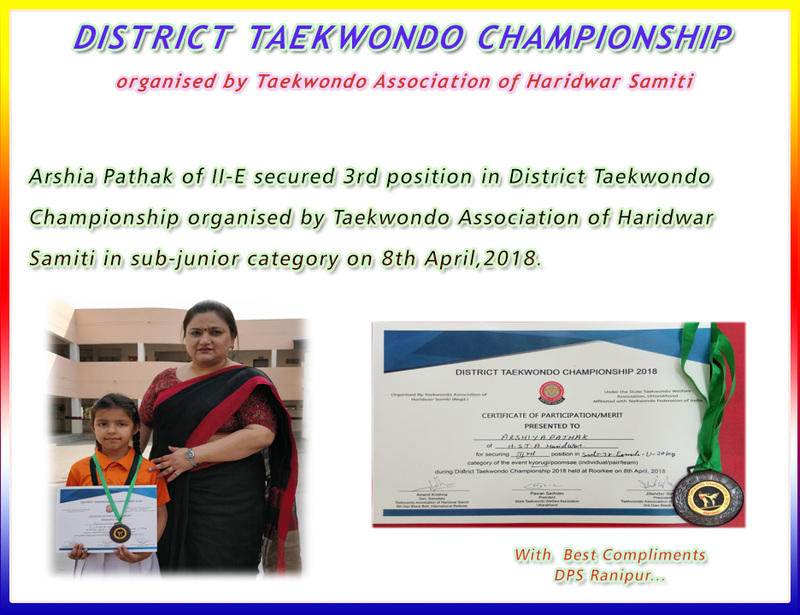 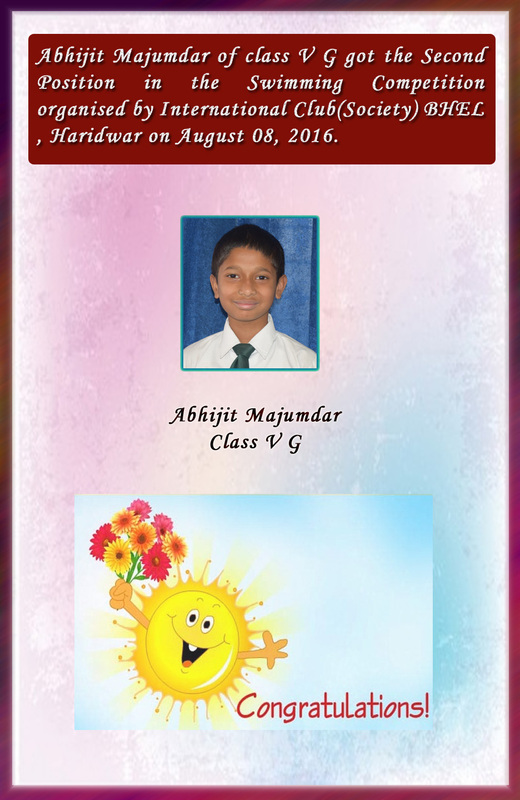 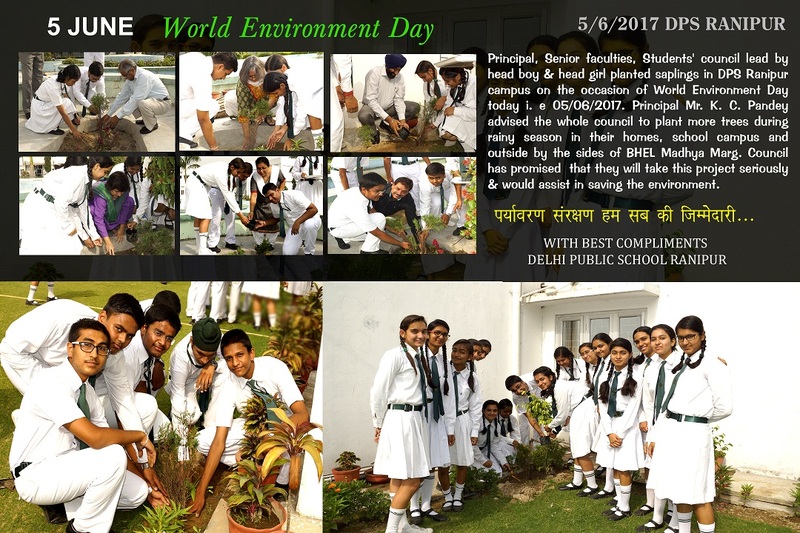 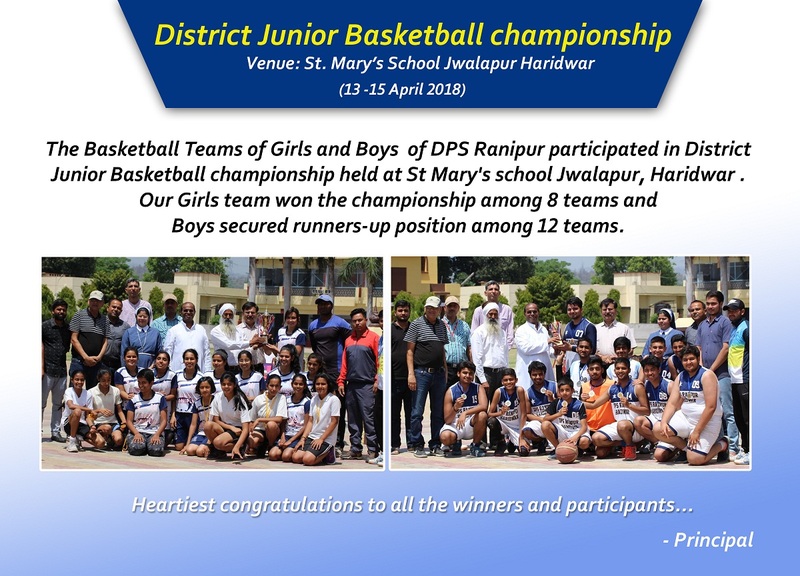 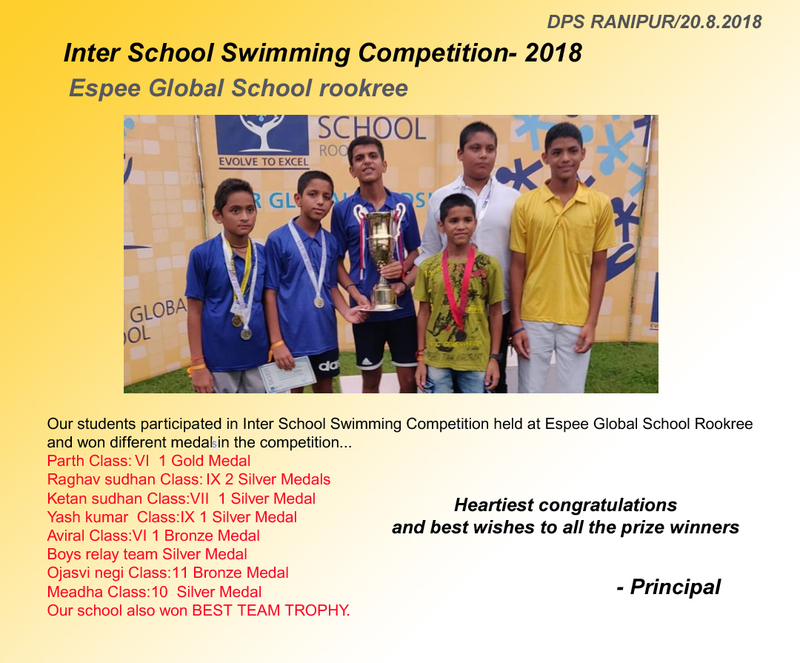 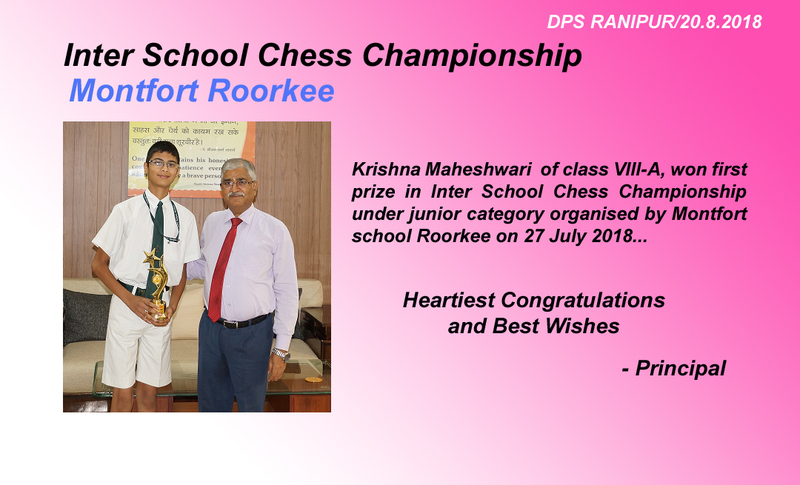 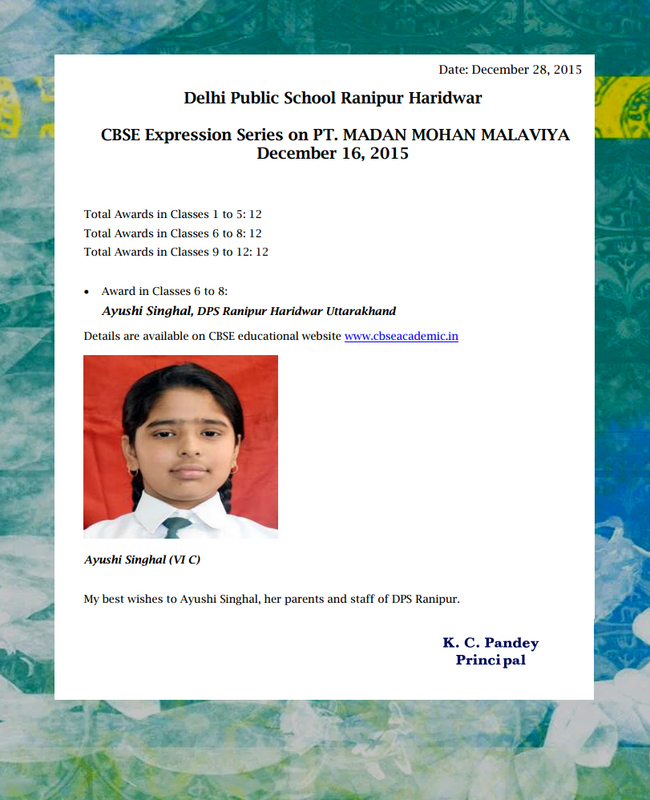 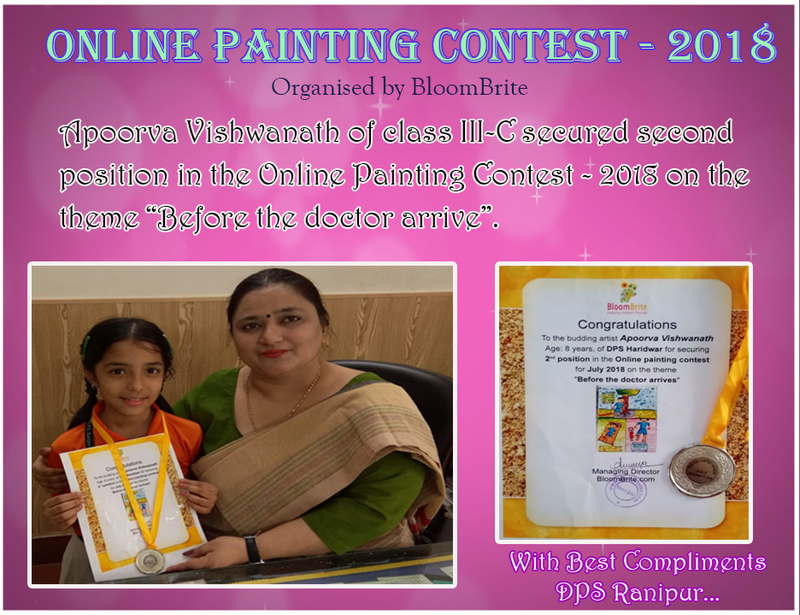 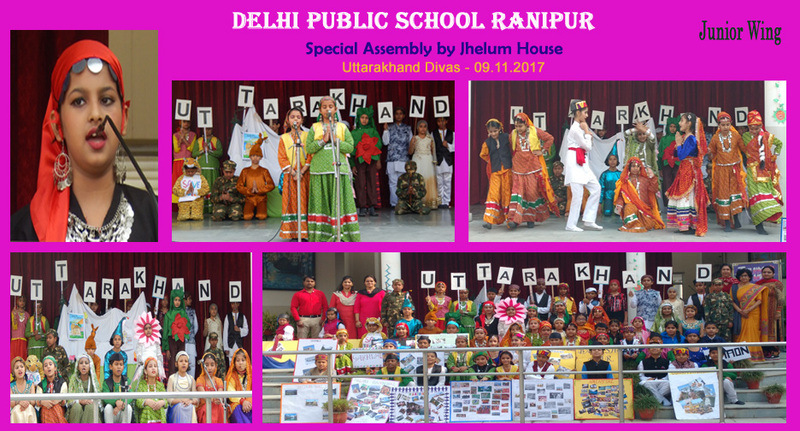 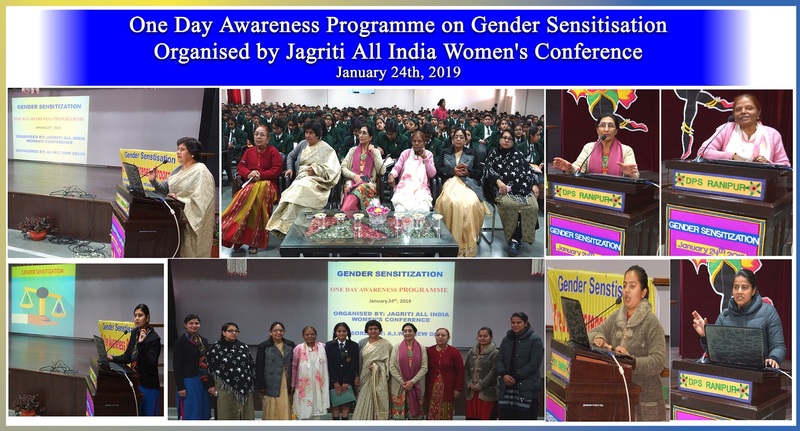 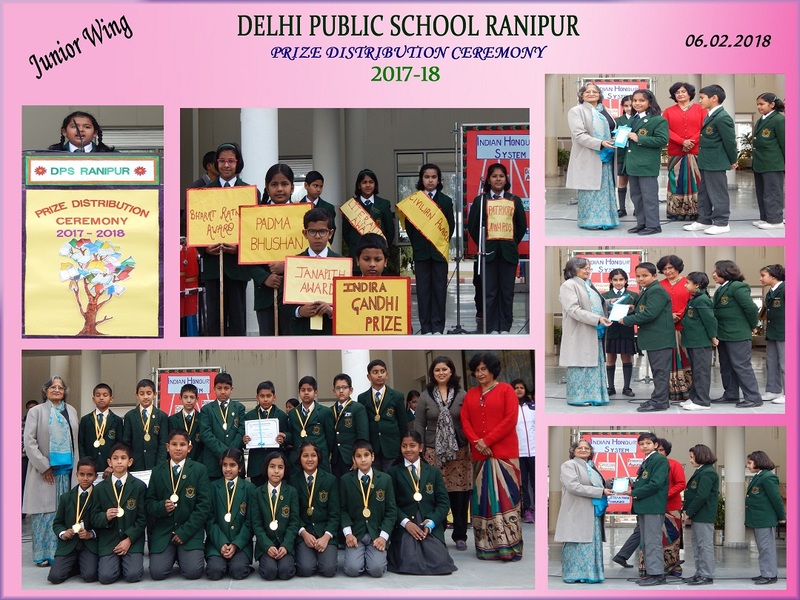 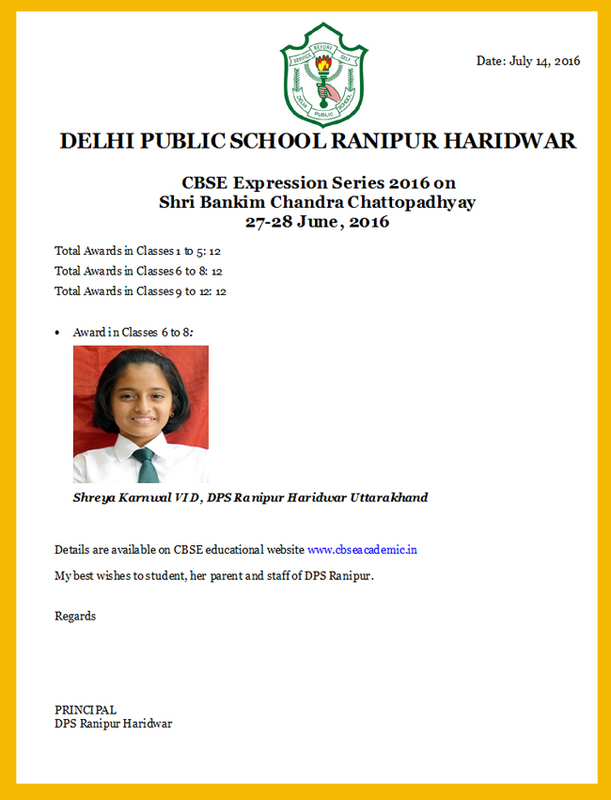 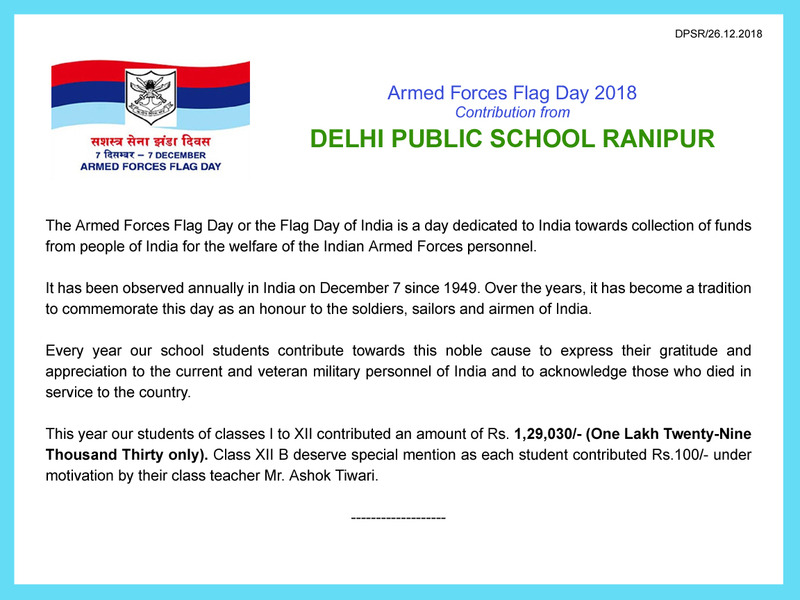 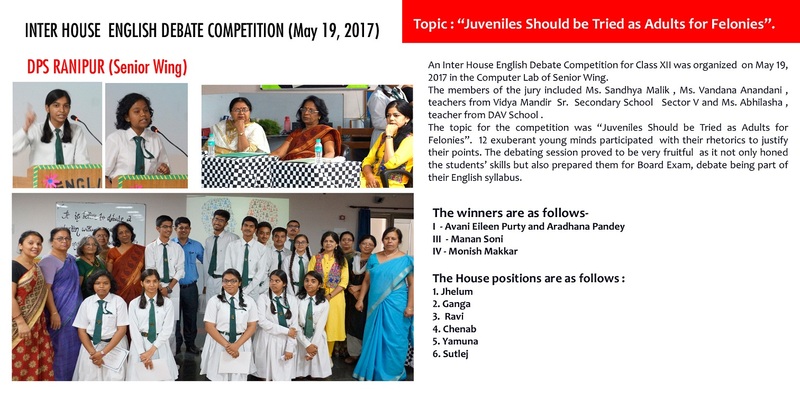 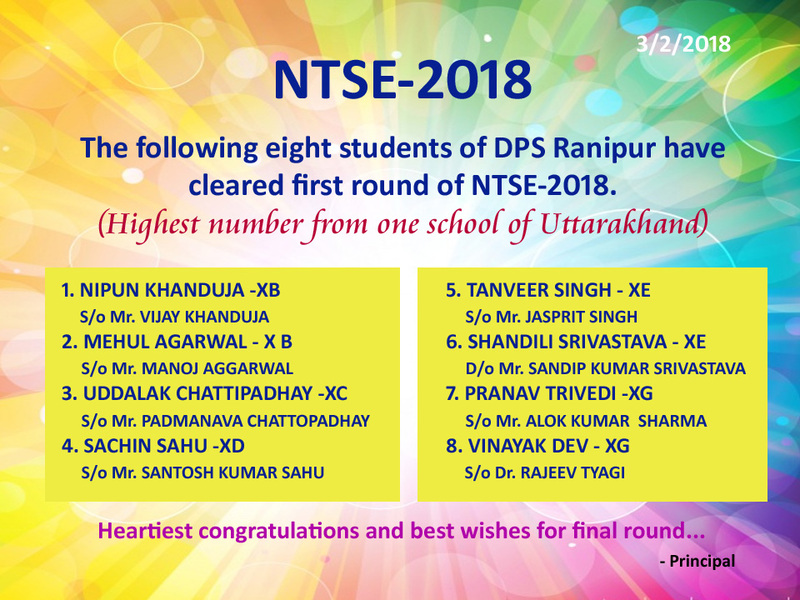 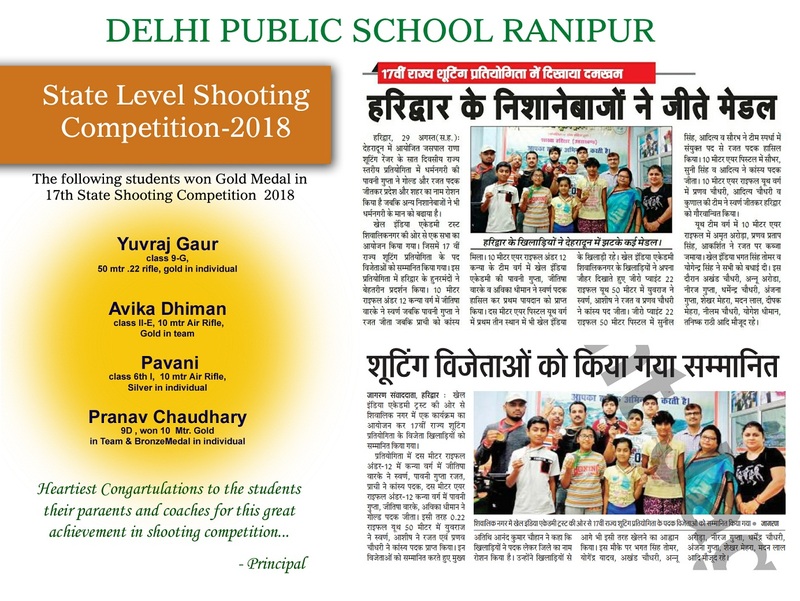 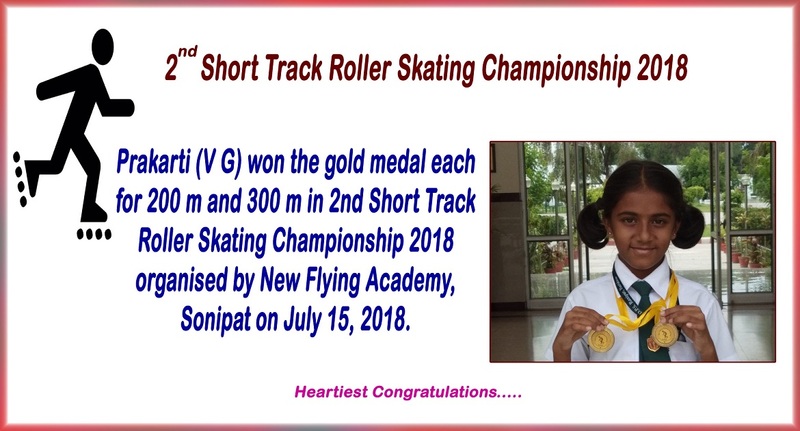 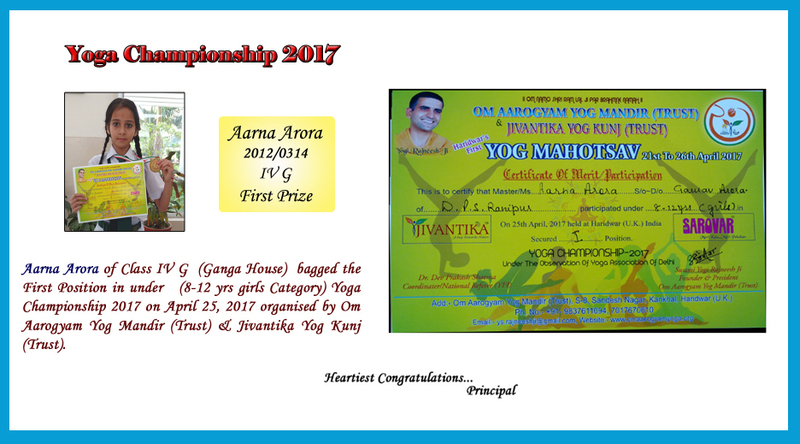 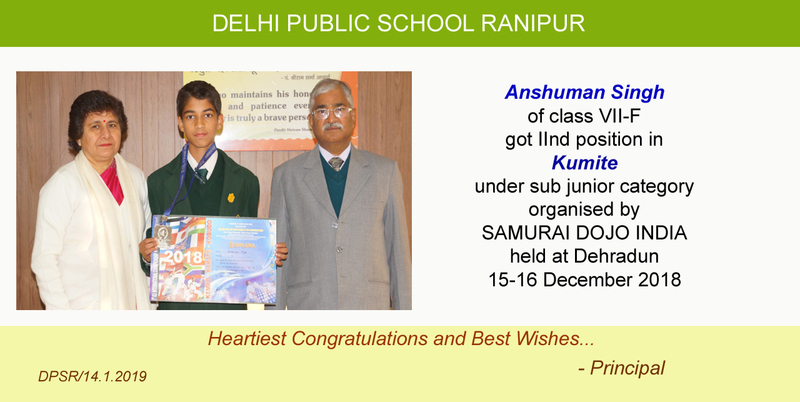 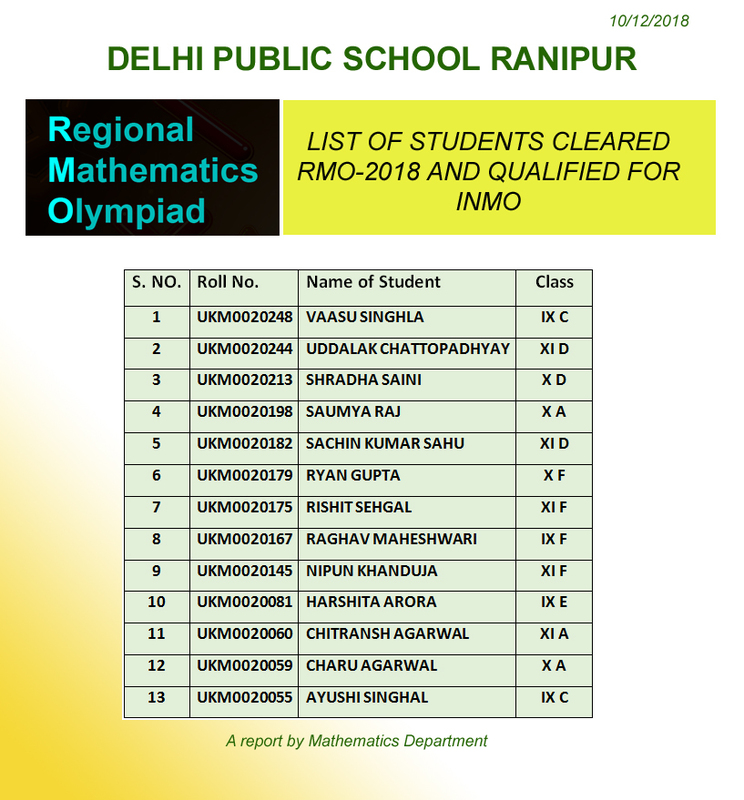 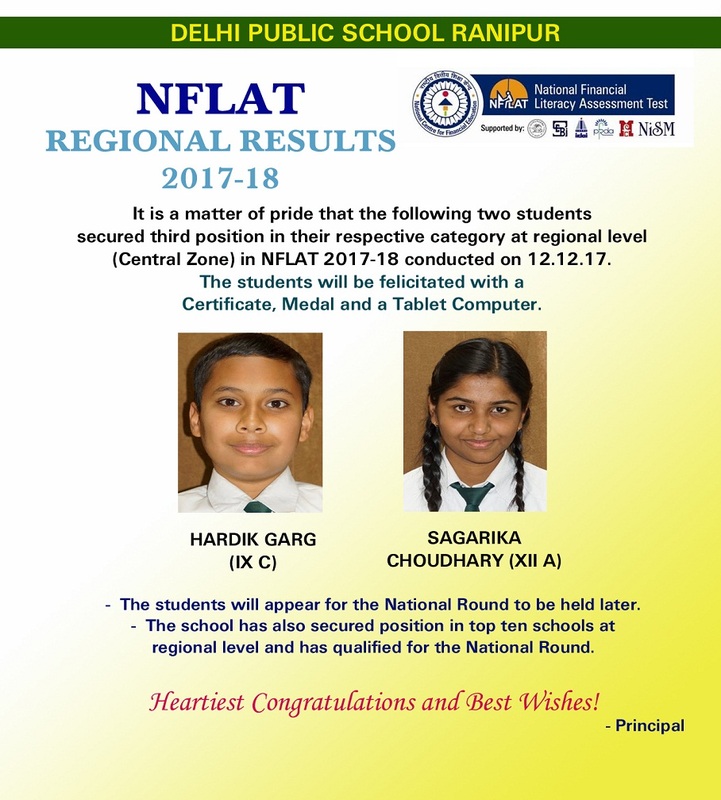 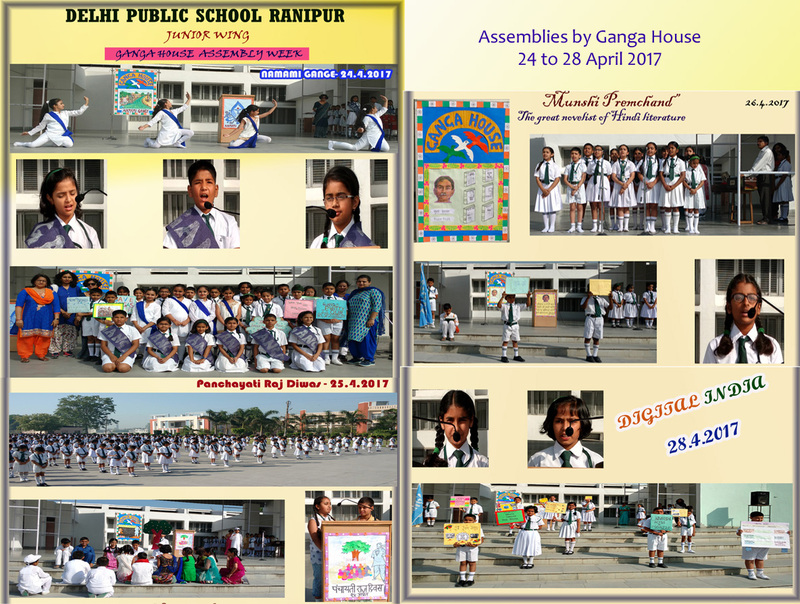 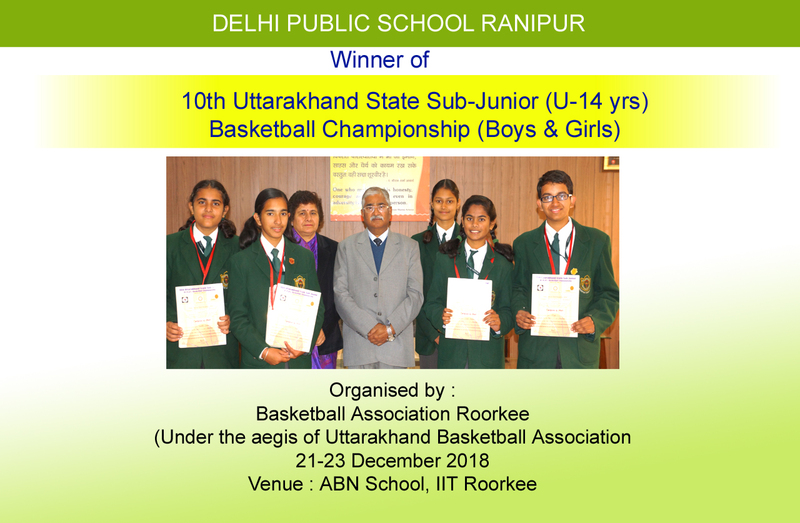 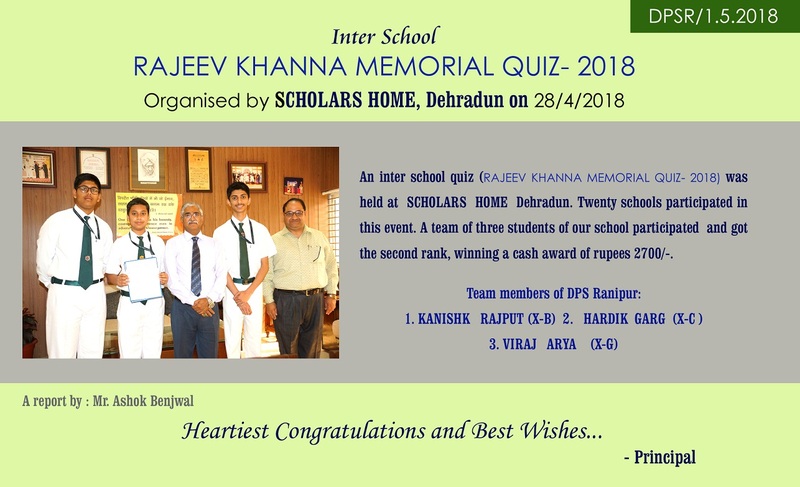 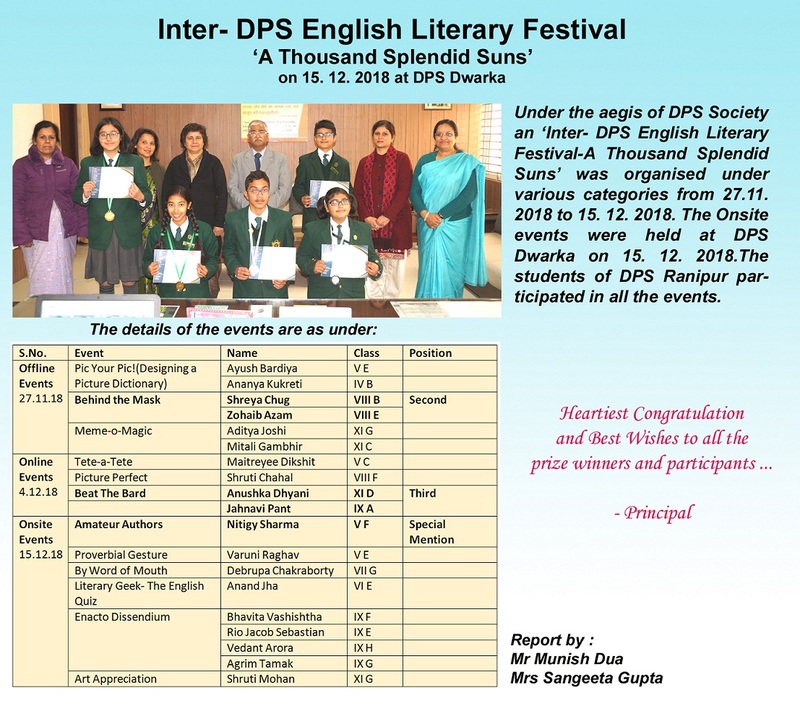 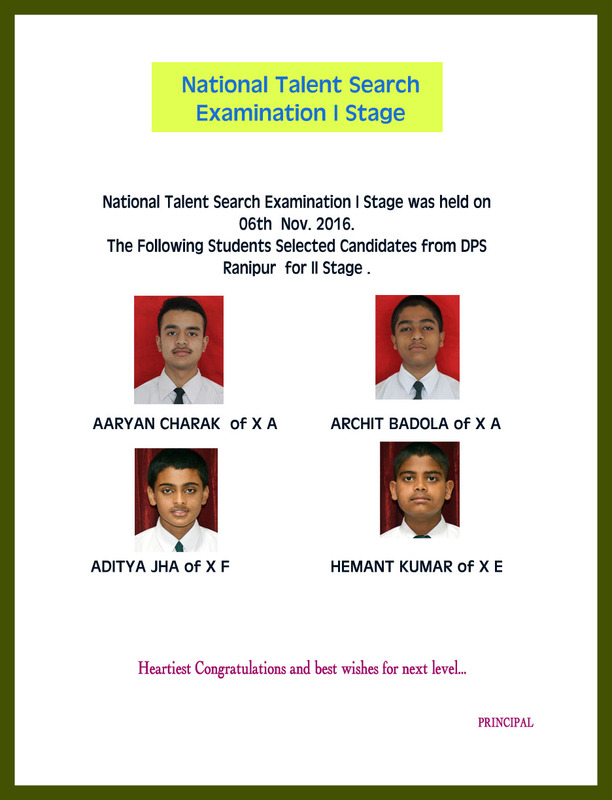 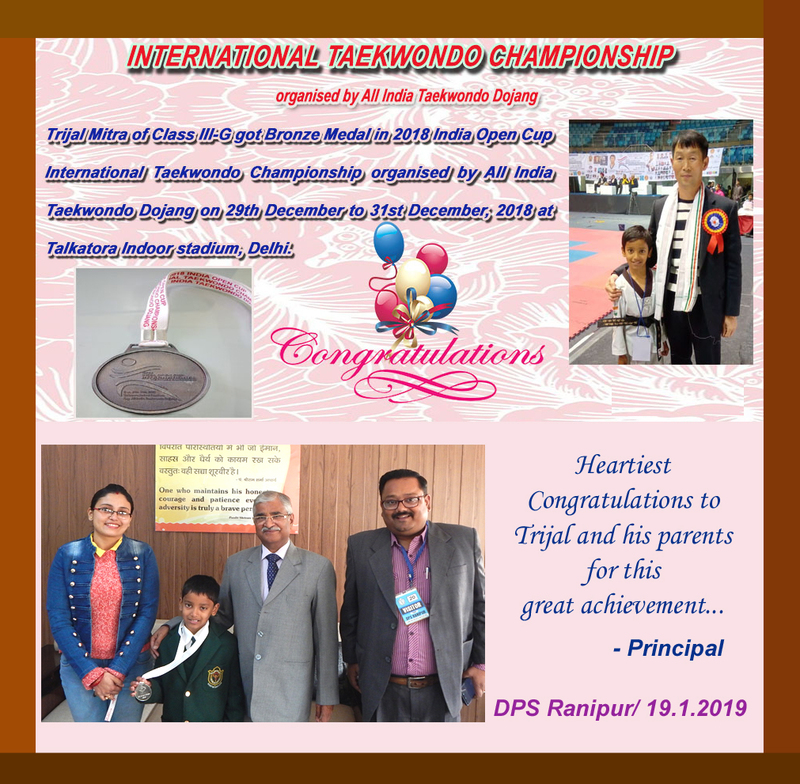 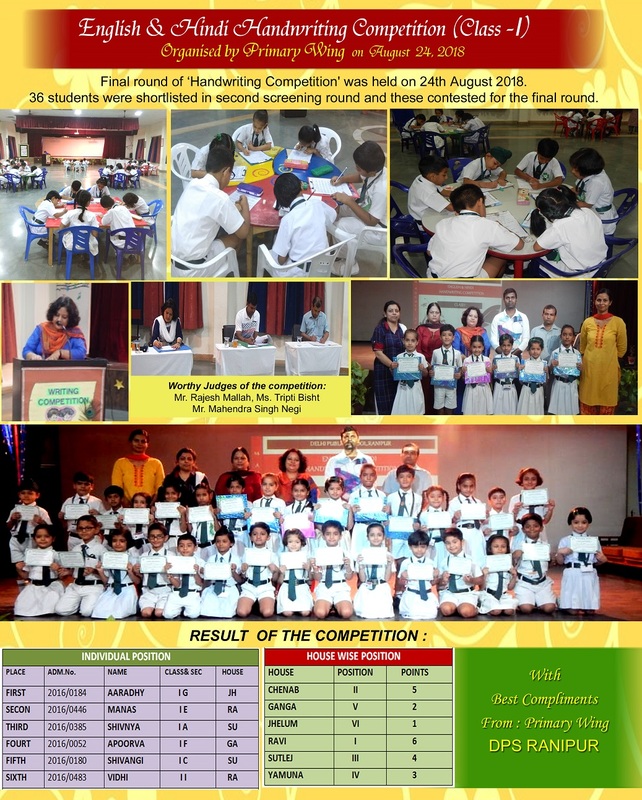 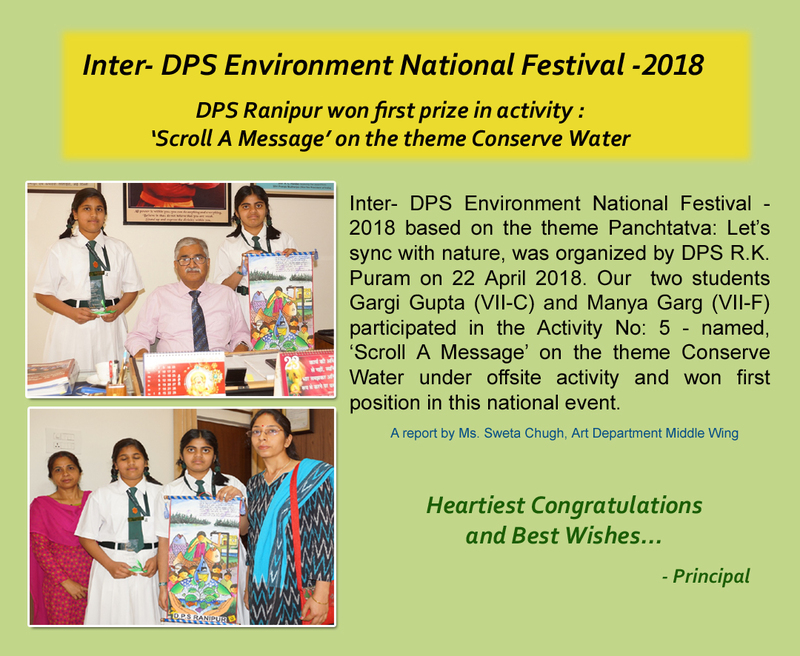 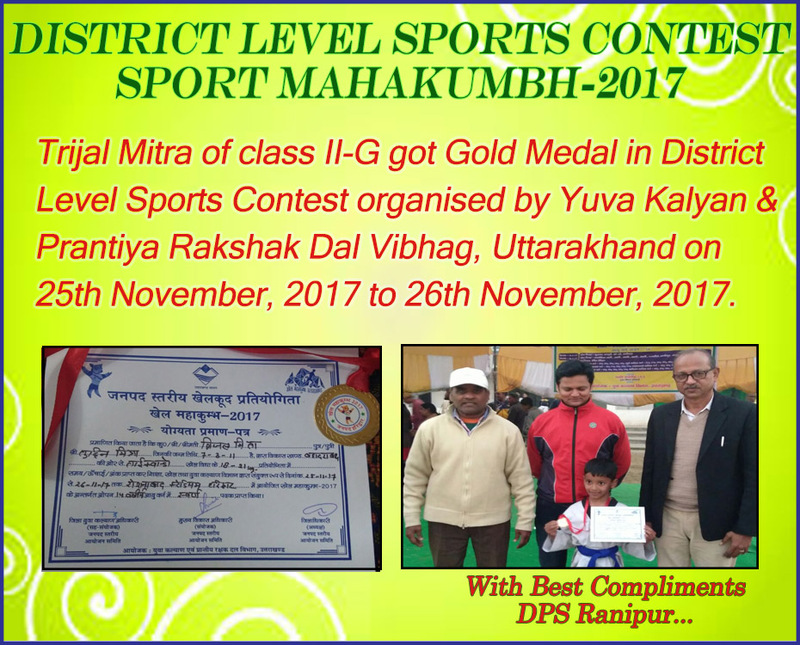 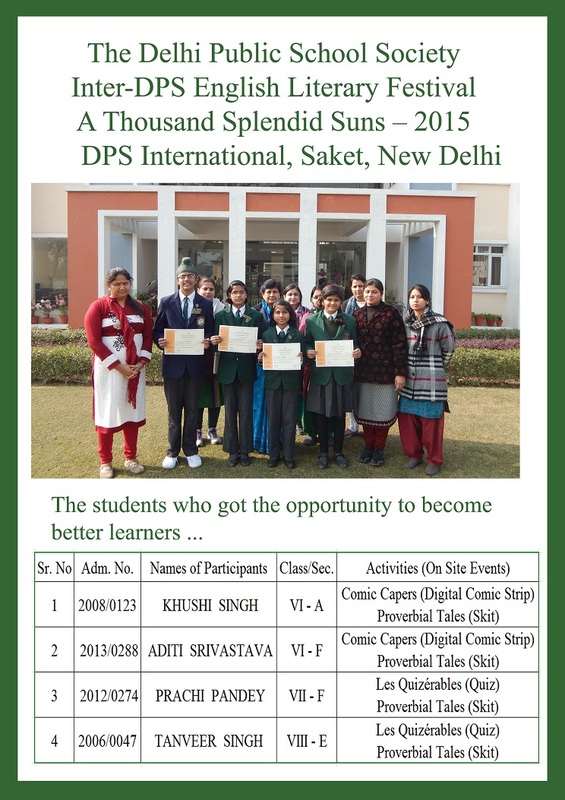 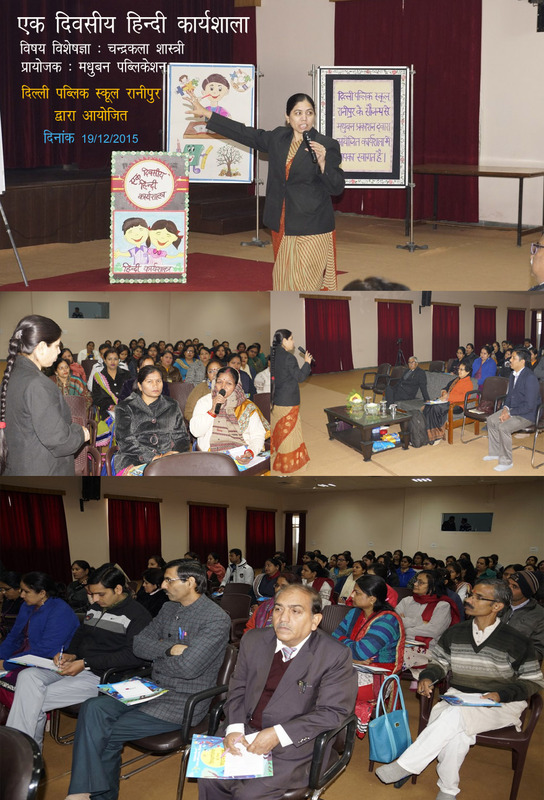 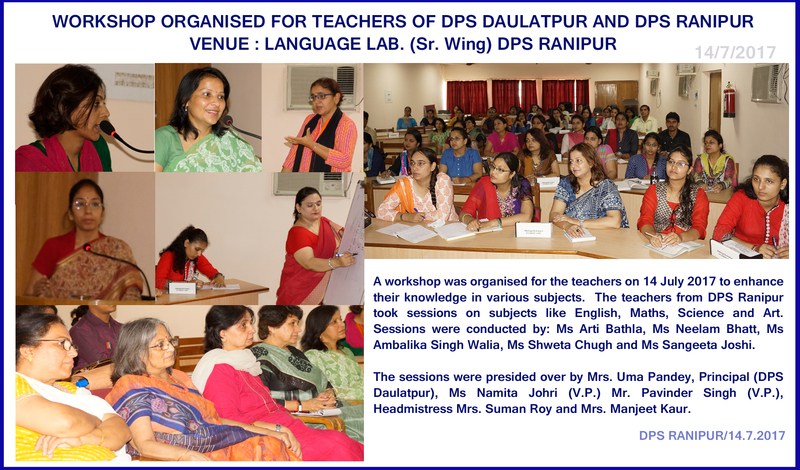 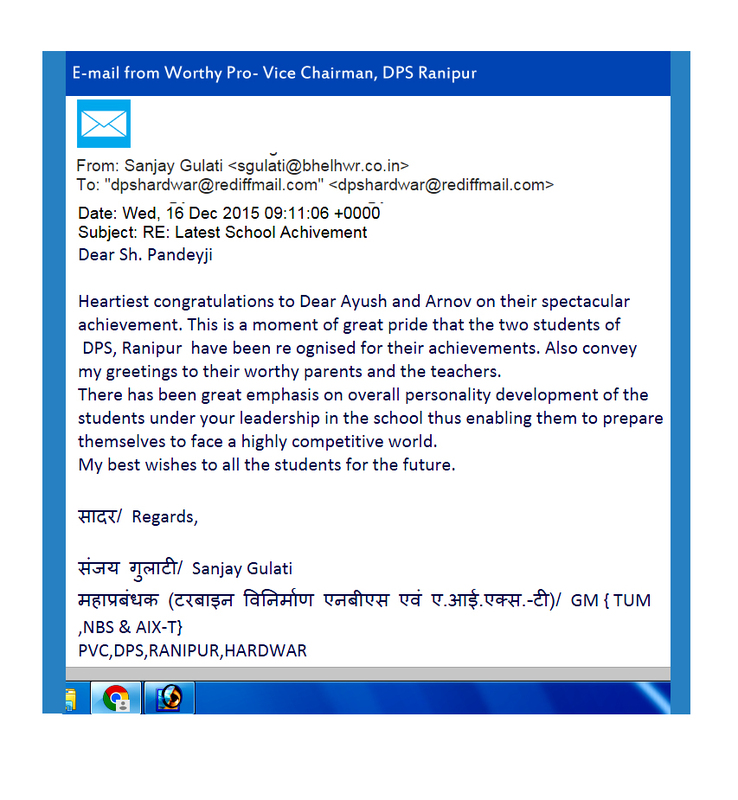 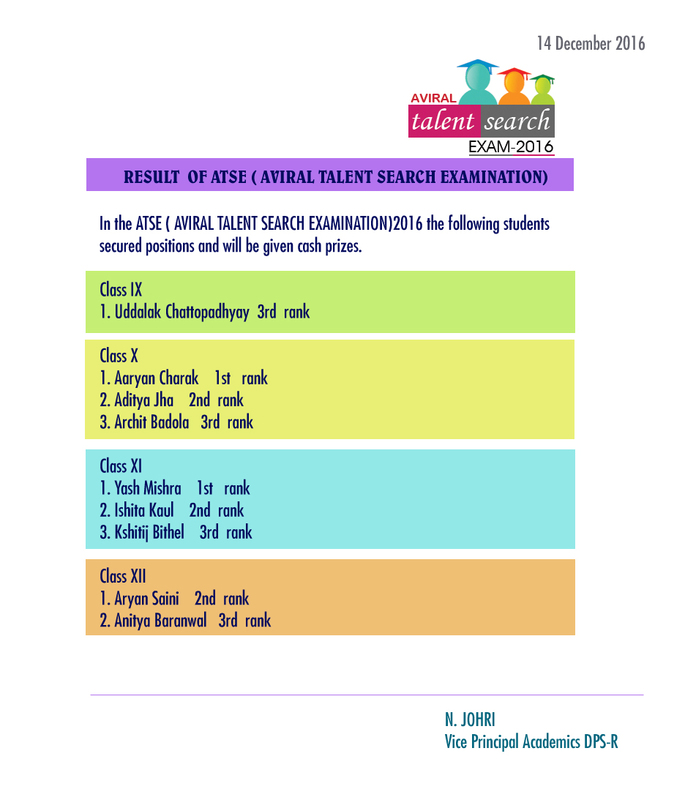 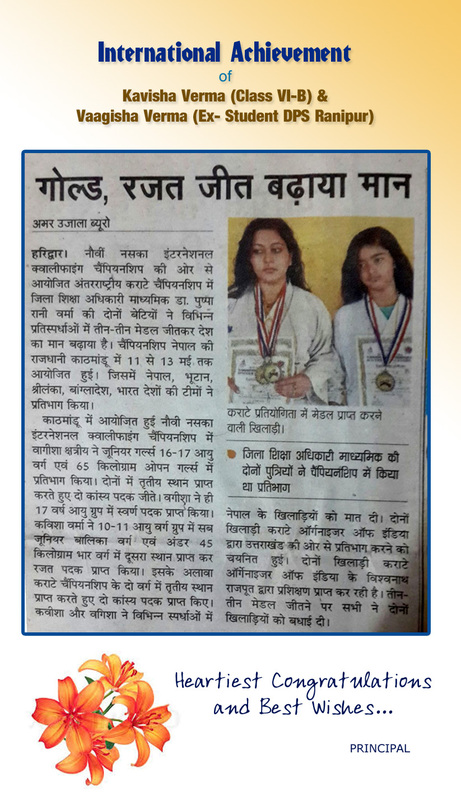 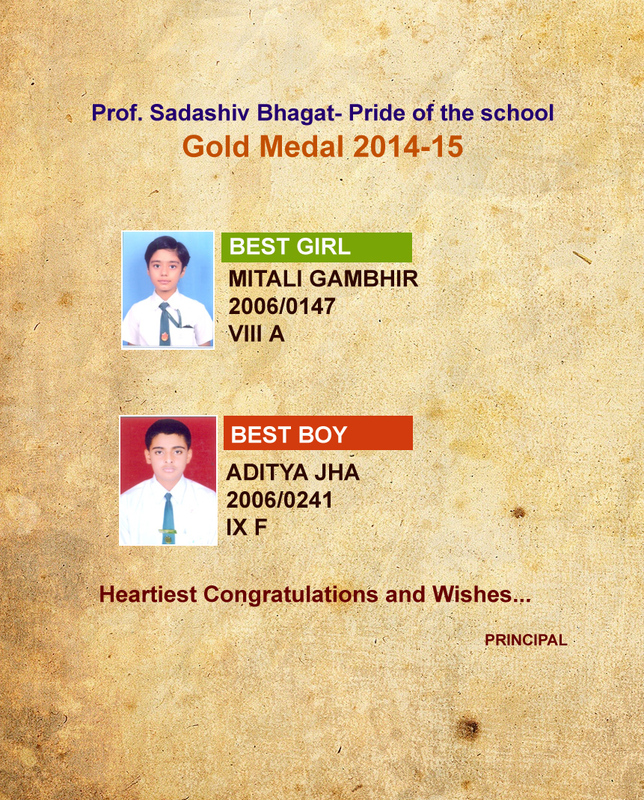 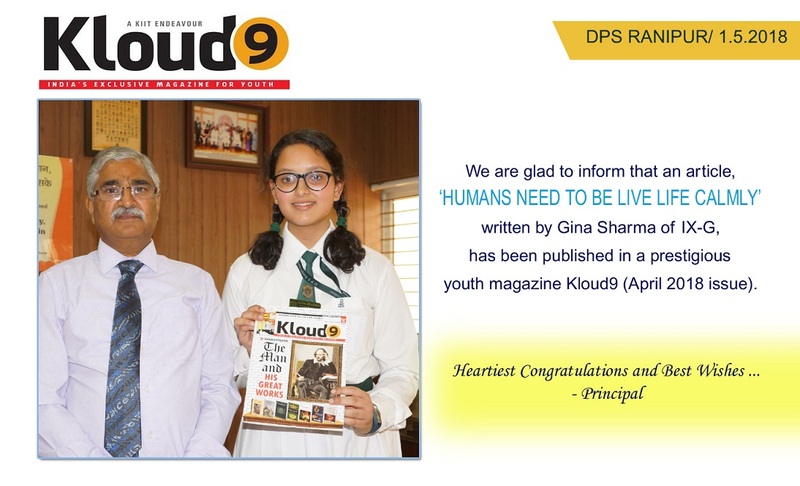 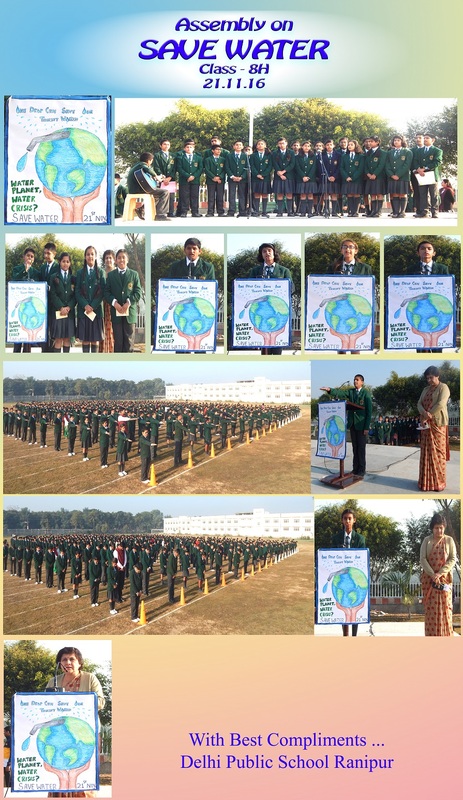 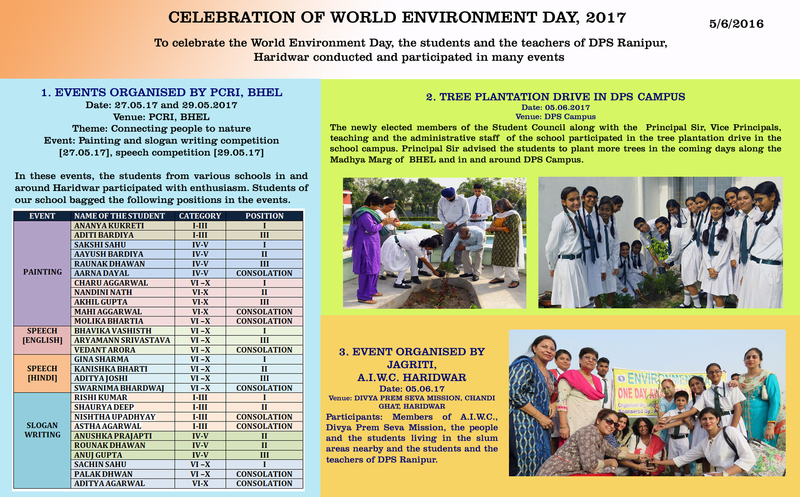 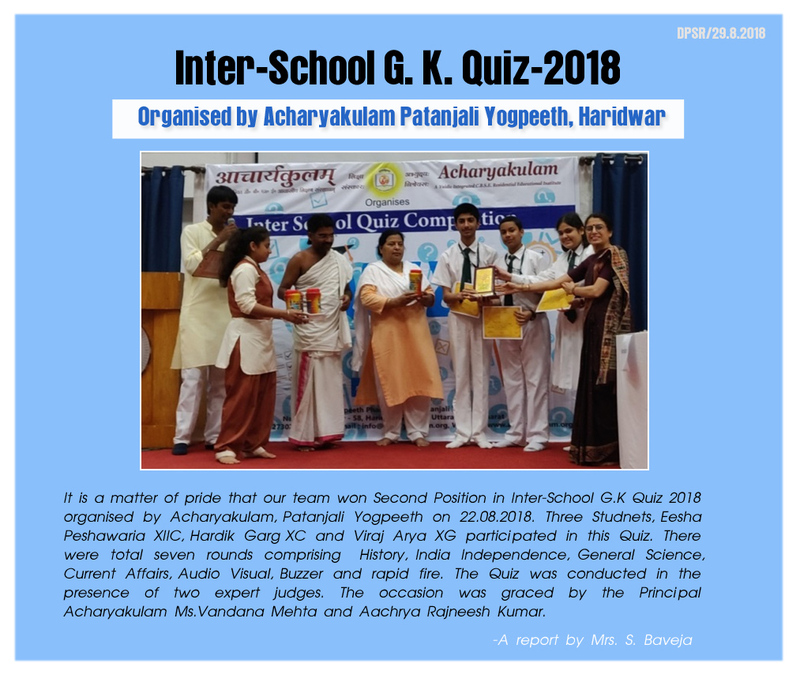 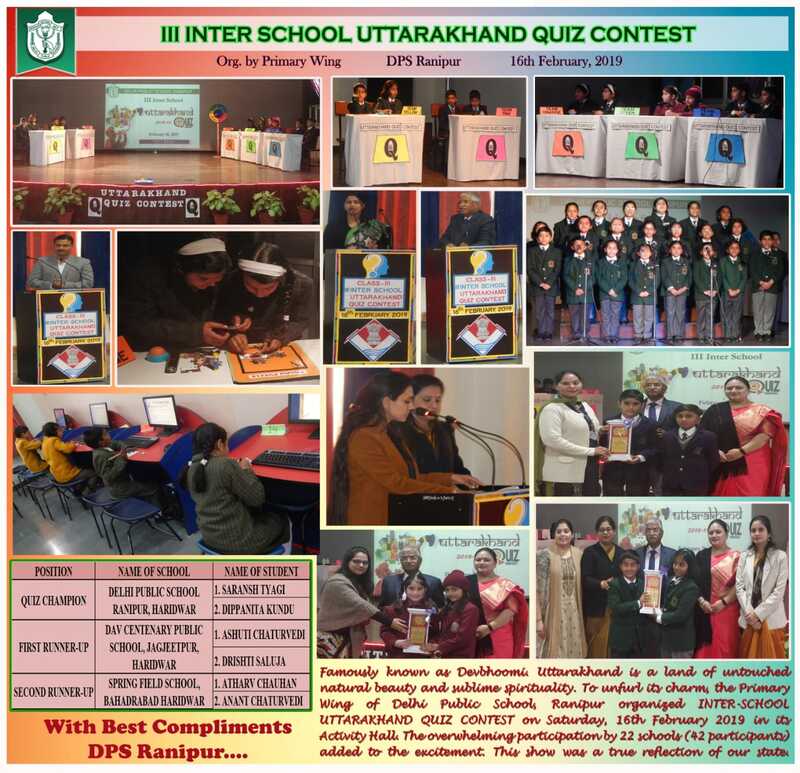 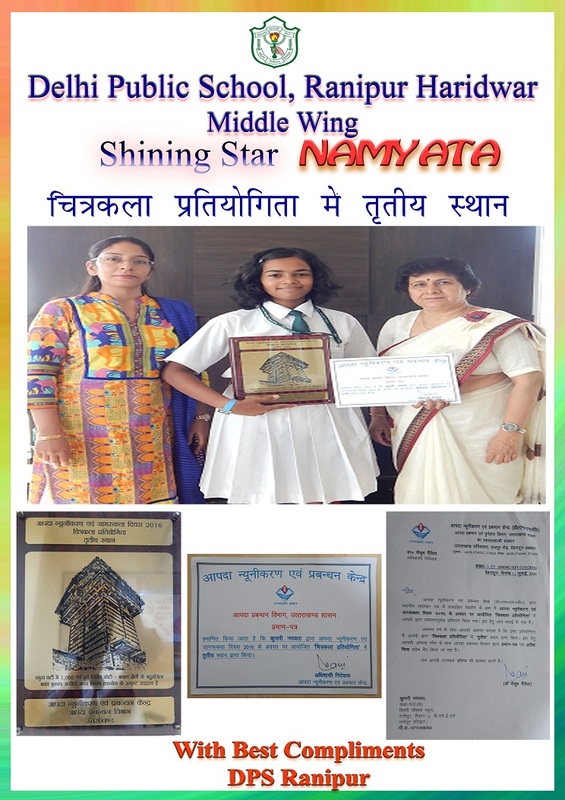 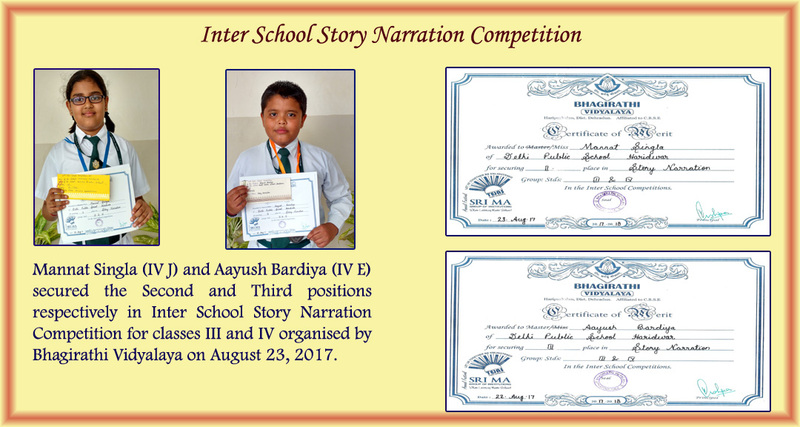 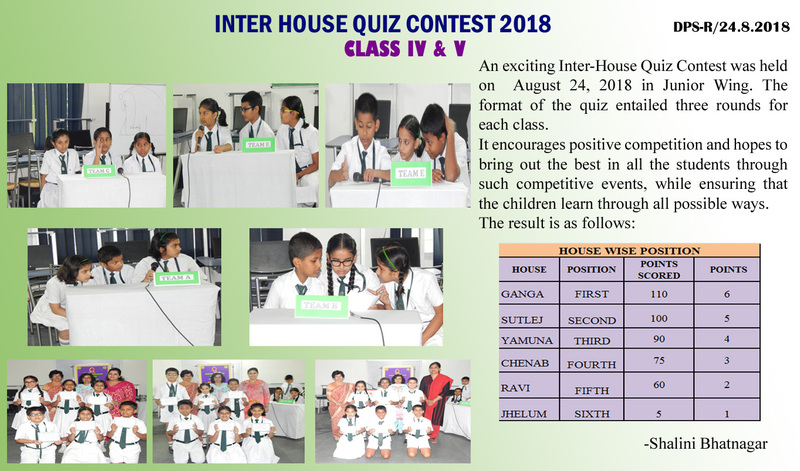 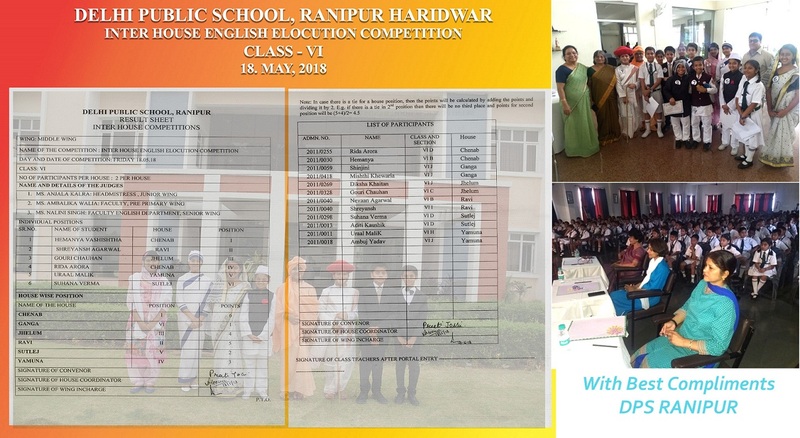 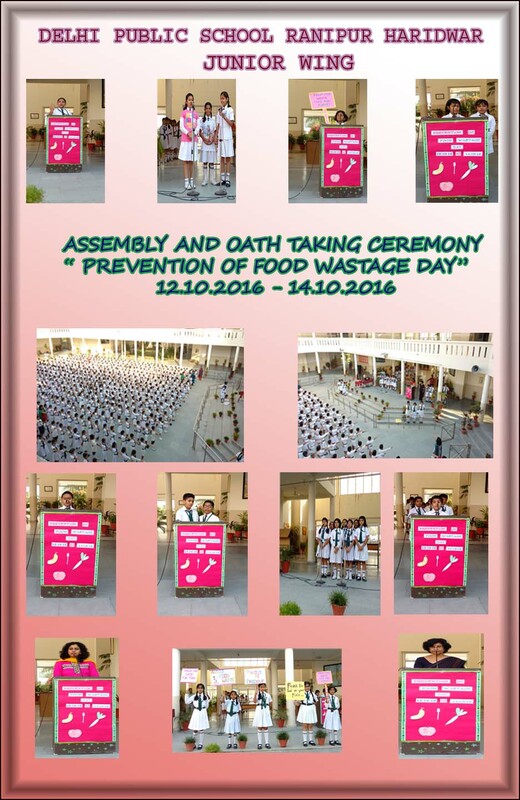 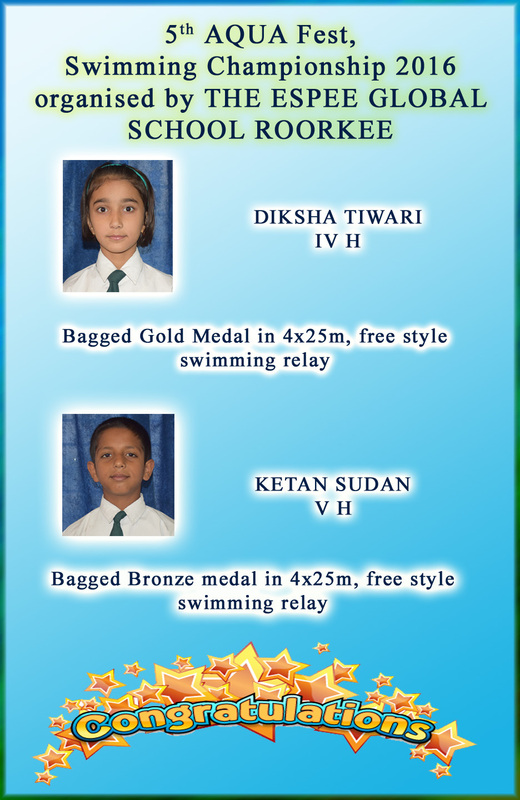 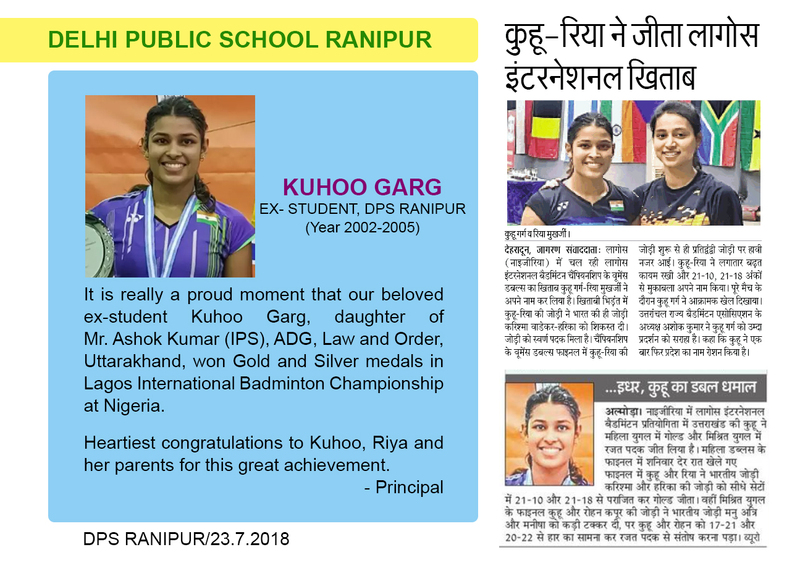 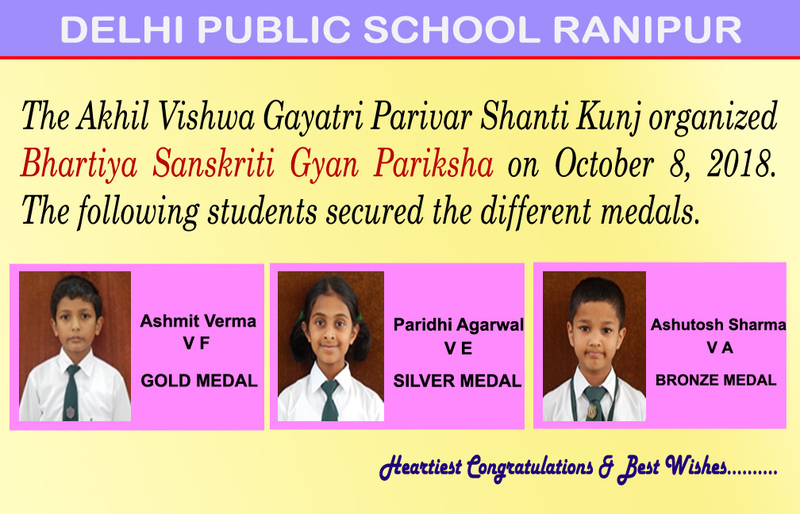 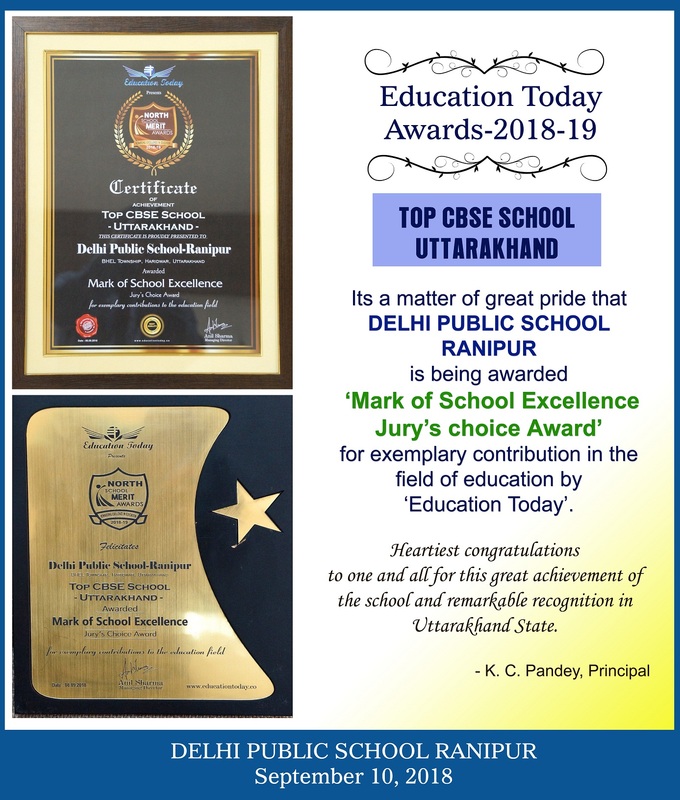 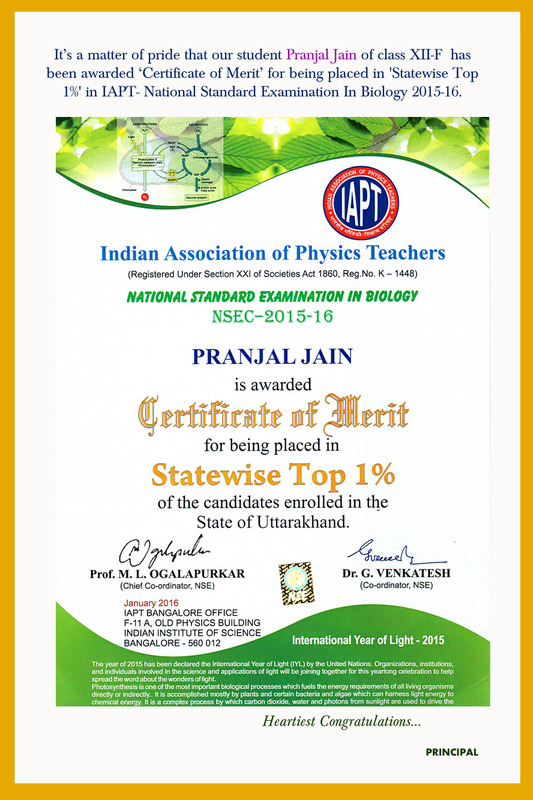 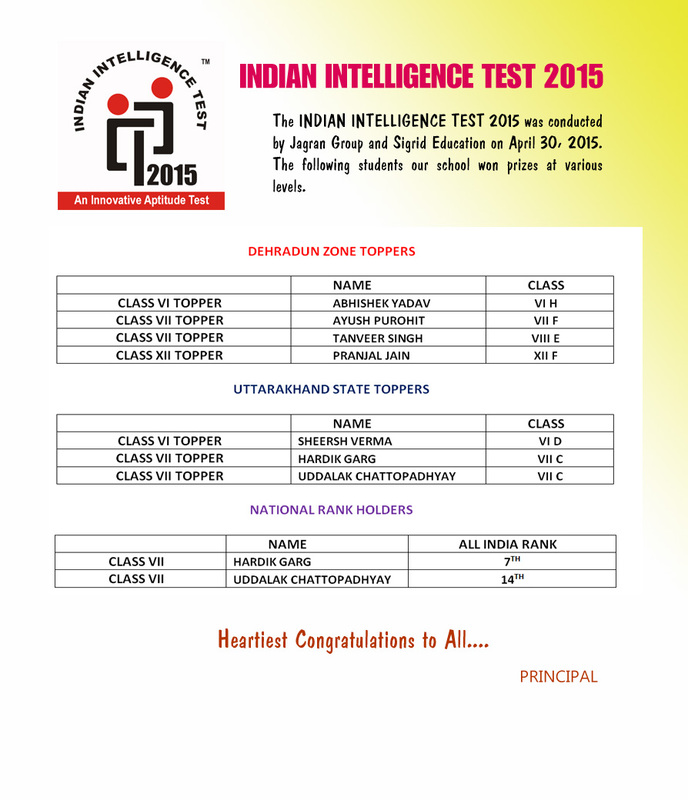 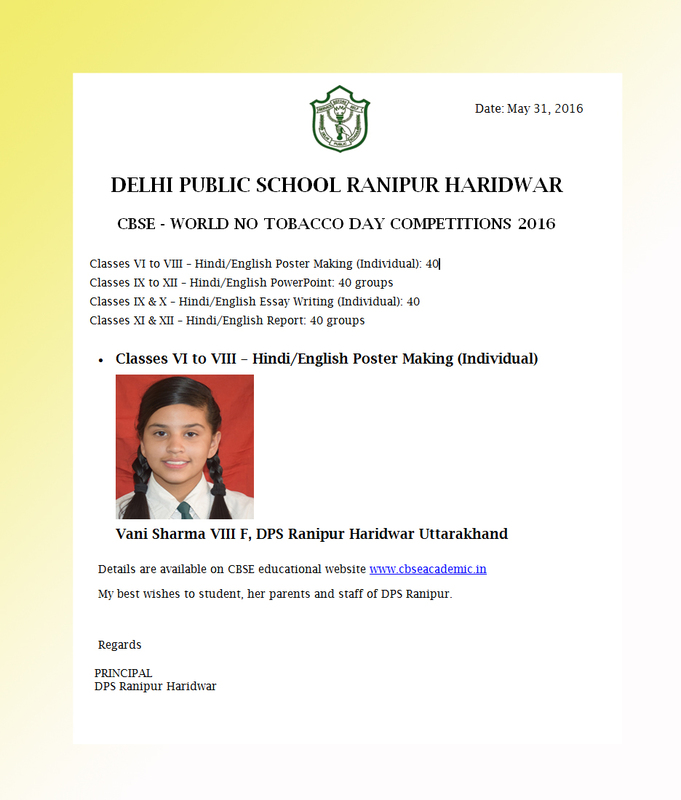 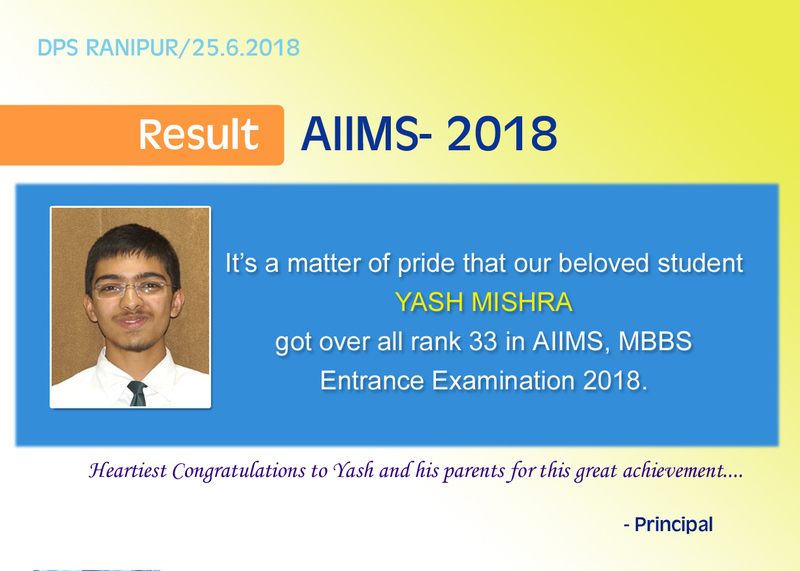 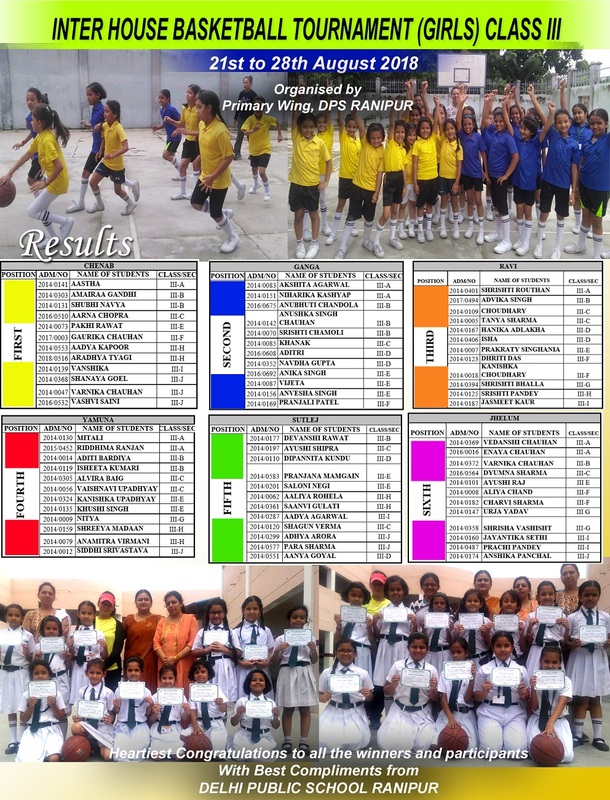 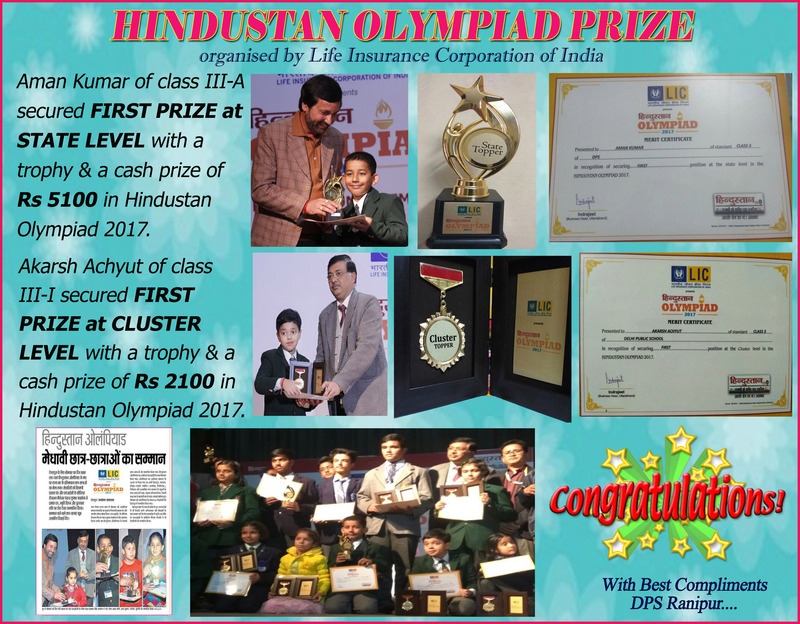 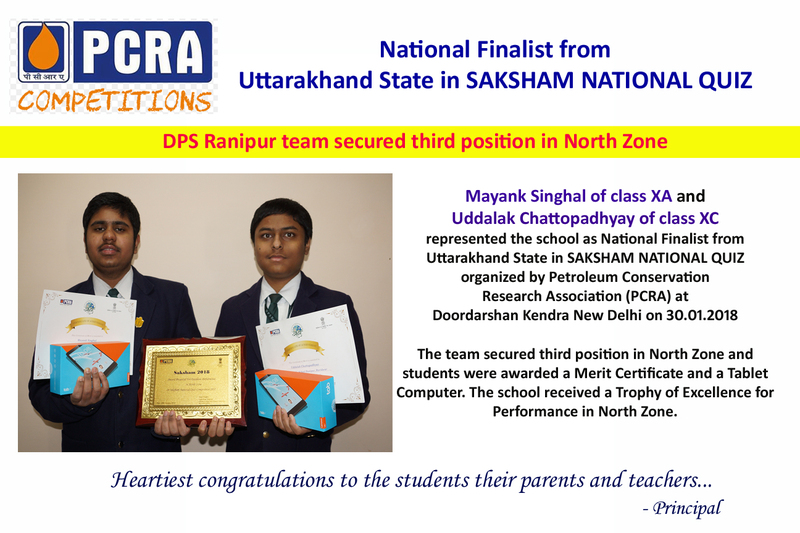 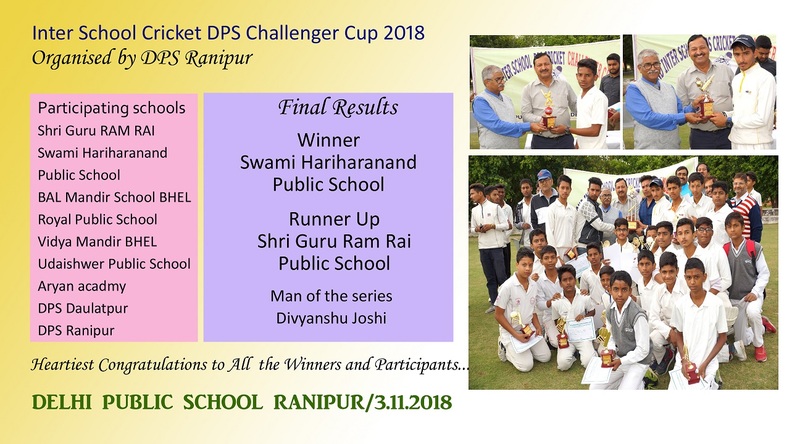 Akshita Singh, DPS Ranipur Haridwar Uttarakhand. 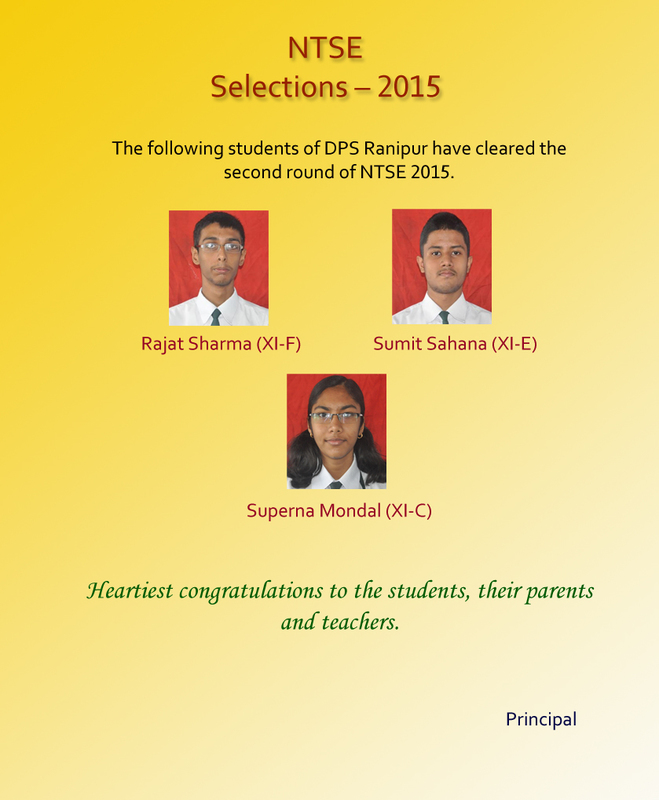 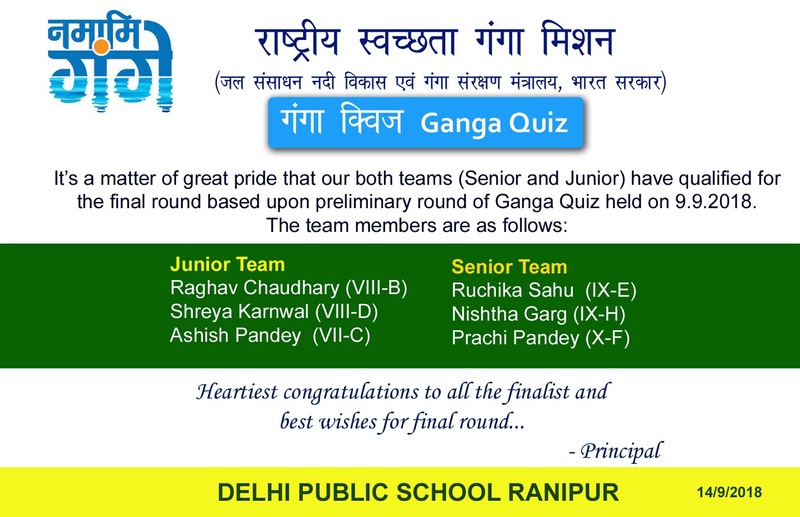 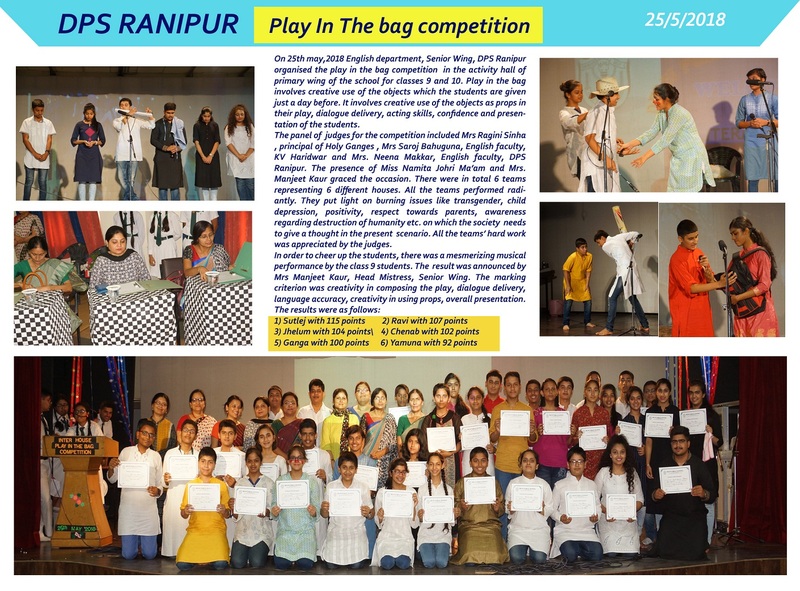 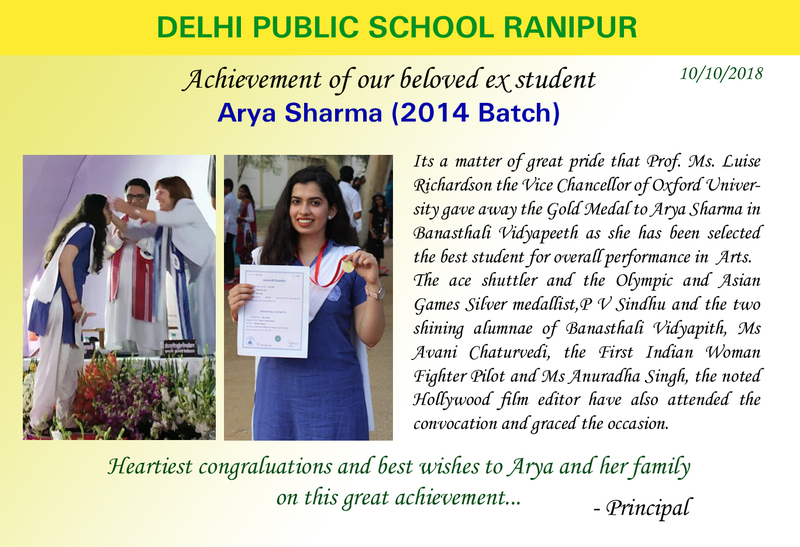 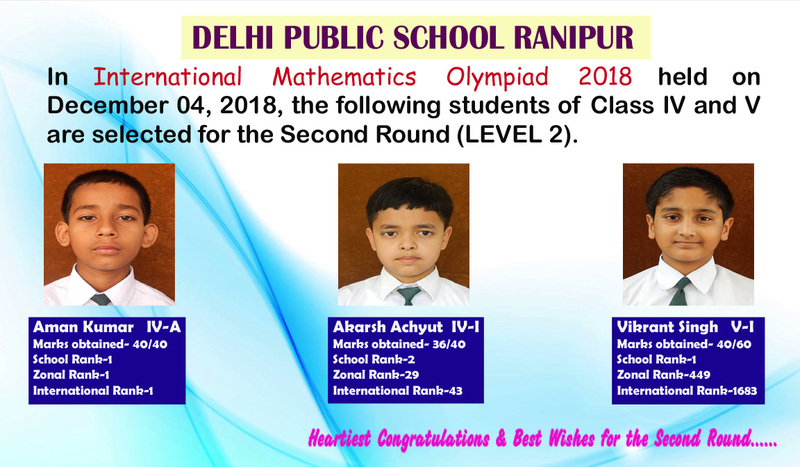 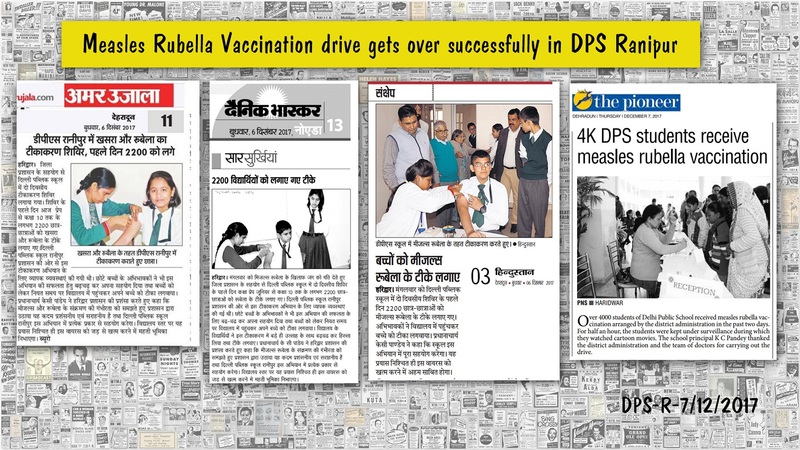 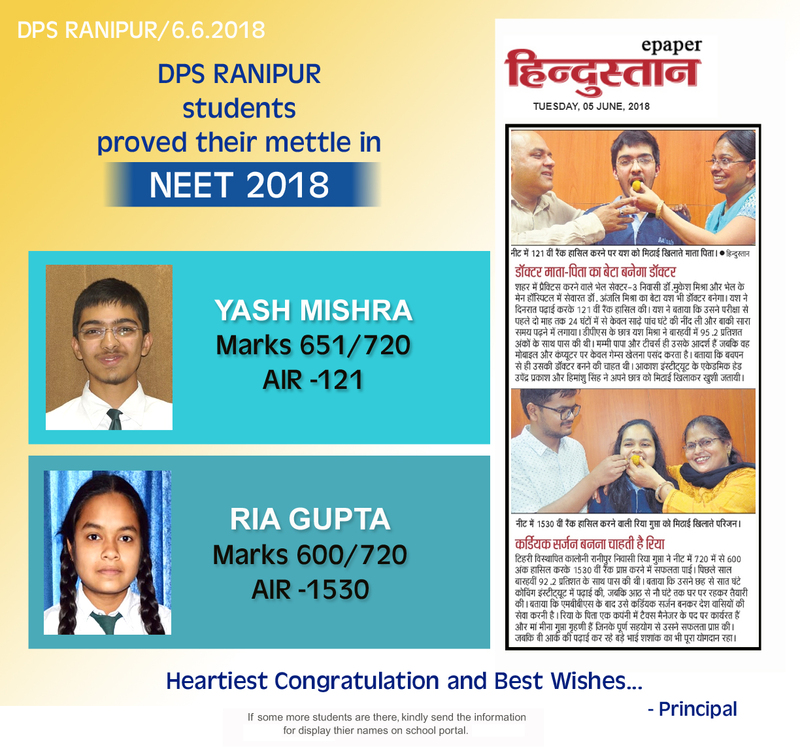 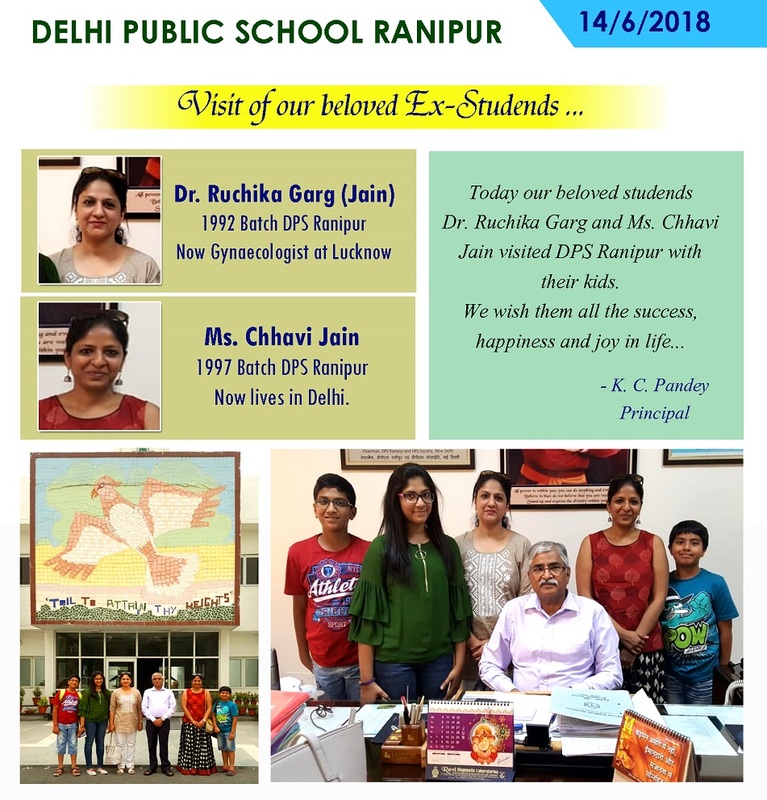 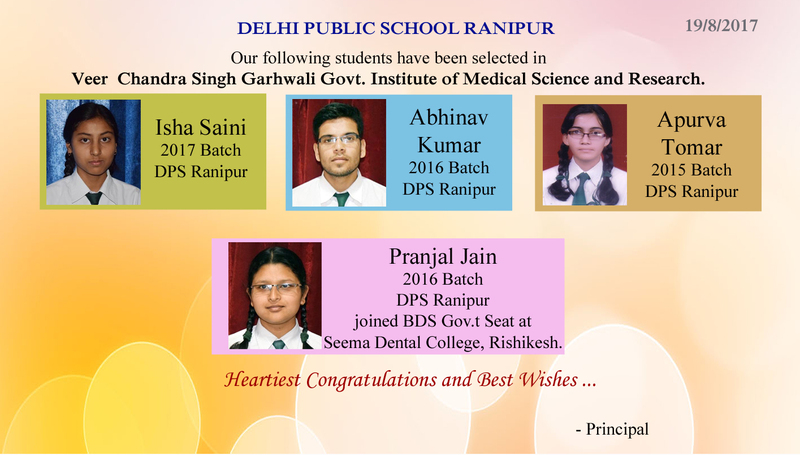 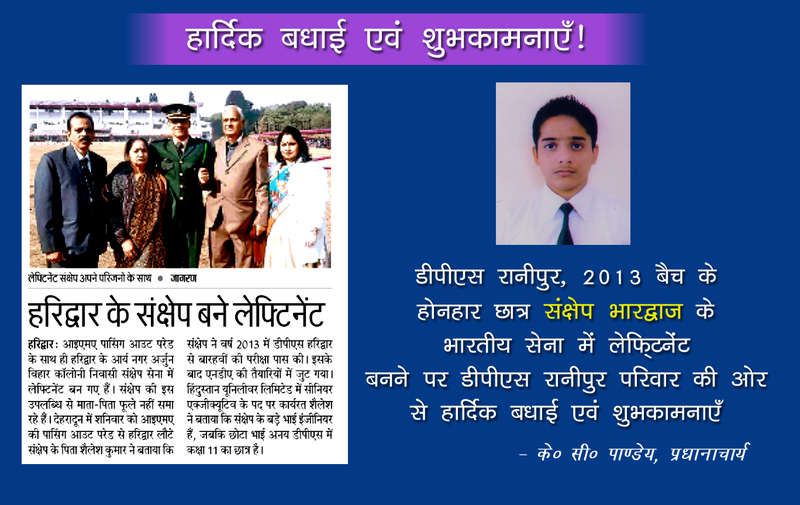 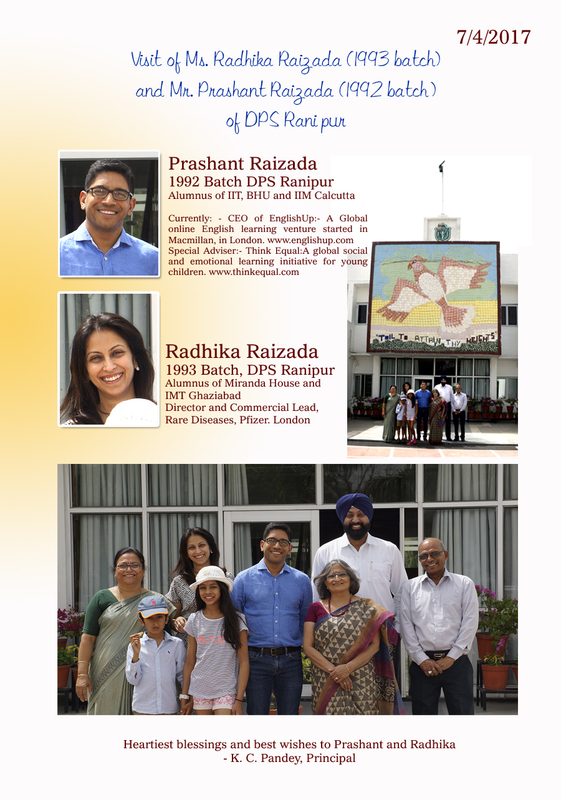 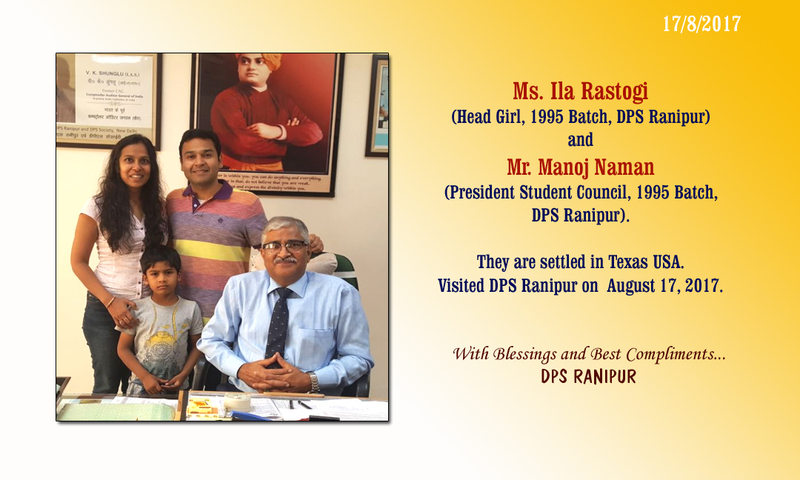 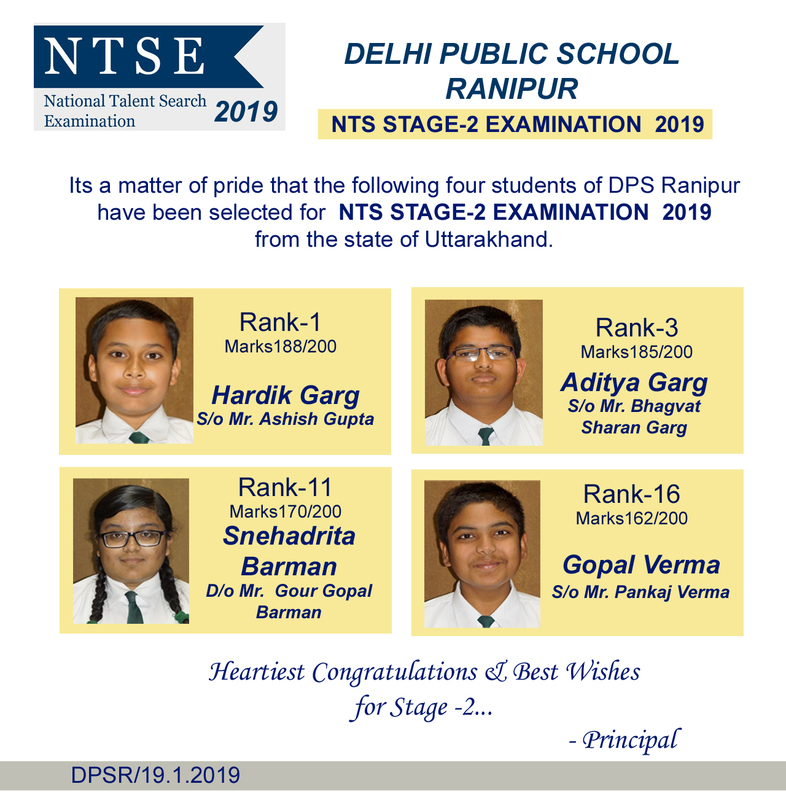 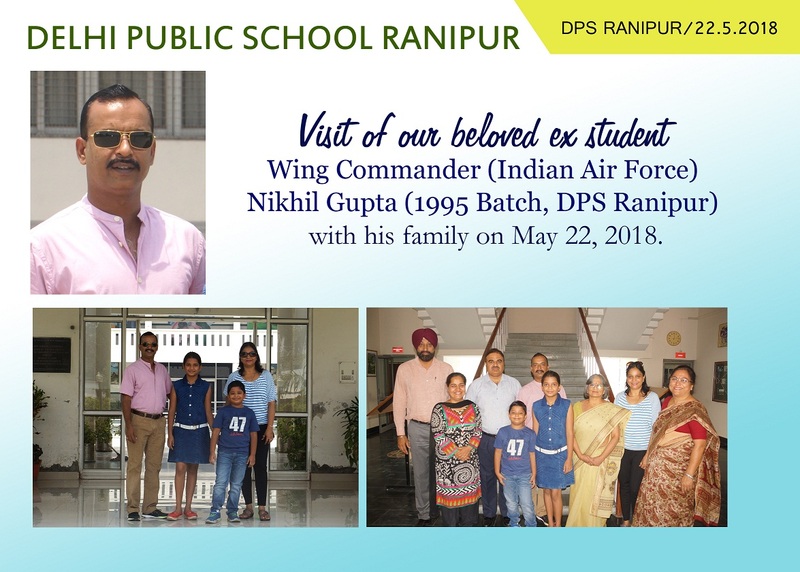 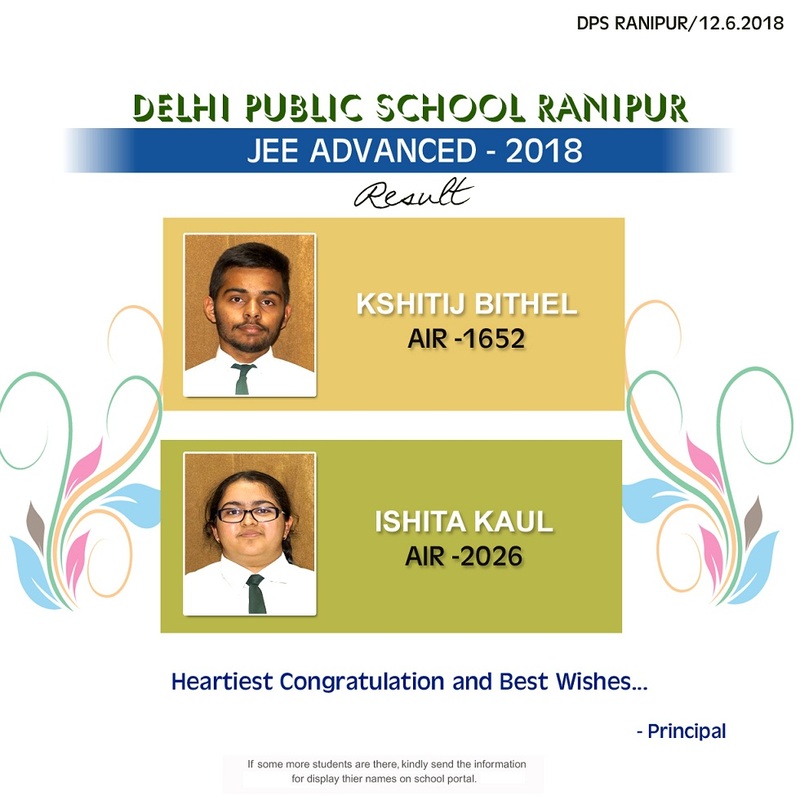 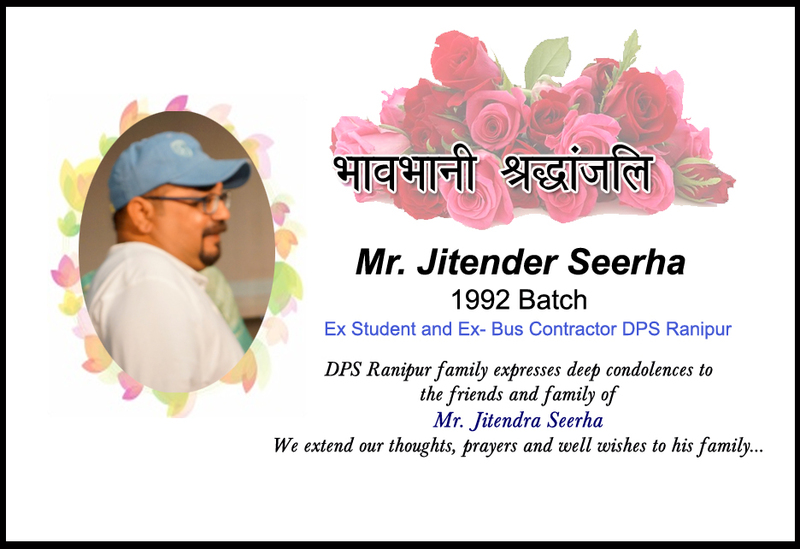 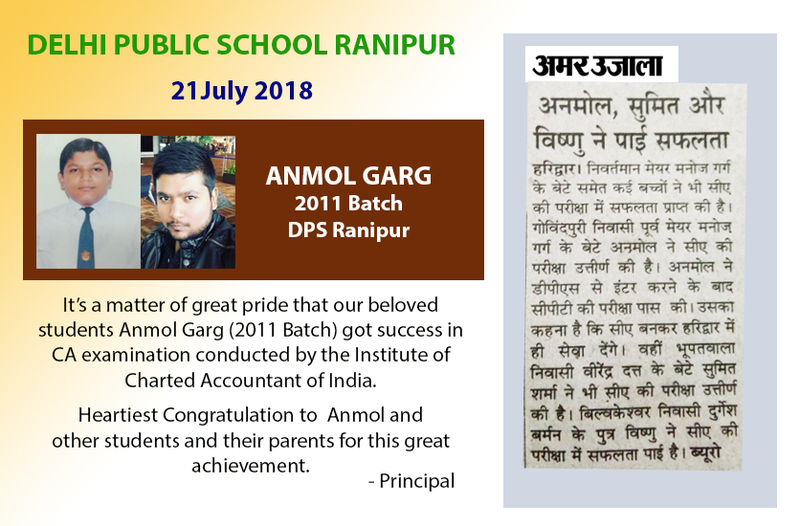 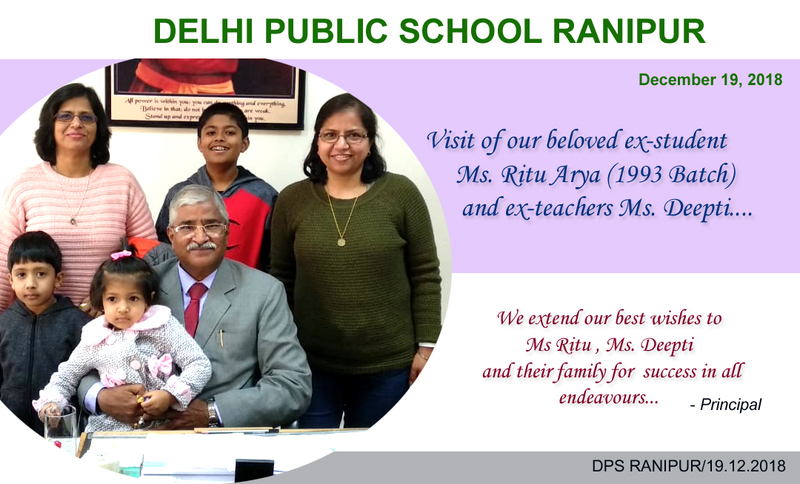 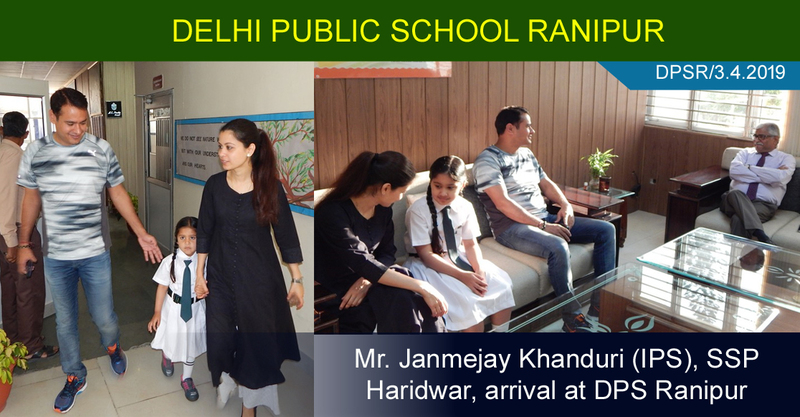 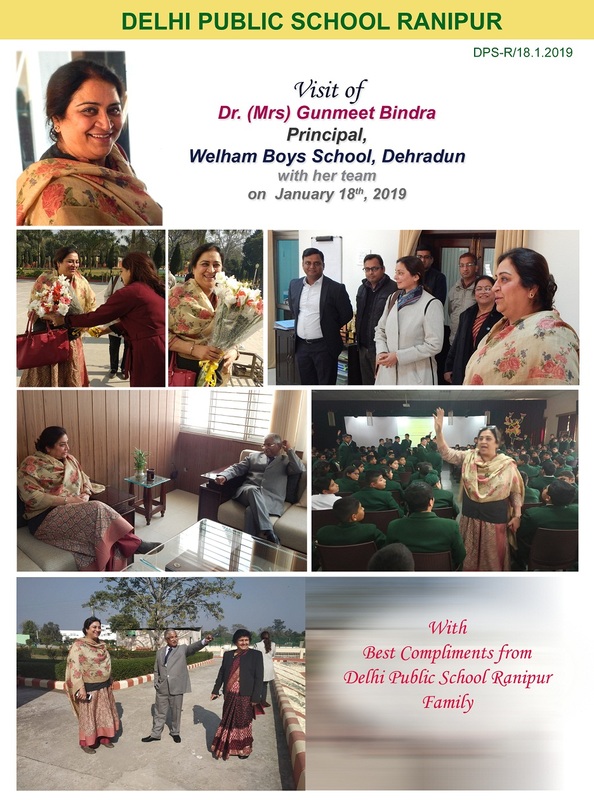 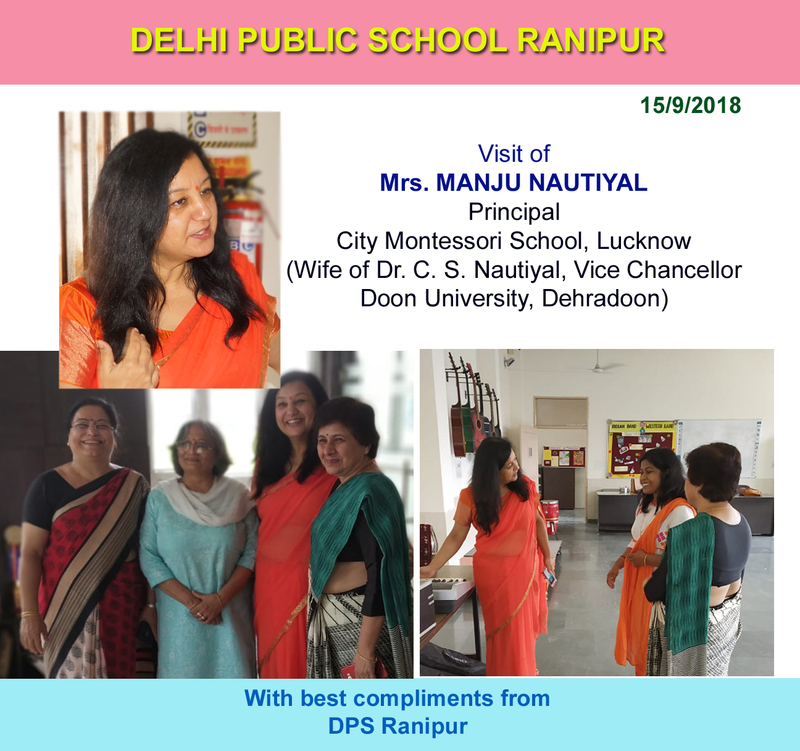 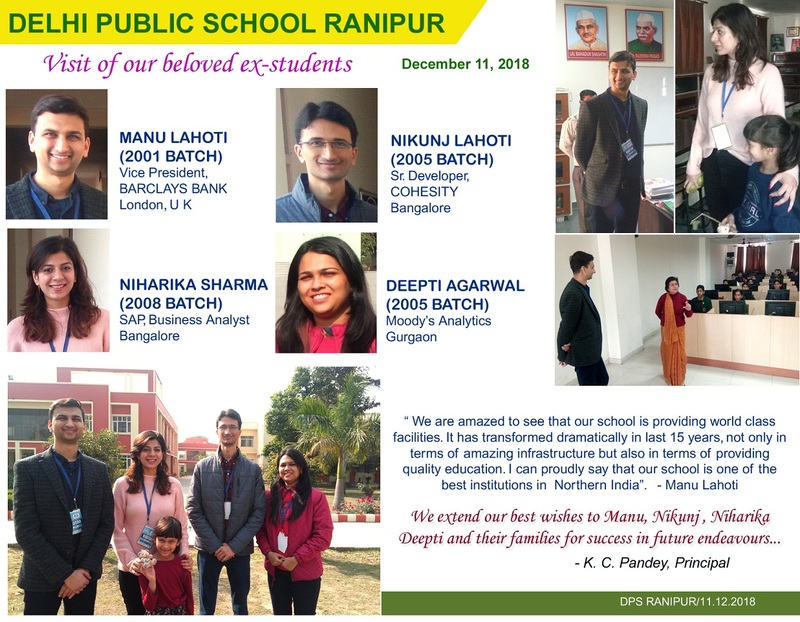 My best wishes to Akshita Singh, her parents and staff of DPS Ranipur. 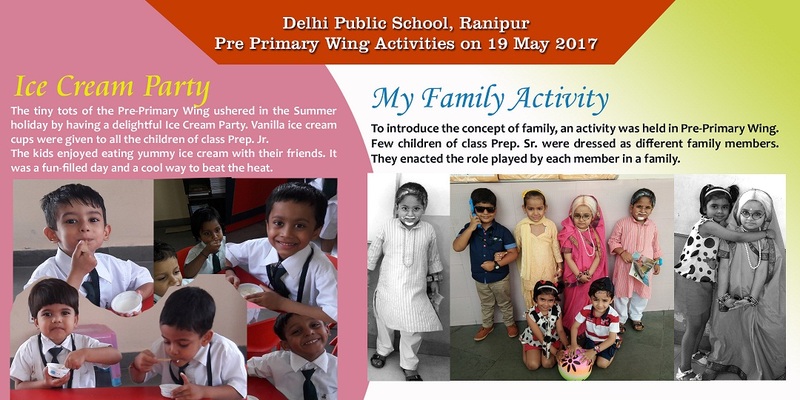 An Activity in Pre-Primary Wing. 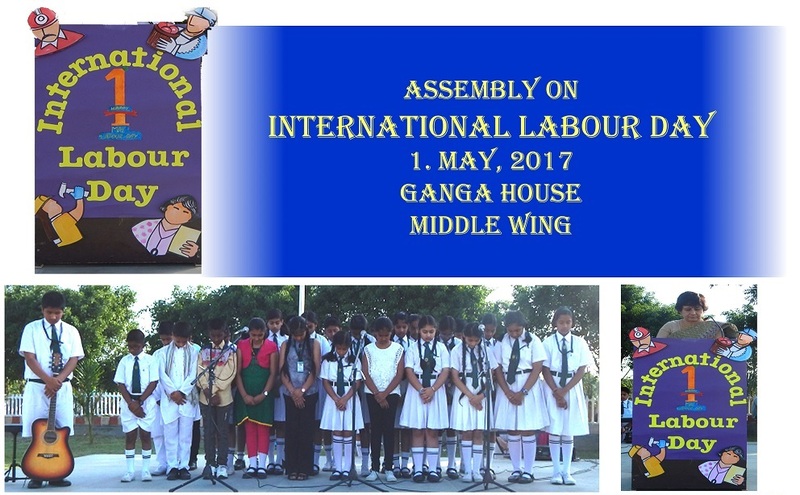 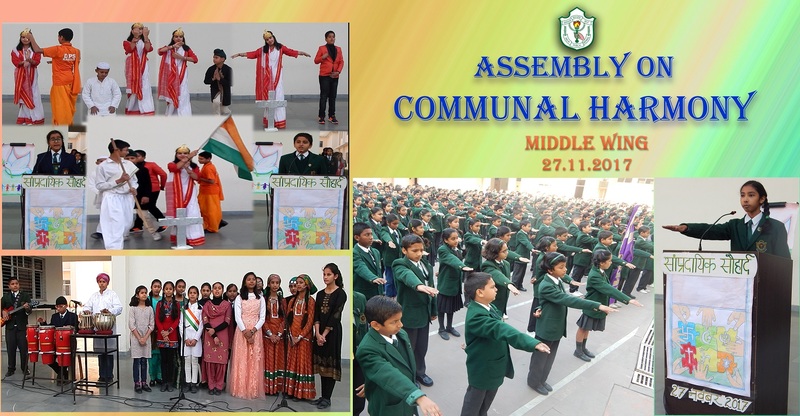 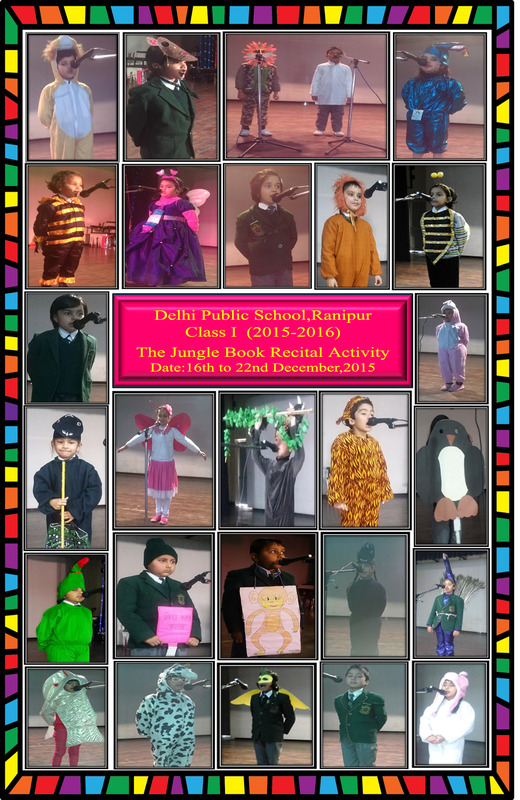 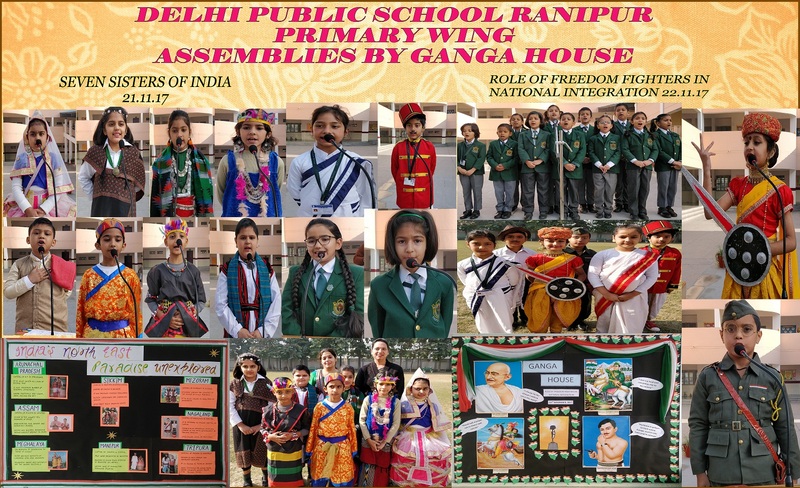 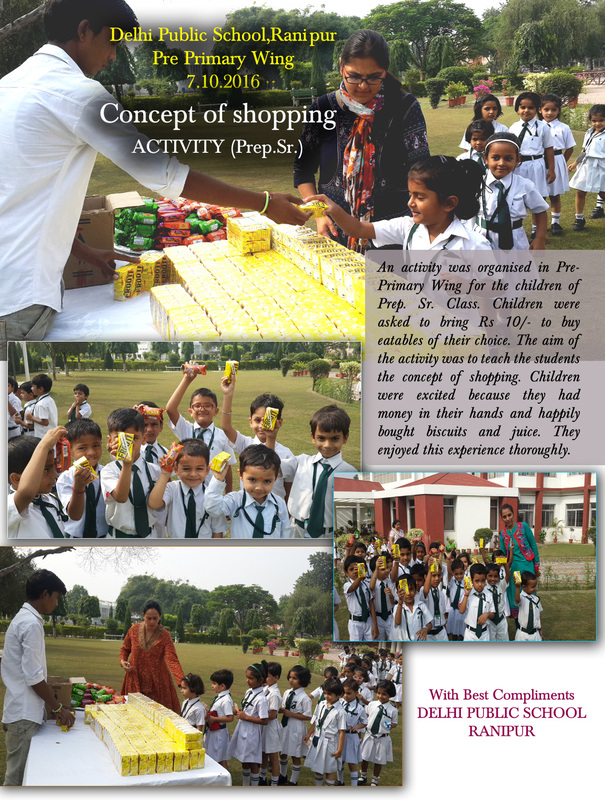 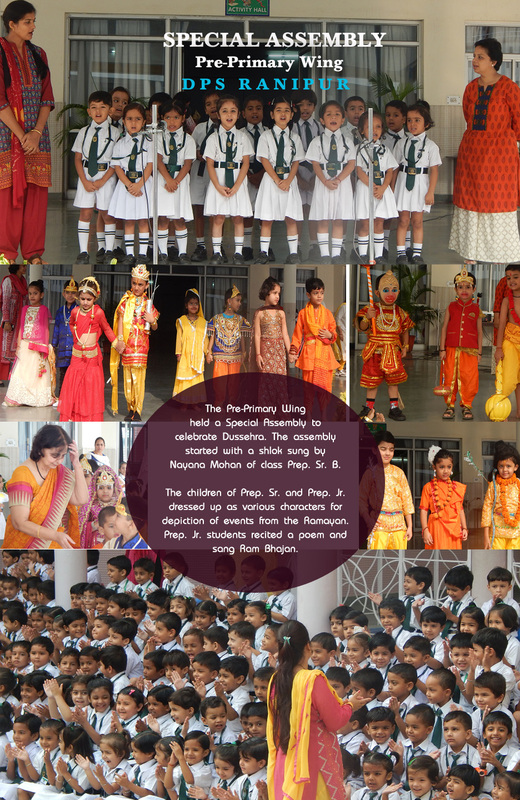 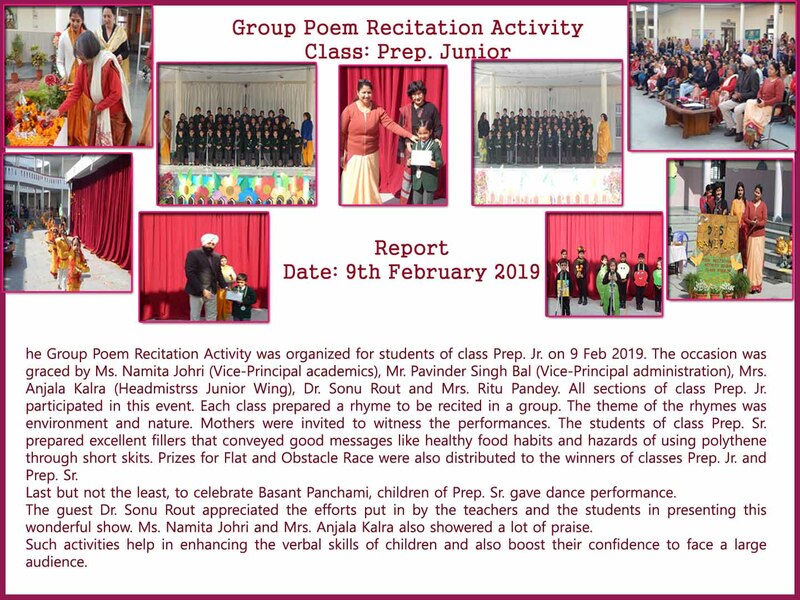 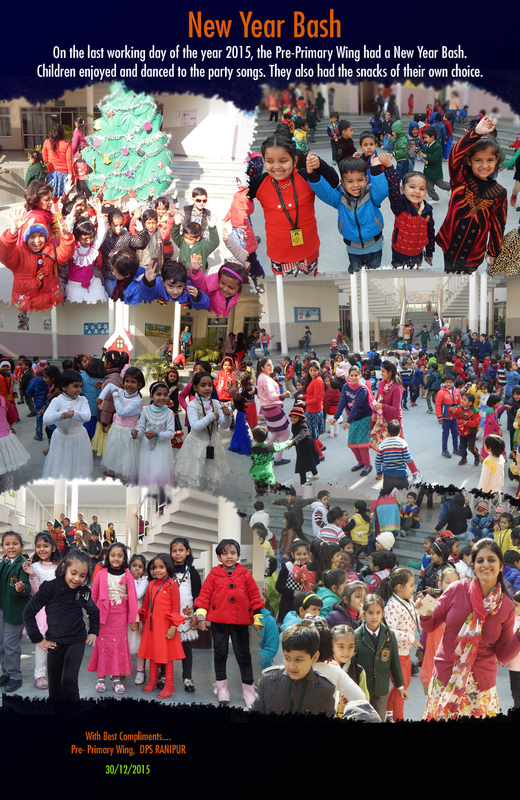 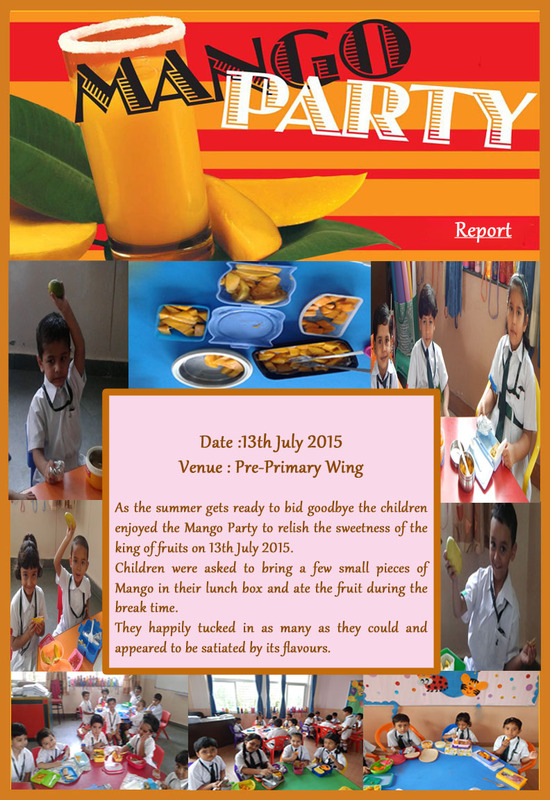 An activity was organized in the Pre-Primary Wing for Prep. 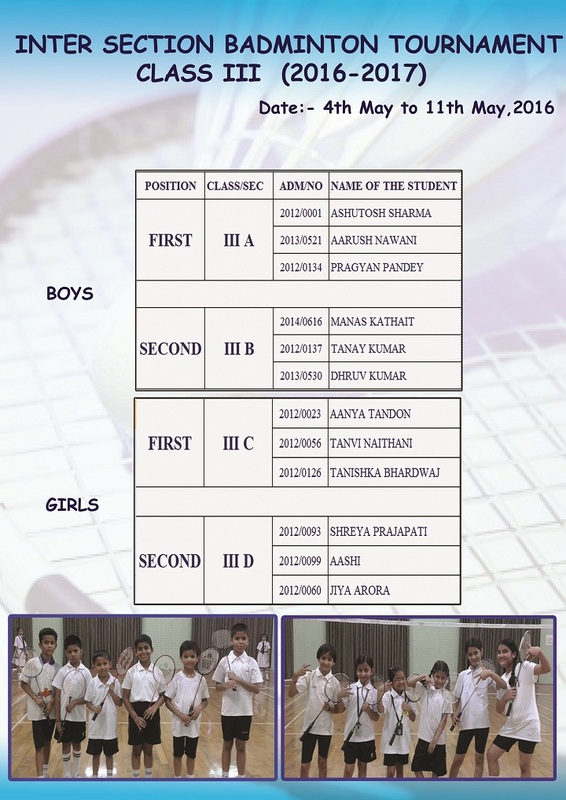 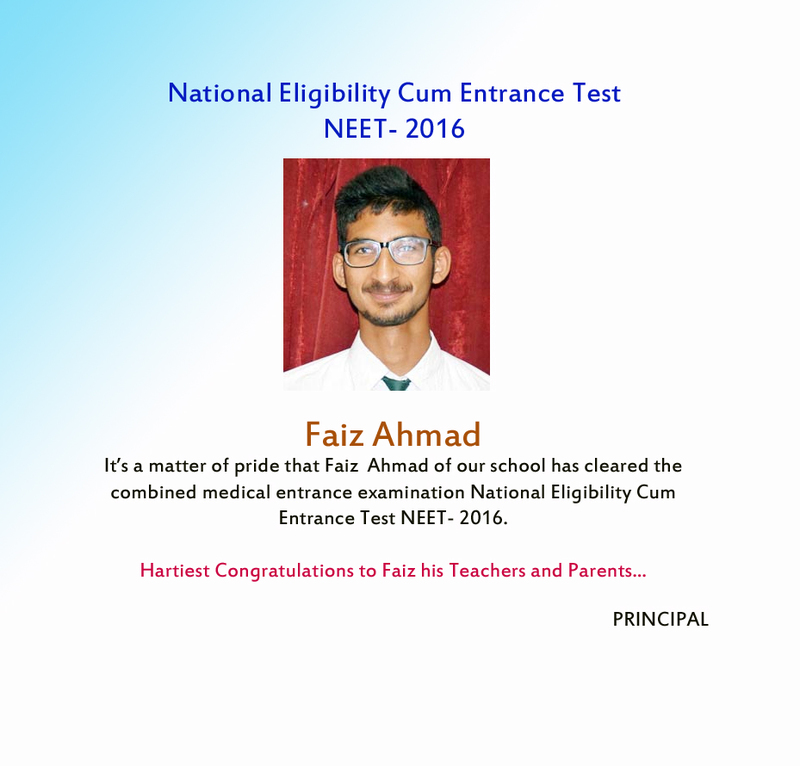 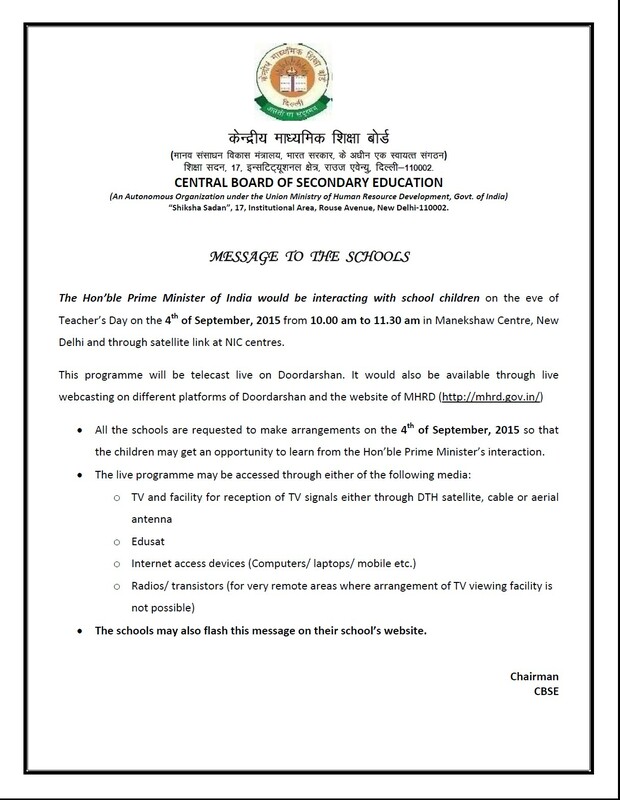 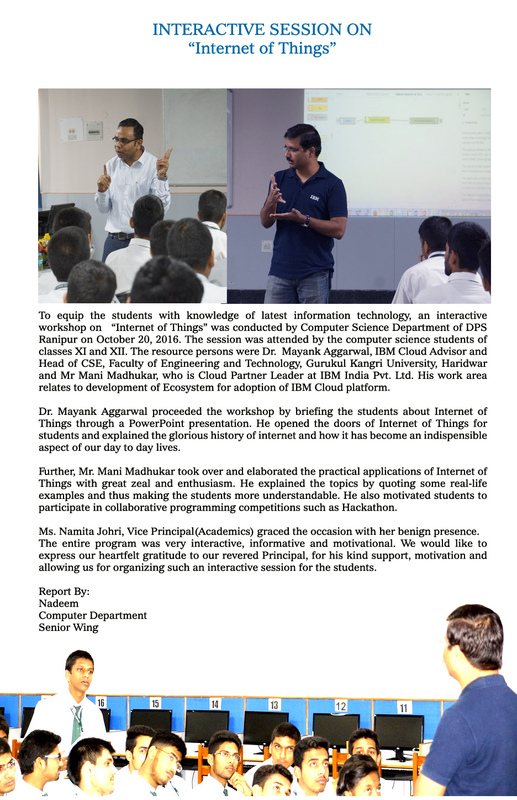 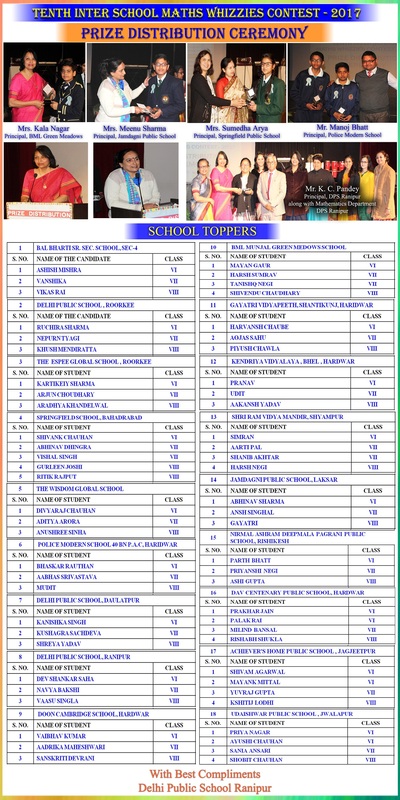 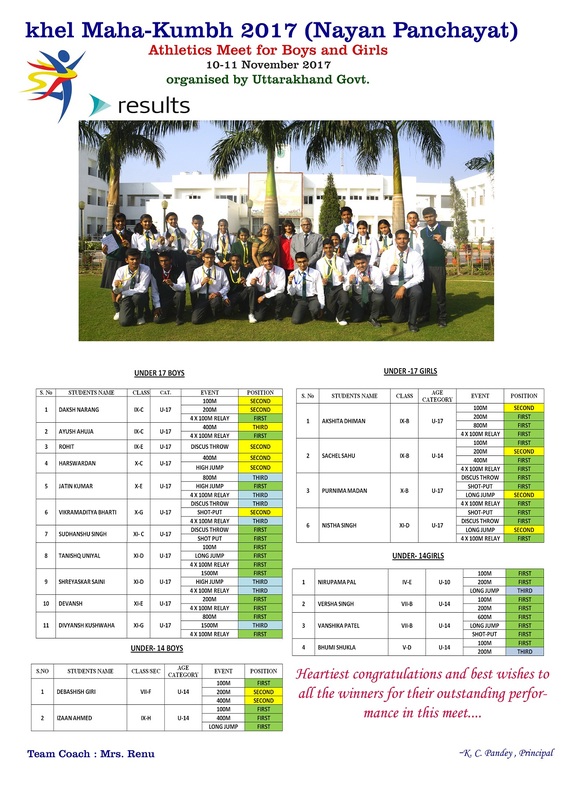 Senior classes on 20th and 21st August 2015. 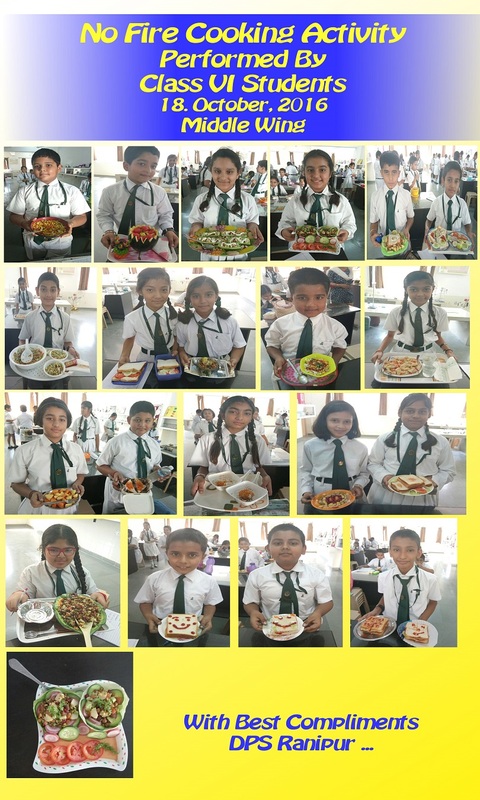 In this activity, different types of electrical appliances that are used in the kitchen were shown to the children. 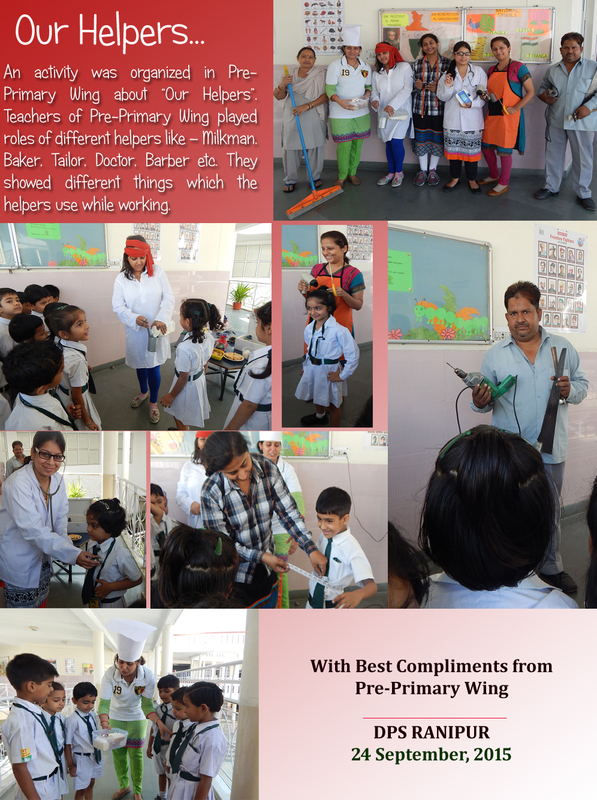 The teachers operated the appliances in front of the children to show how they function. 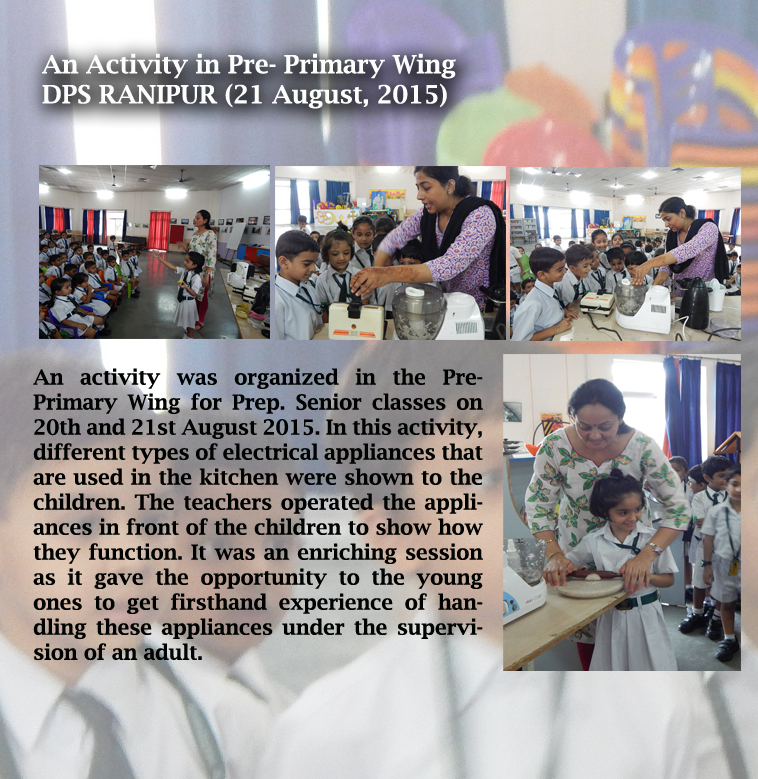 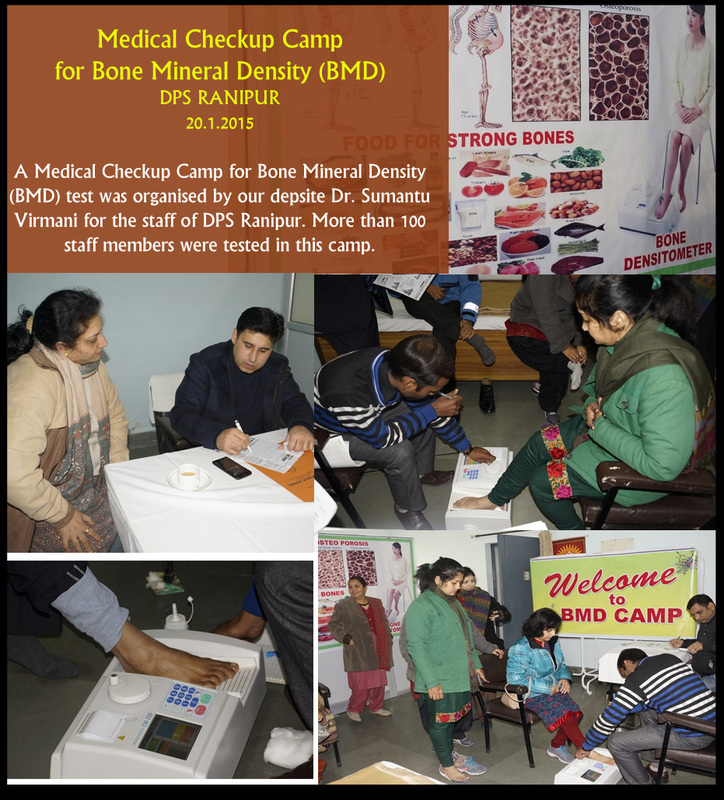 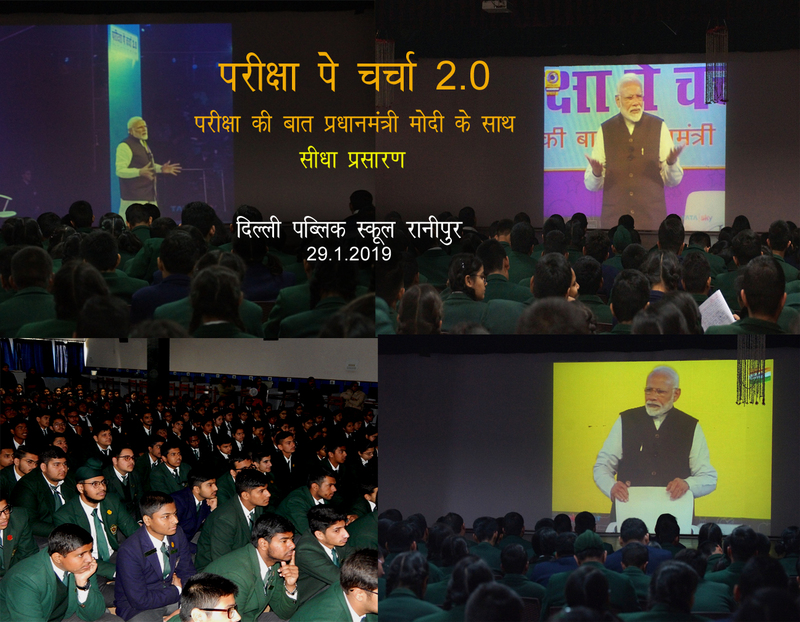 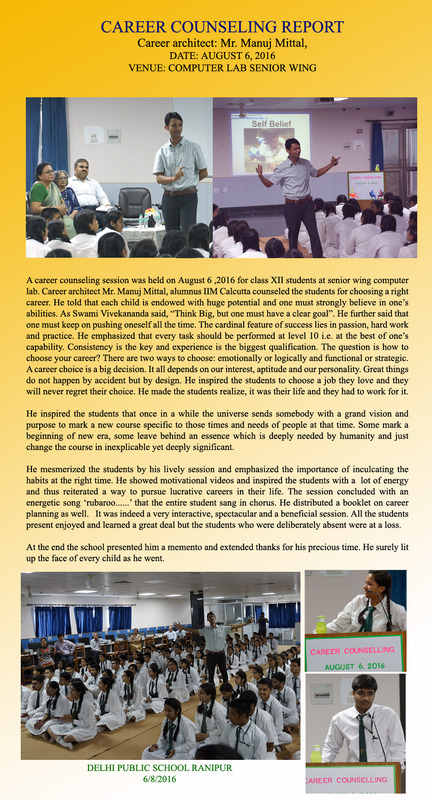 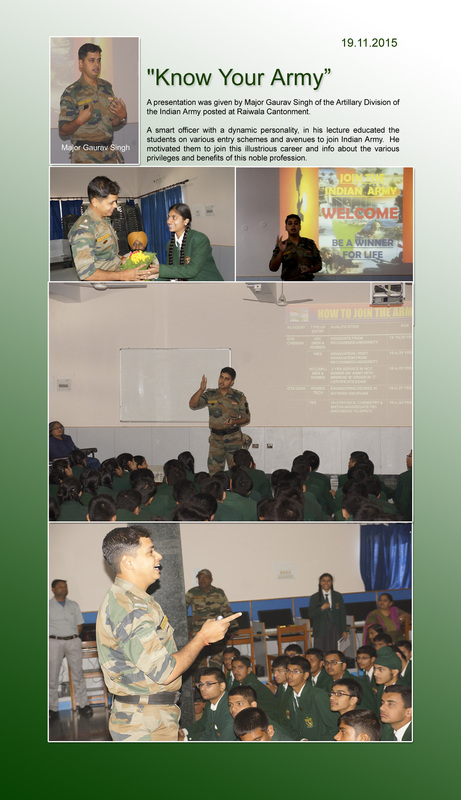 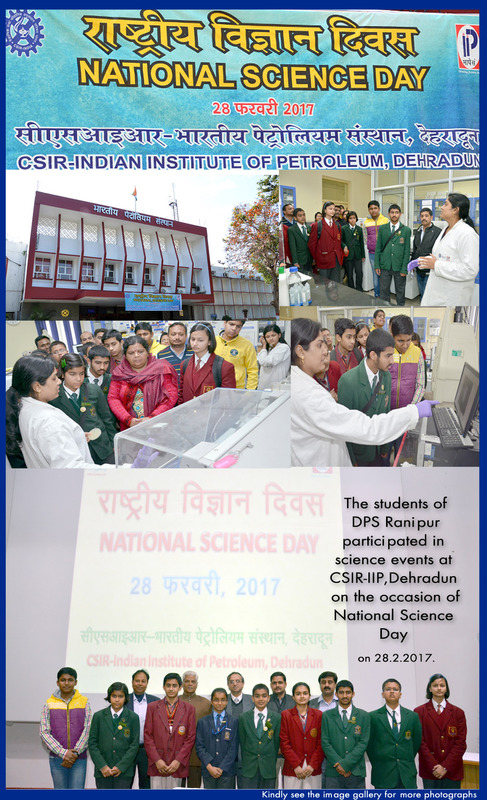 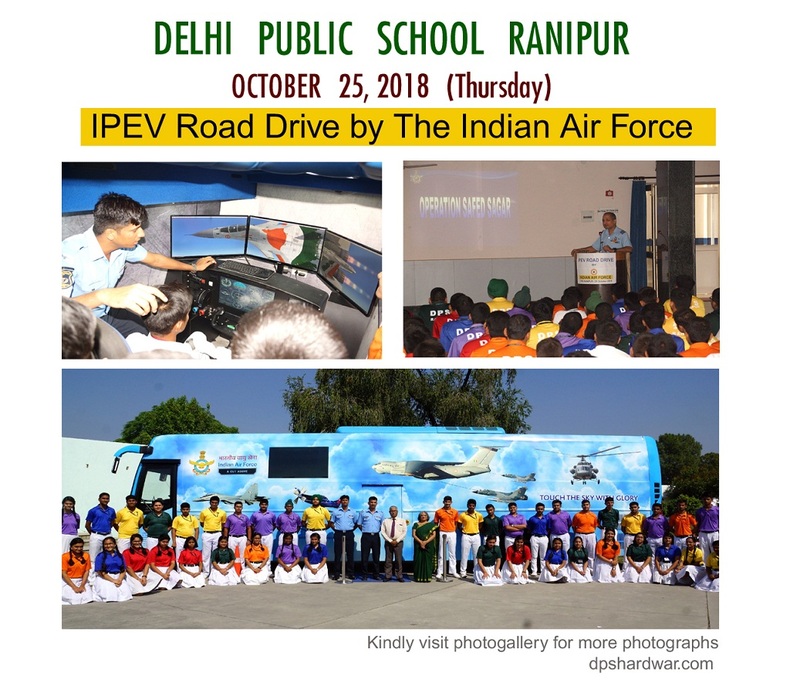 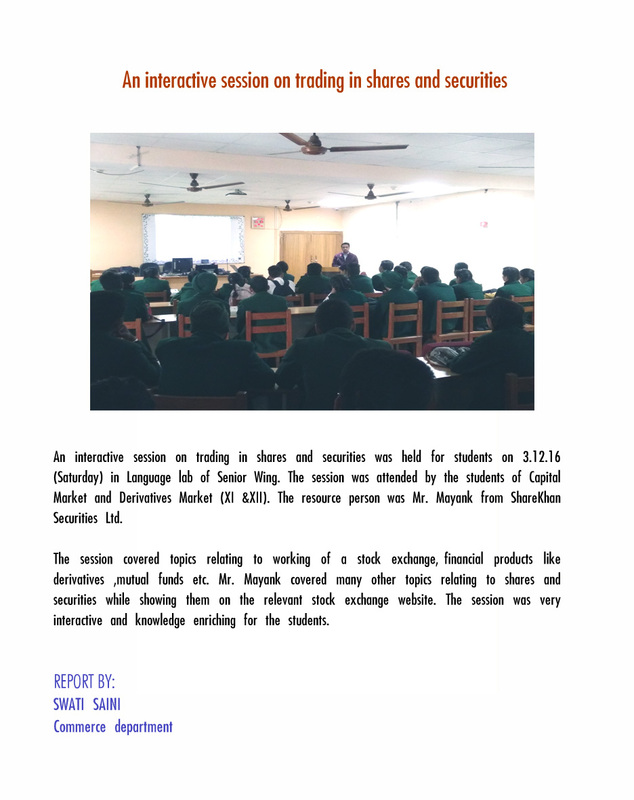 It was an enriching session as it gave the opportunity to the young ones to get firsthand experience of handling these appliances under the supervision of an adult.